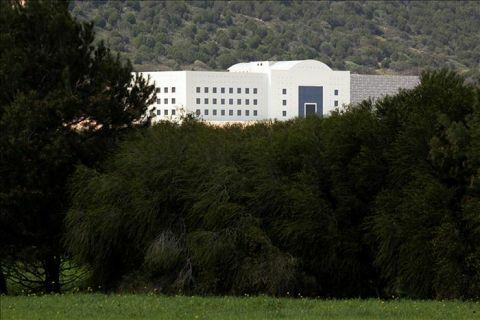 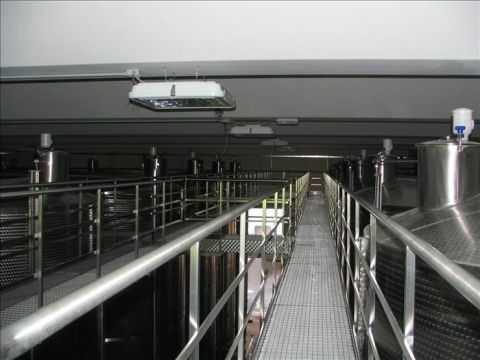 Design and construction of storage systems, wine making systems and ladders and walkways systems. 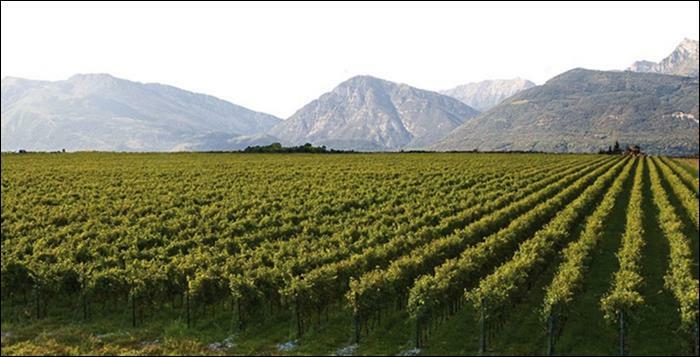 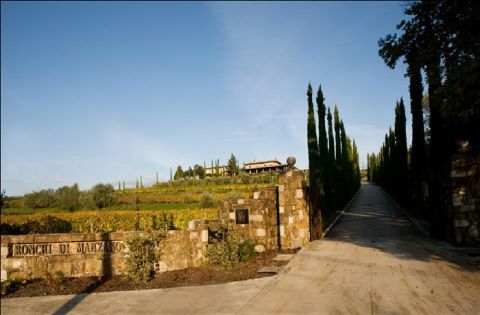 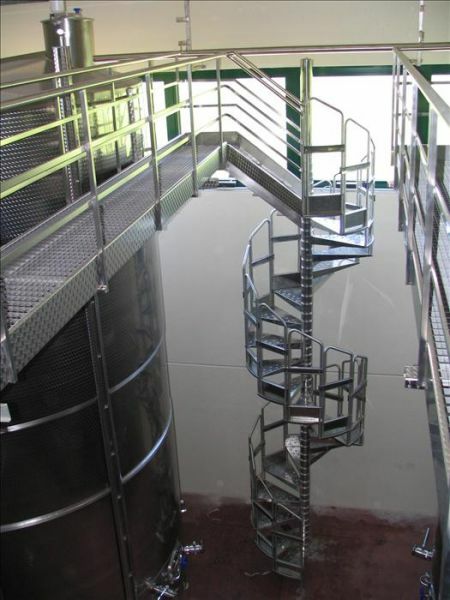 Design and construction of wine making systems, storage systems and ladders and walkways systems. 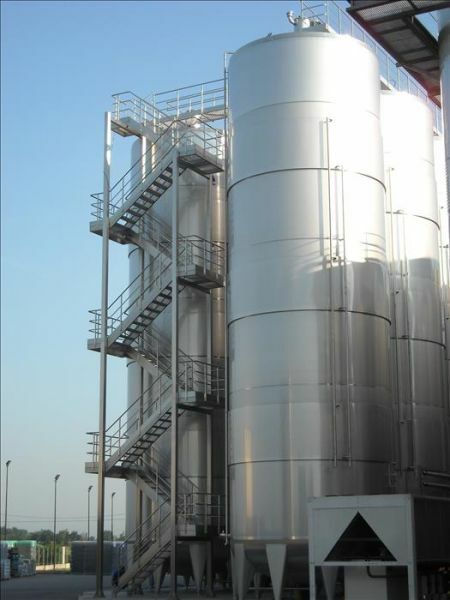 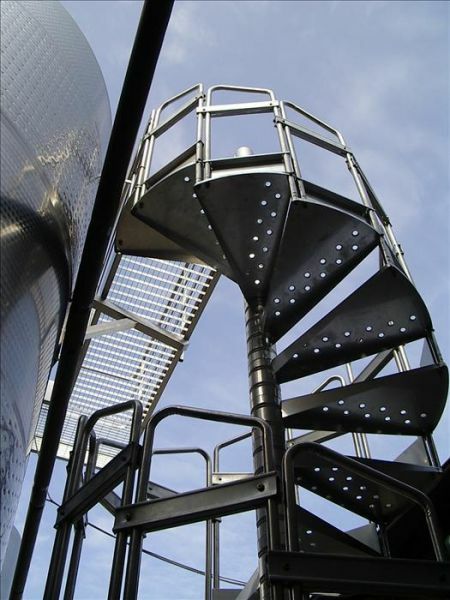 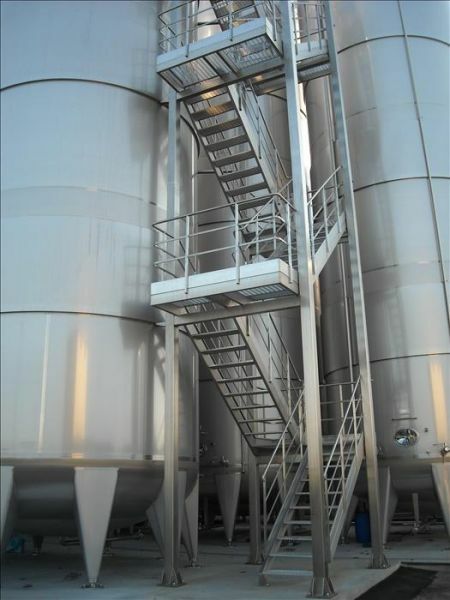 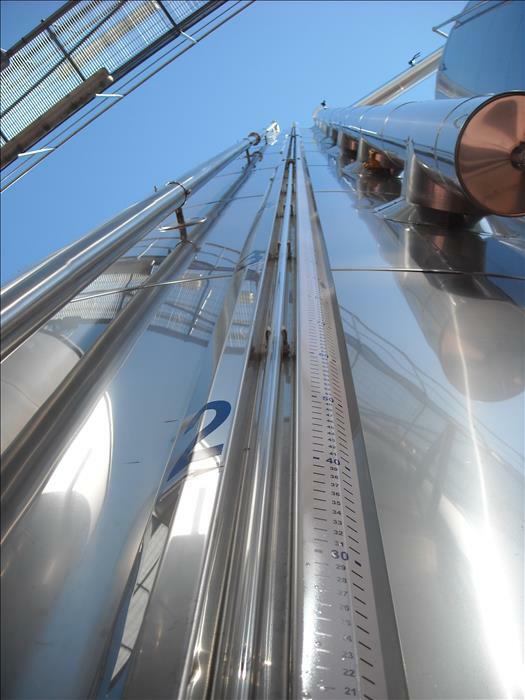 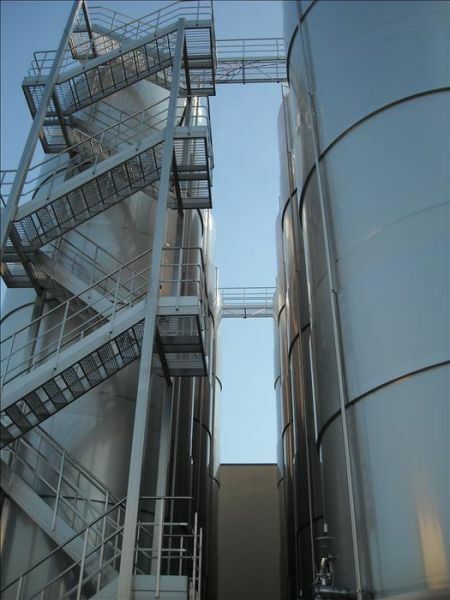 Design and construction of fermentation systems, storage systems and ladders and walkways systems. 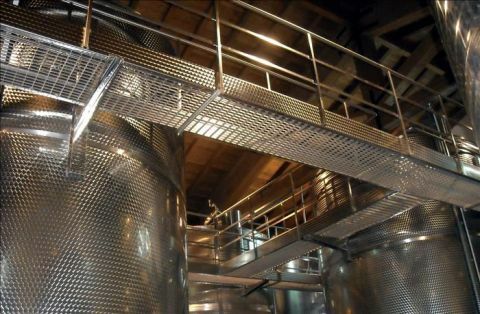 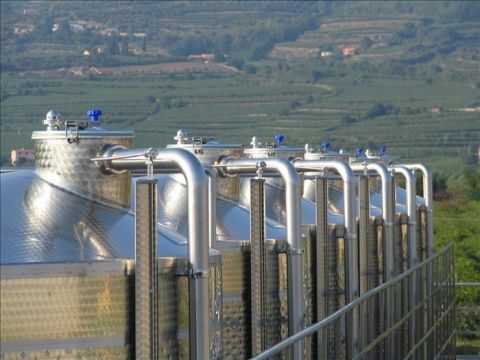 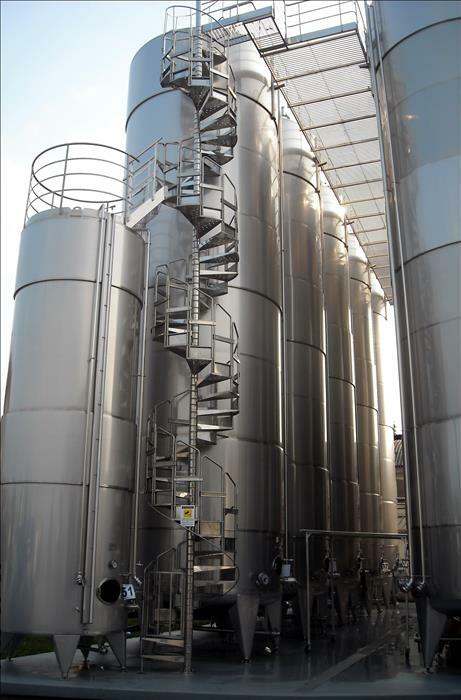 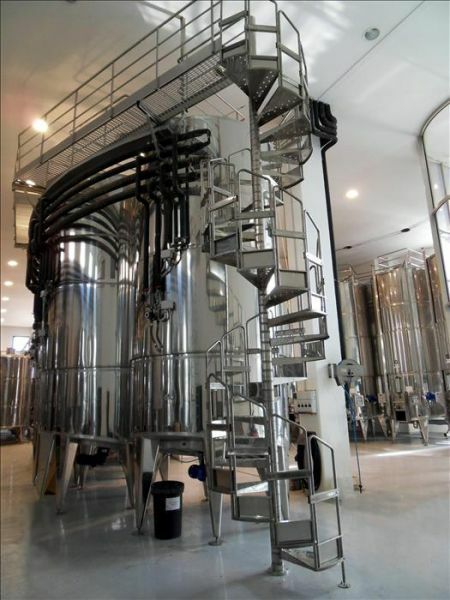 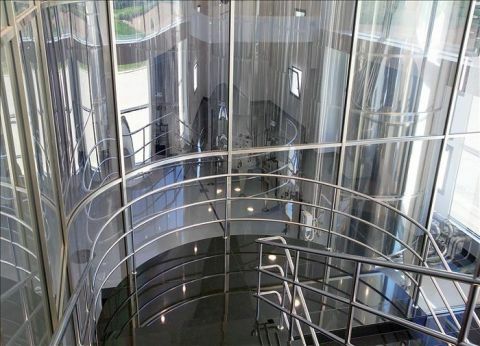 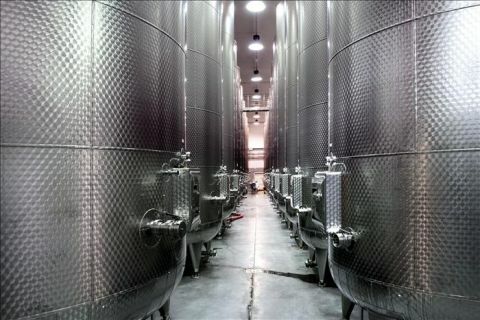 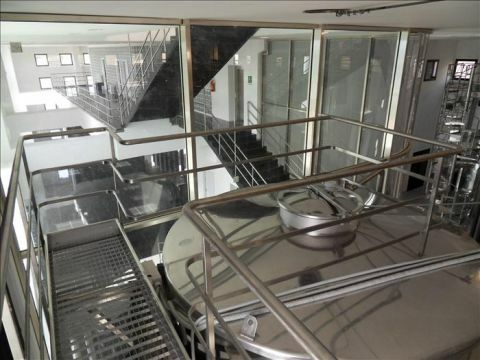 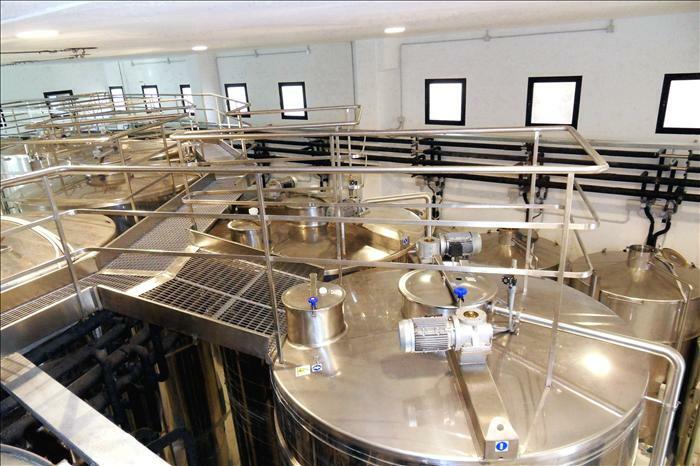 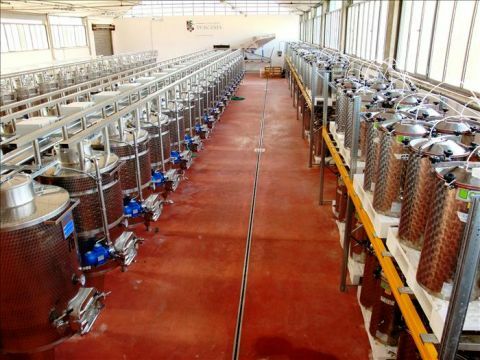 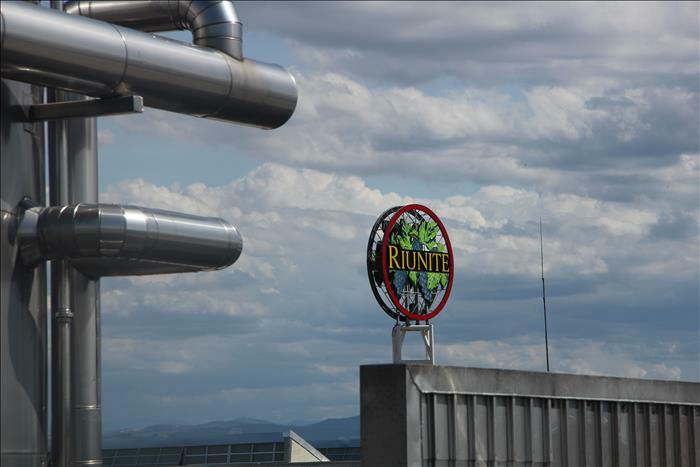 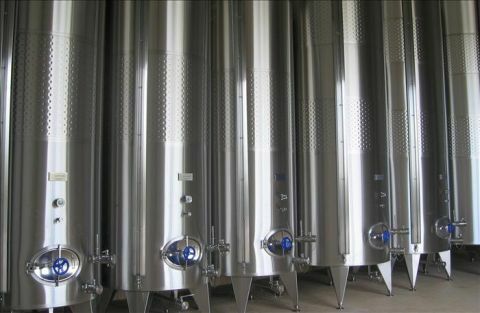 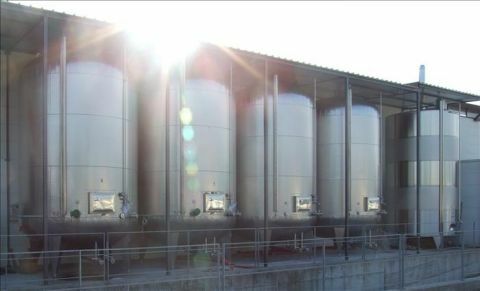 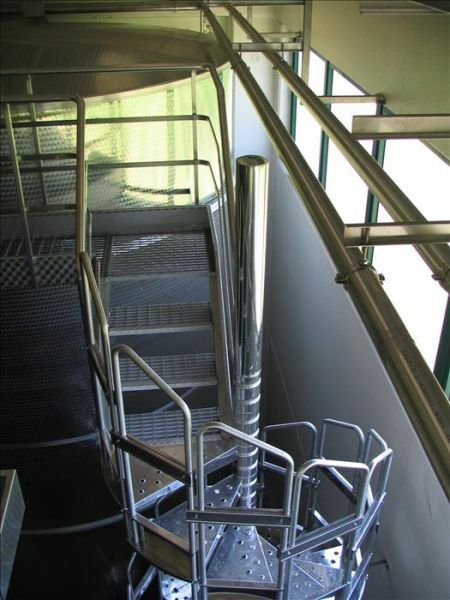 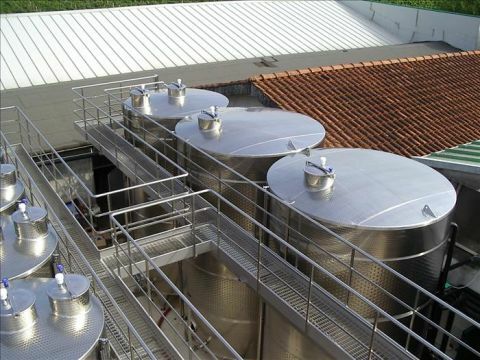 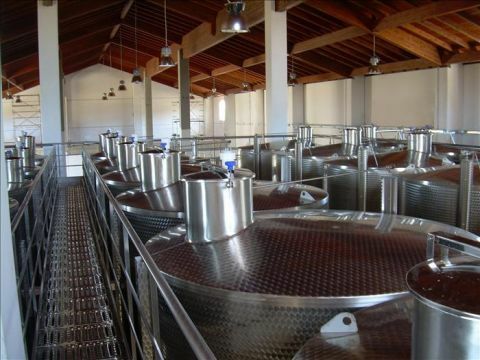 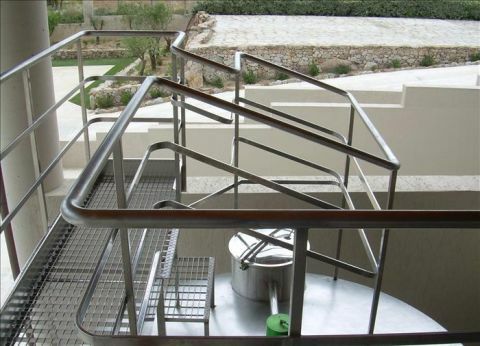 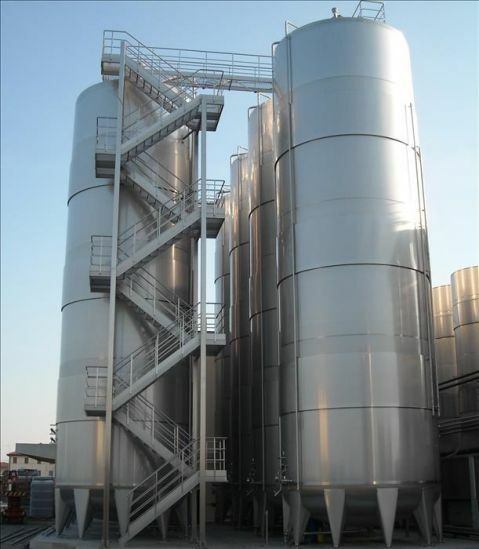 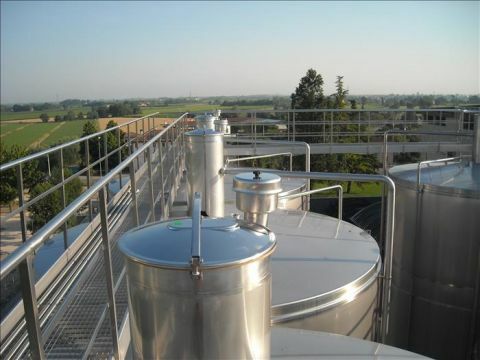 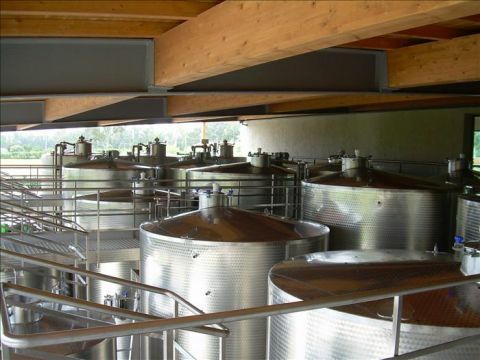 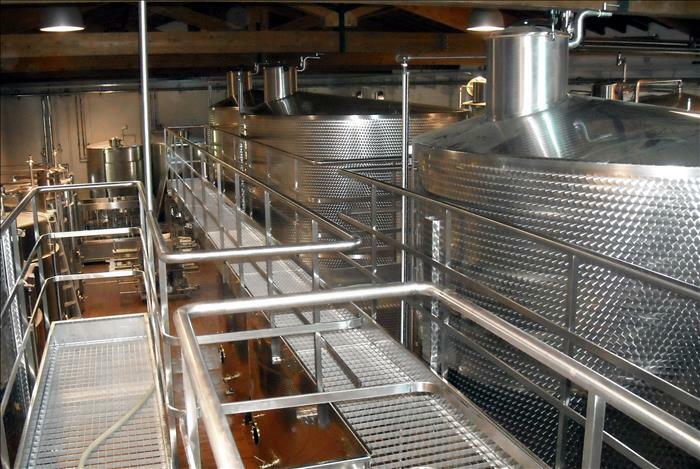 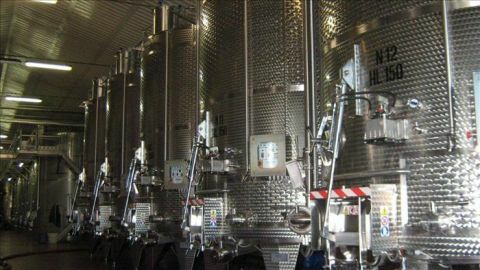 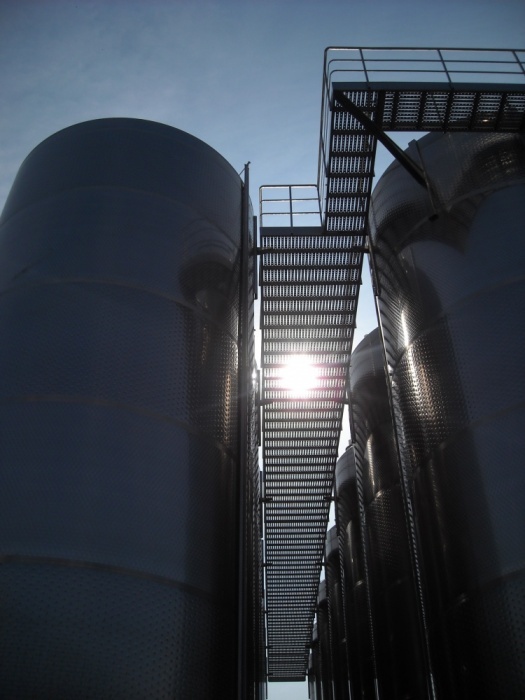 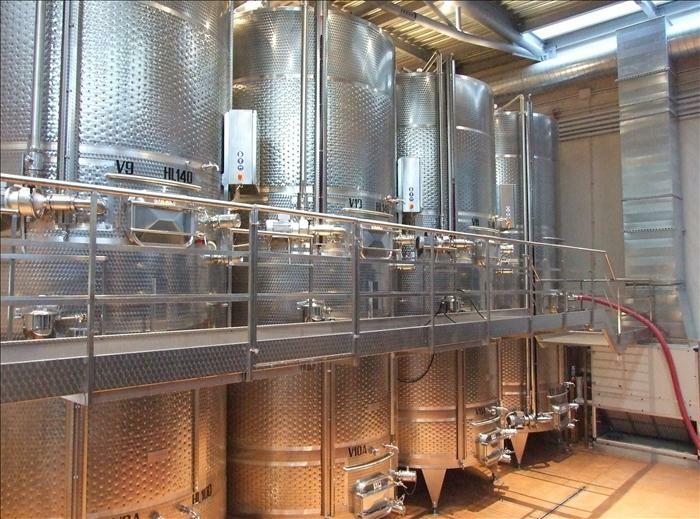 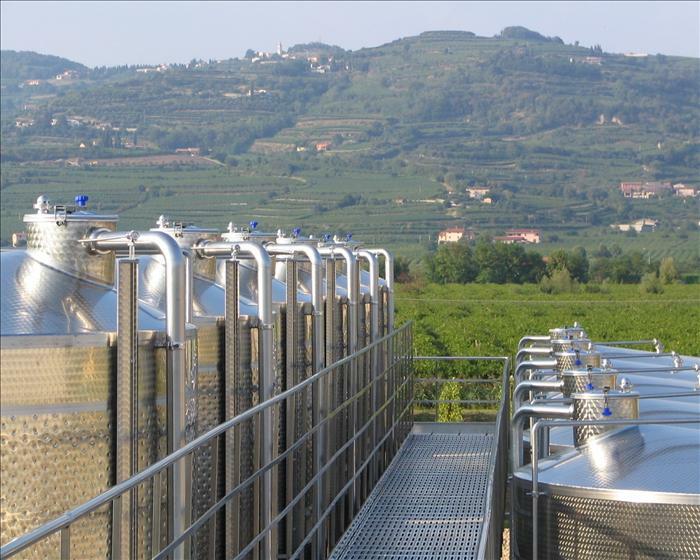 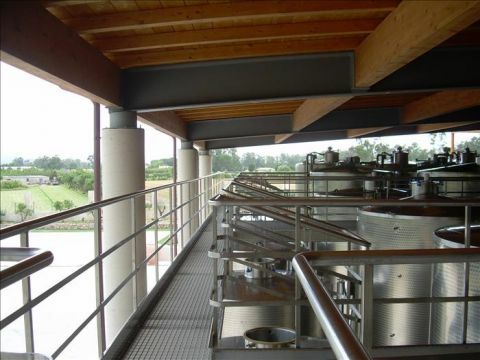 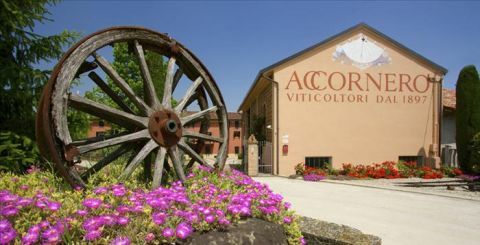 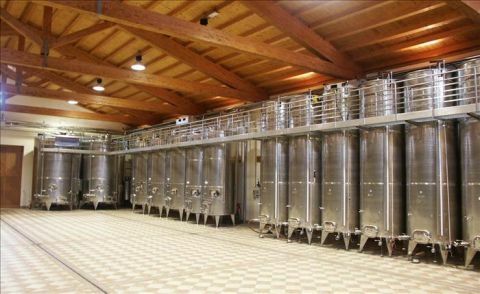 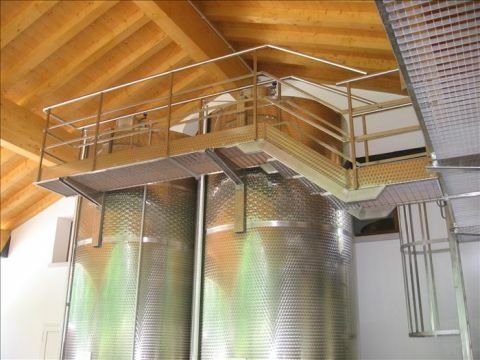 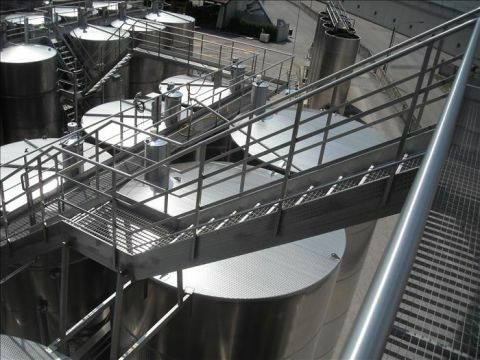 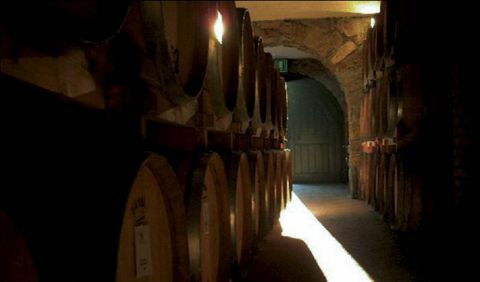 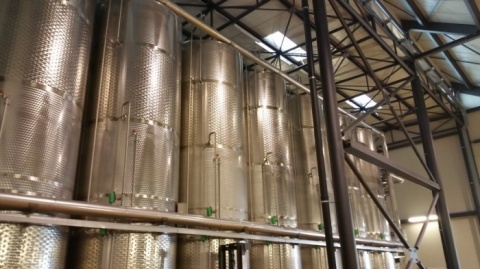 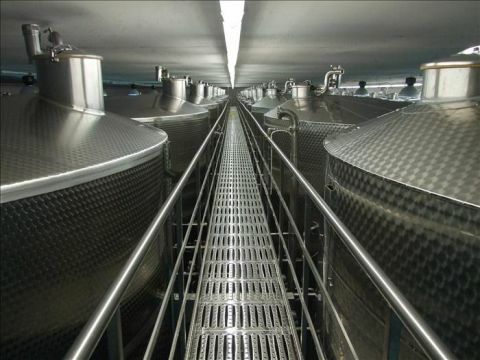 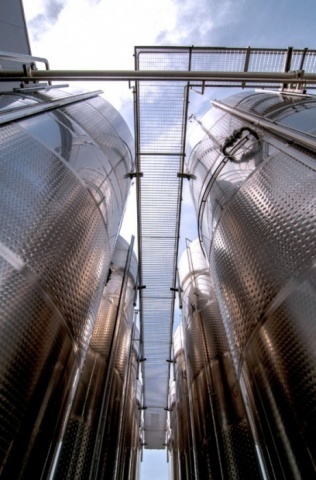 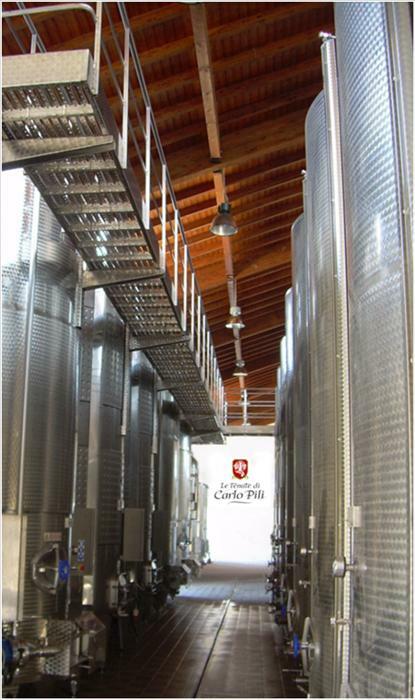 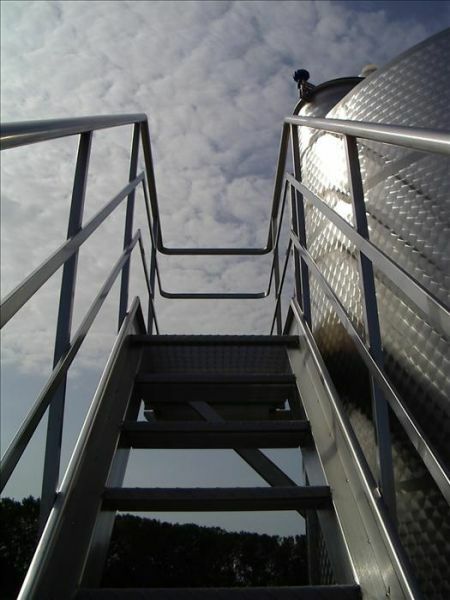 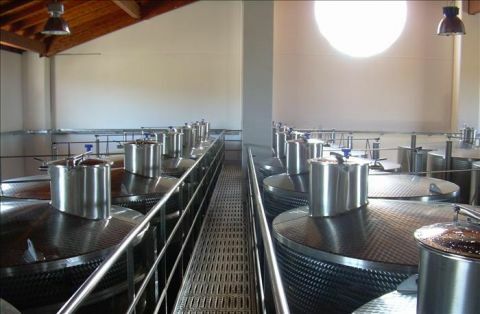 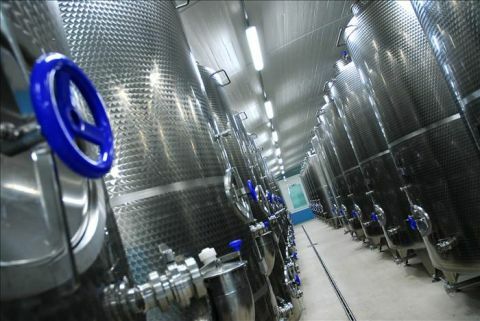 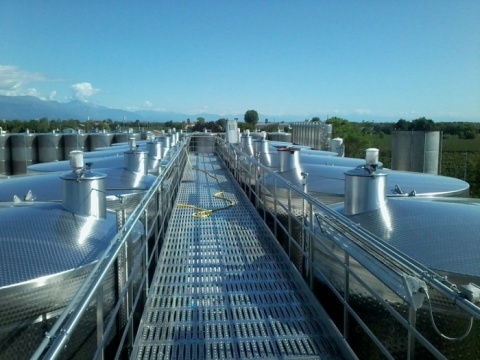 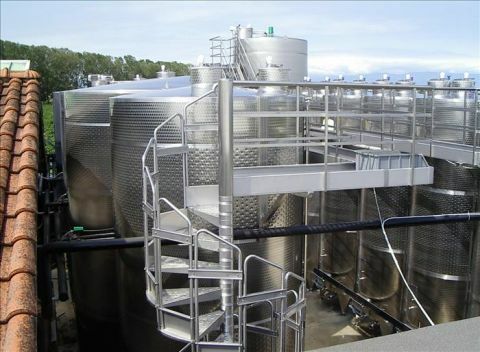 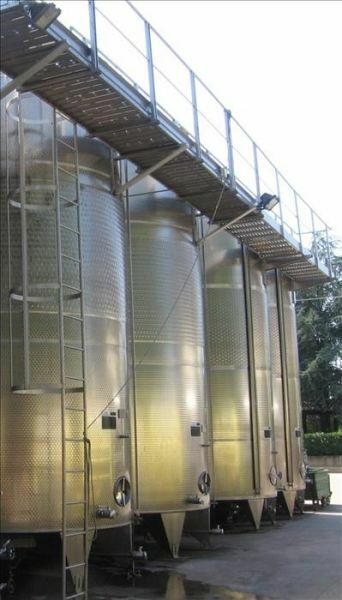 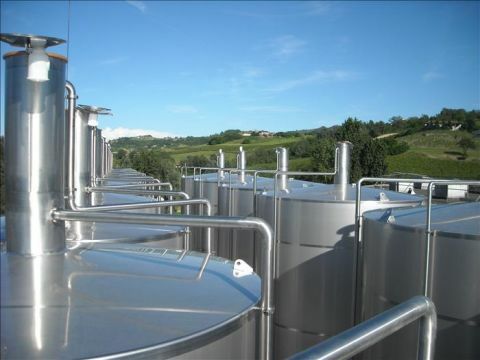 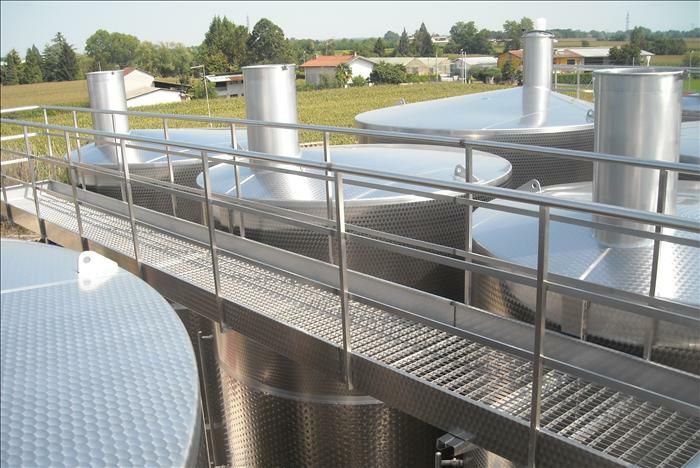 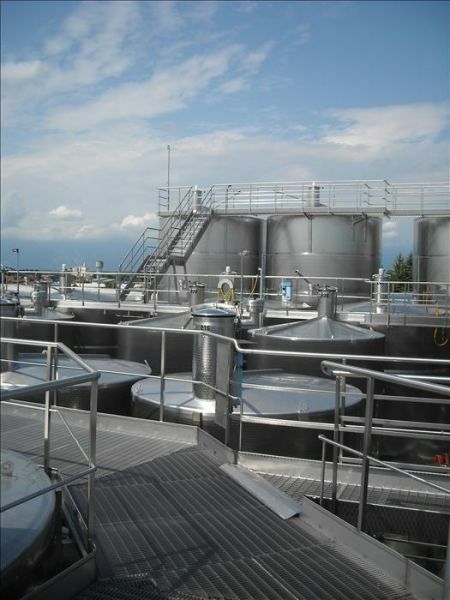 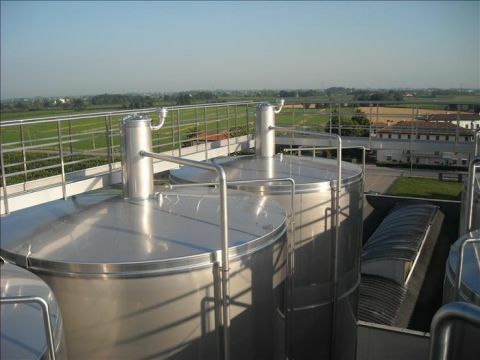 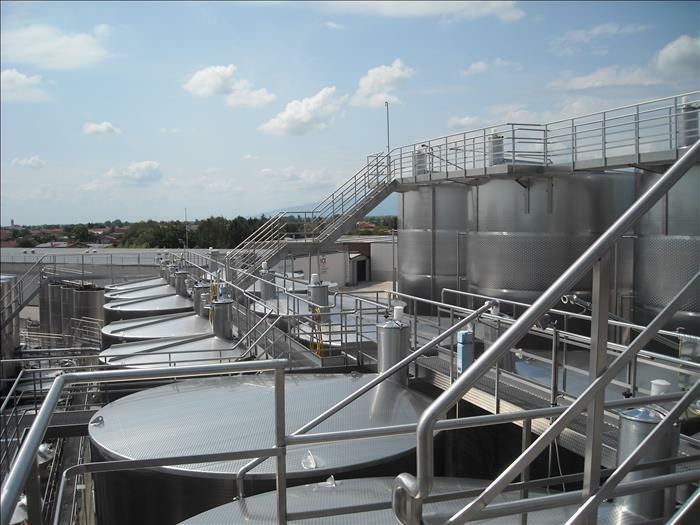 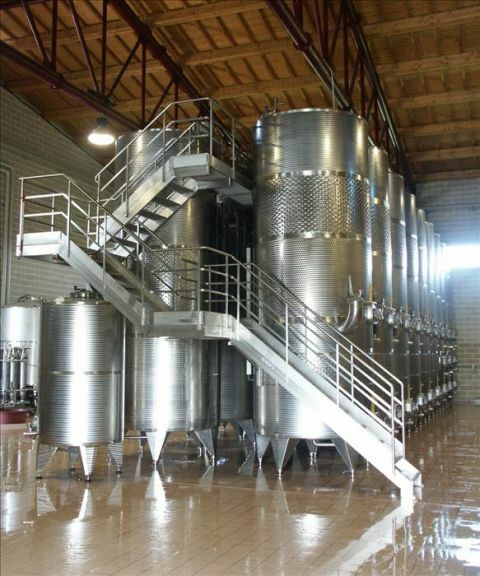 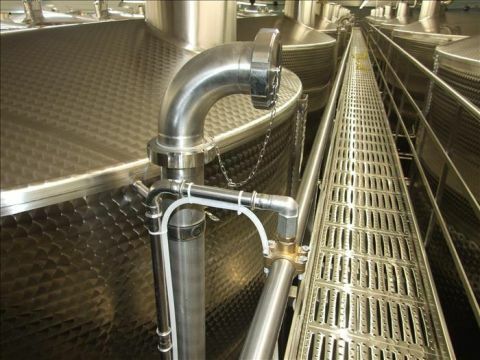 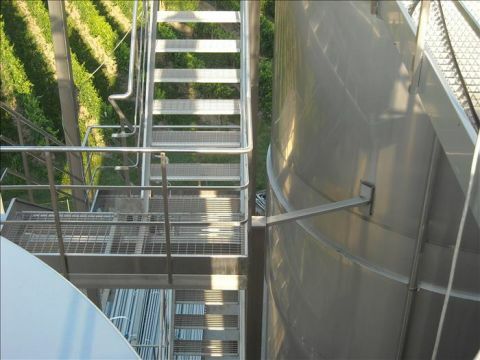 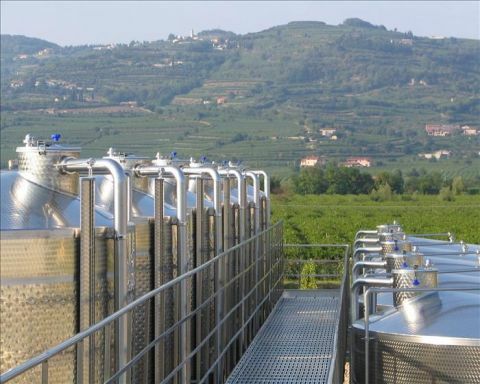 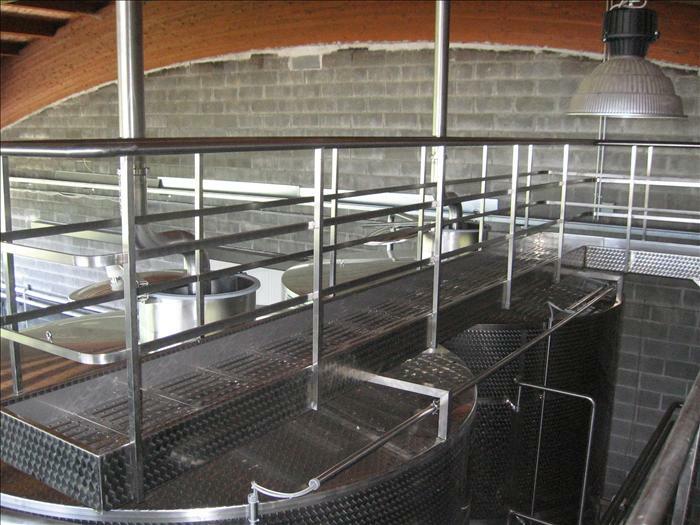 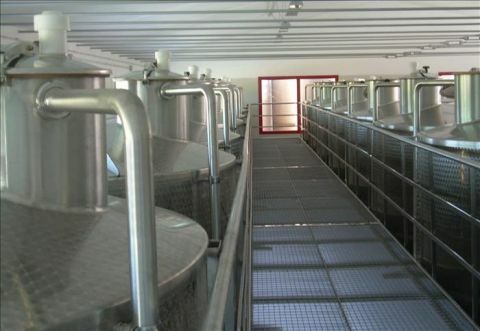 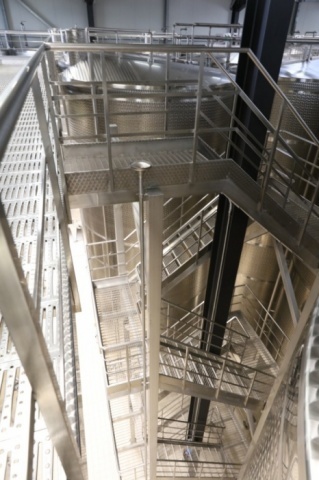 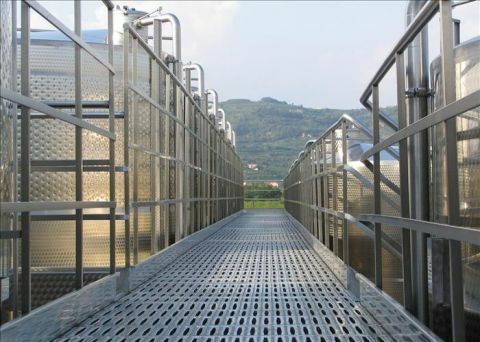 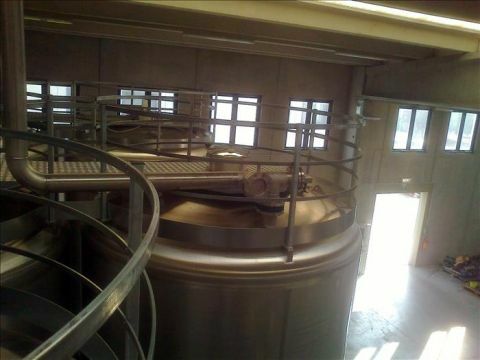 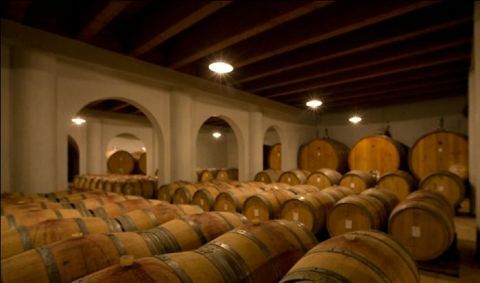 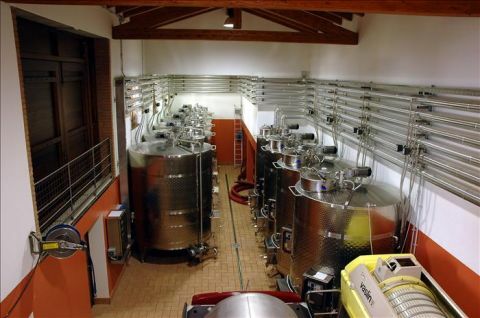 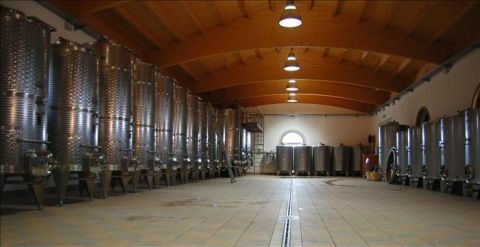 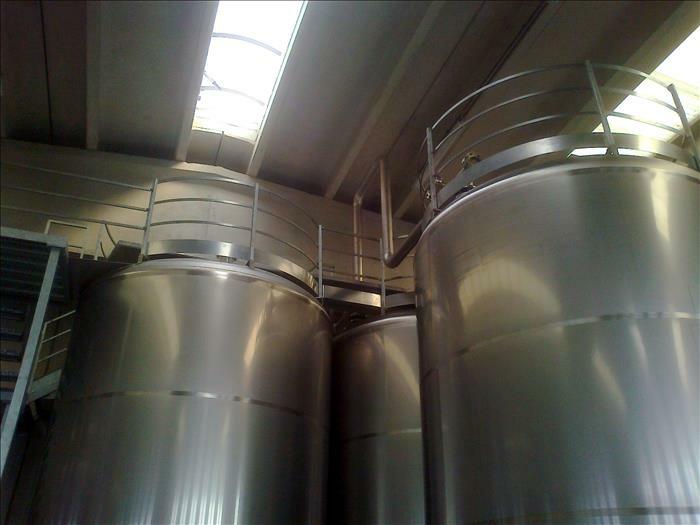 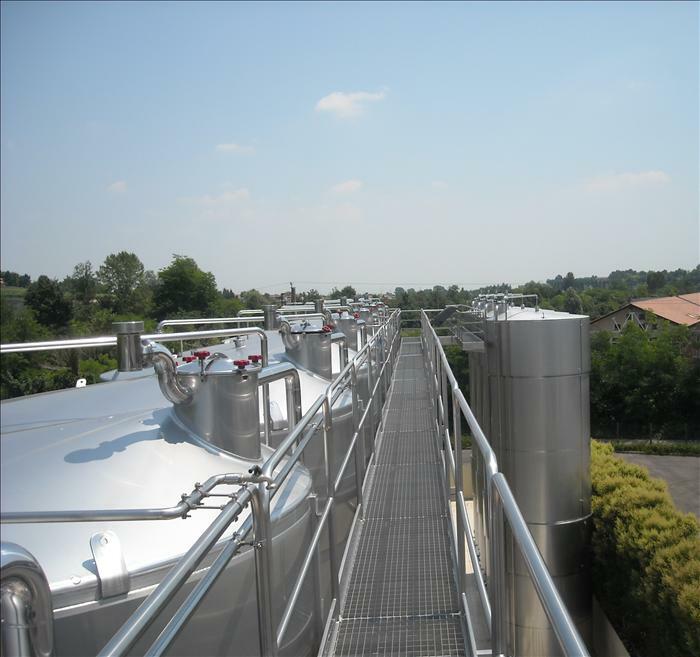 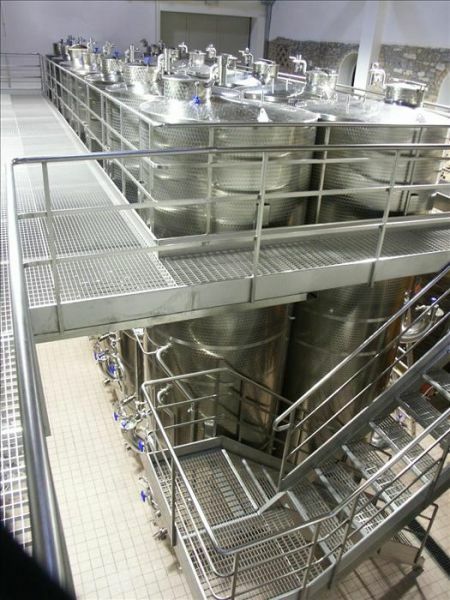 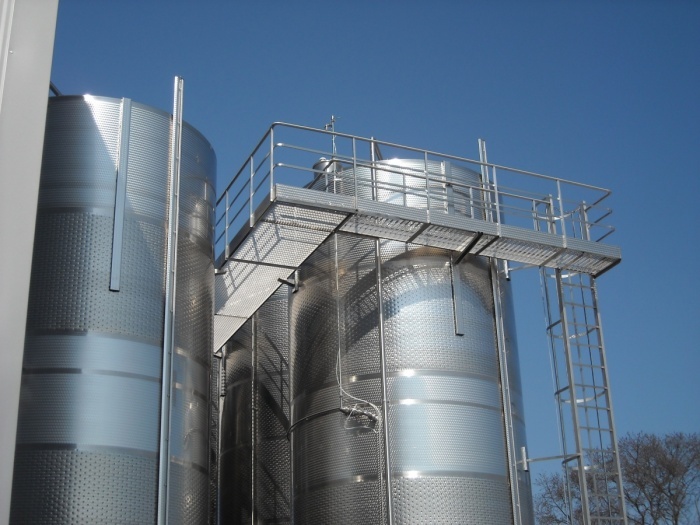 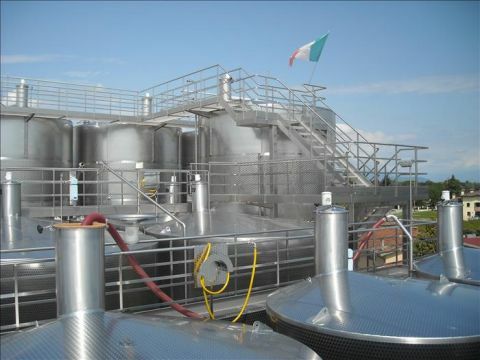 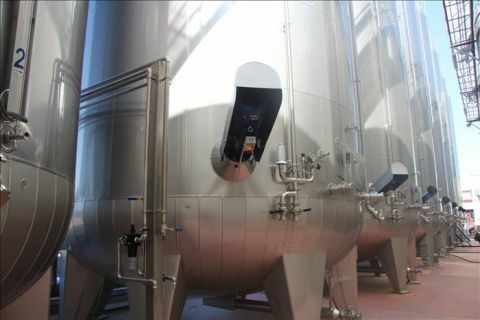 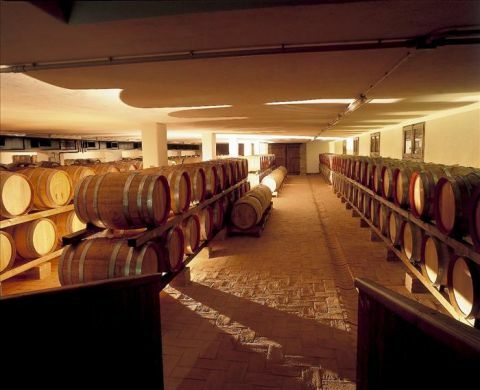 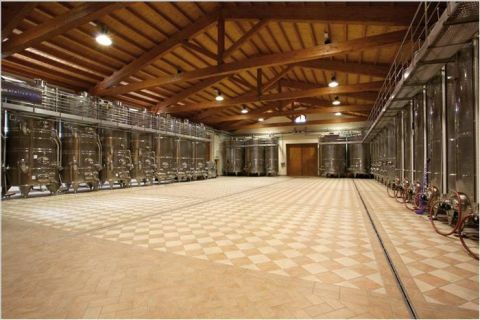 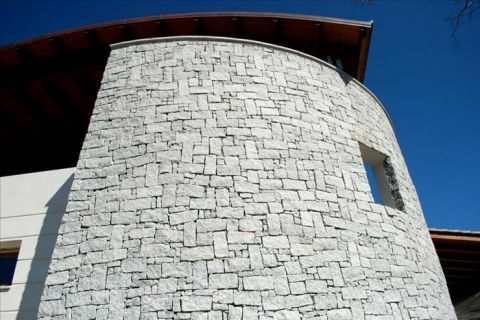 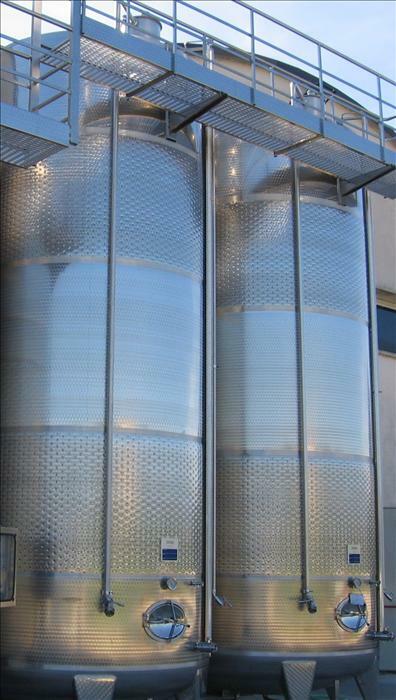 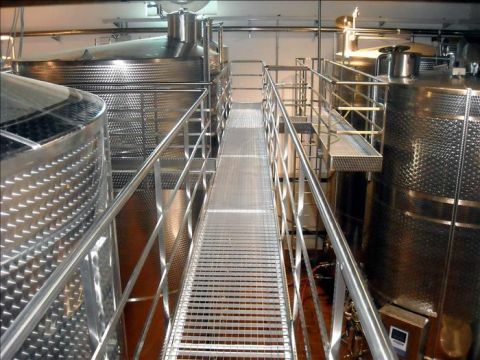 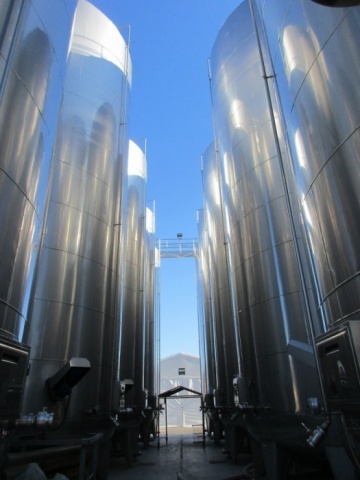 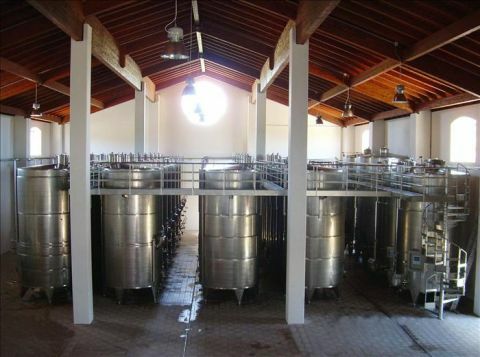 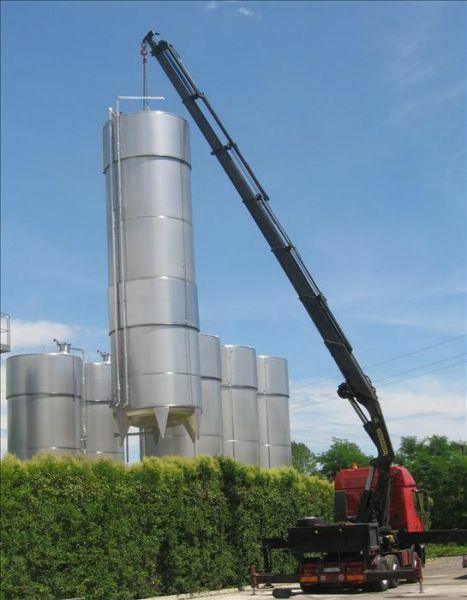 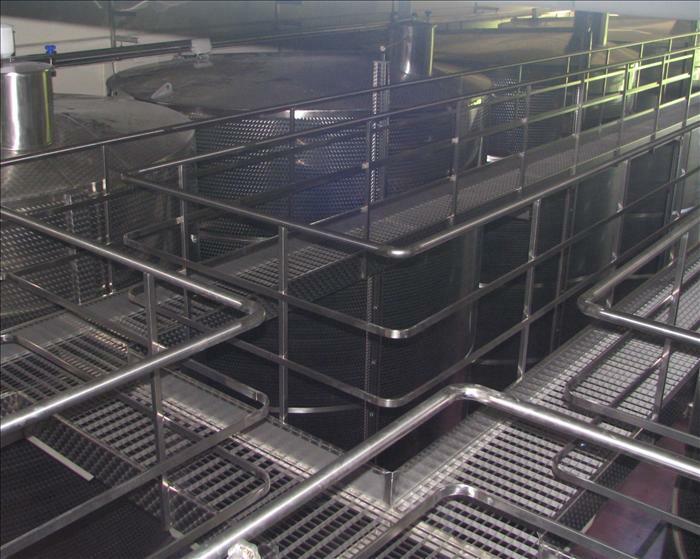 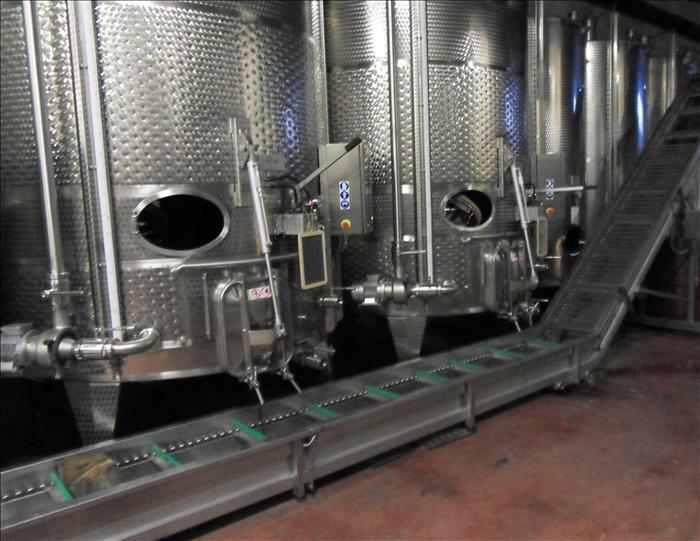 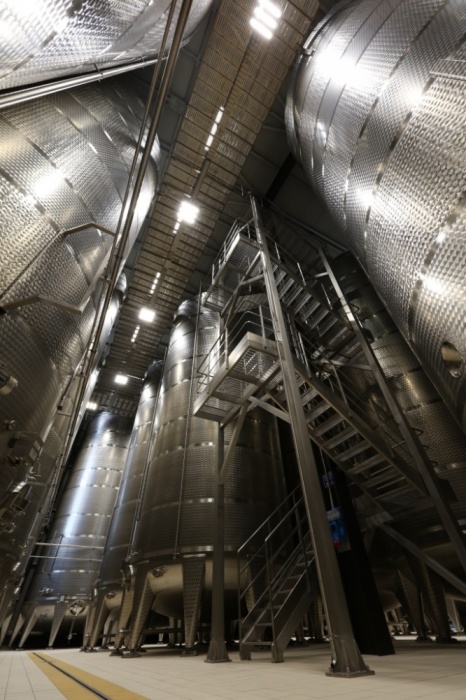 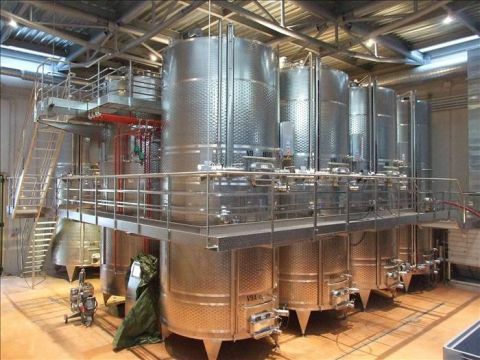 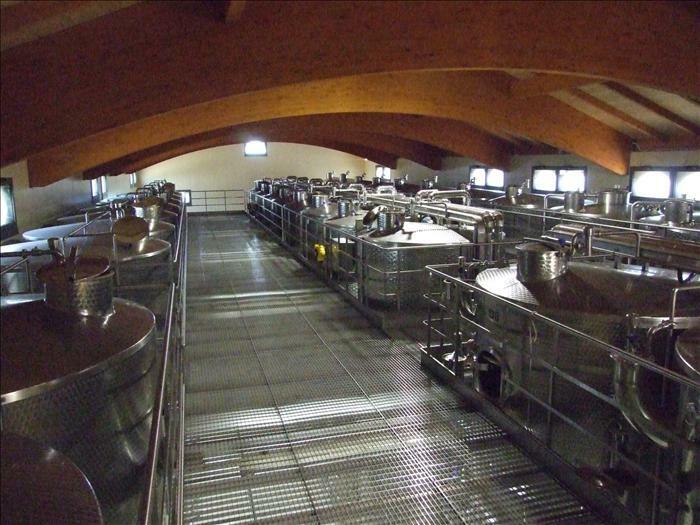 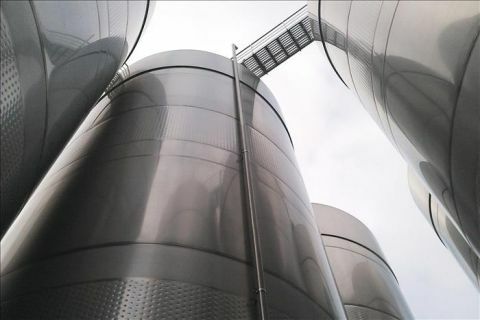 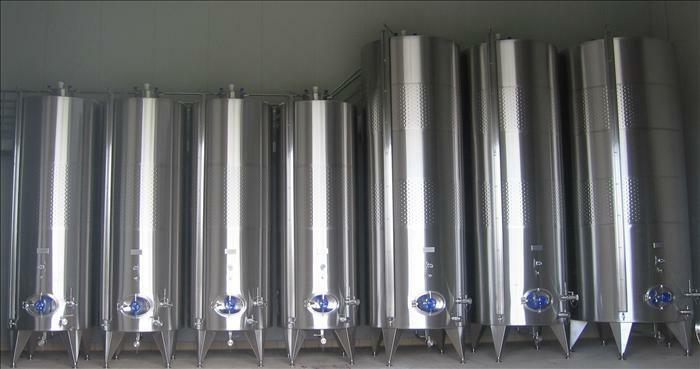 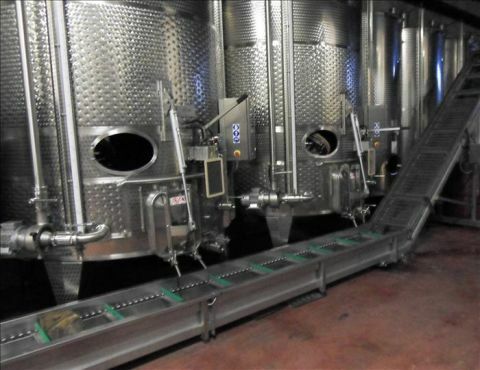 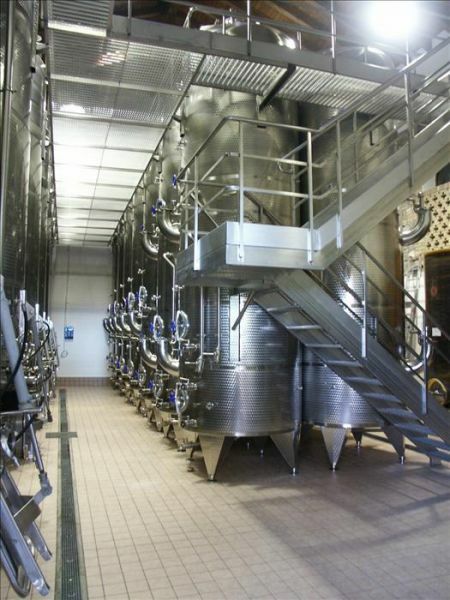 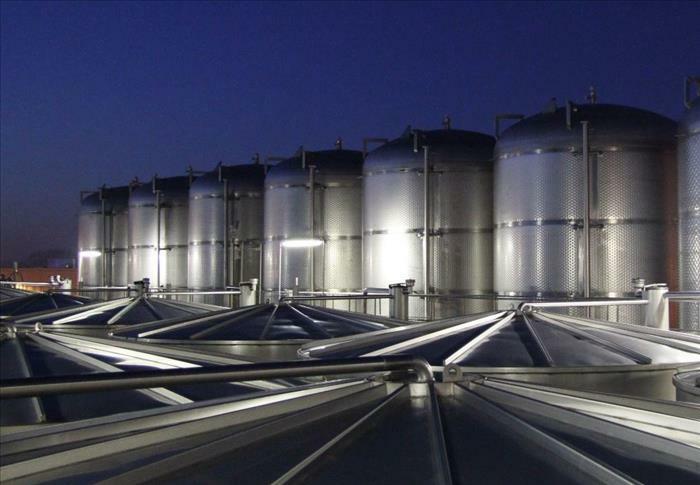 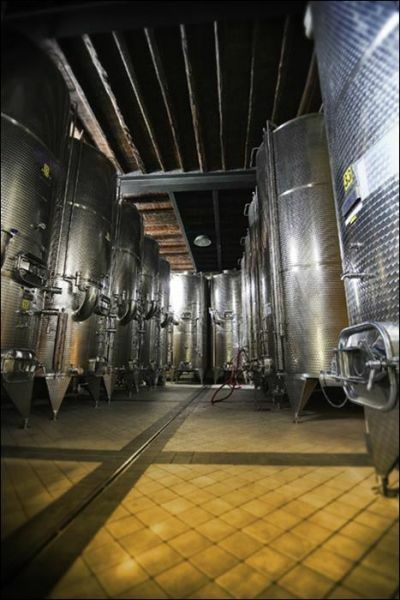 Design and construction of wine making systems, fermentation systems, storage systems and ladders and walkways systems. 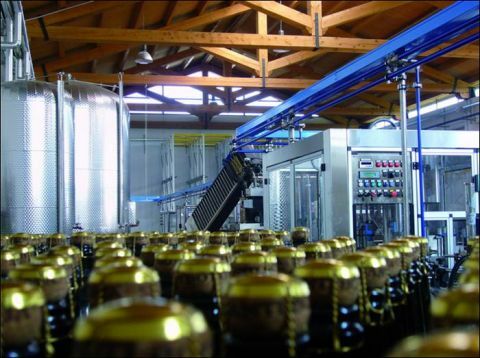 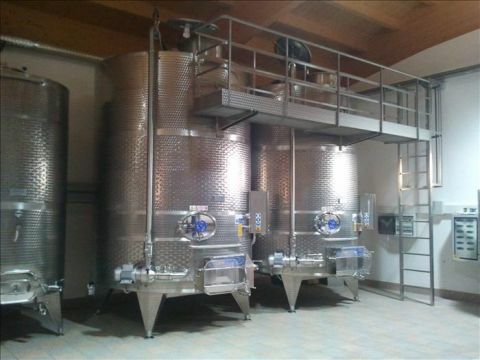 Design and construction of system for sparkling wine production. 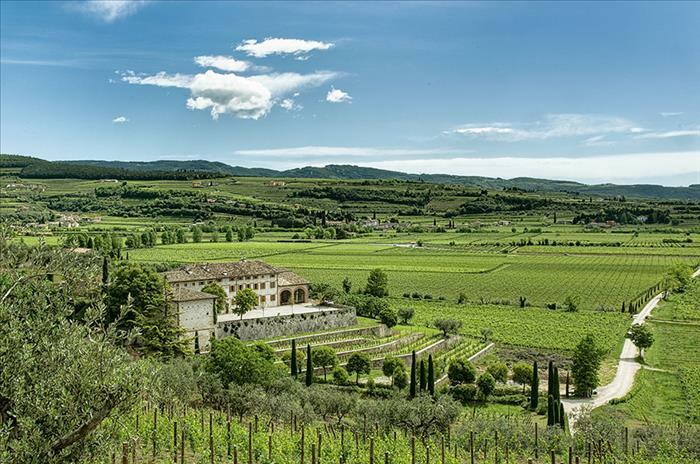 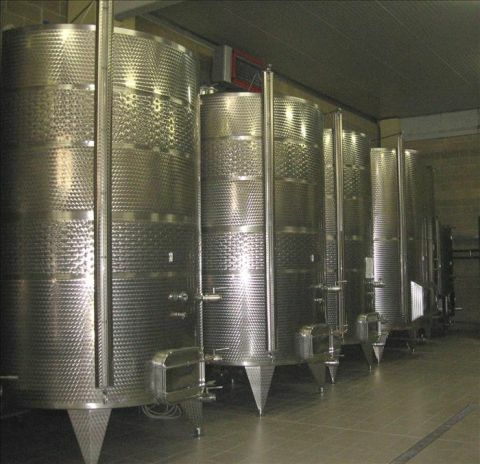 Design and construction of wine making systems and storage systems. Design and construction of sparkling wine systems. Design and construction of storage systems and ladders and walkways systems. 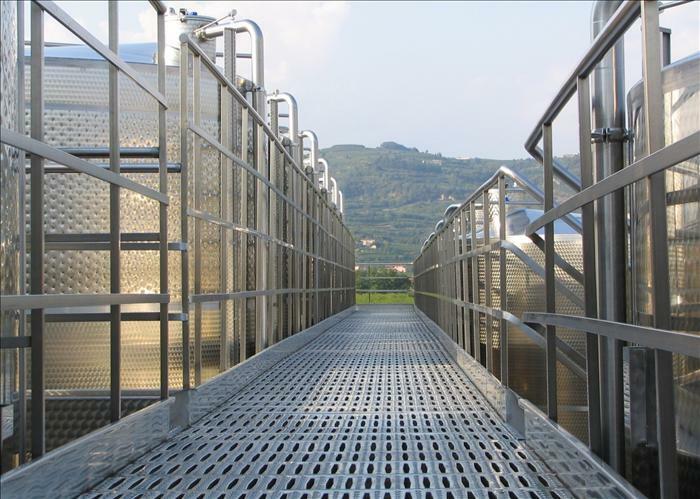 Design and construction of storage systems, sparkling wine systems and ladders and walkways systems. 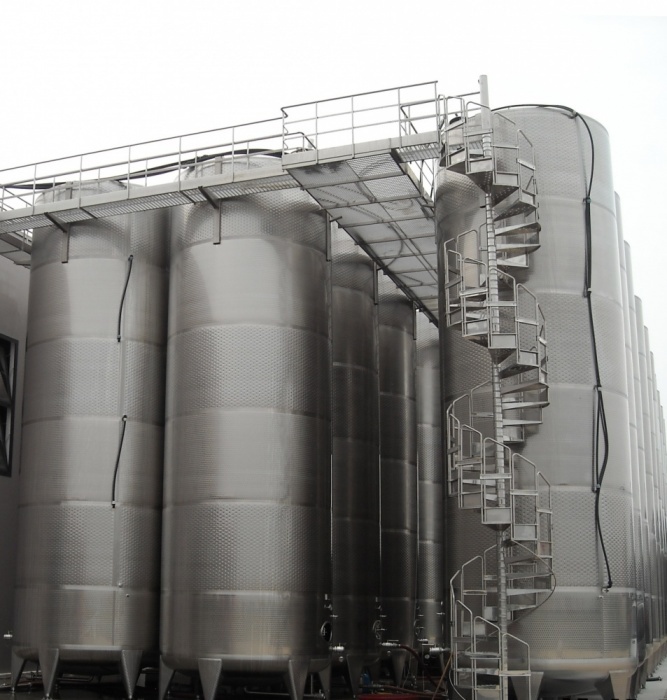 Design and construction of storage systems. 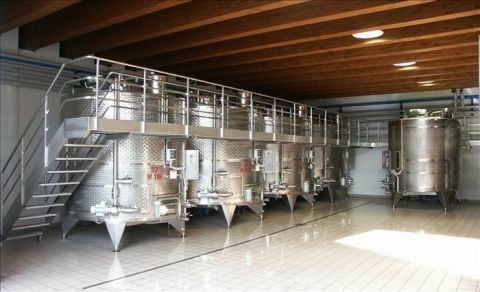 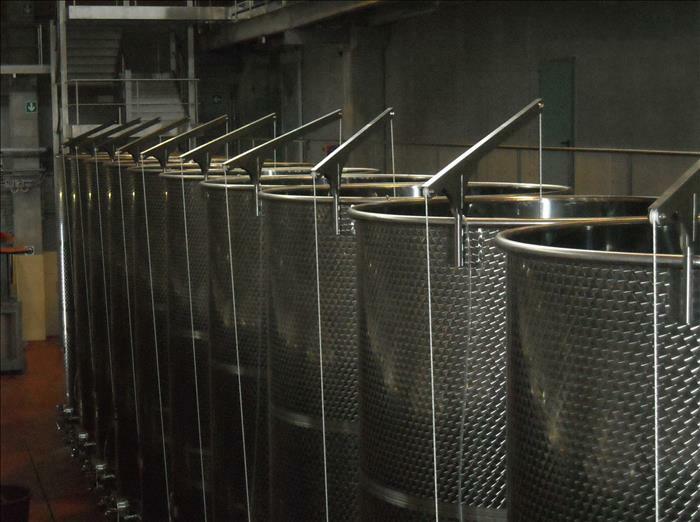 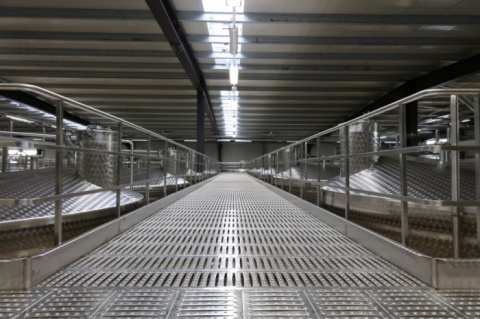 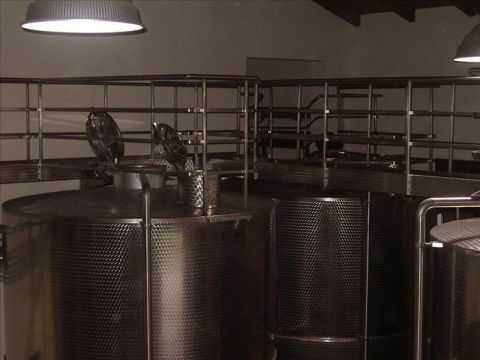 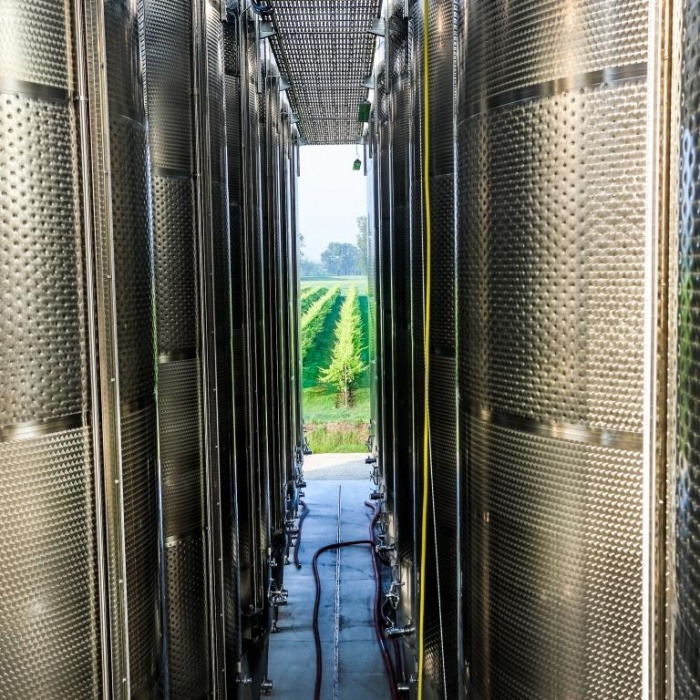 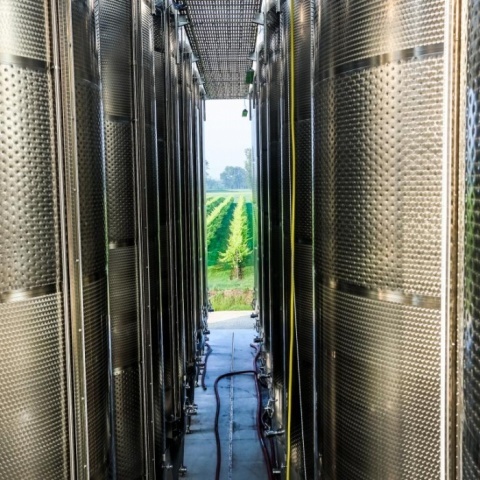 Design and construction of storage systems and wine making system completed with rails holding bins for the automation of the wine making machine load. 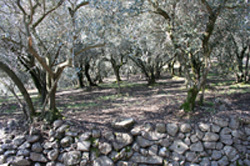 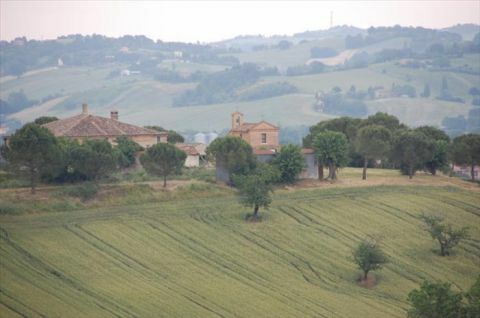 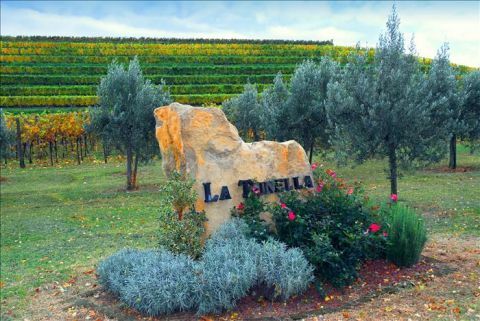 Società Agricola Forestale a r.l. 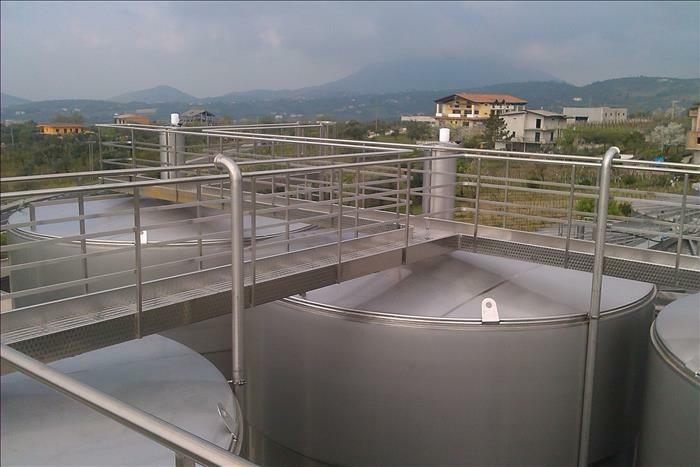 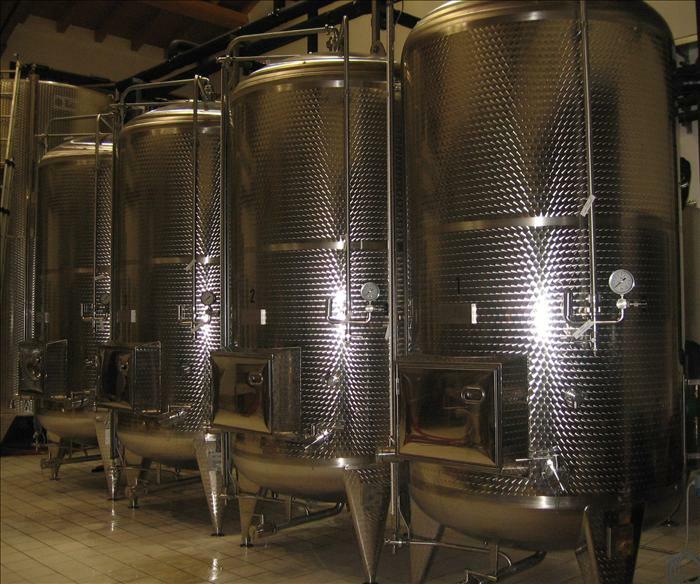 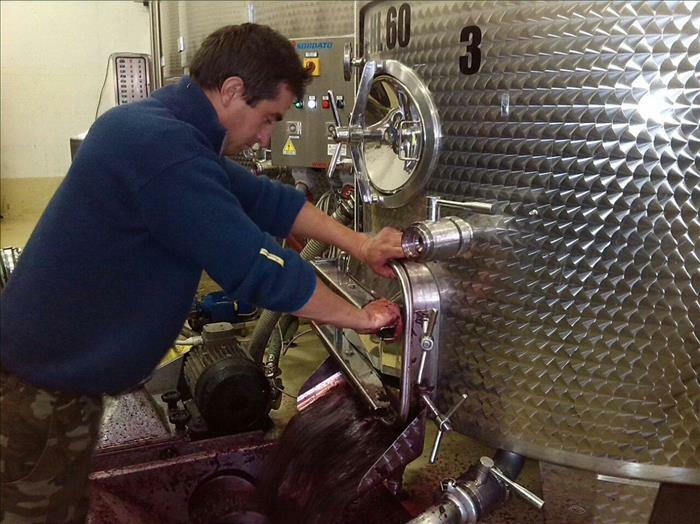 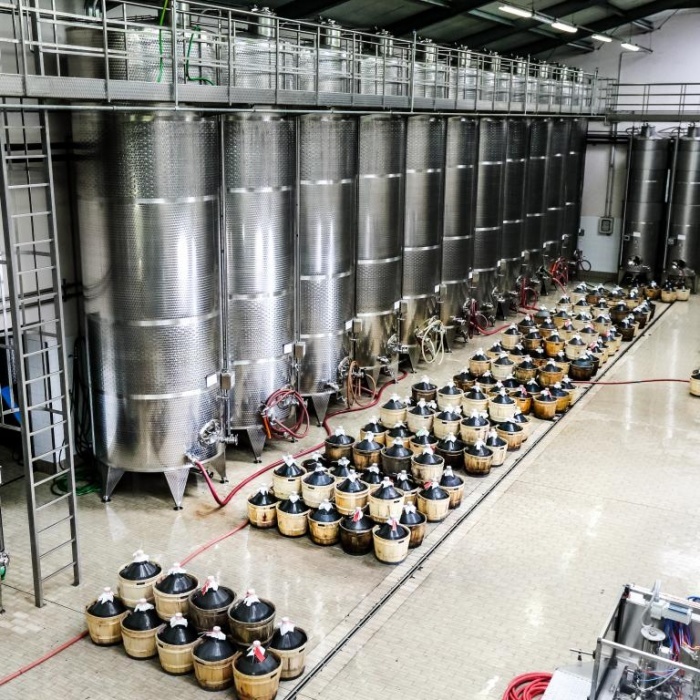 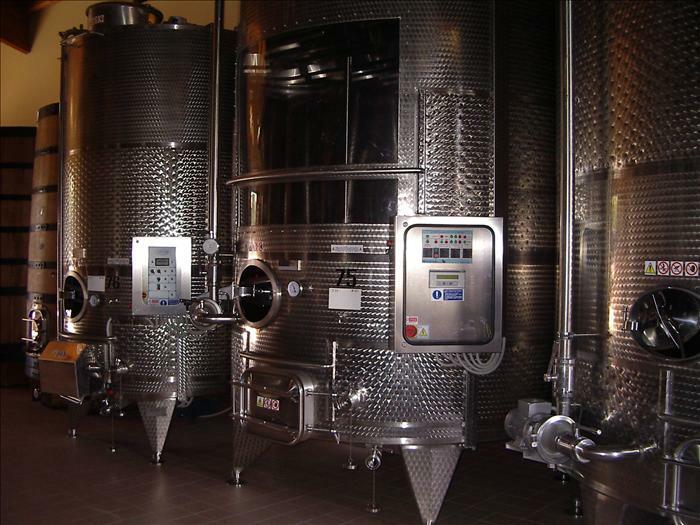 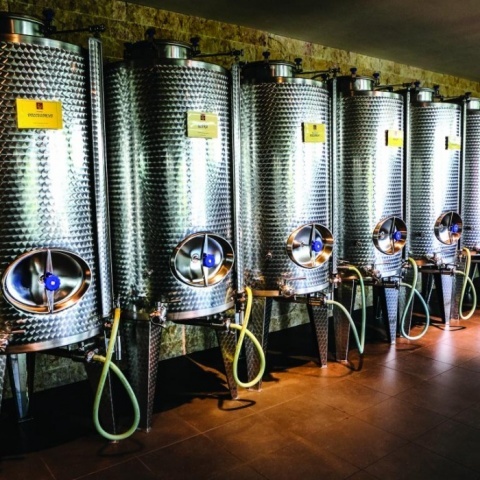 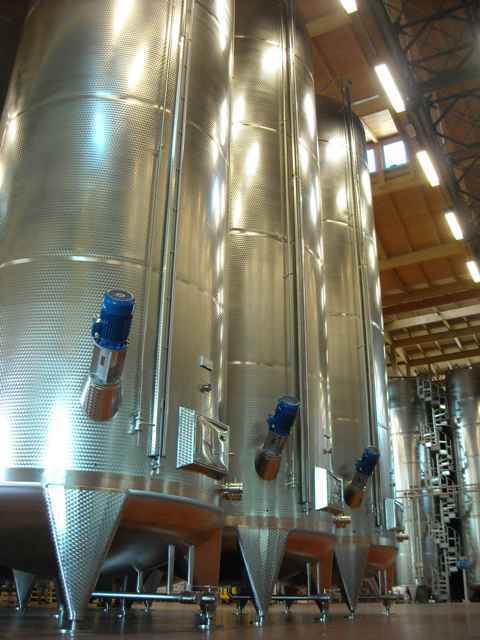 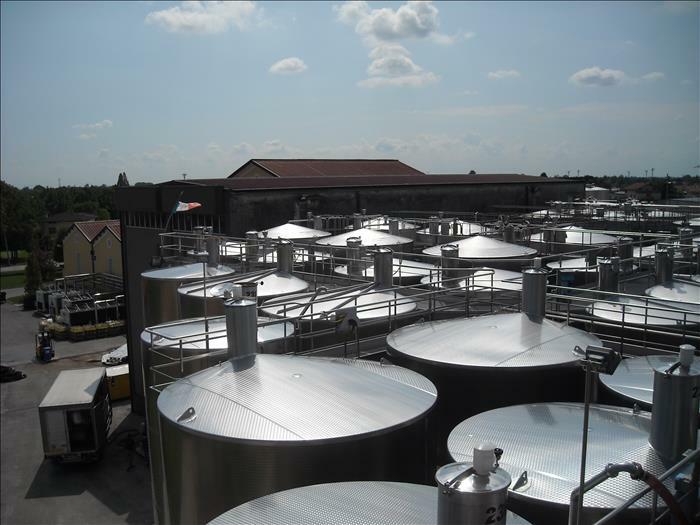 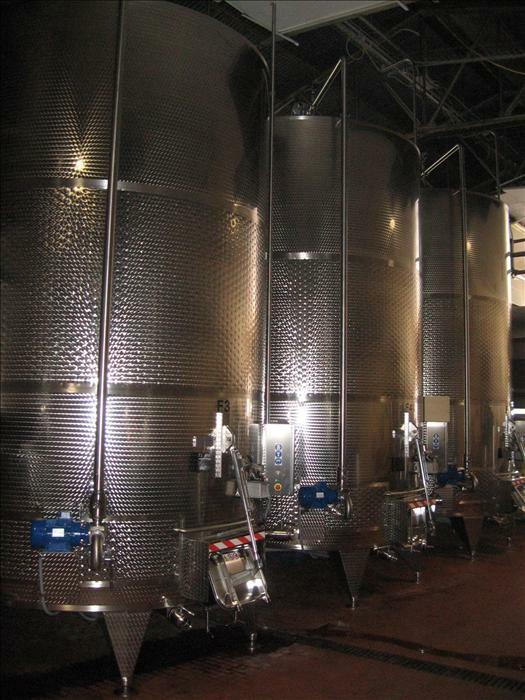 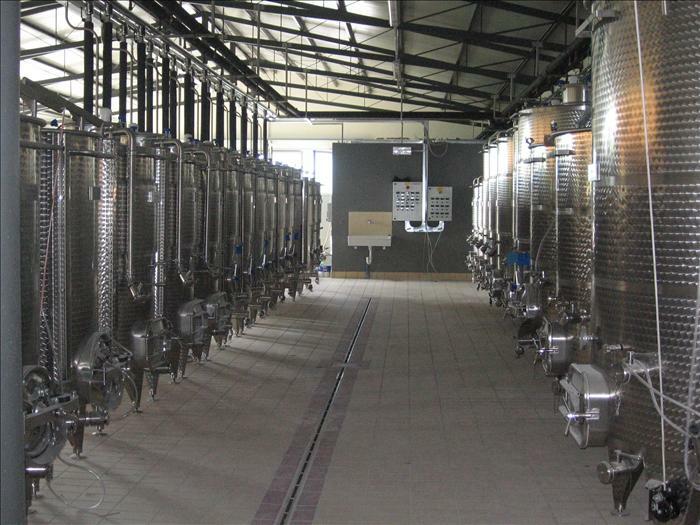 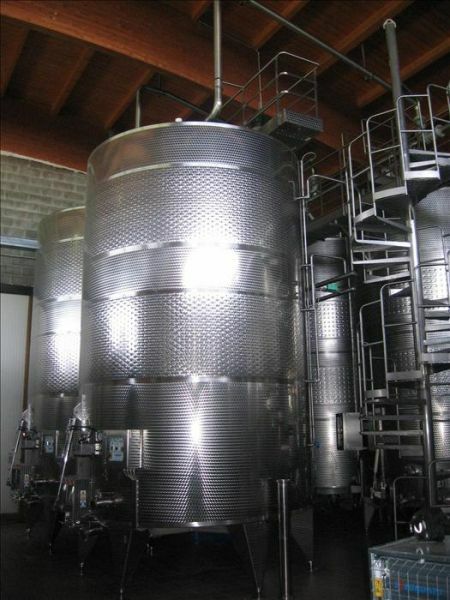 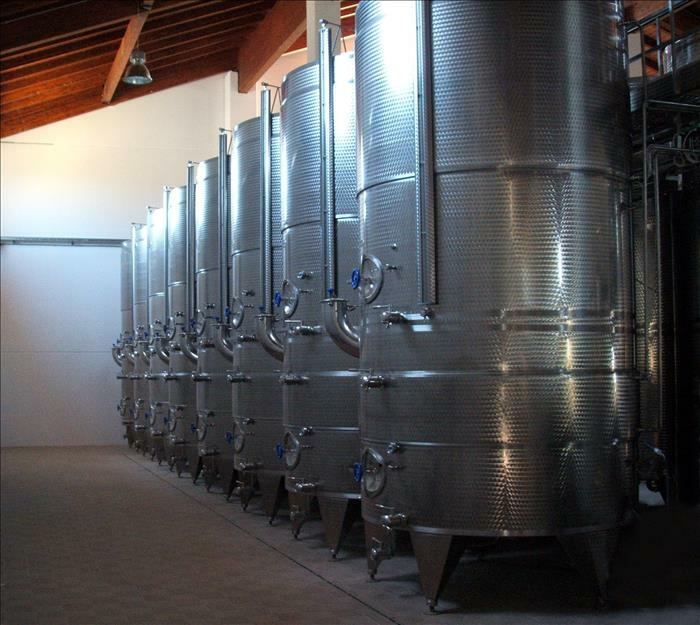 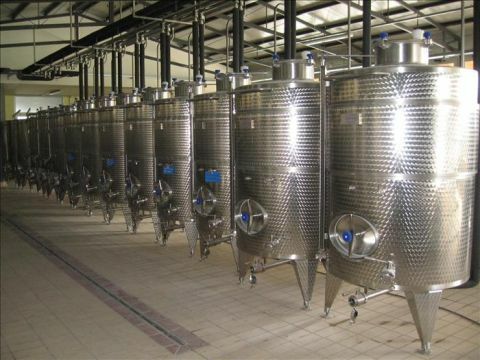 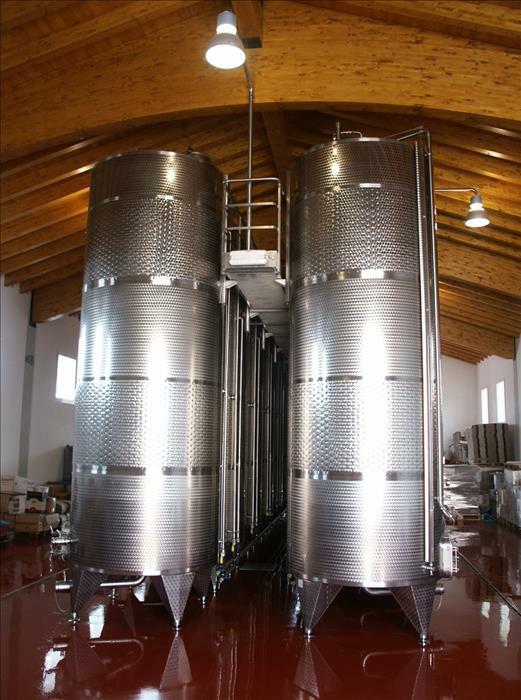 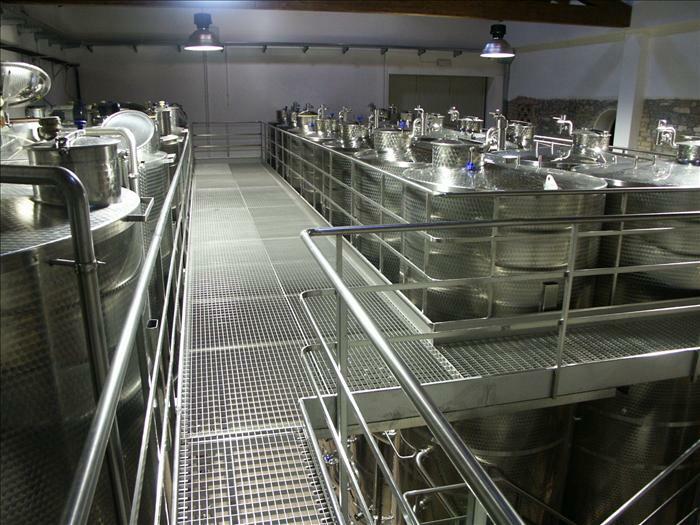 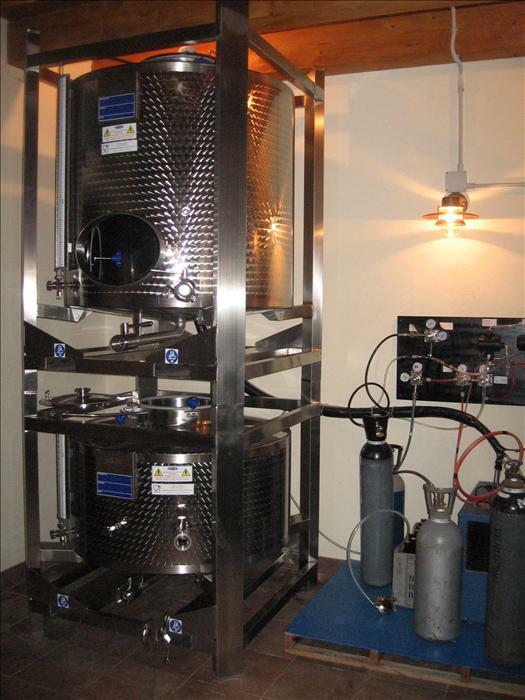 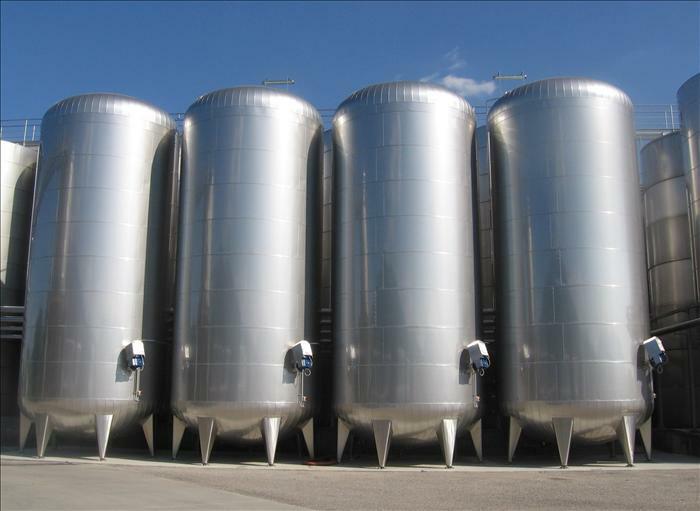 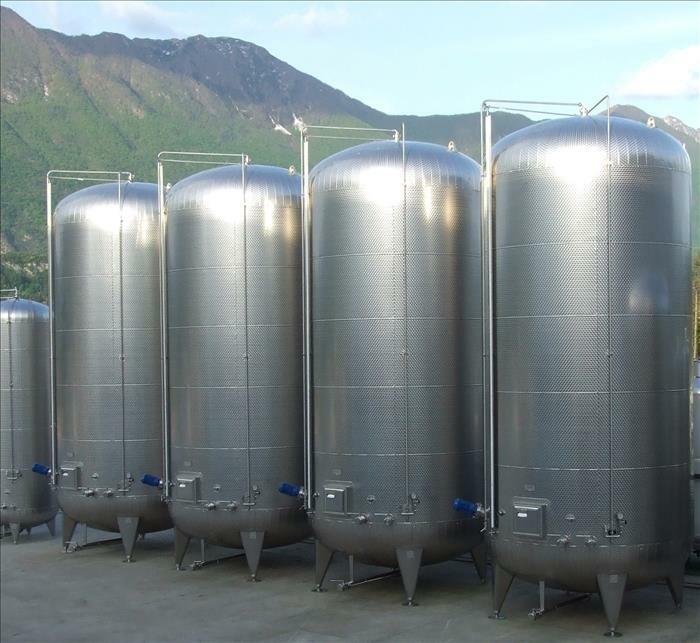 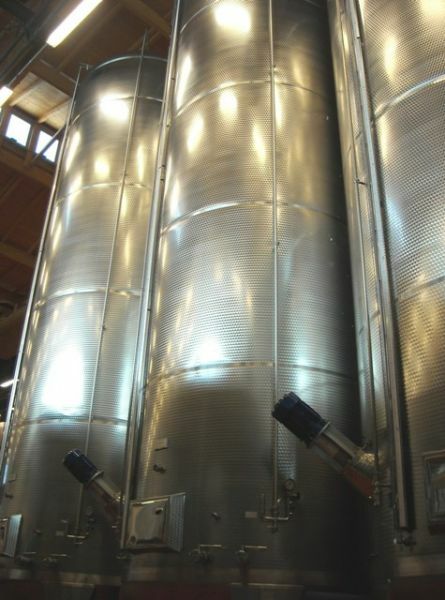 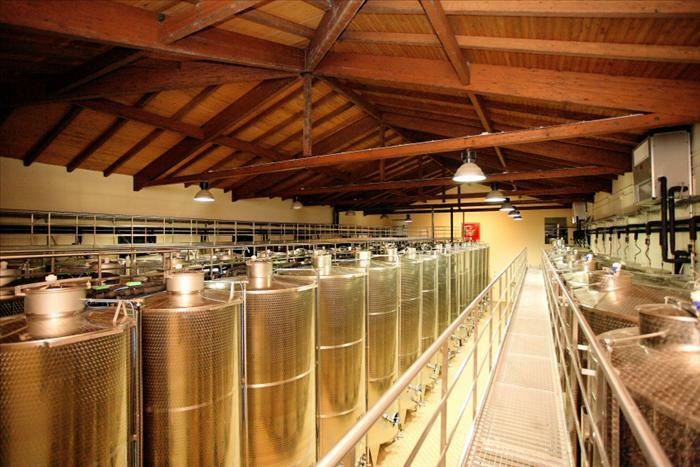 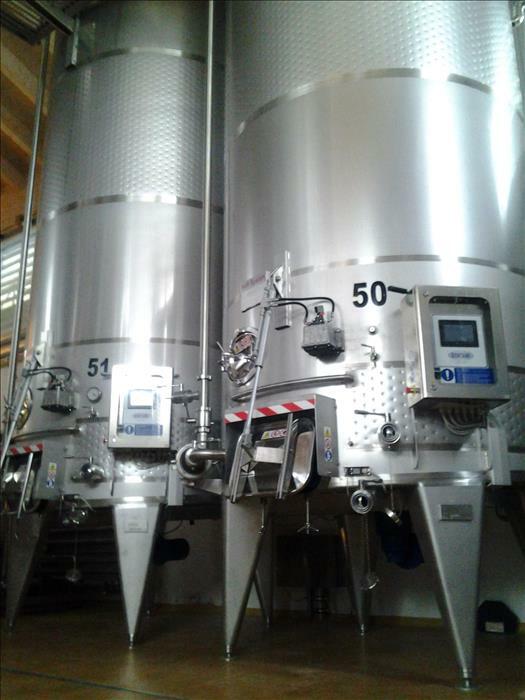 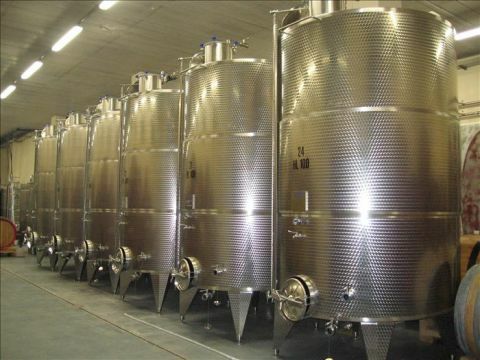 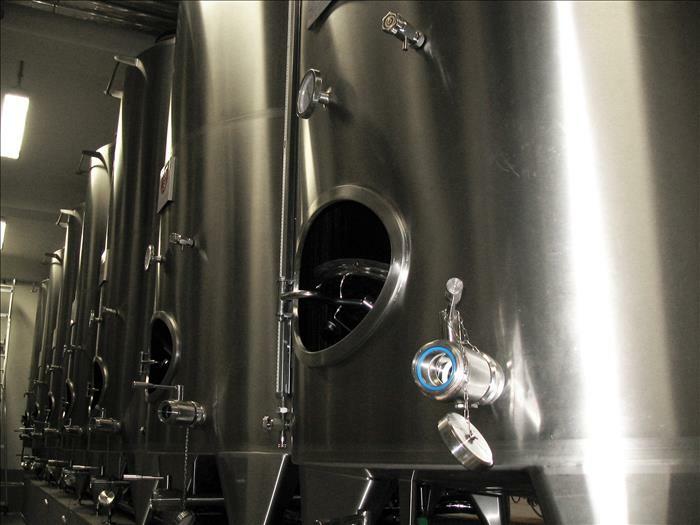 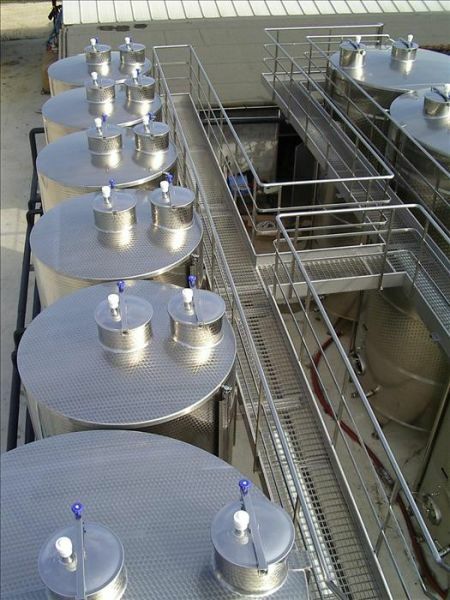 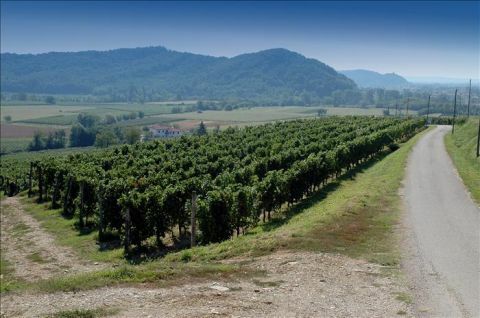 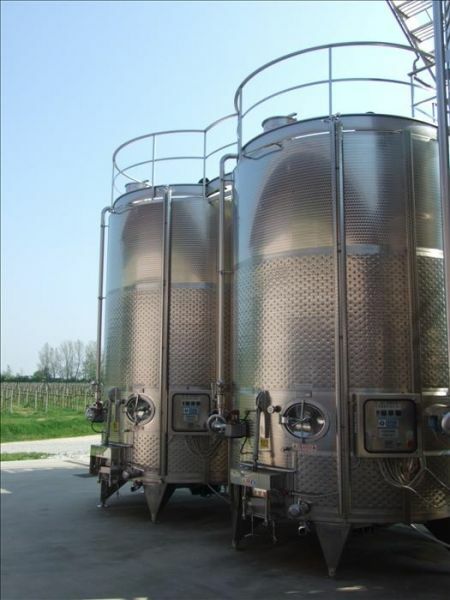 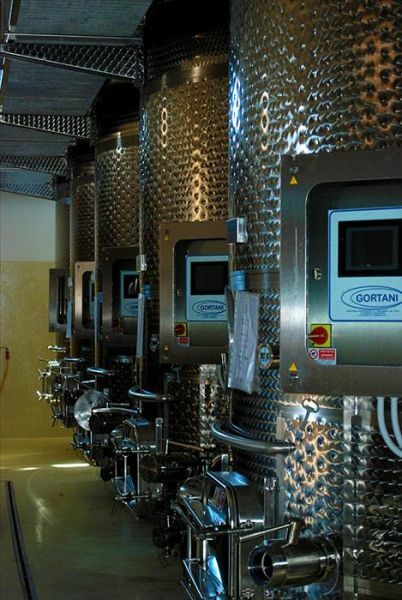 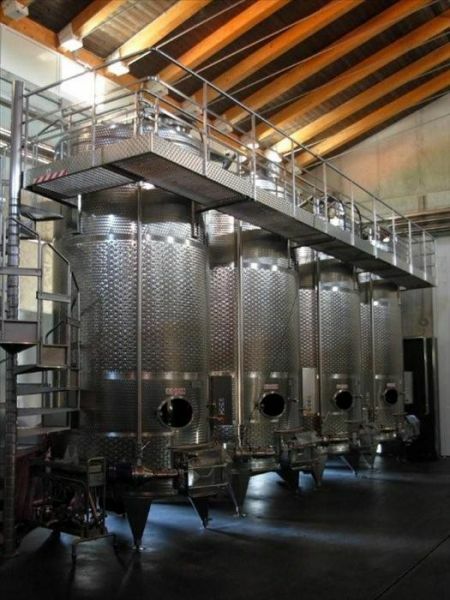 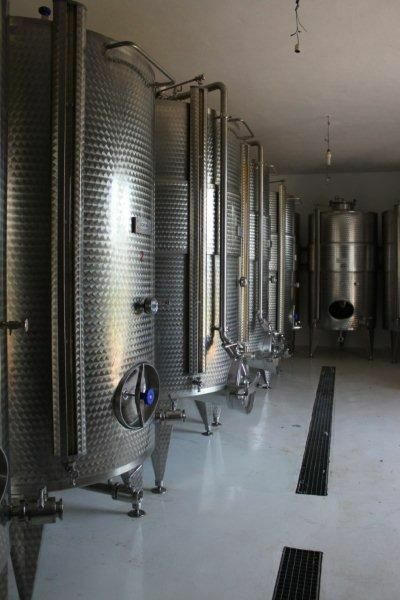 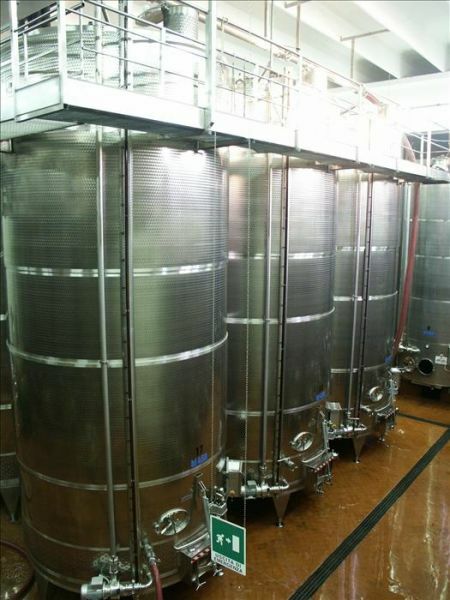 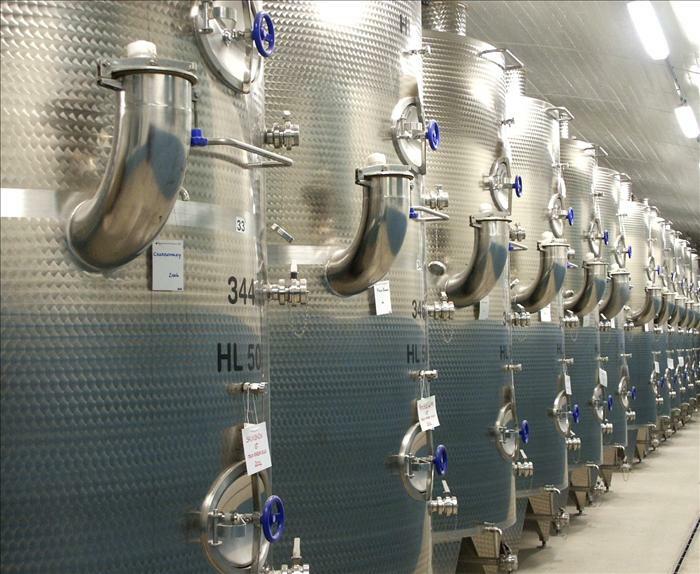 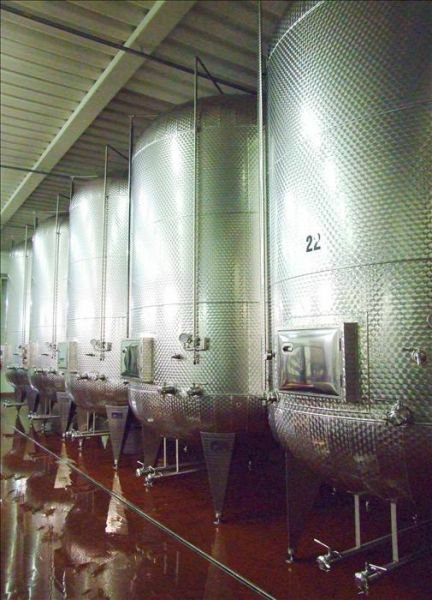 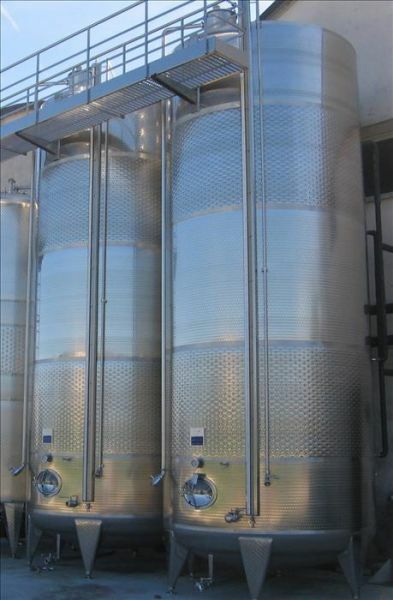 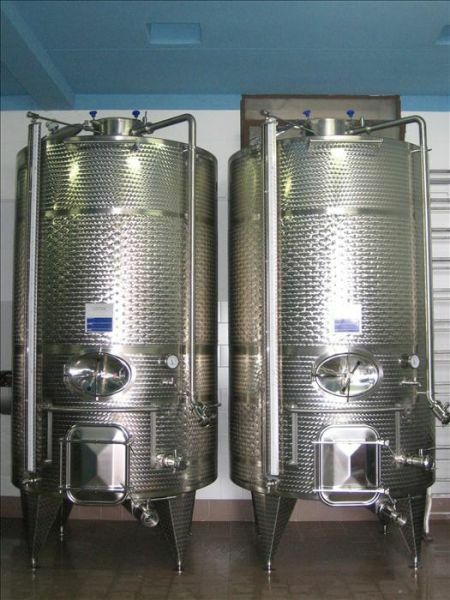 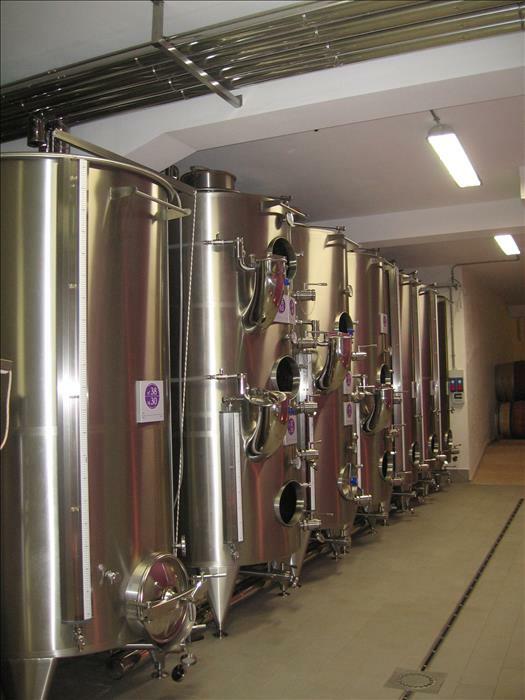 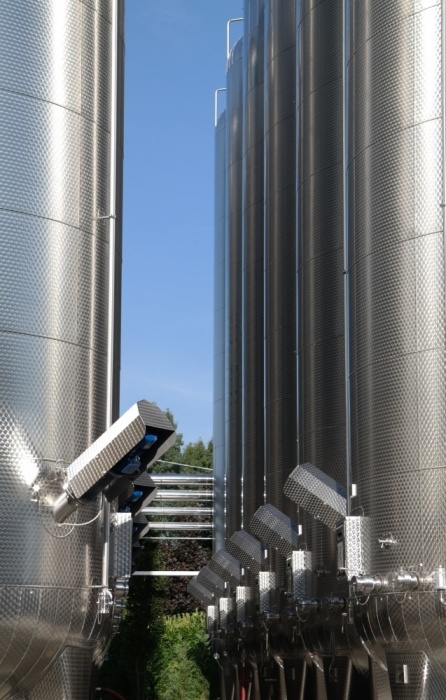 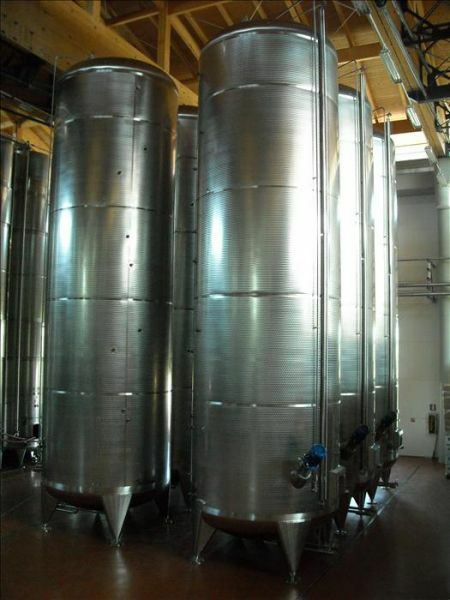 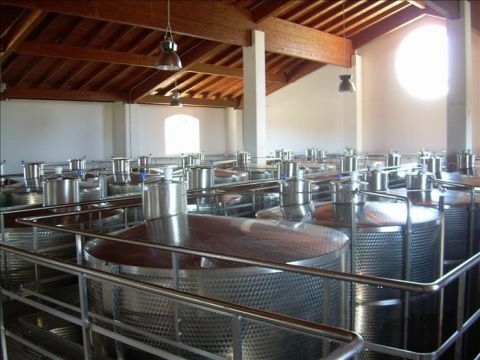 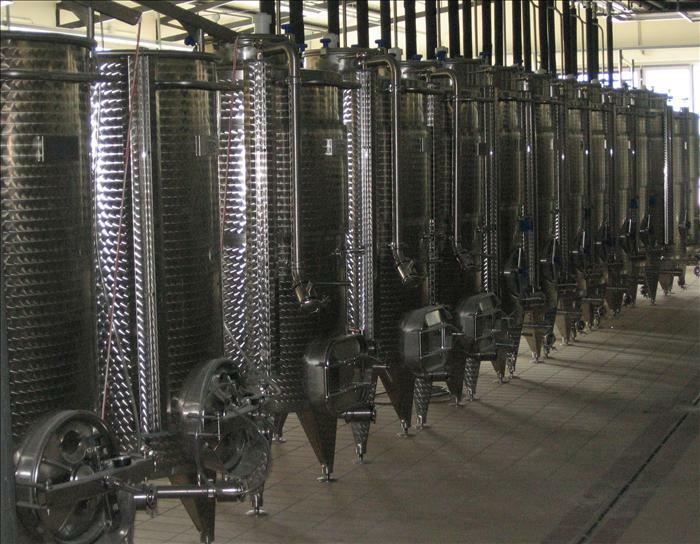 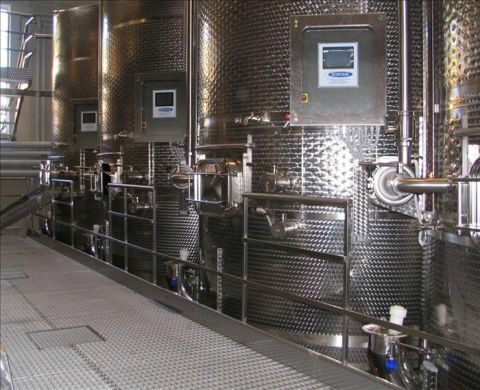 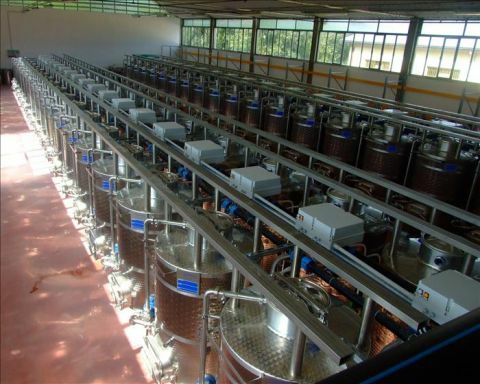 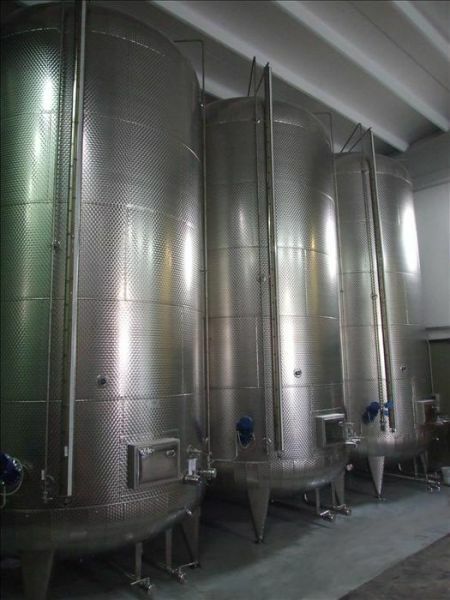 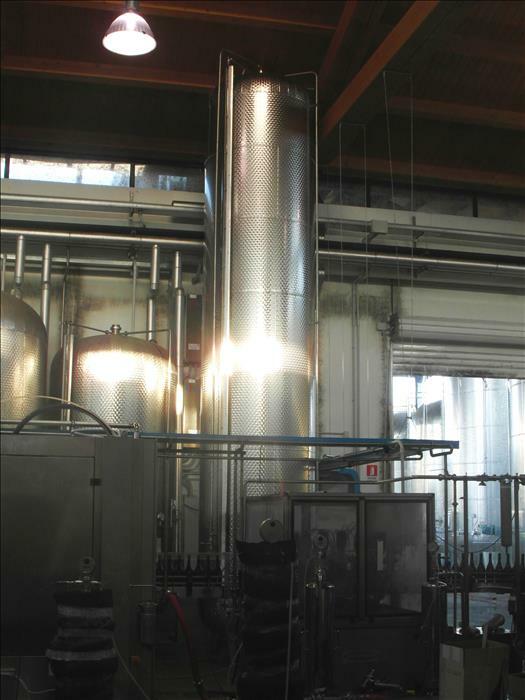 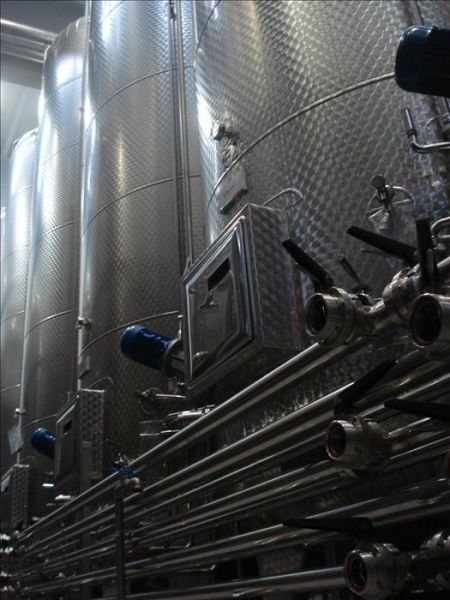 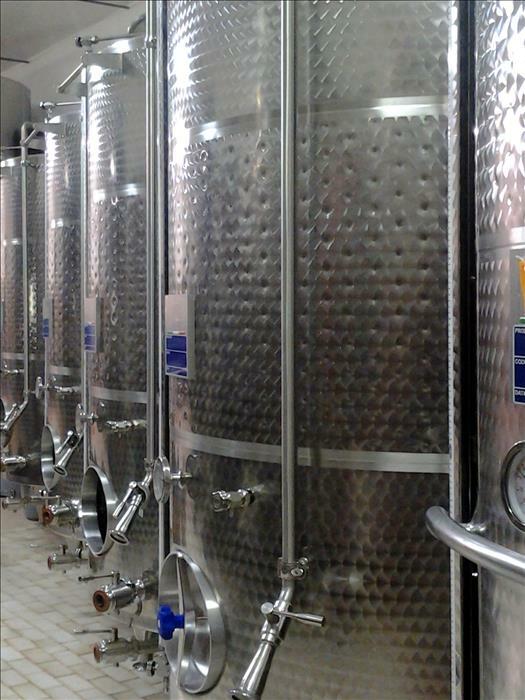 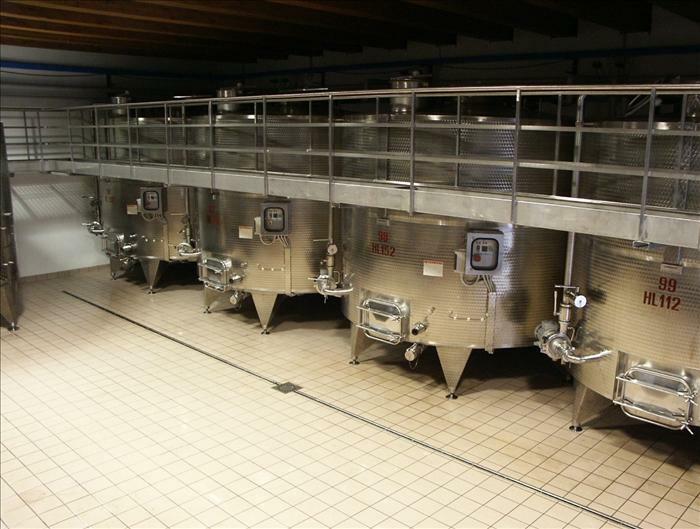 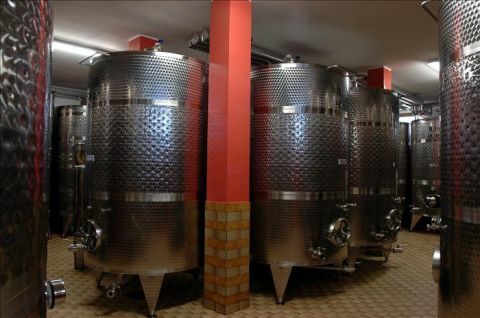 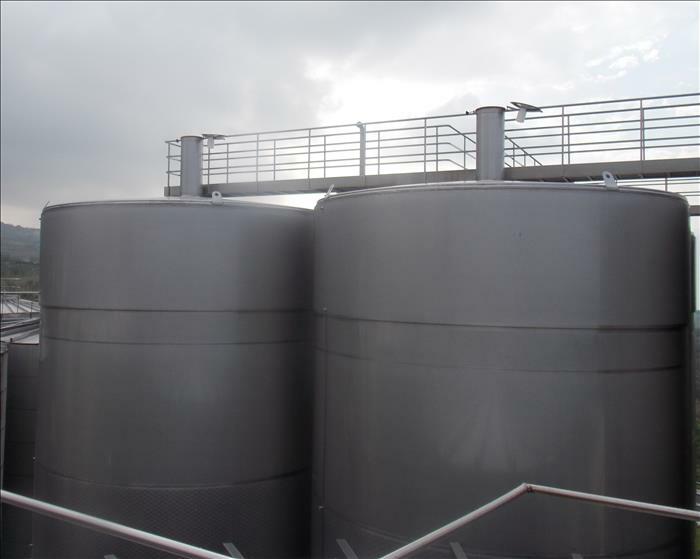 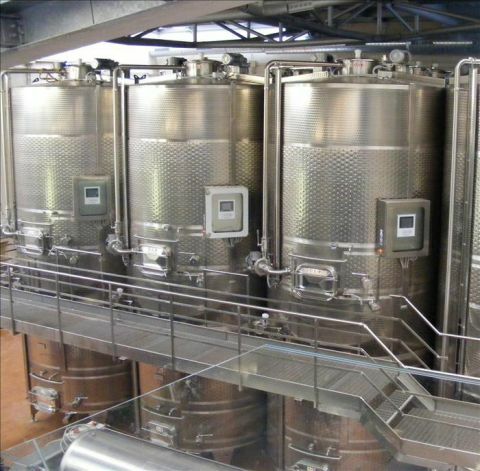 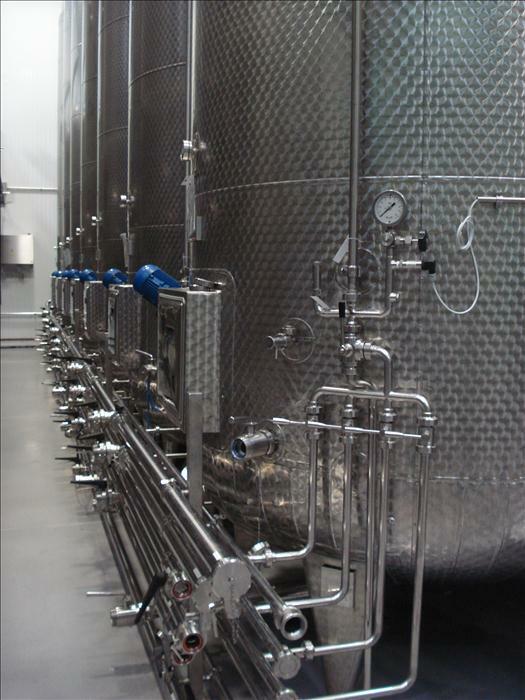 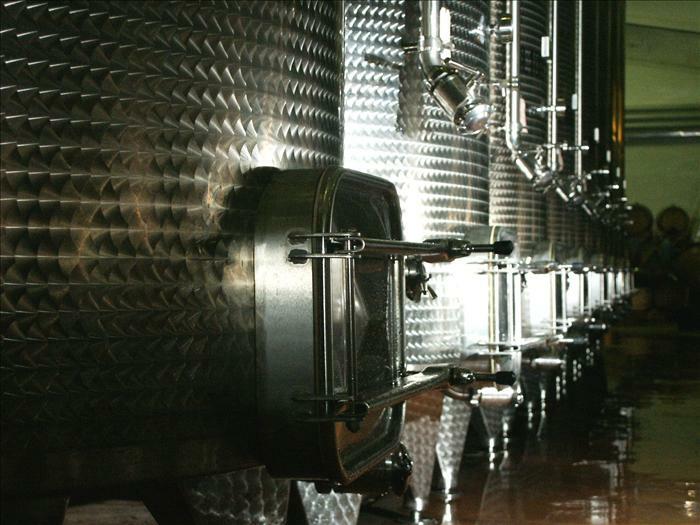 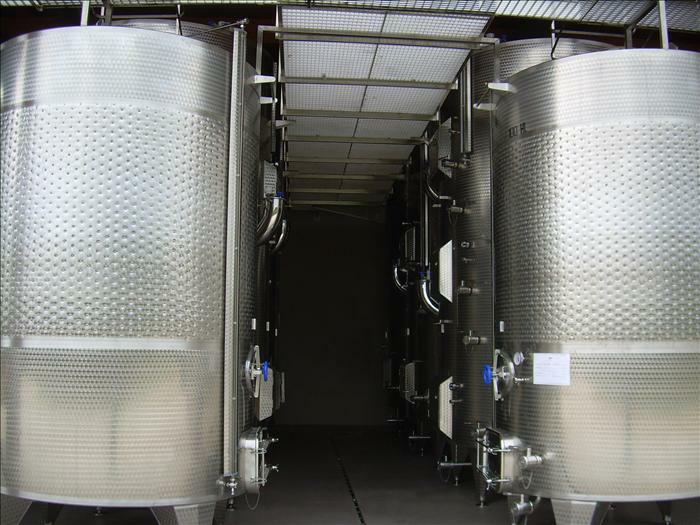 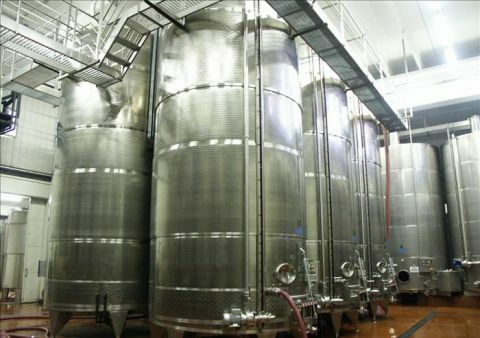 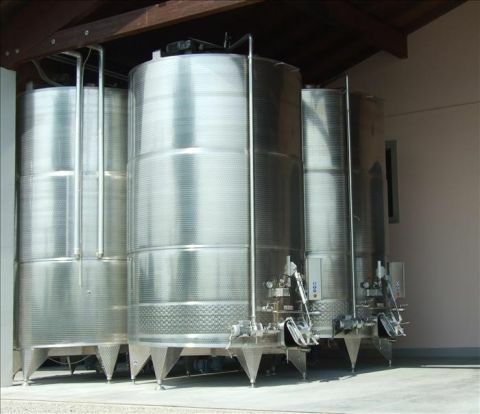 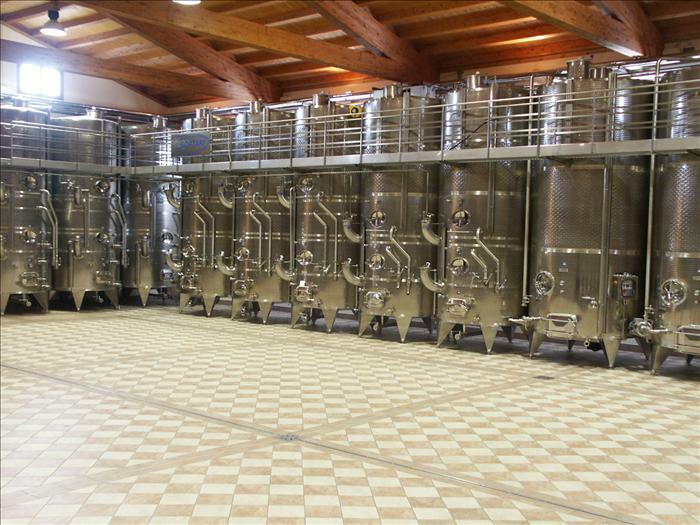 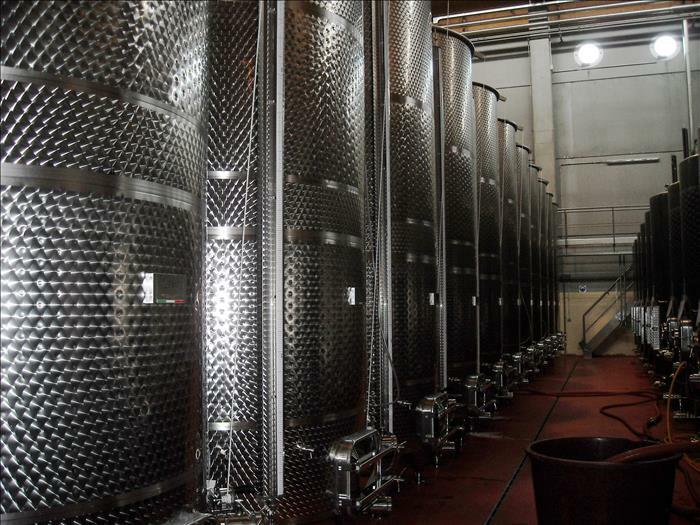 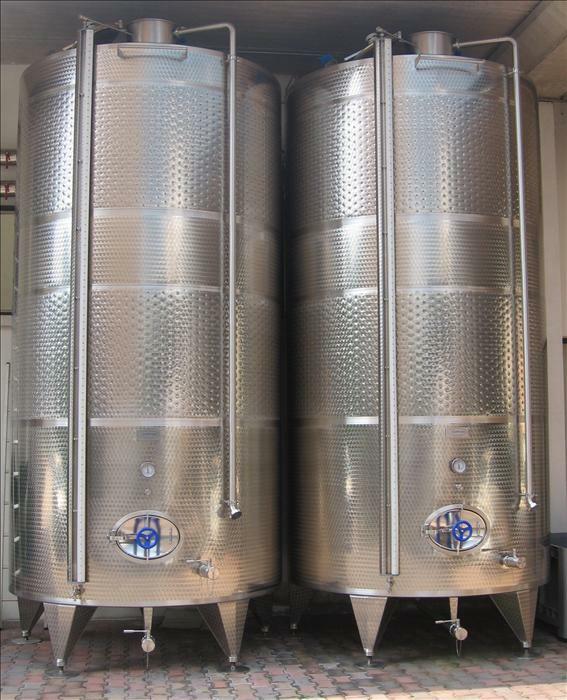 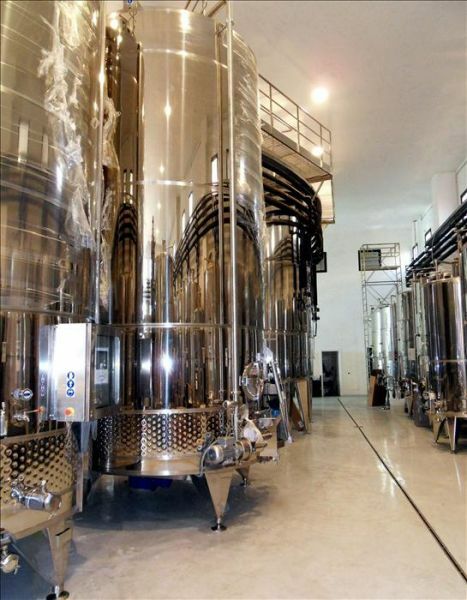 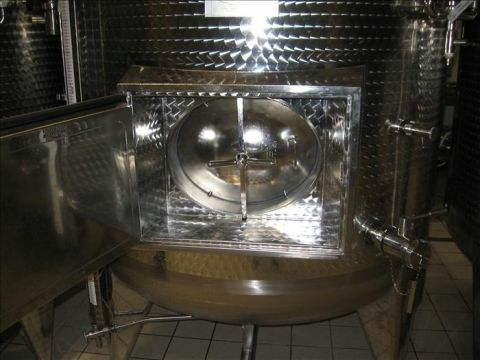 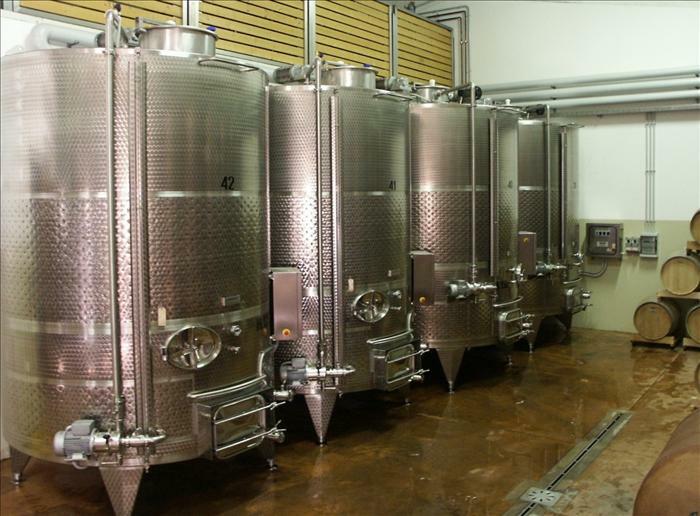 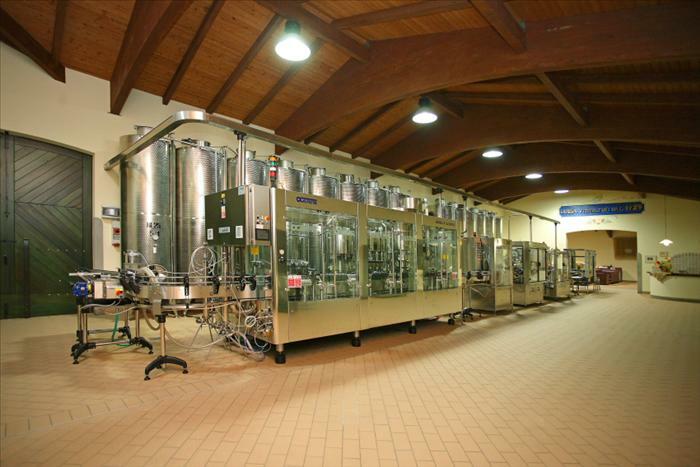 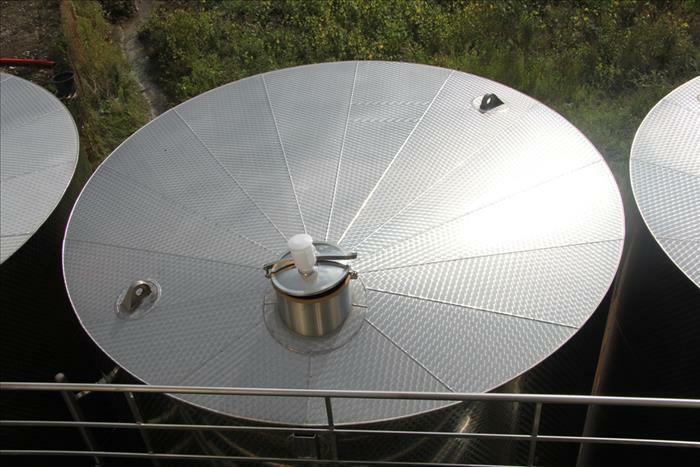 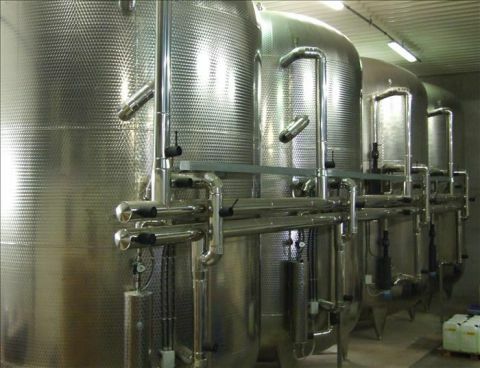 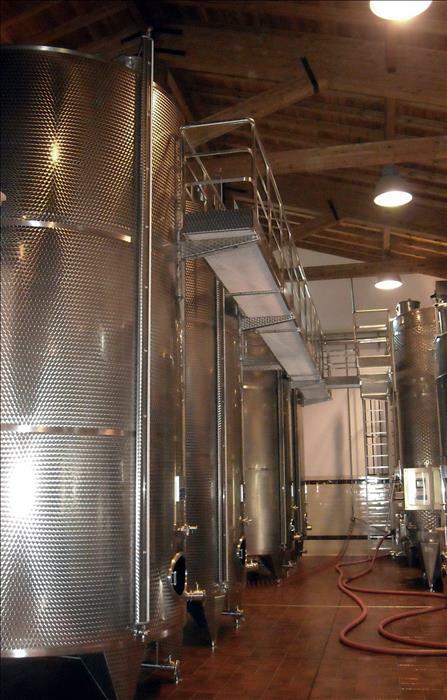 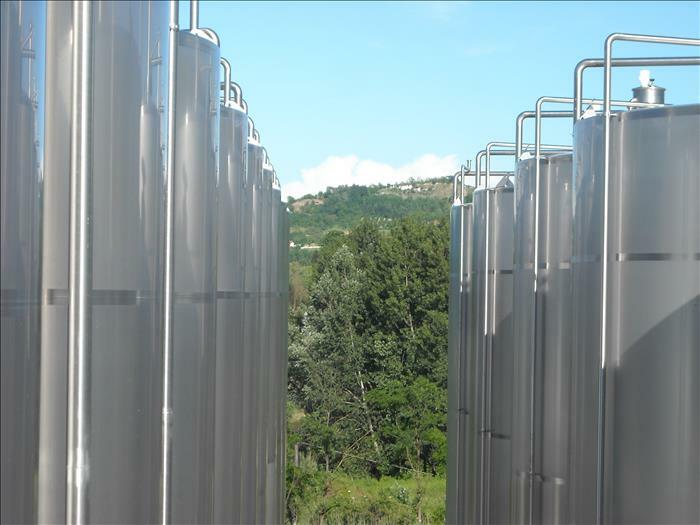 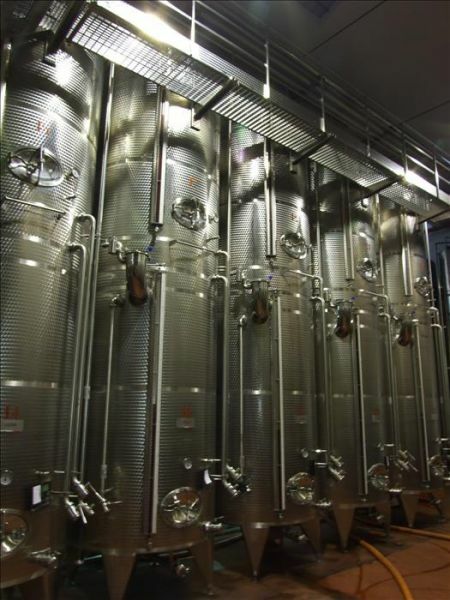 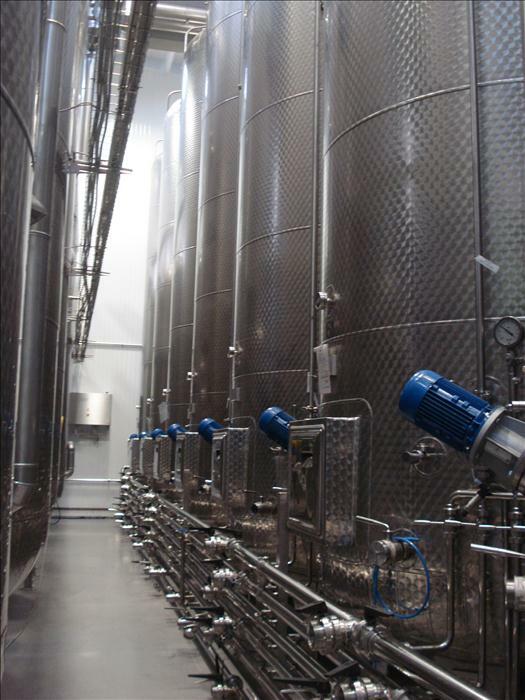 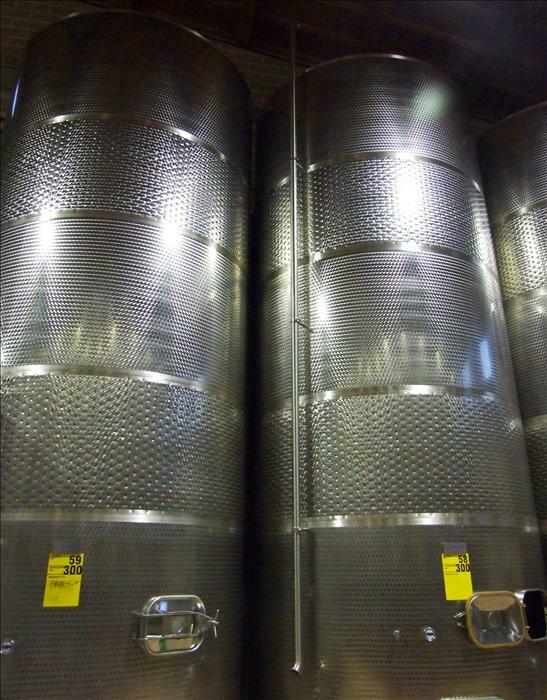 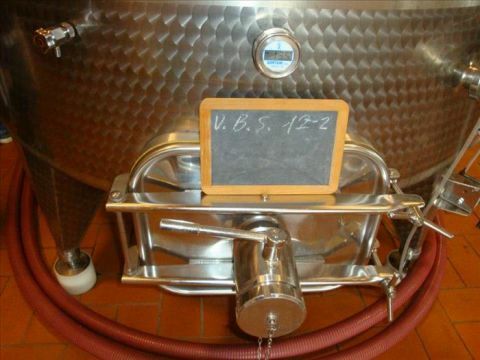 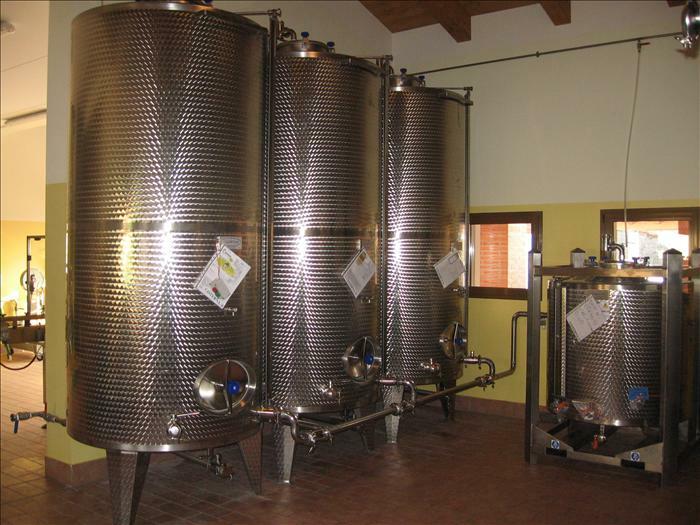 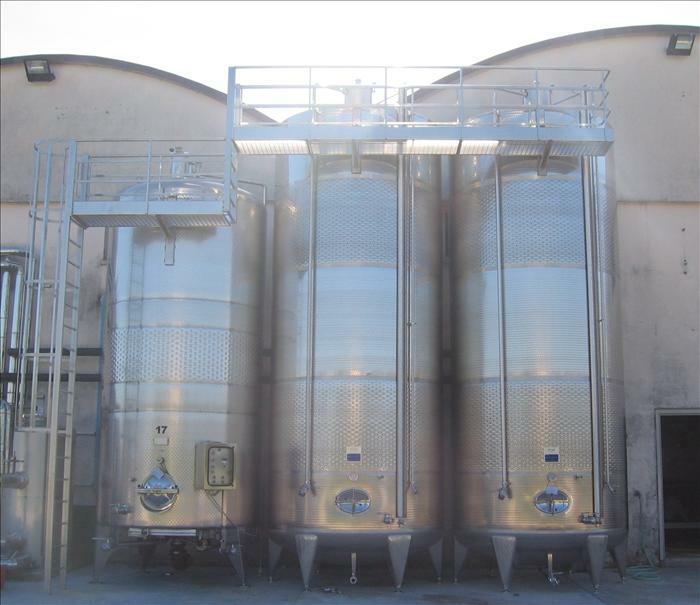 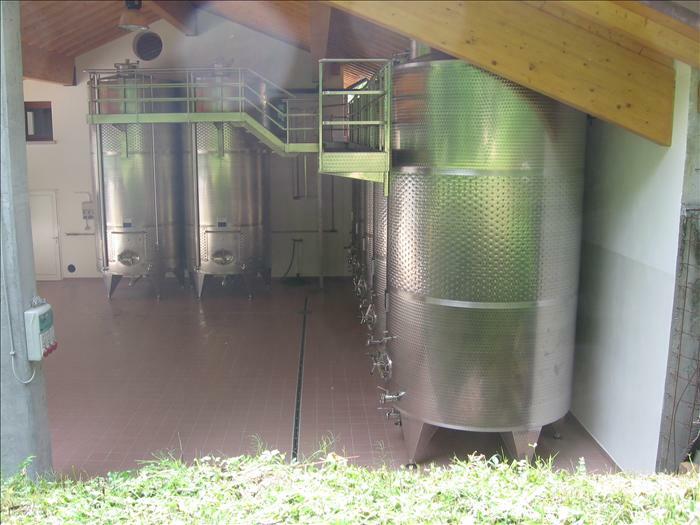 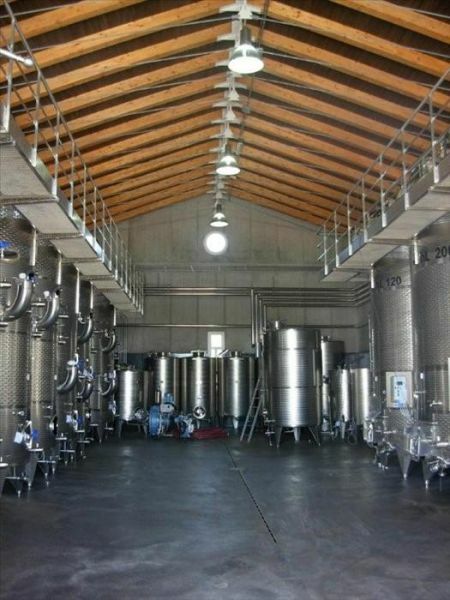 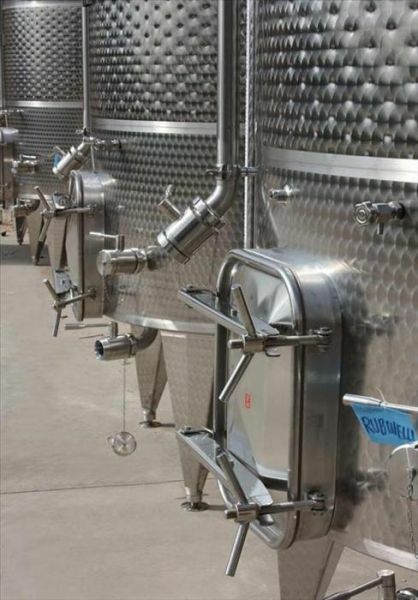 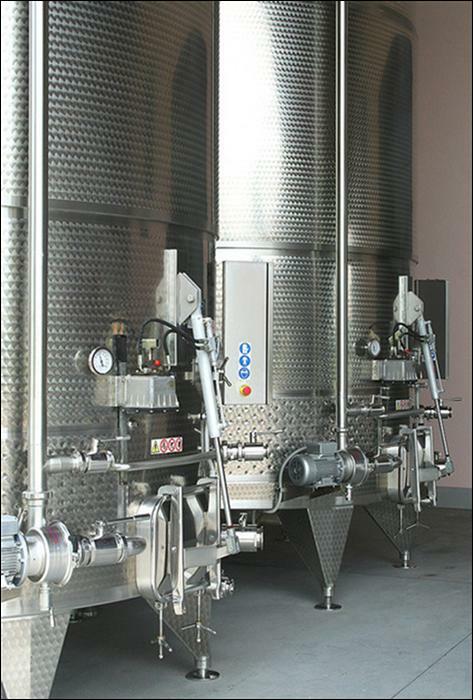 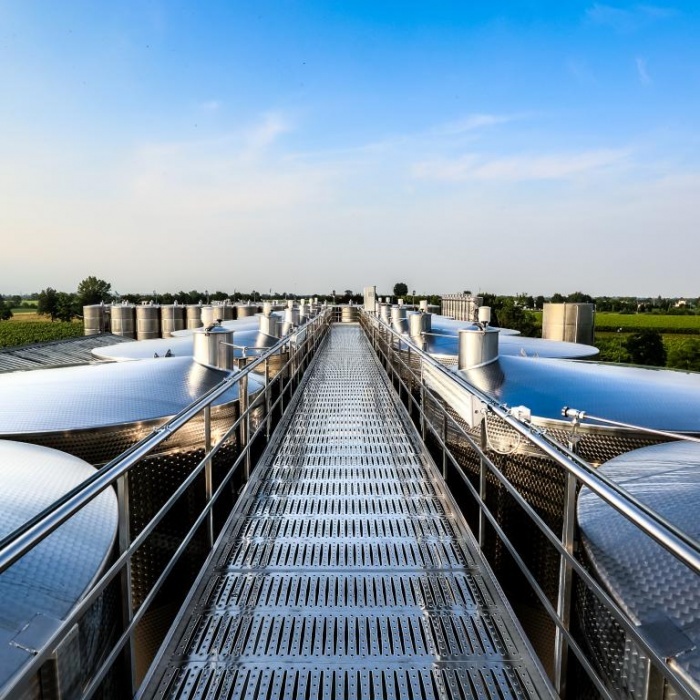 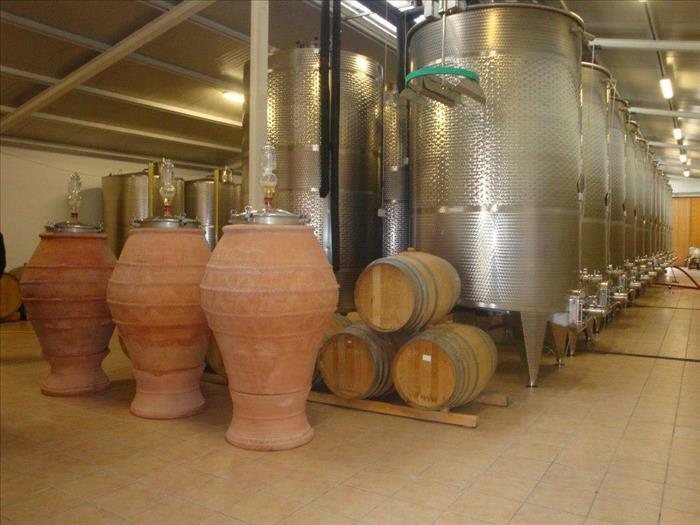 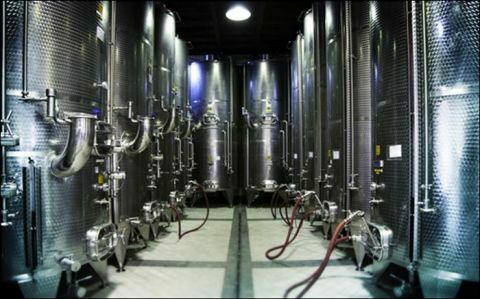 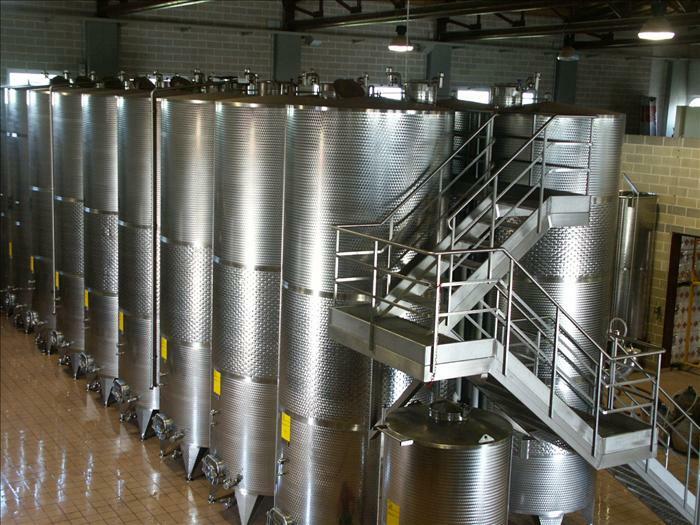 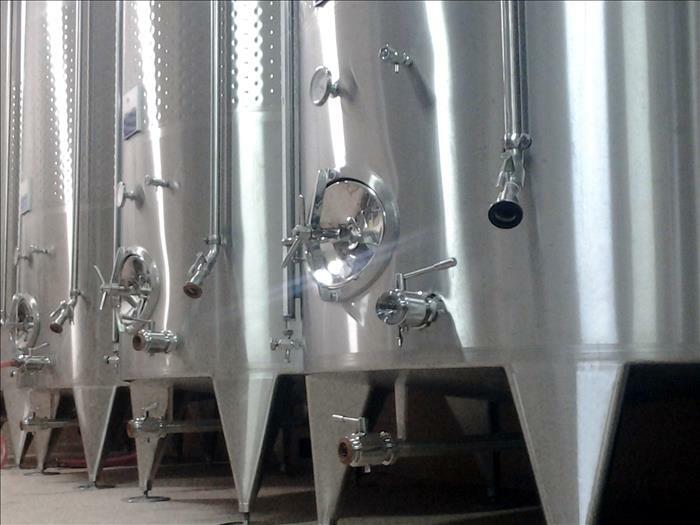 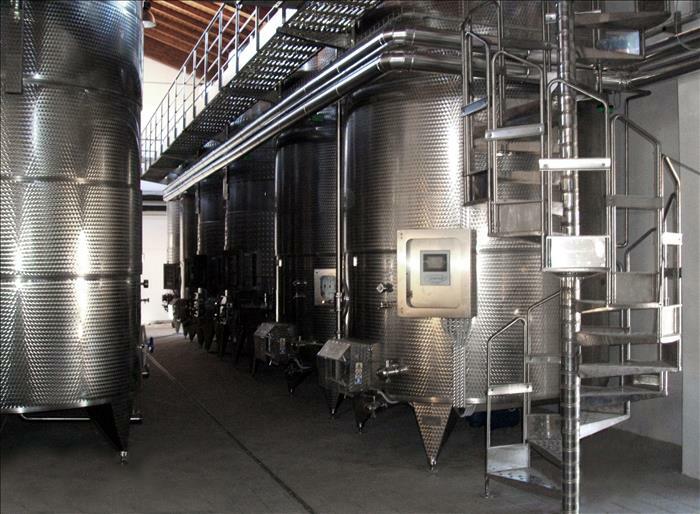 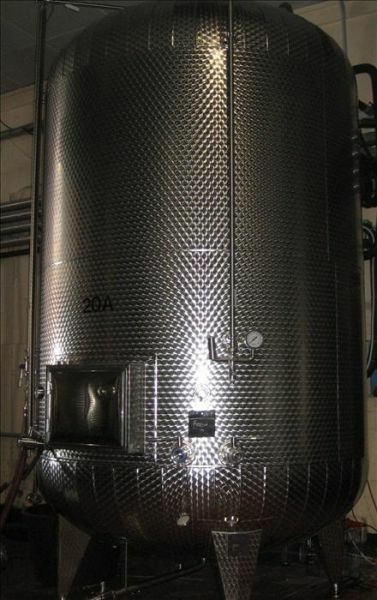 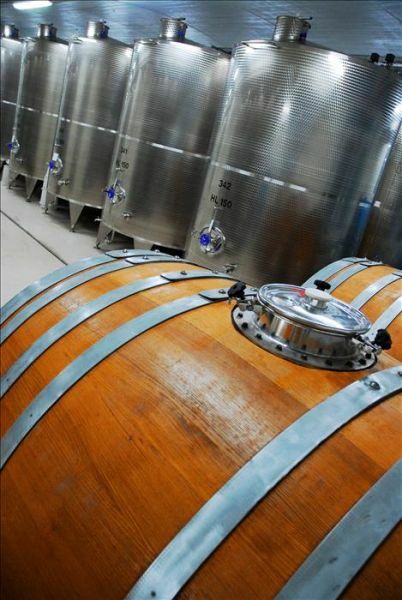 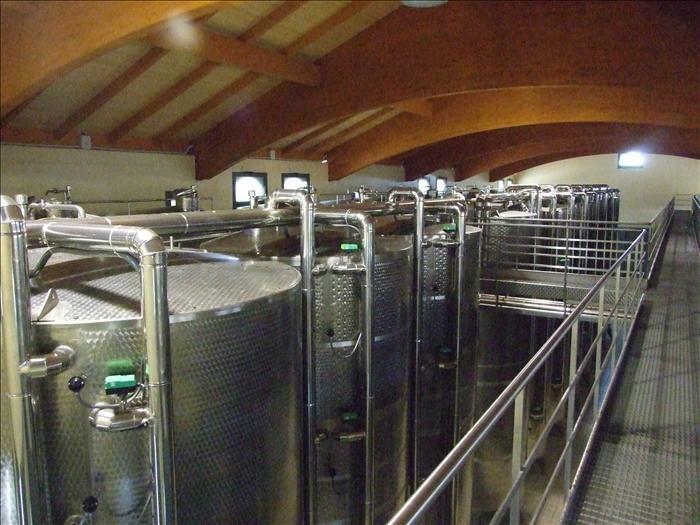 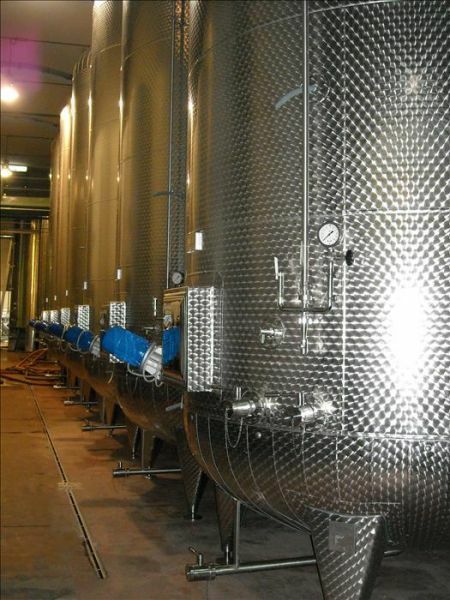 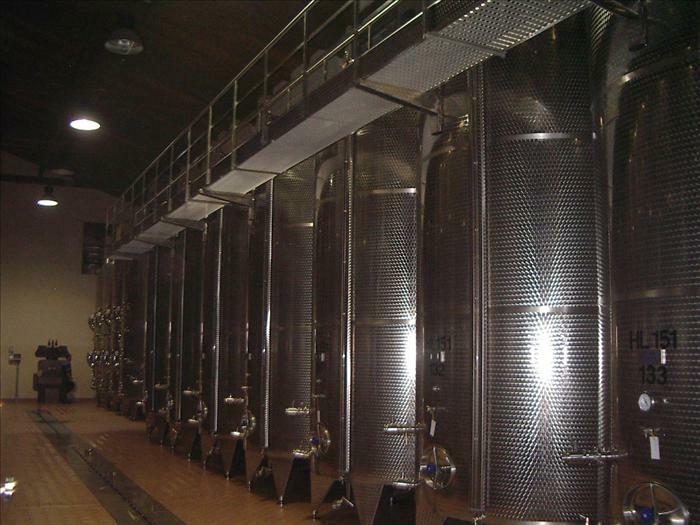 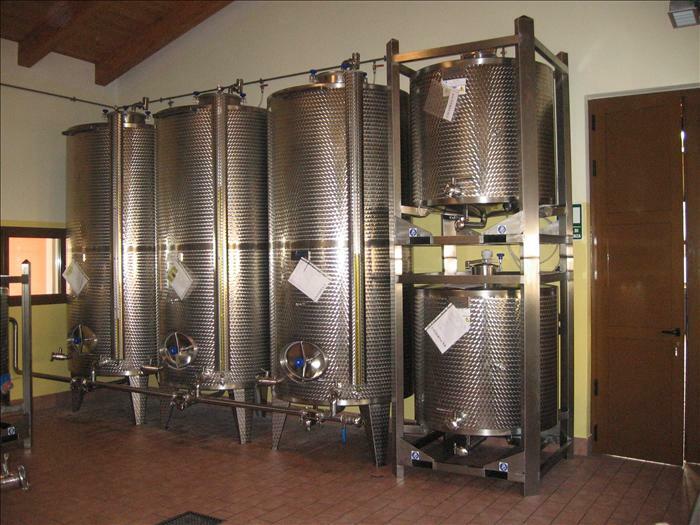 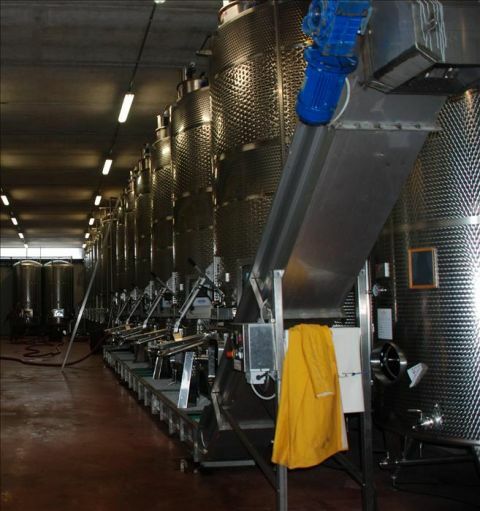 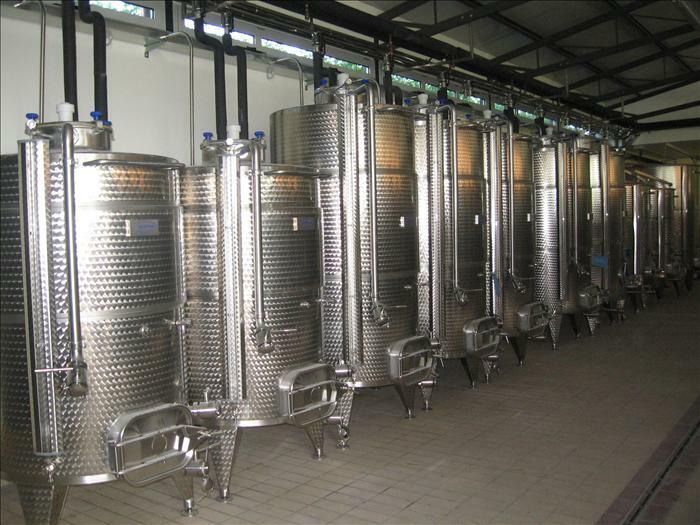 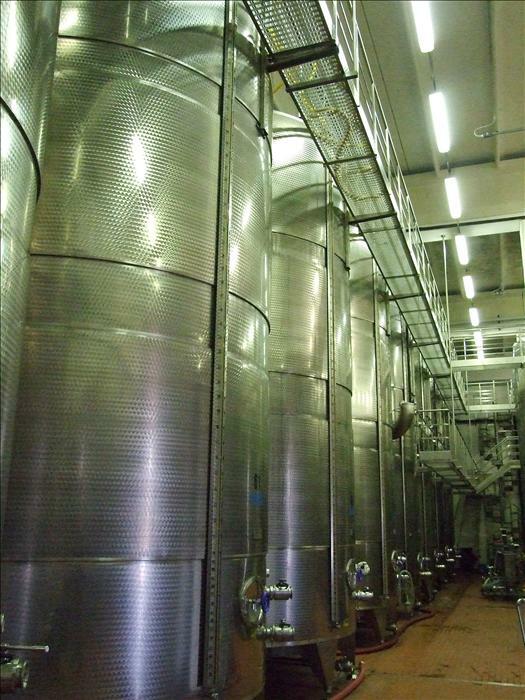 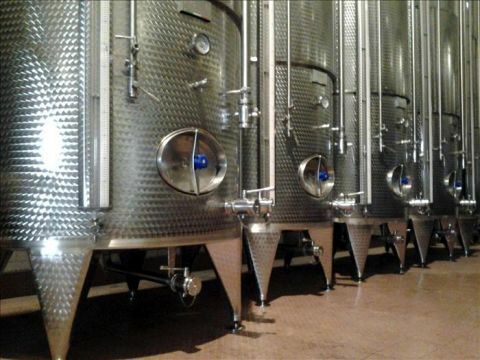 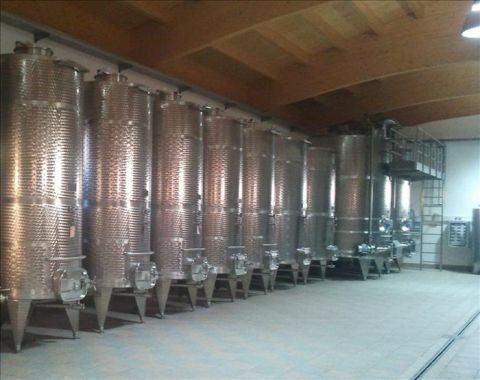 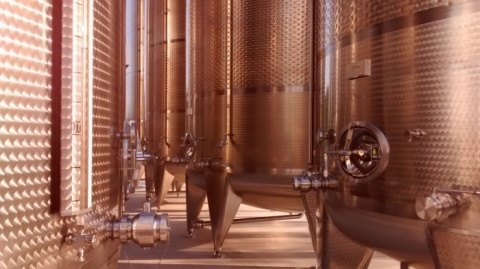 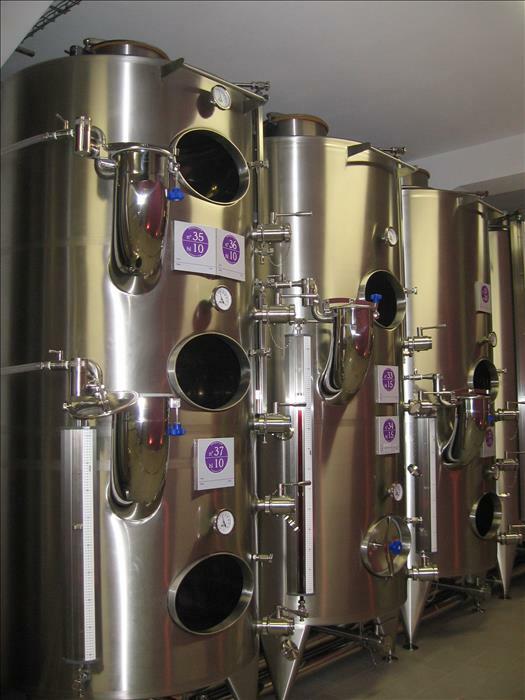 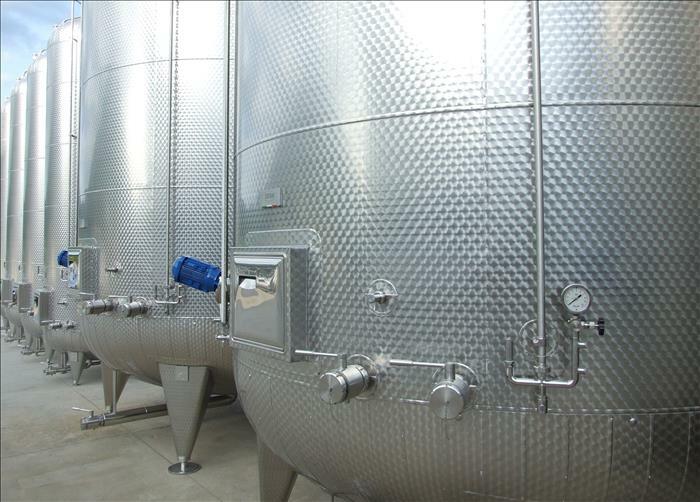 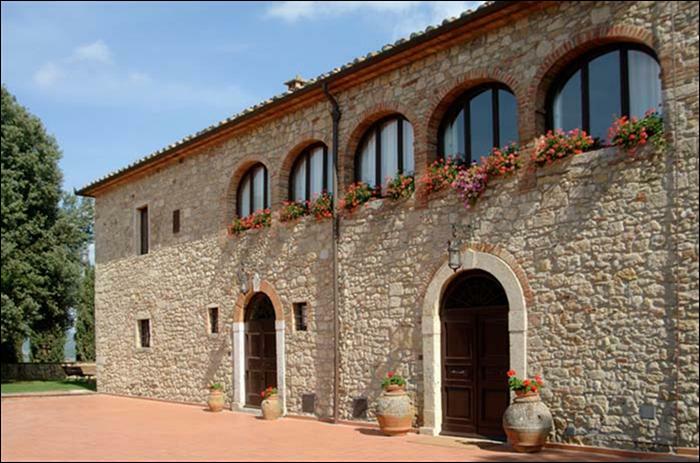 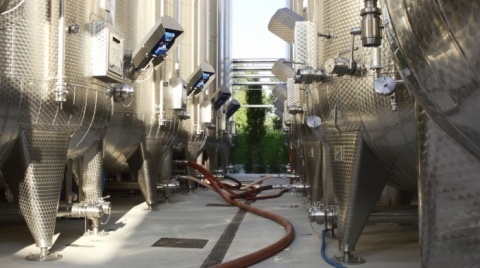 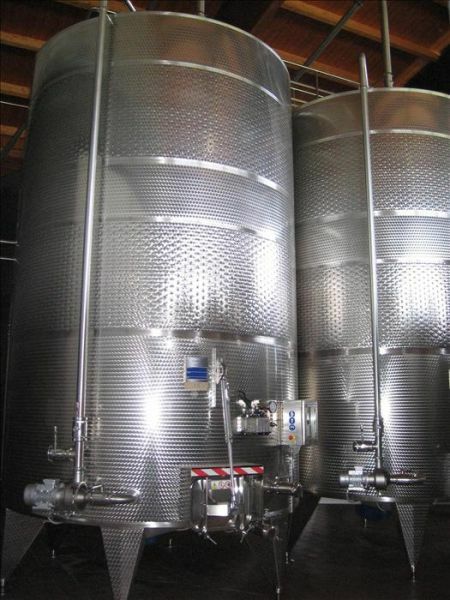 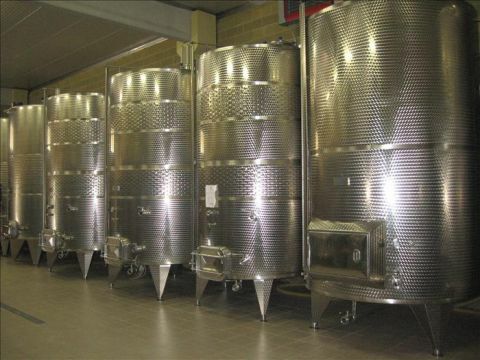 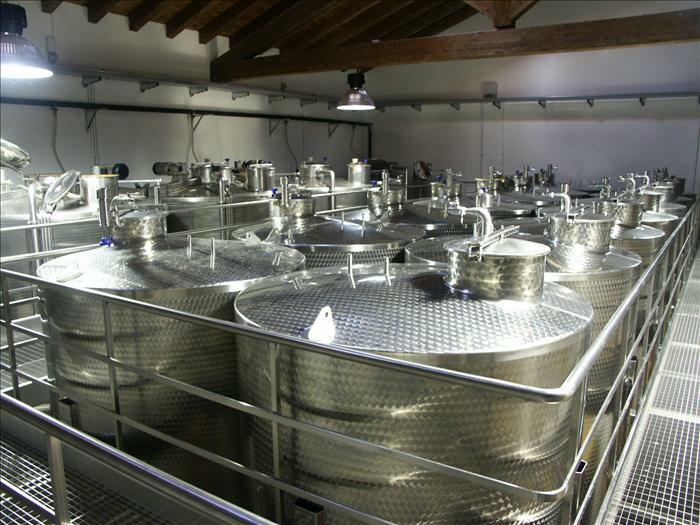 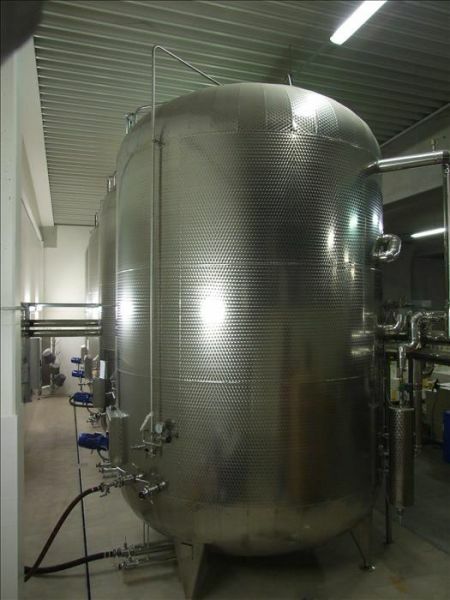 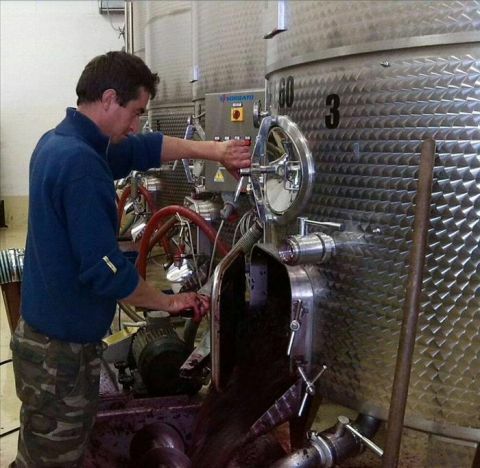 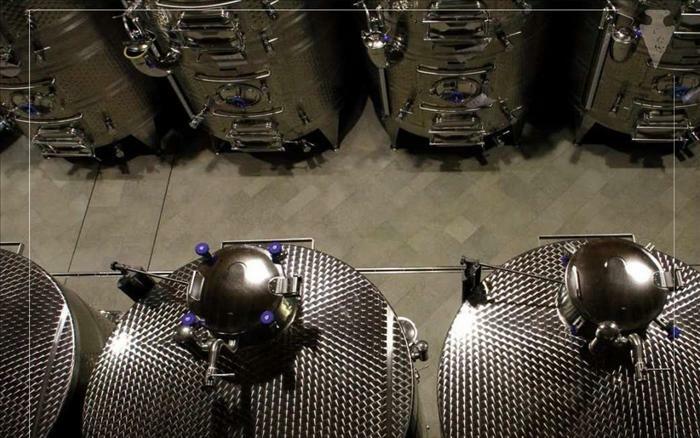 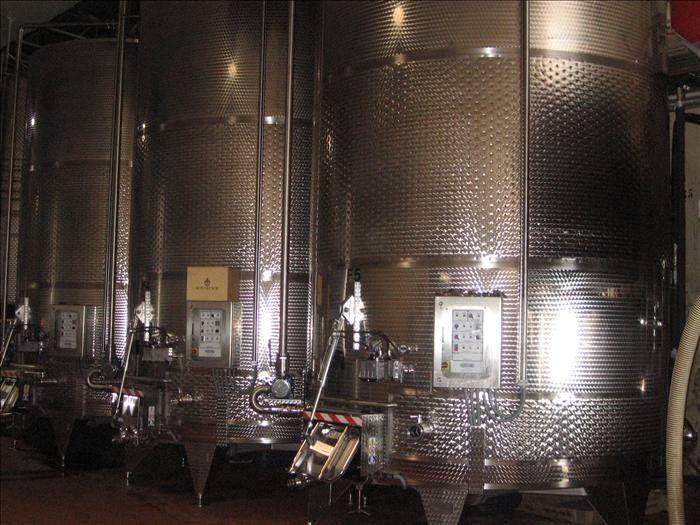 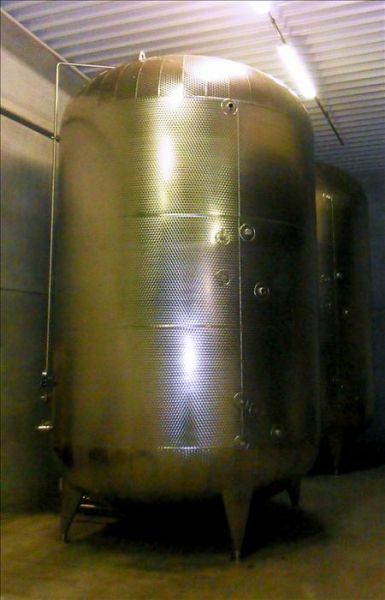 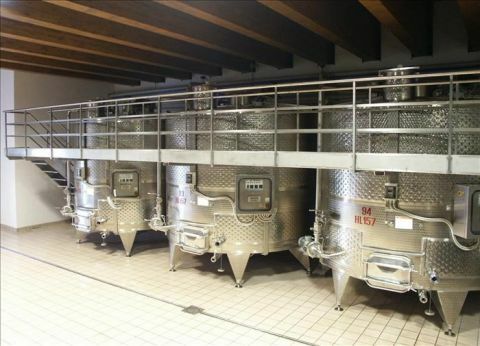 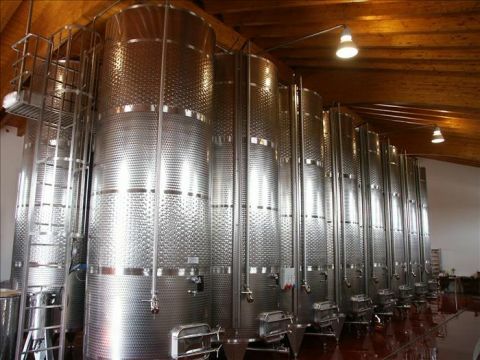 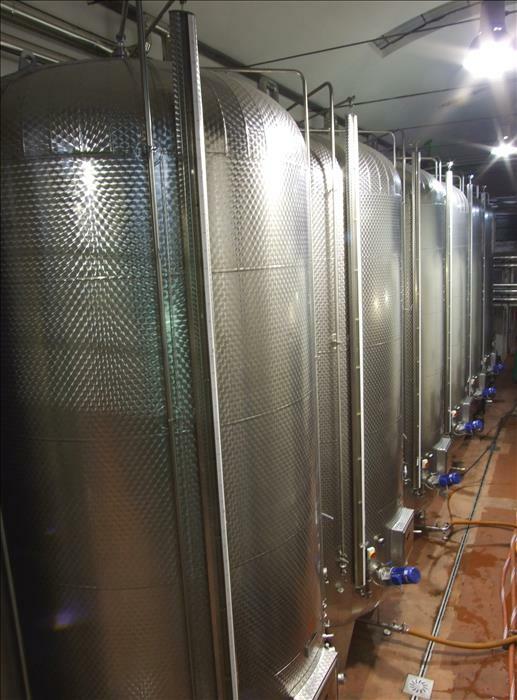 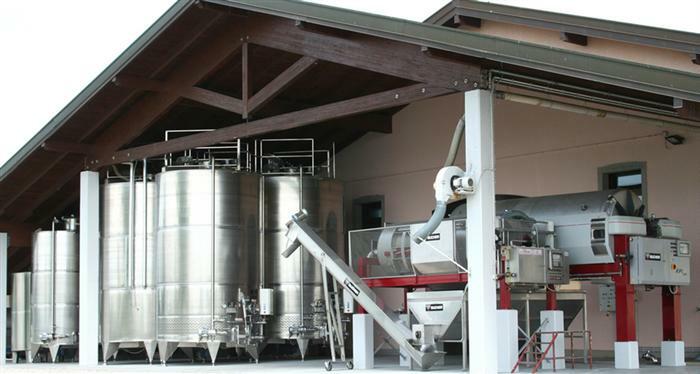 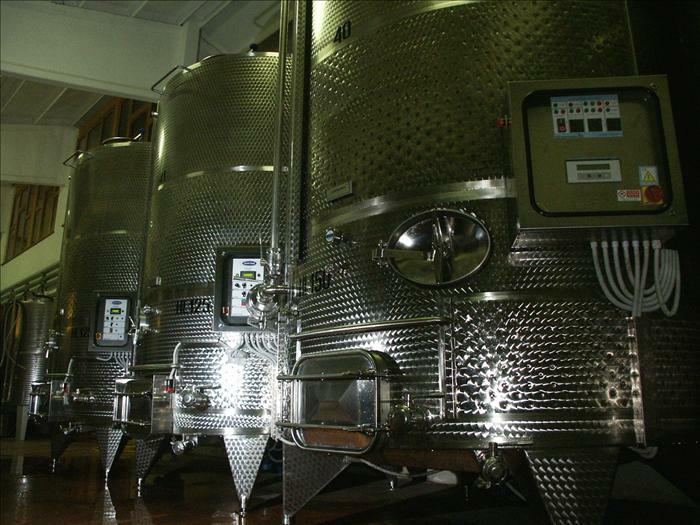 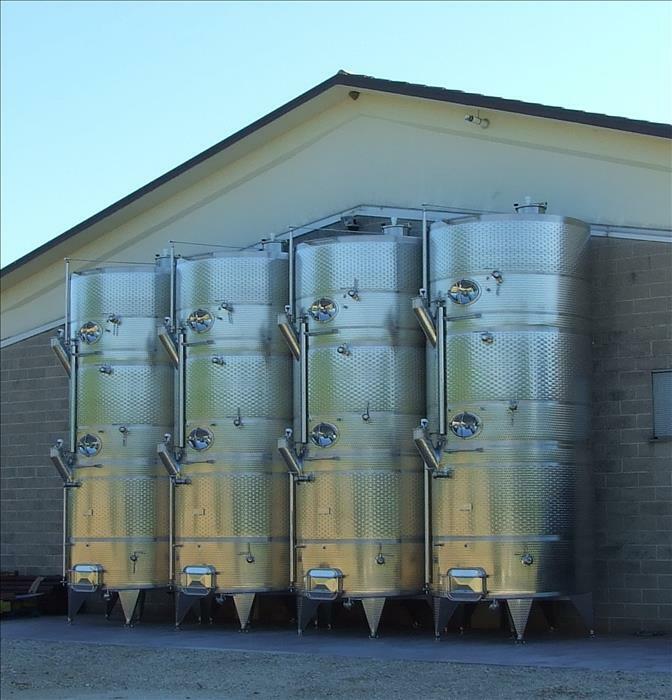 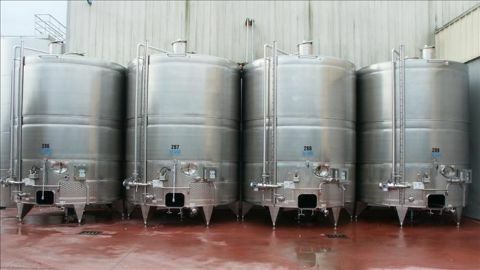 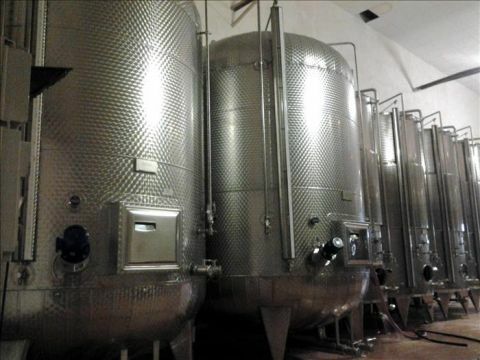 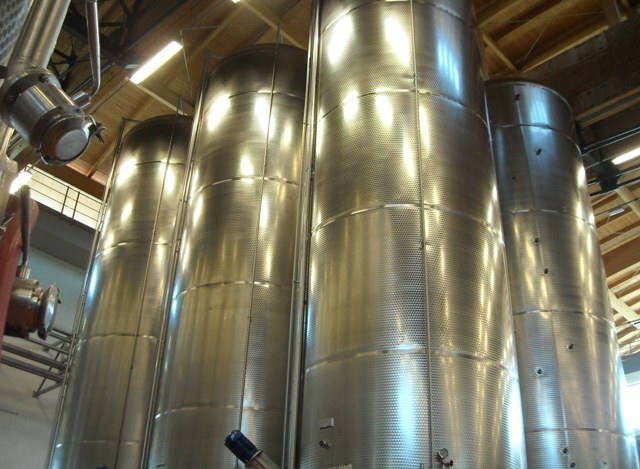 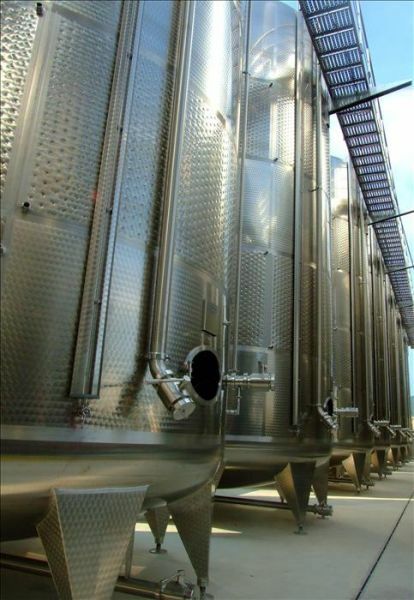 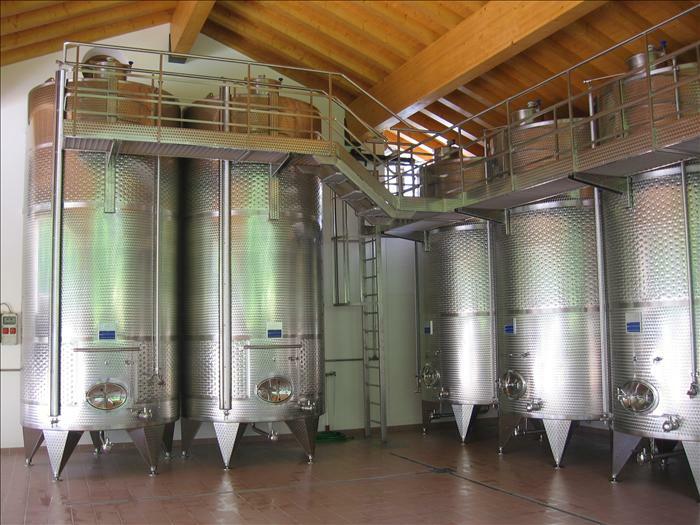 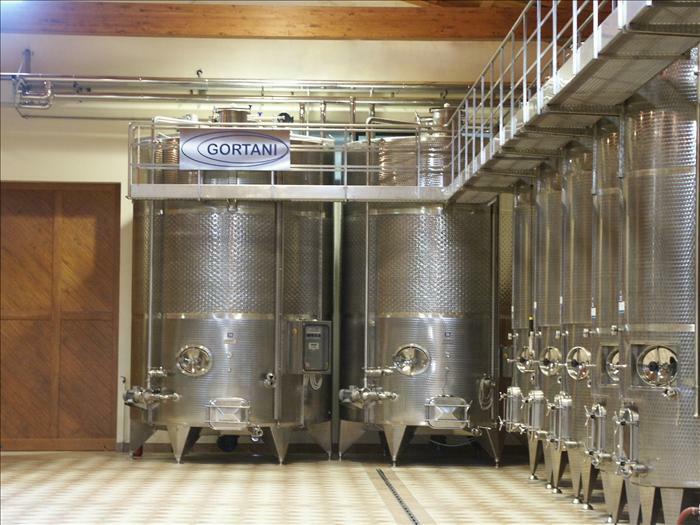 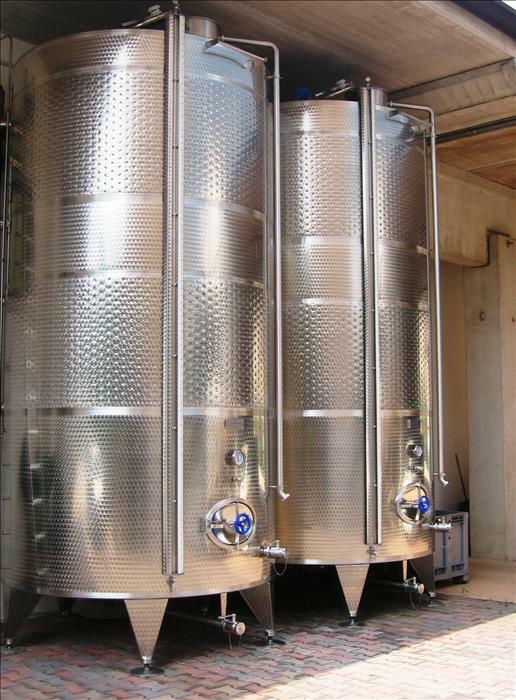 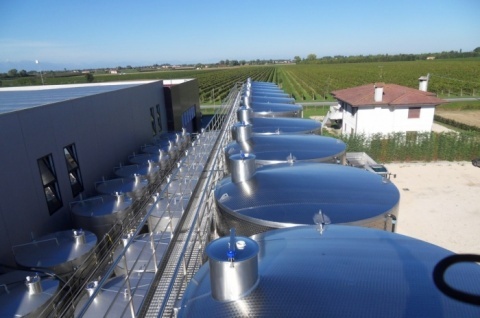 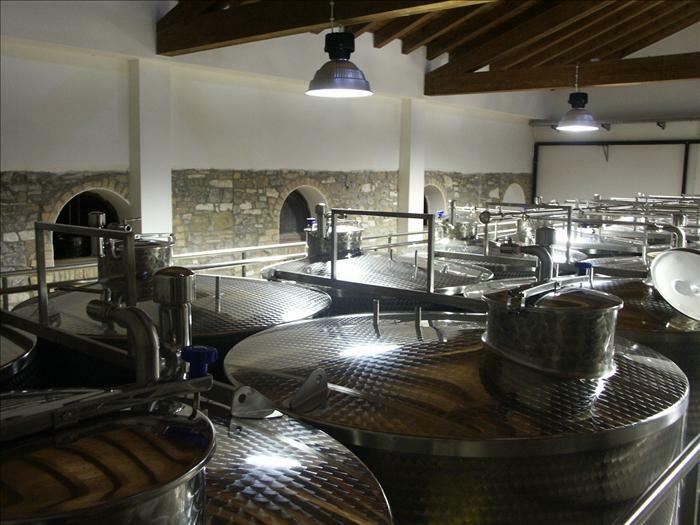 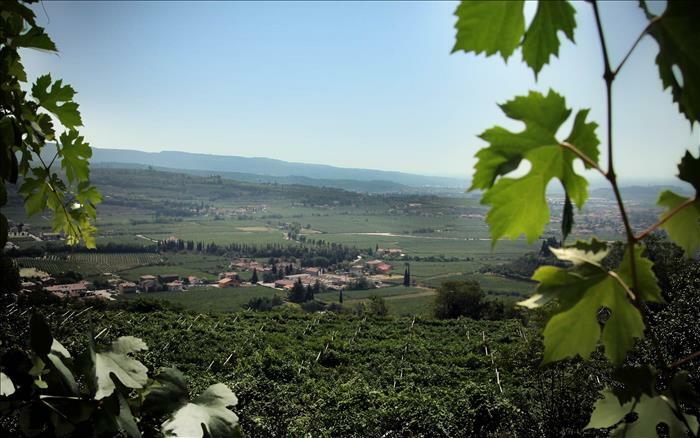 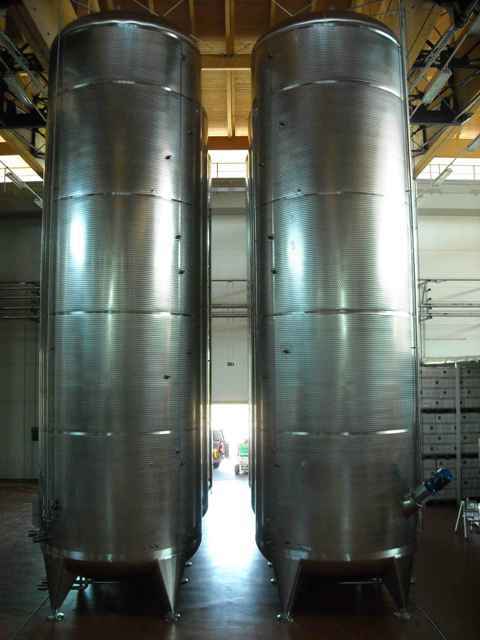 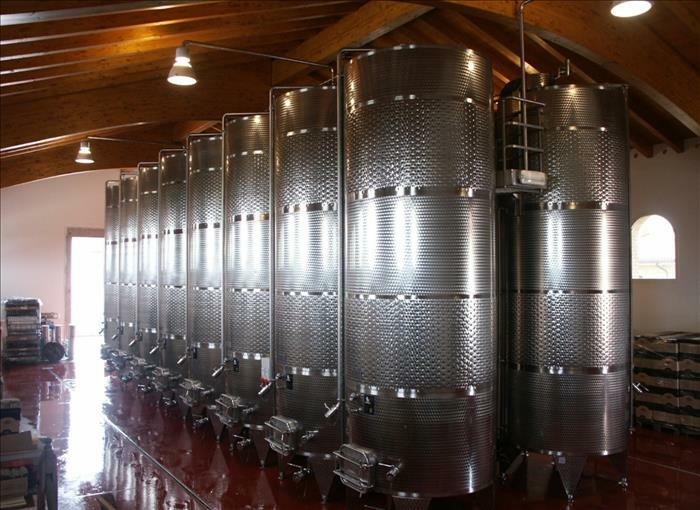 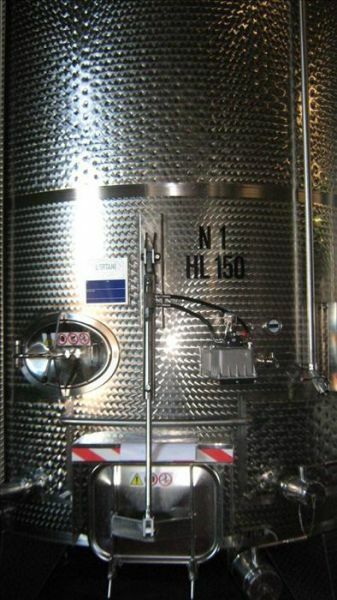 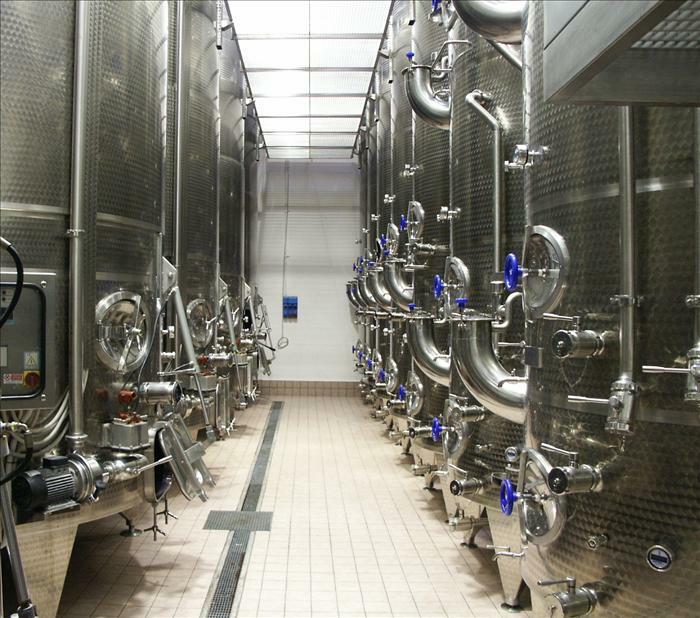 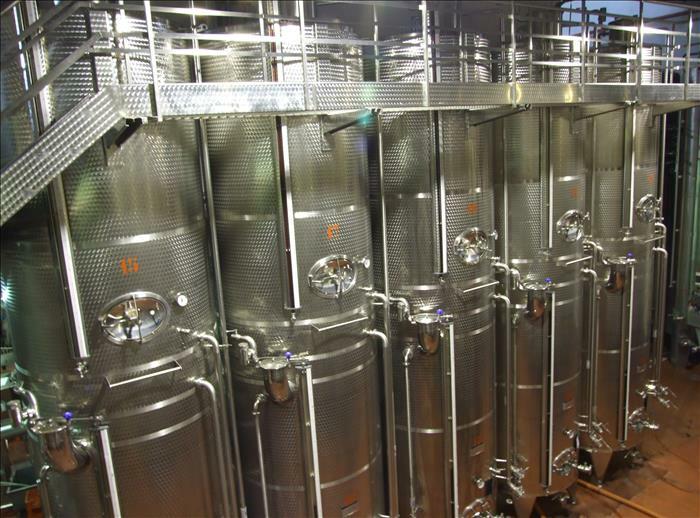 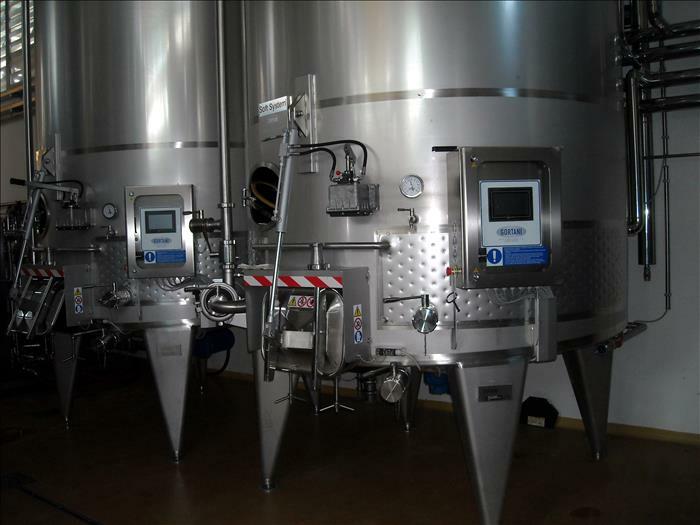 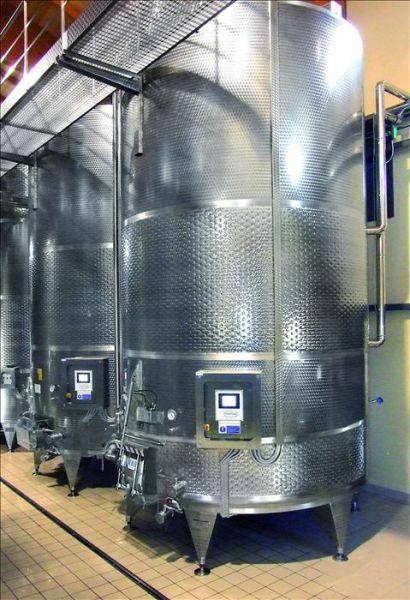 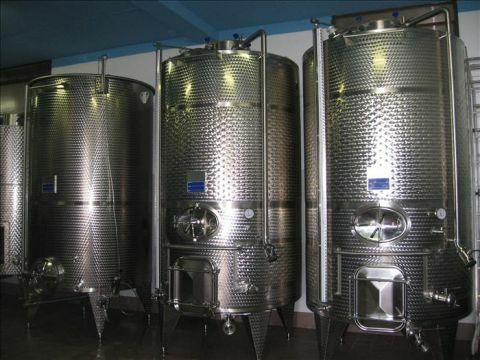 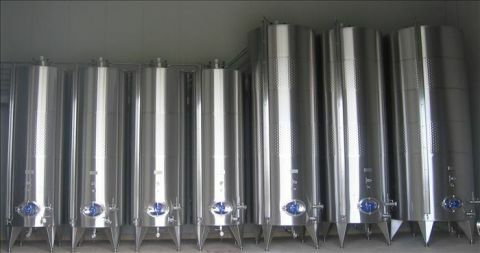 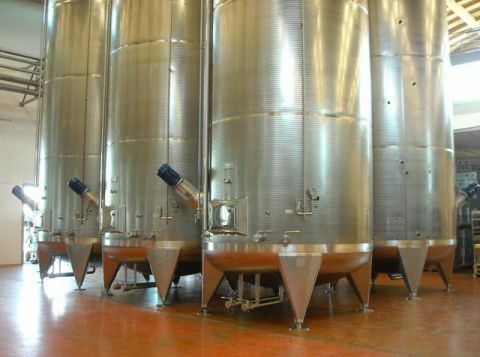 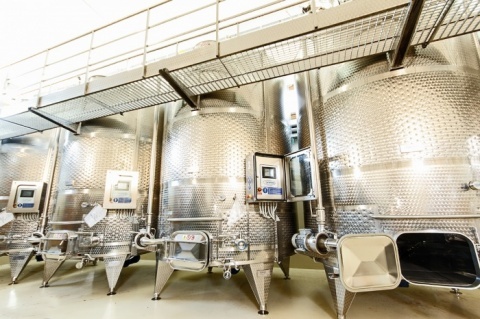 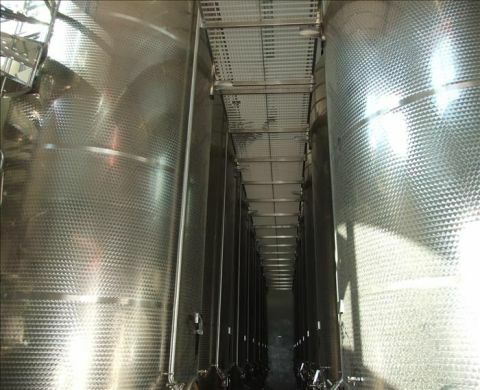 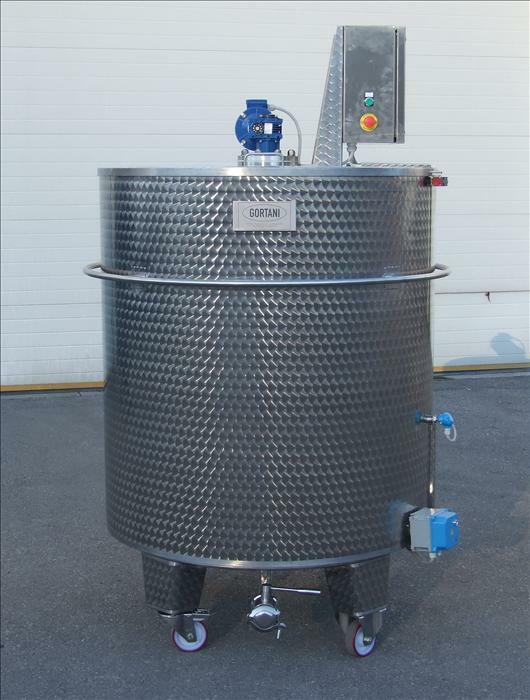 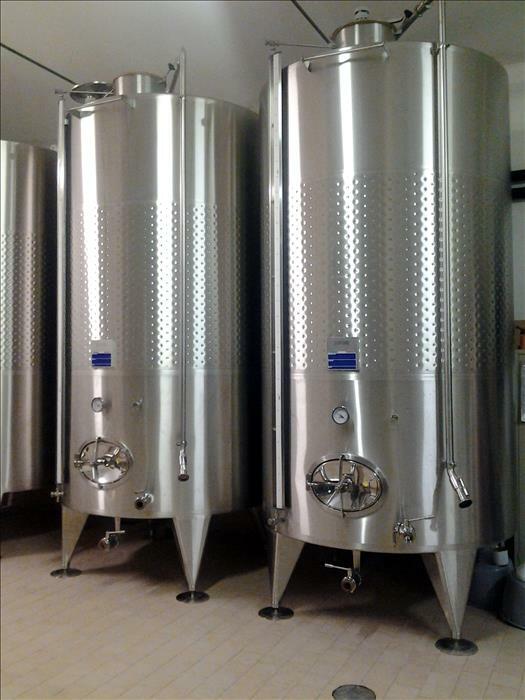 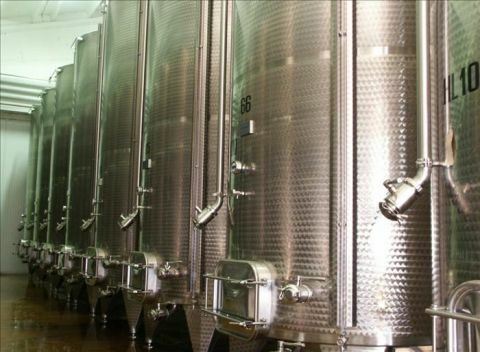 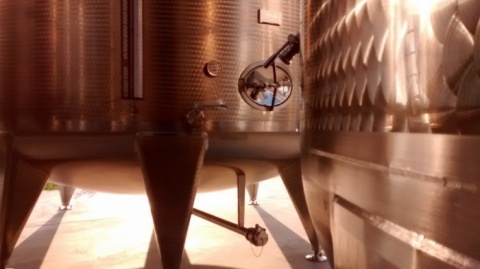 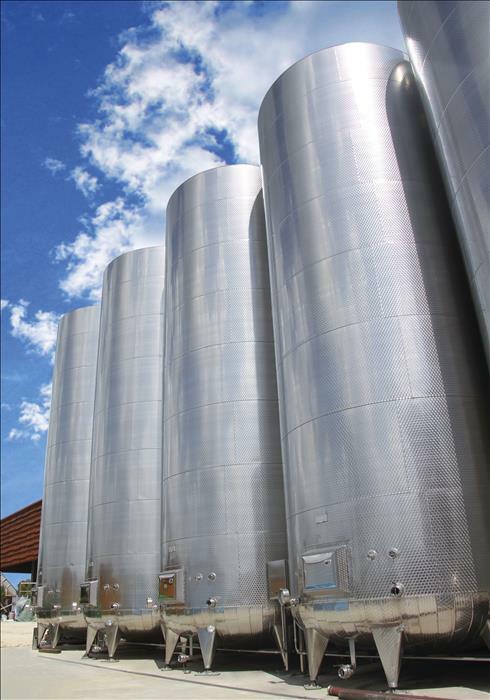 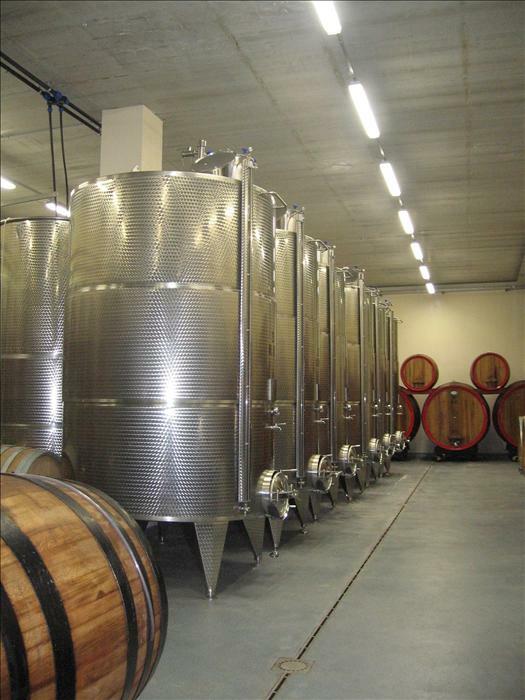 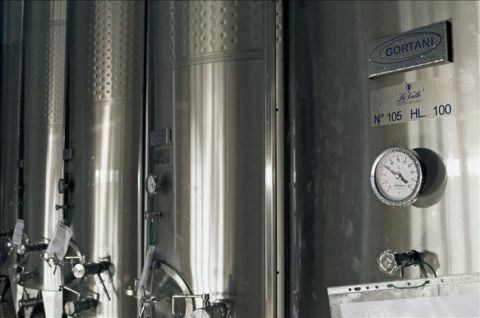 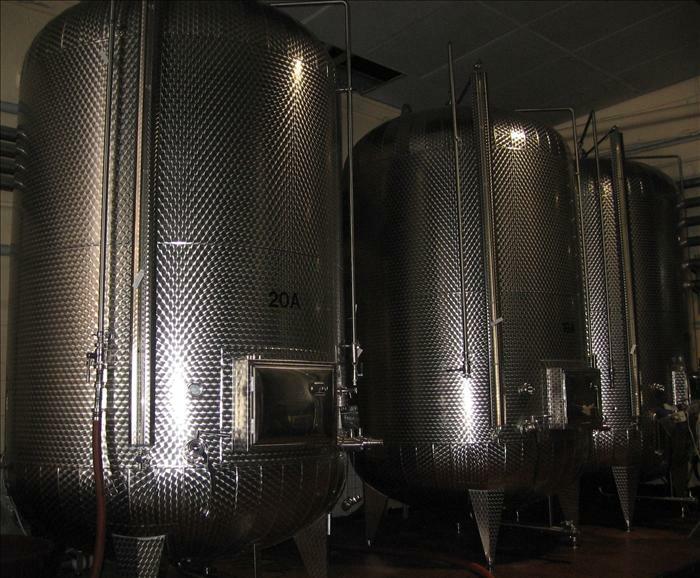 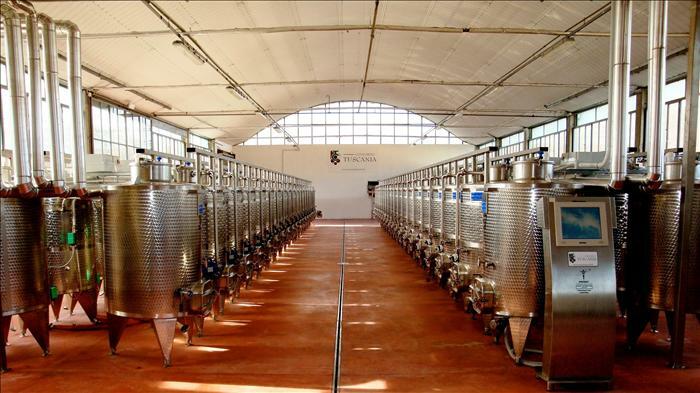 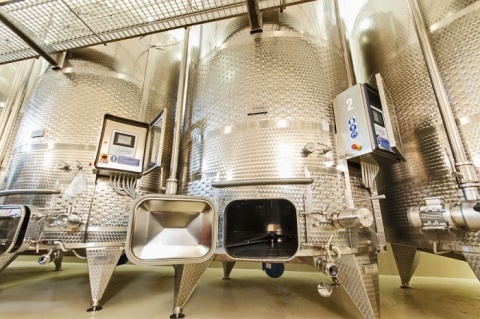 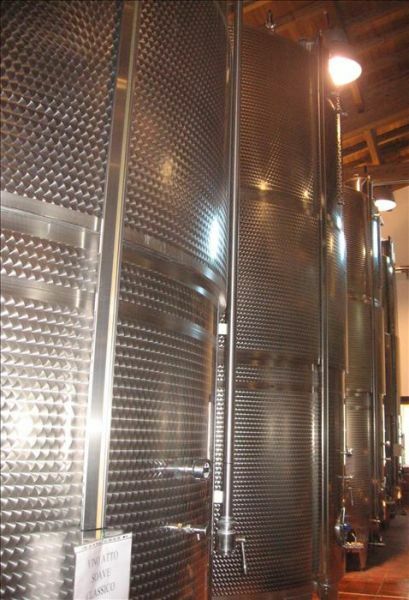 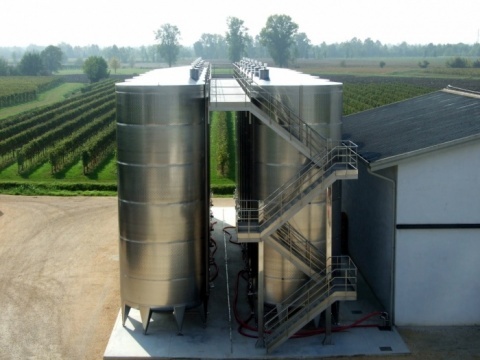 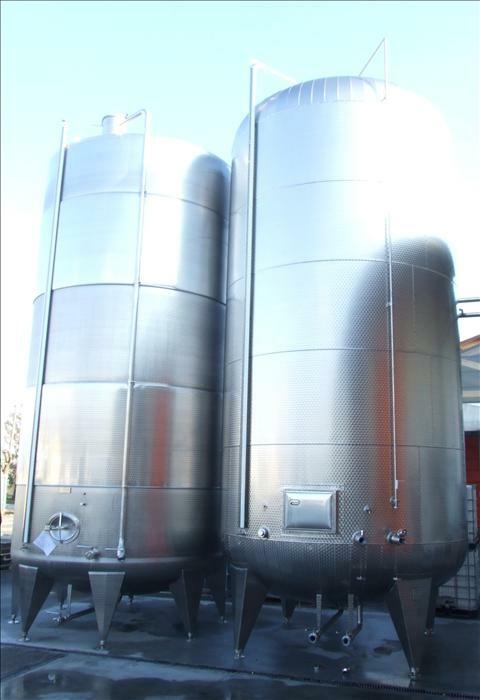 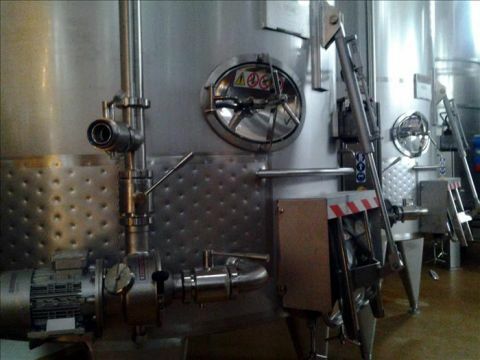 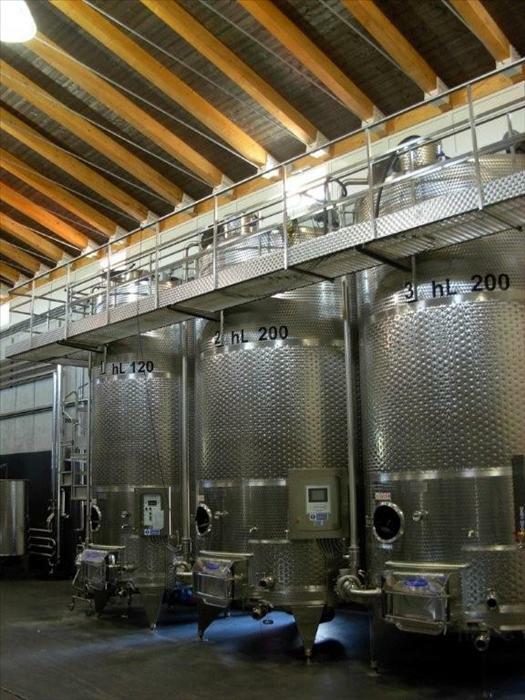 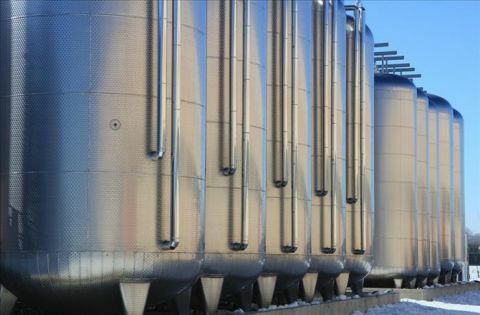 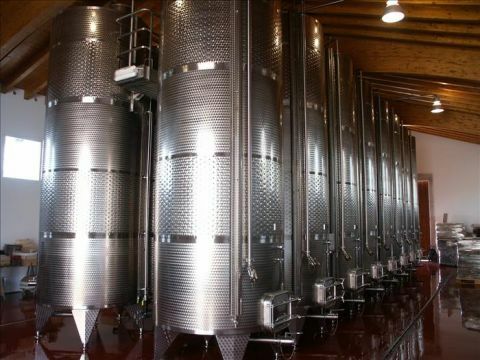 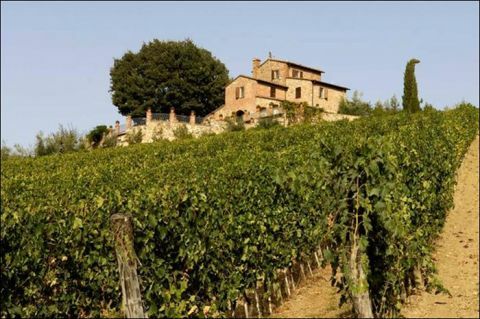 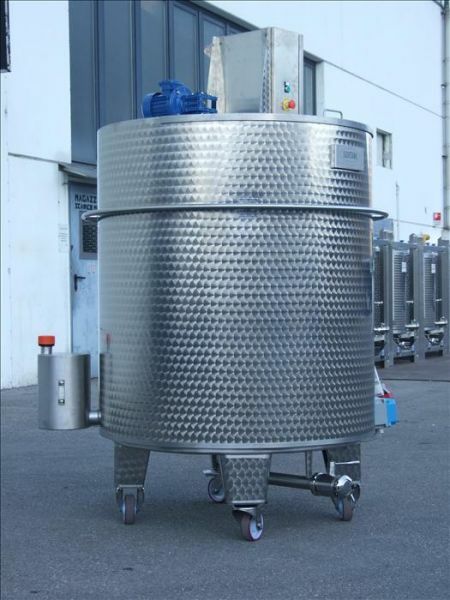 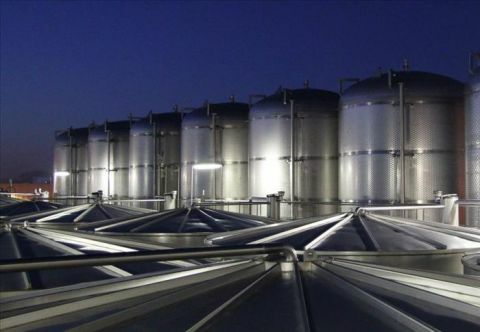 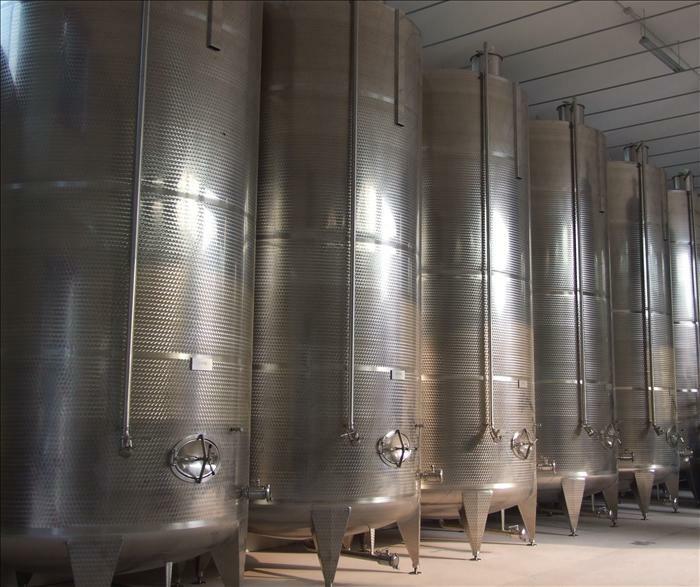 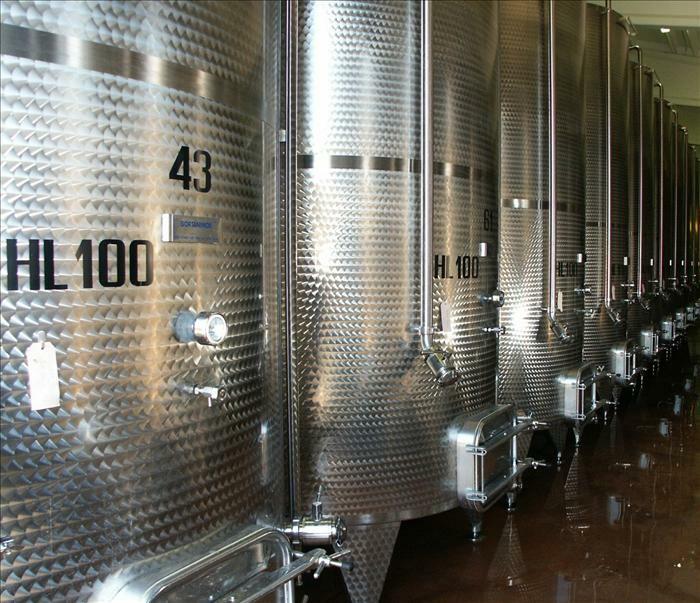 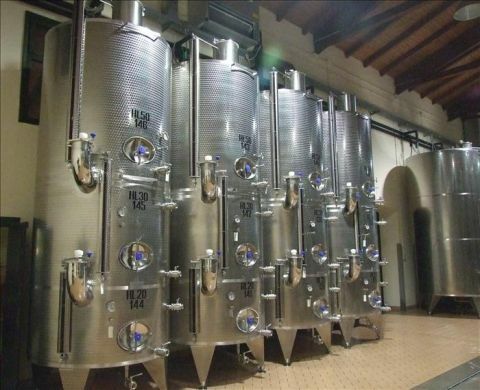 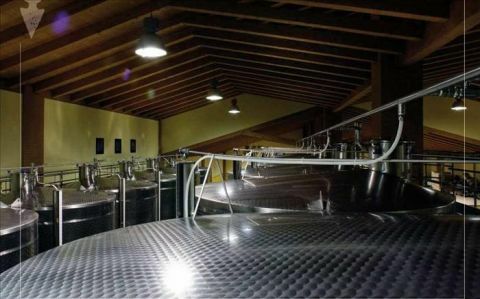 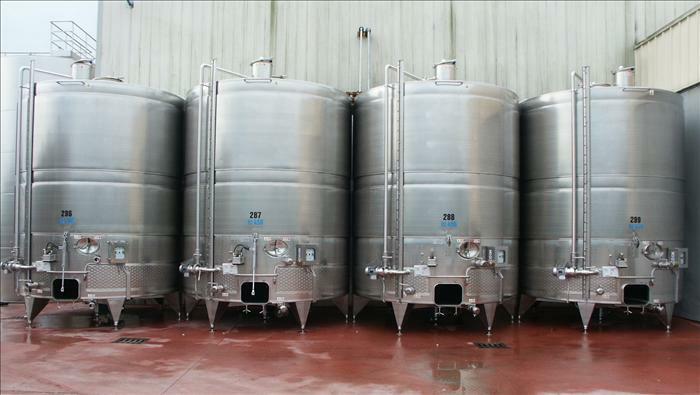 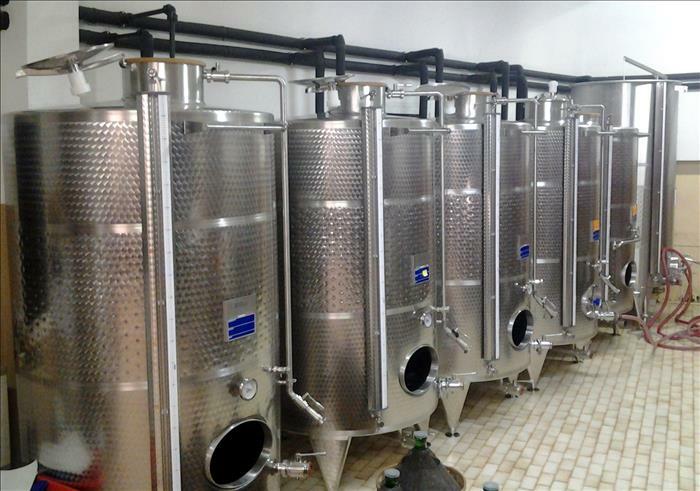 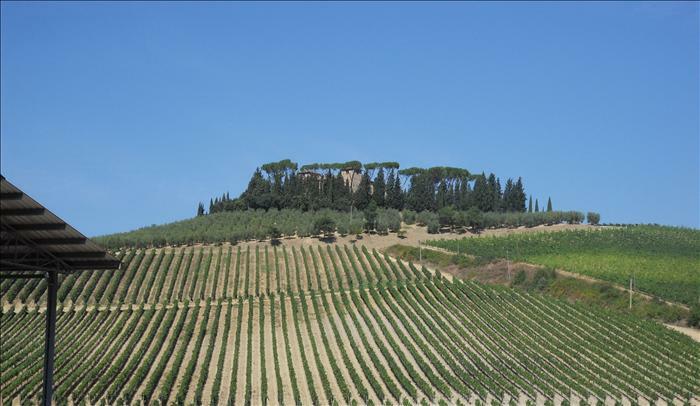 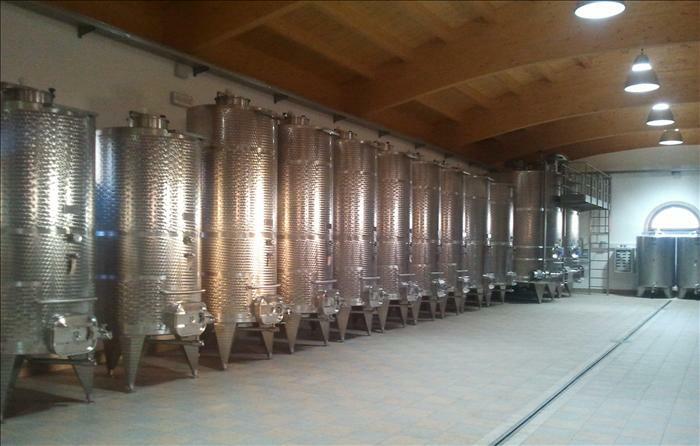 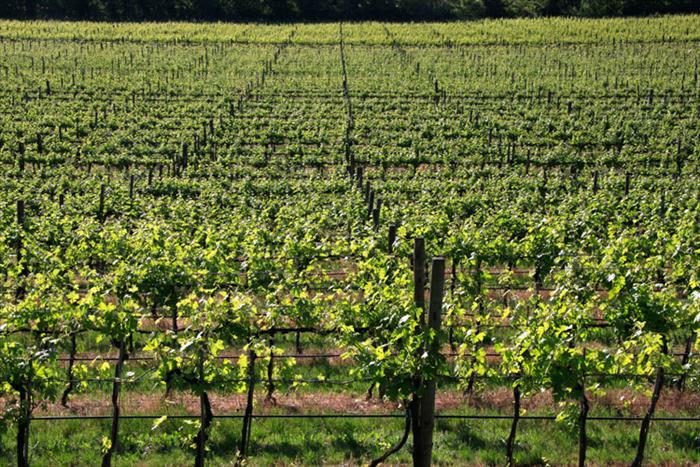 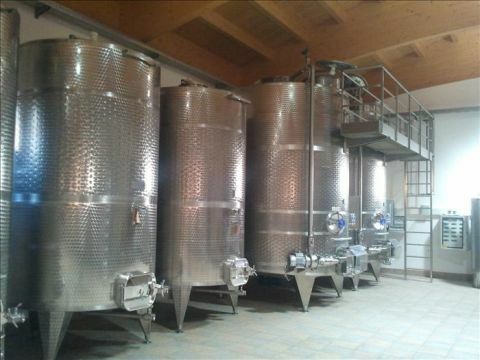 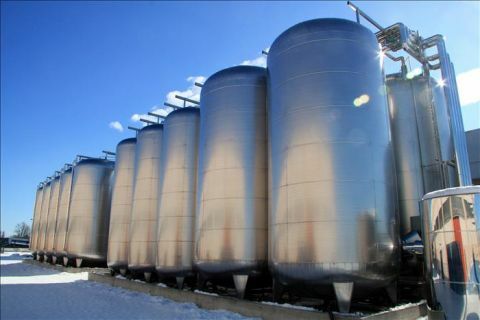 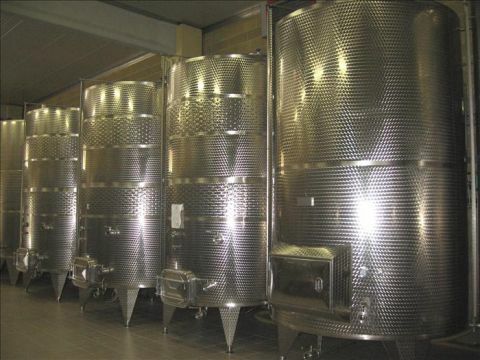 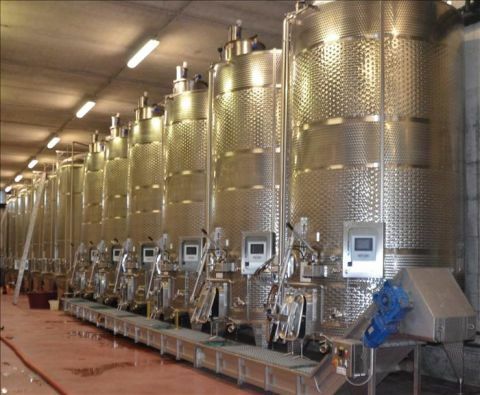 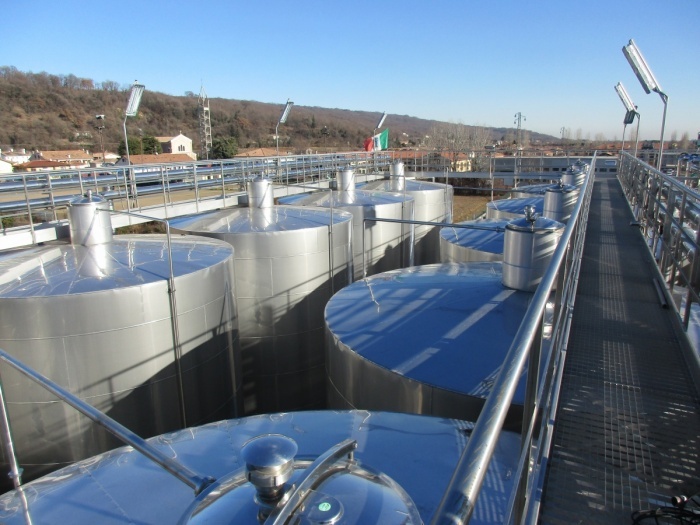 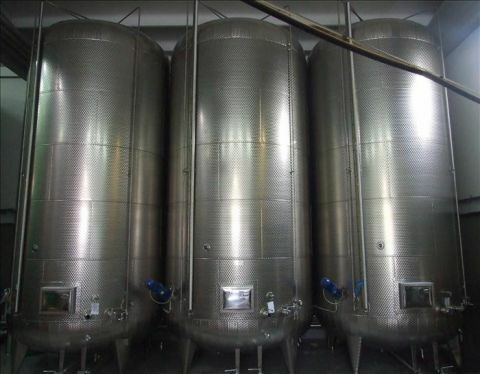 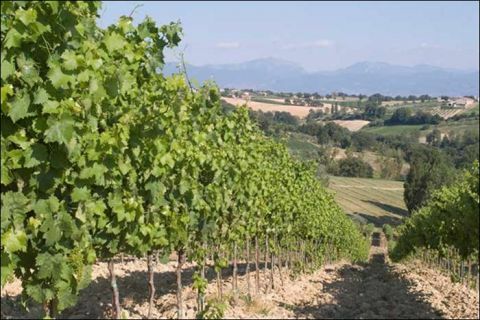 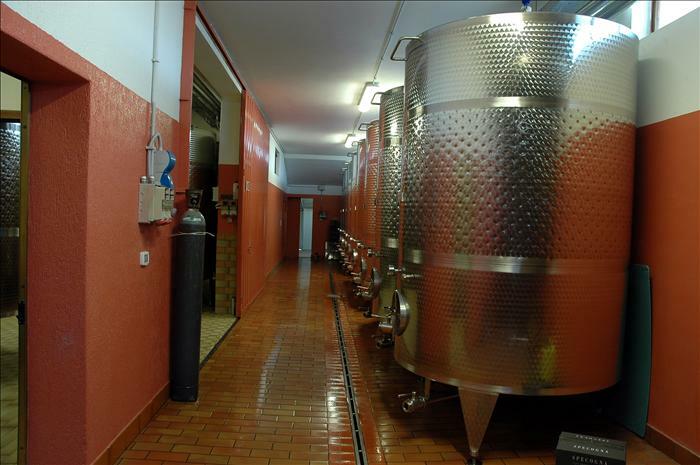 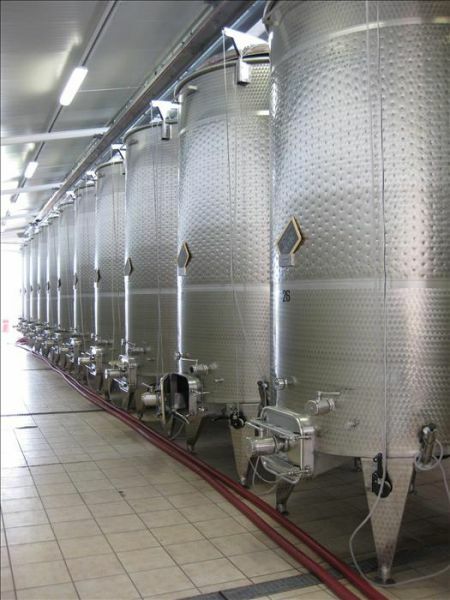 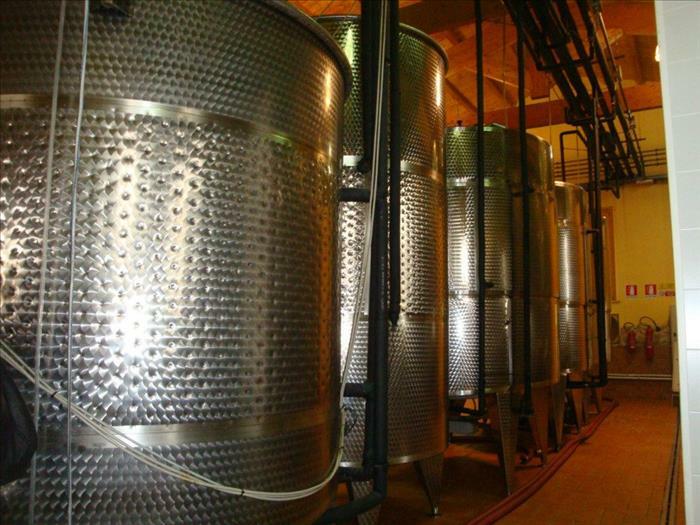 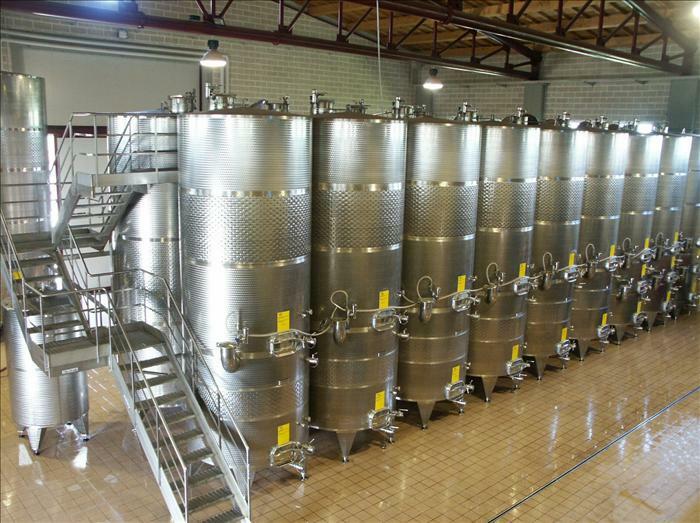 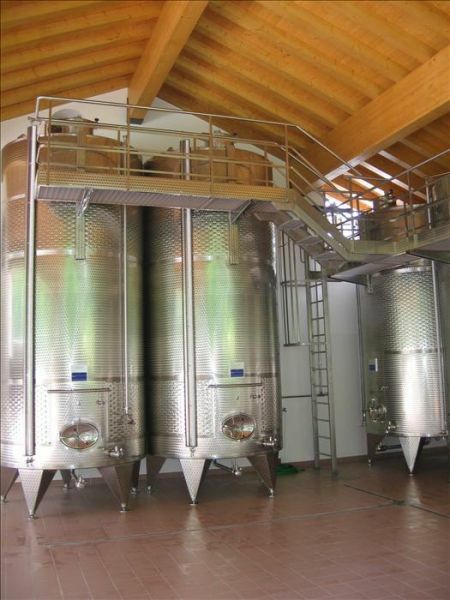 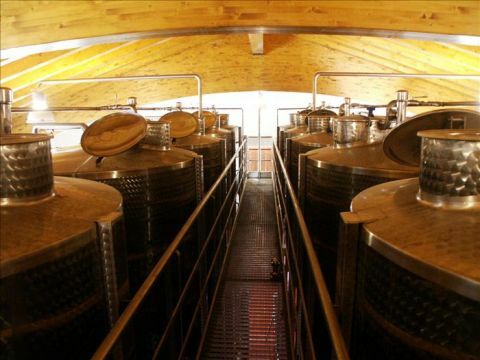 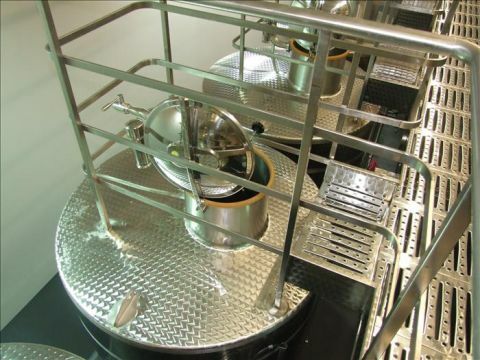 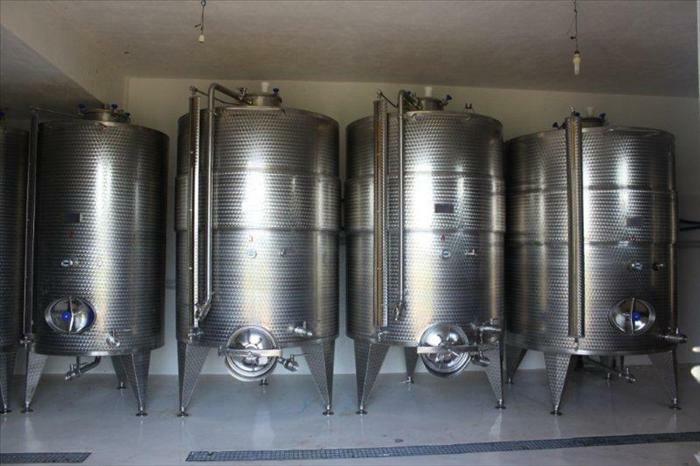 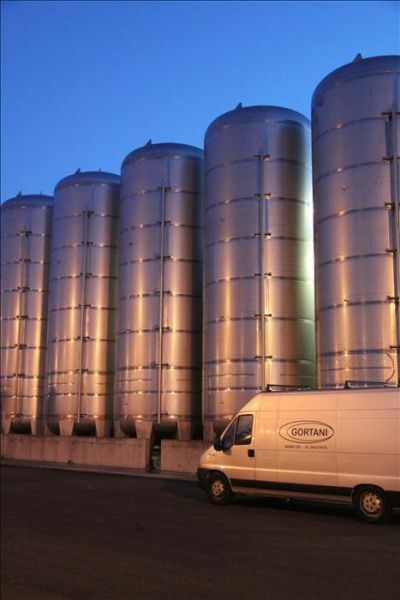 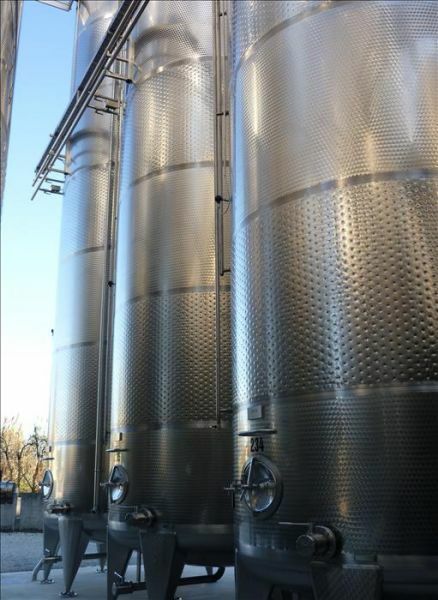 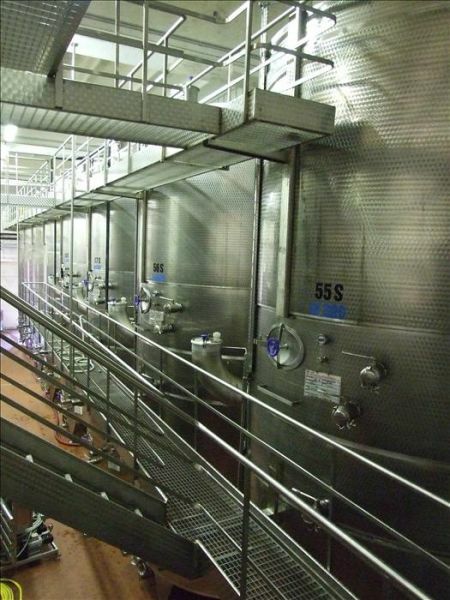 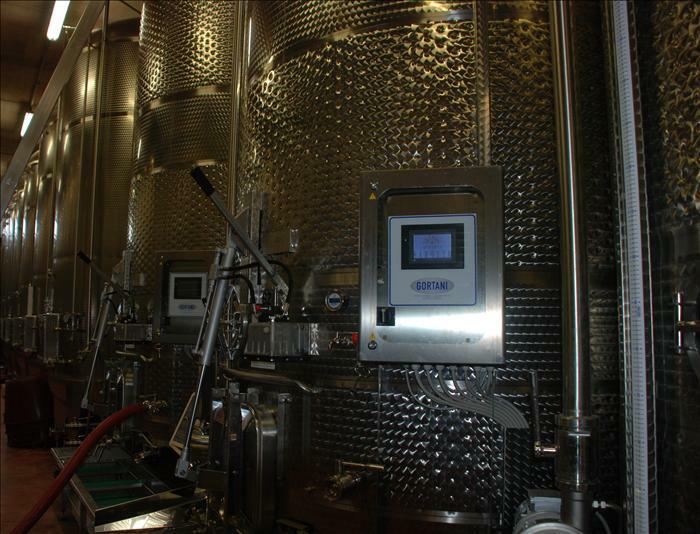 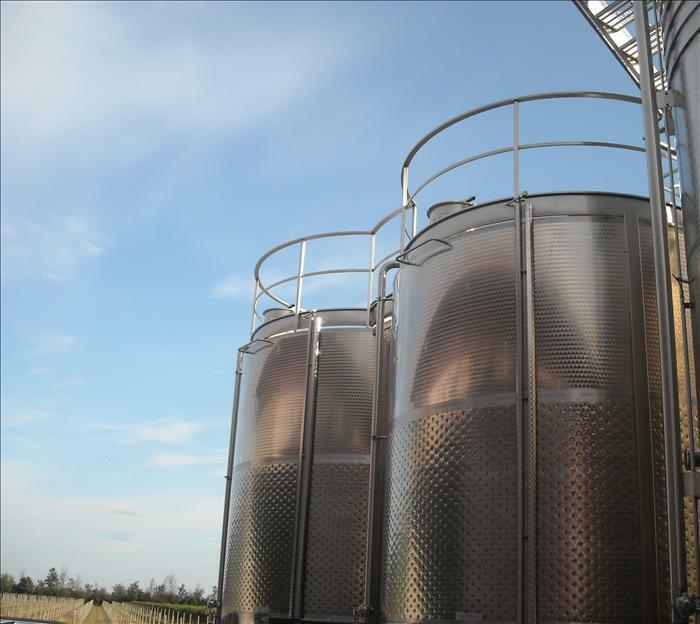 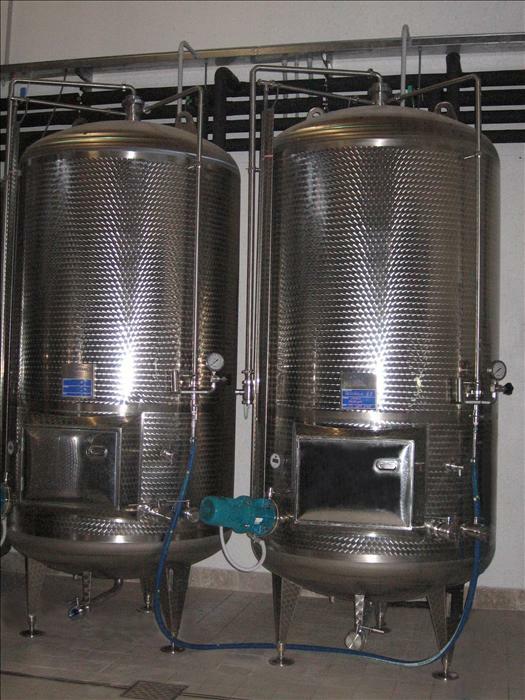 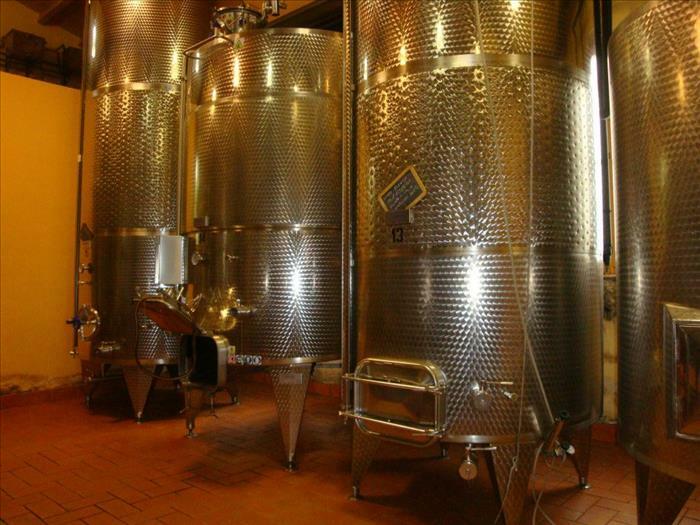 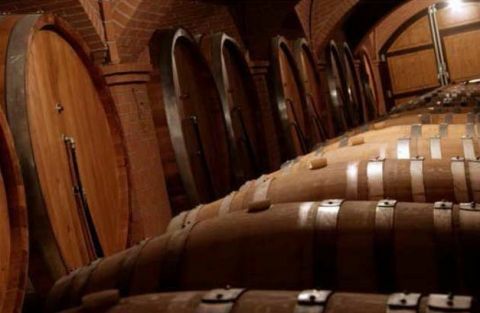 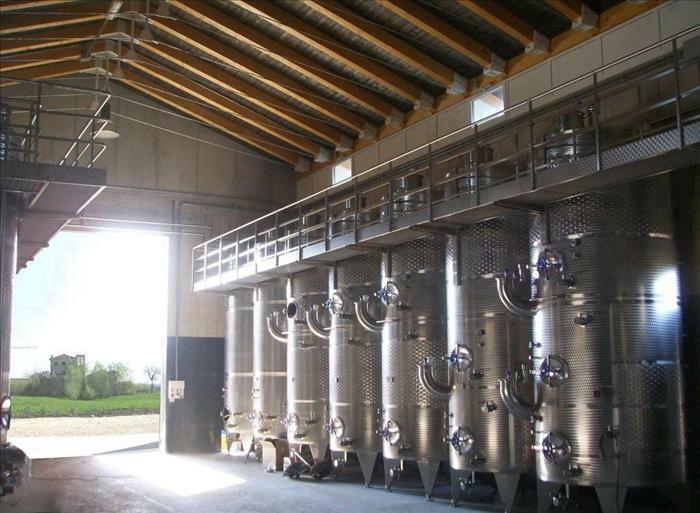 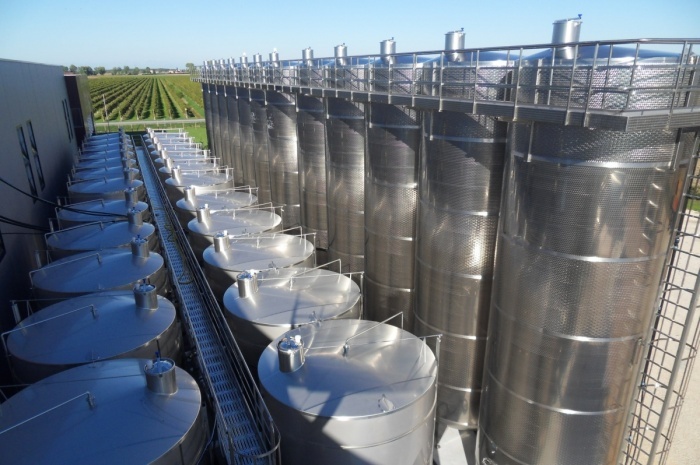 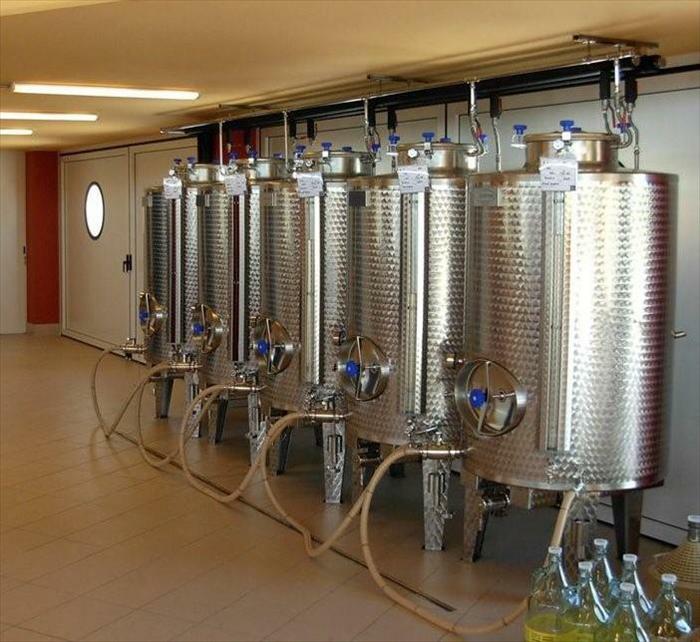 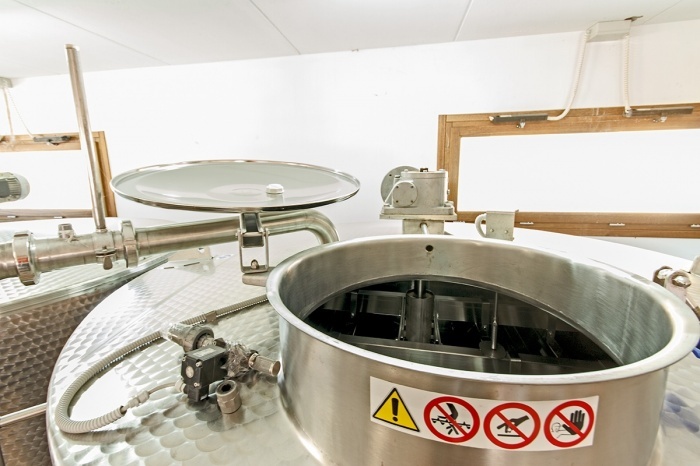 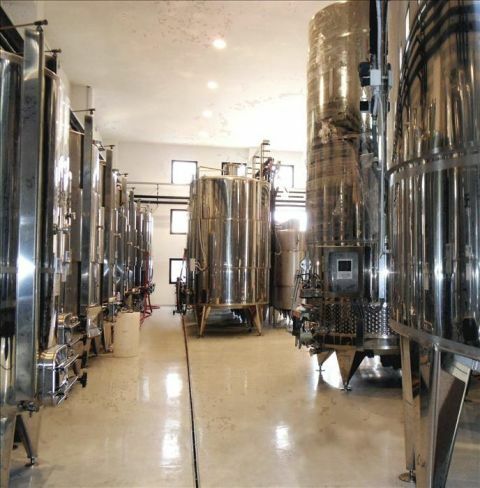 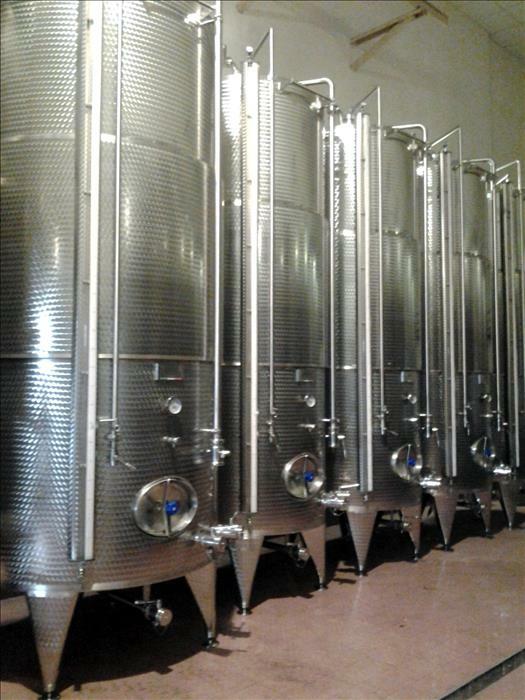 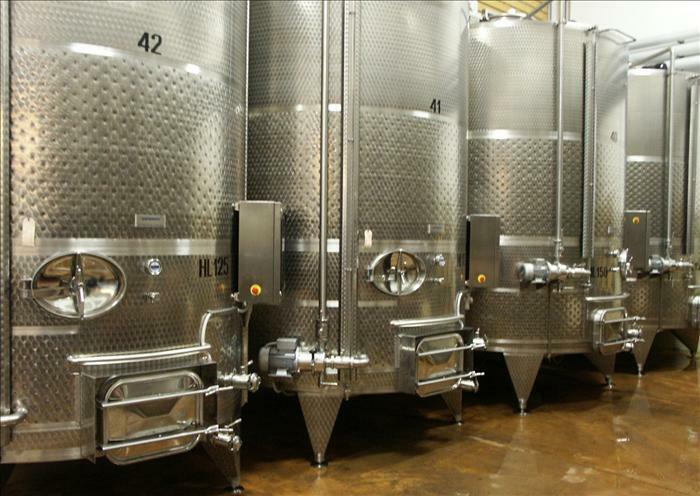 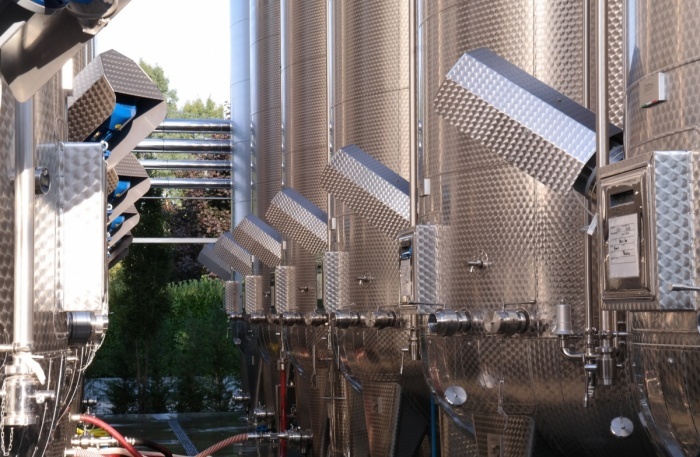 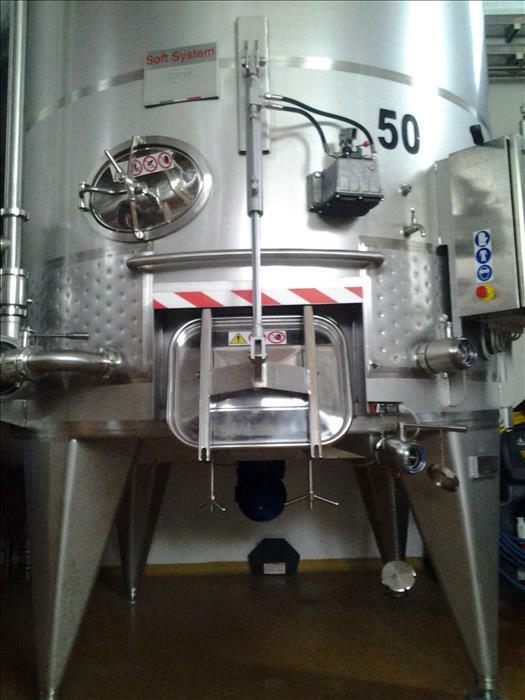 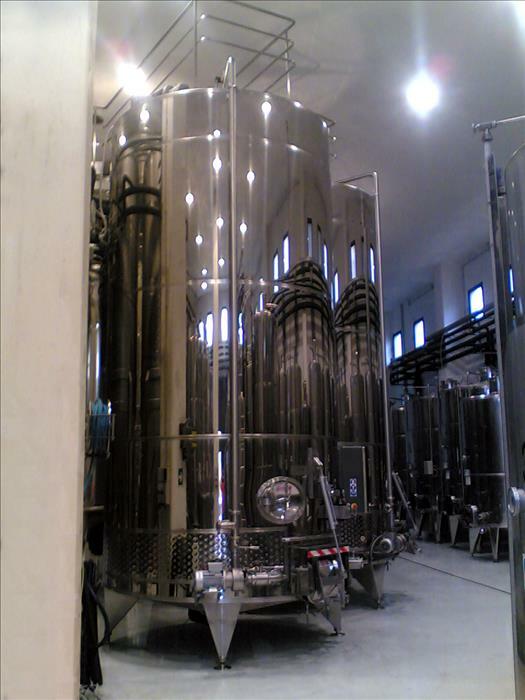 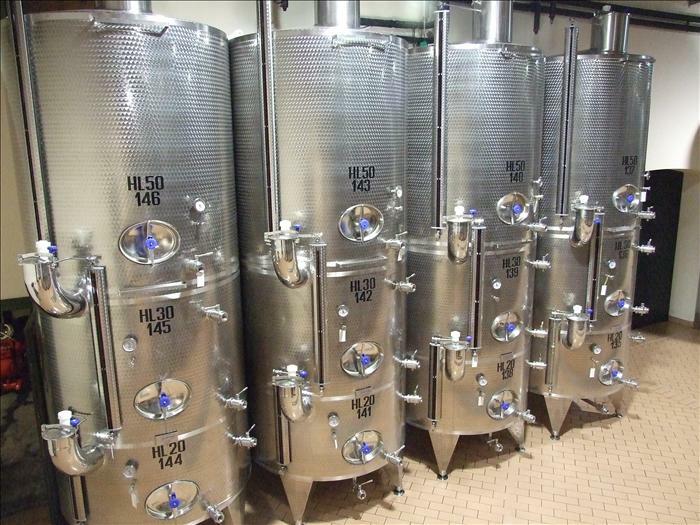 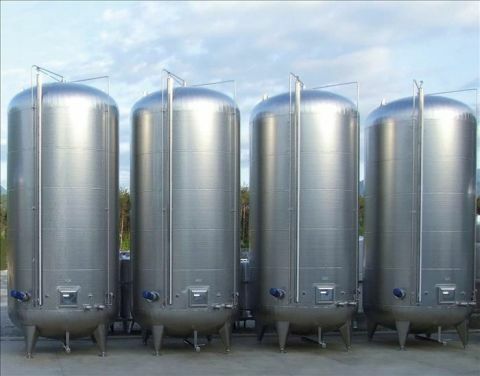 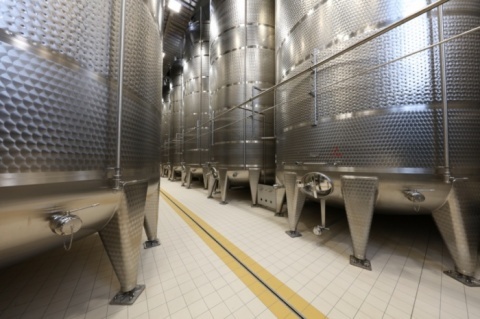 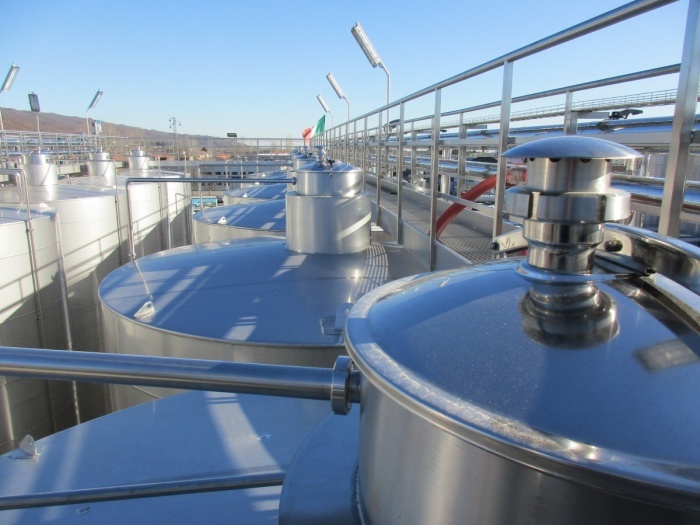 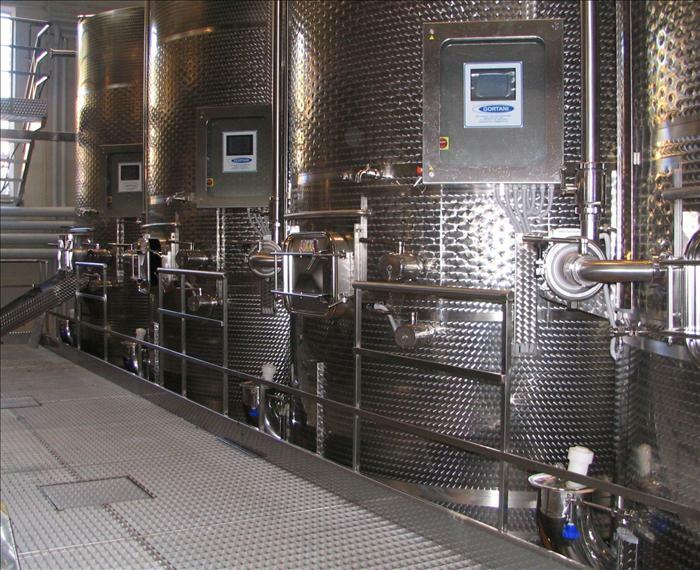 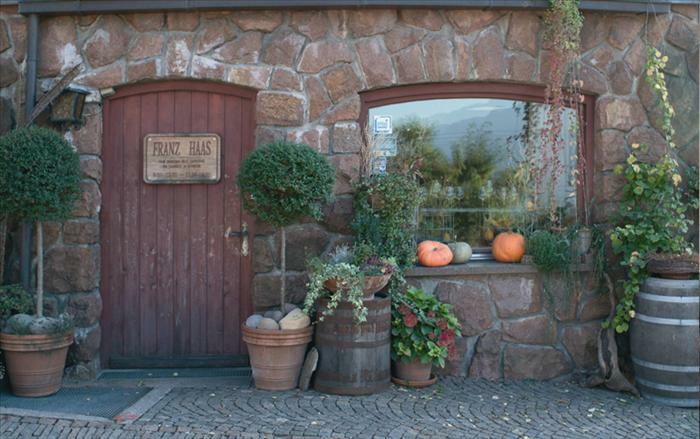 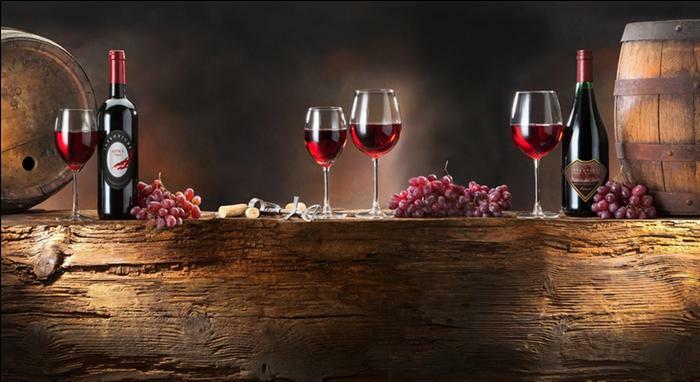 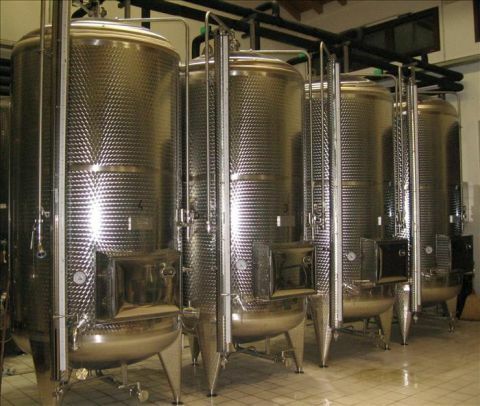 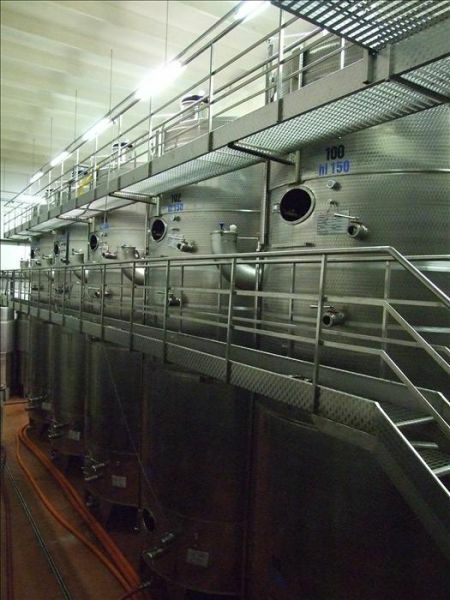 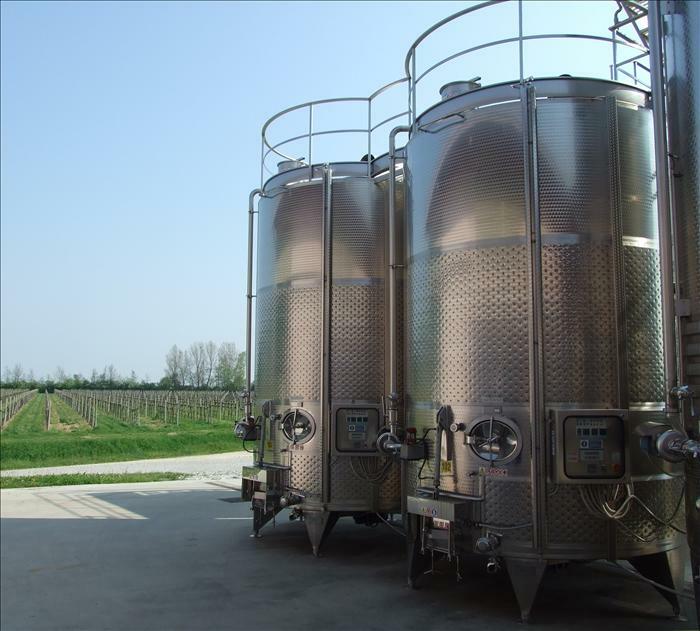 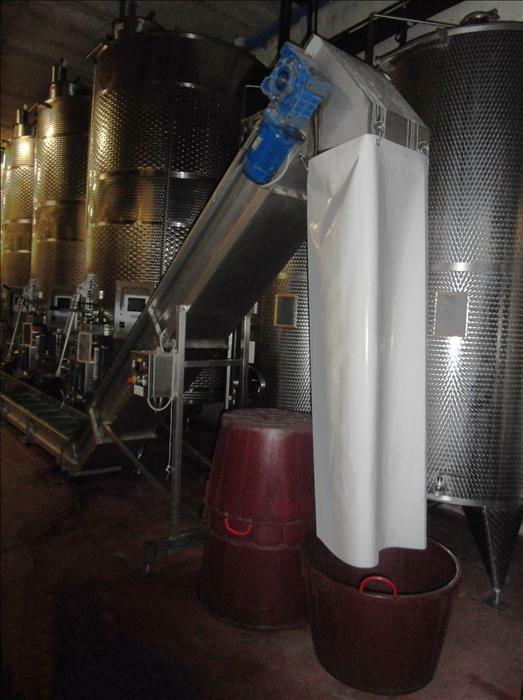 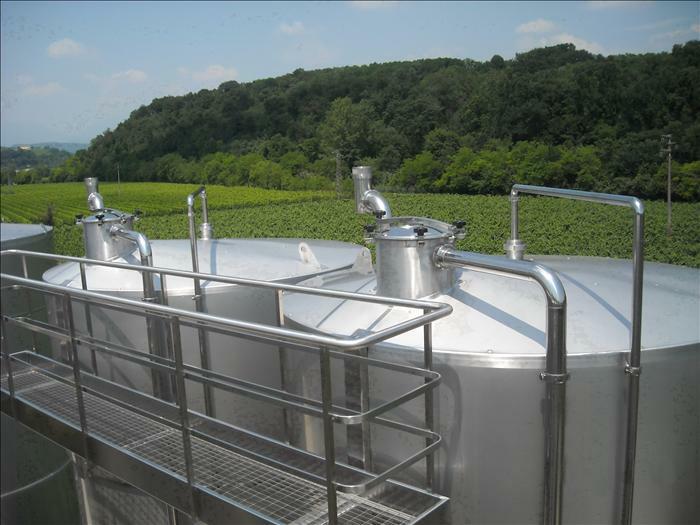 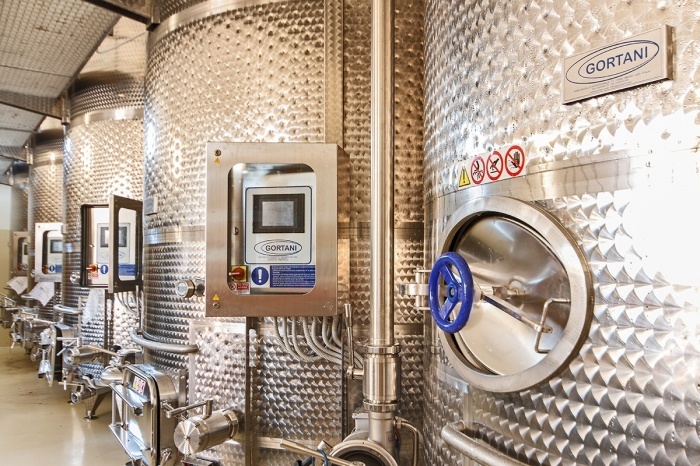 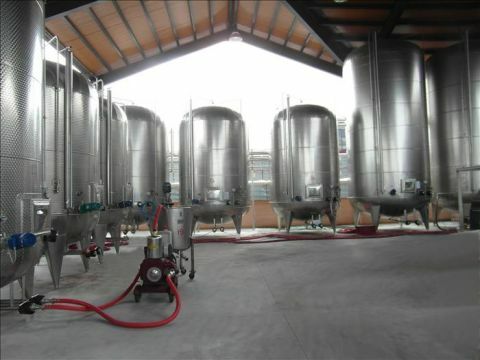 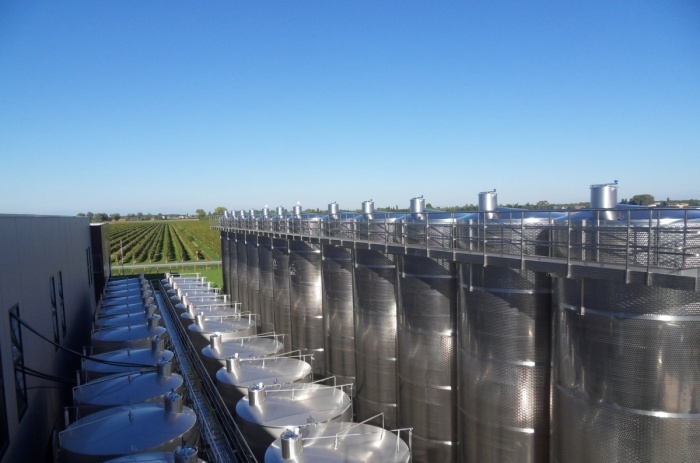 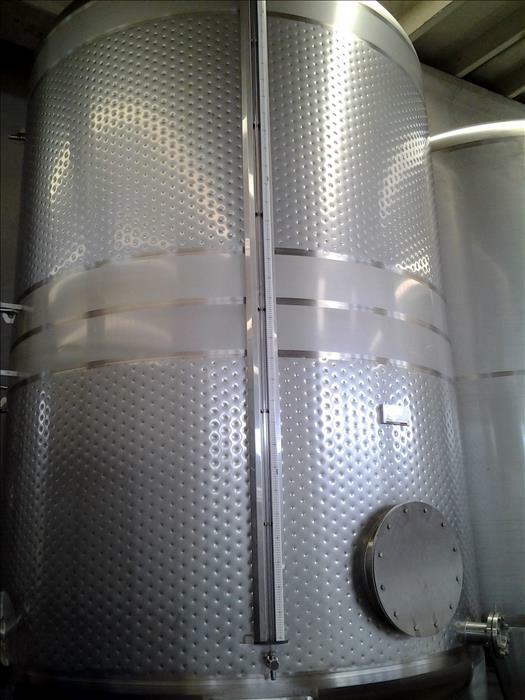 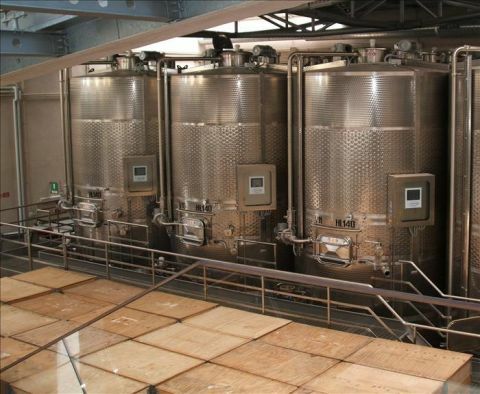 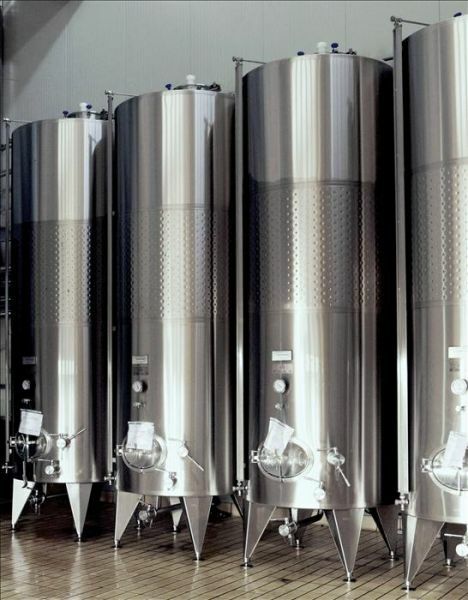 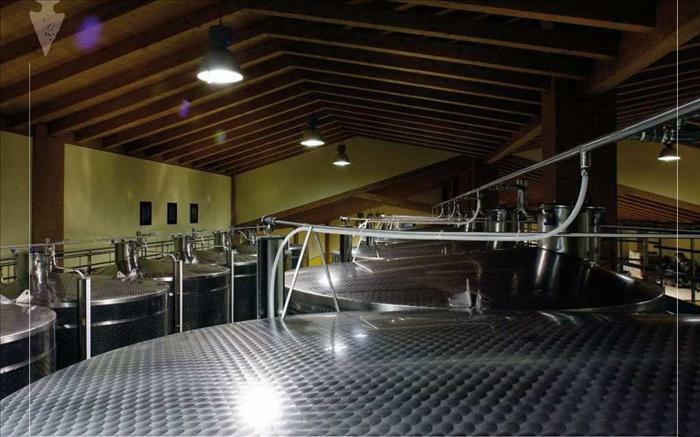 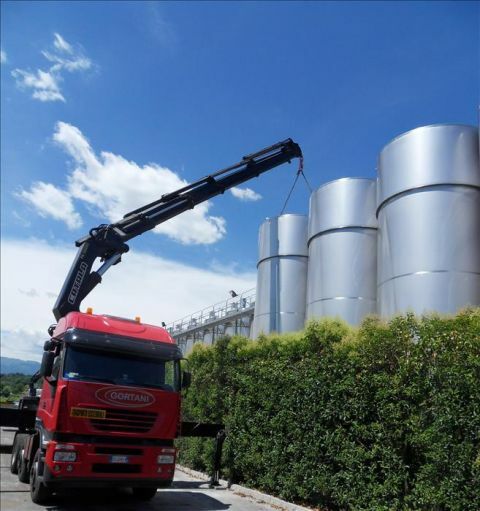 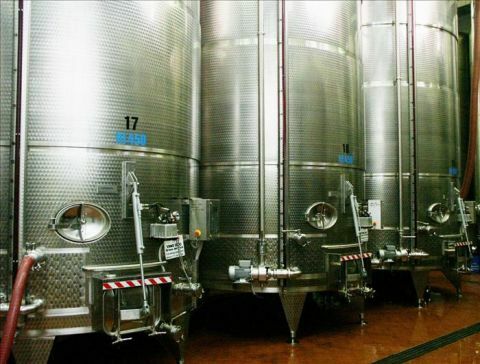 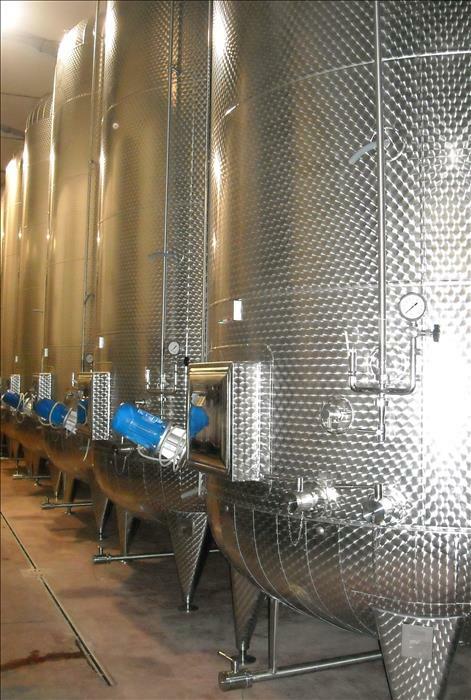 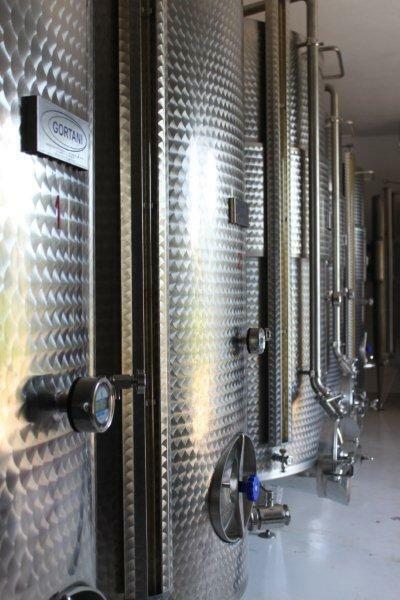 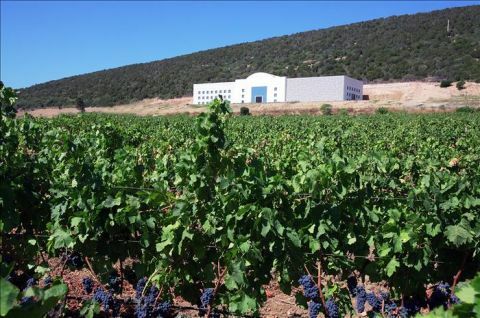 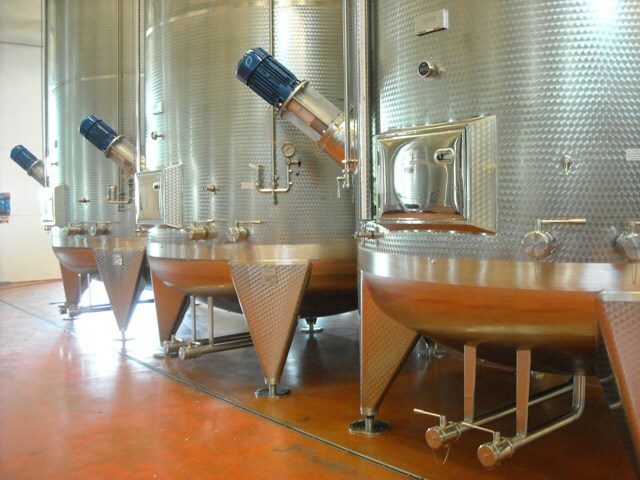 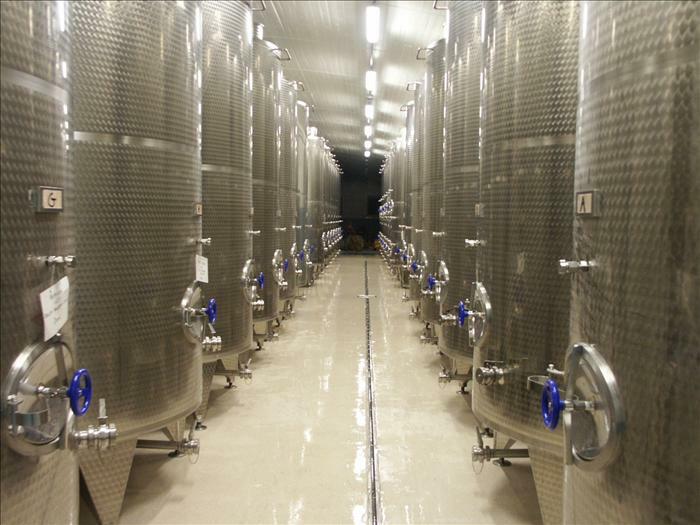 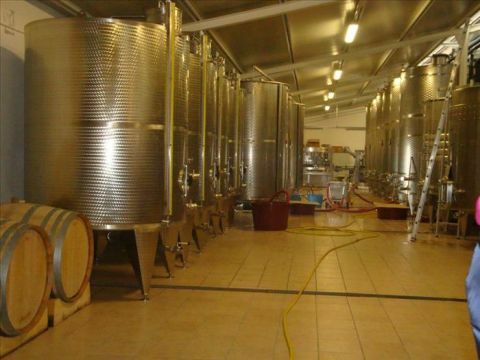 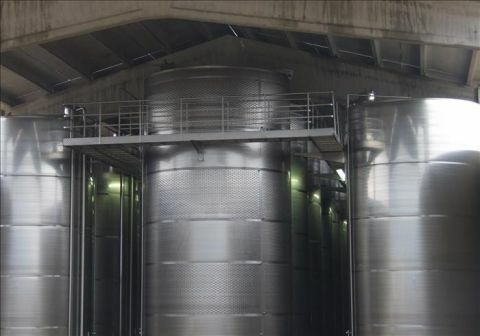 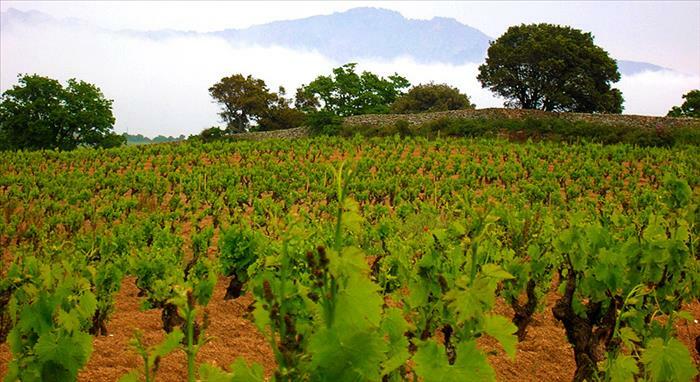 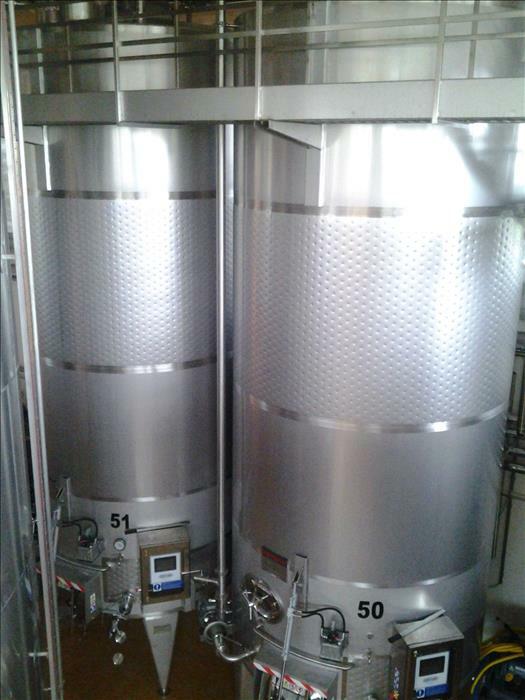 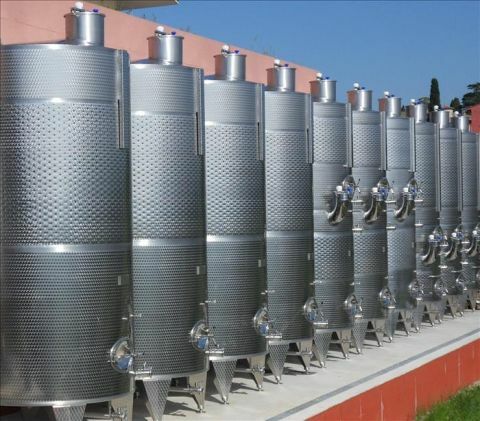 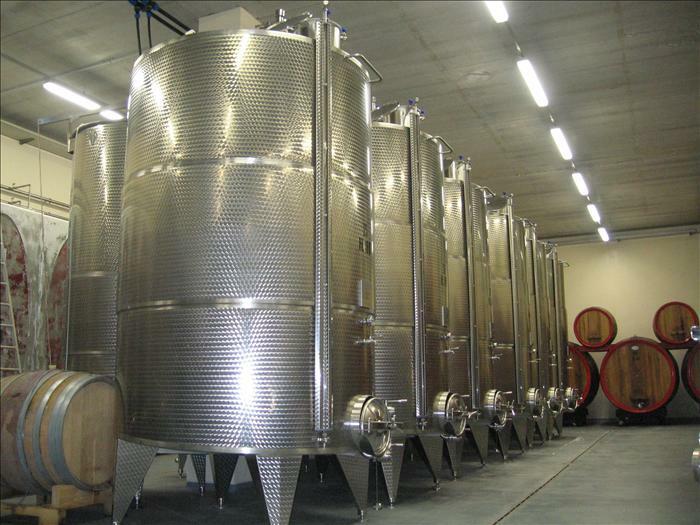 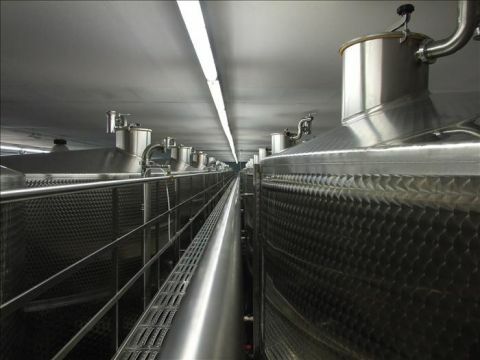 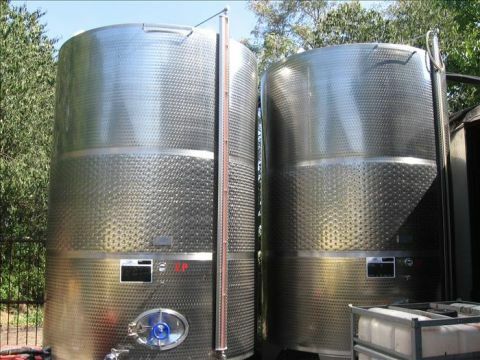 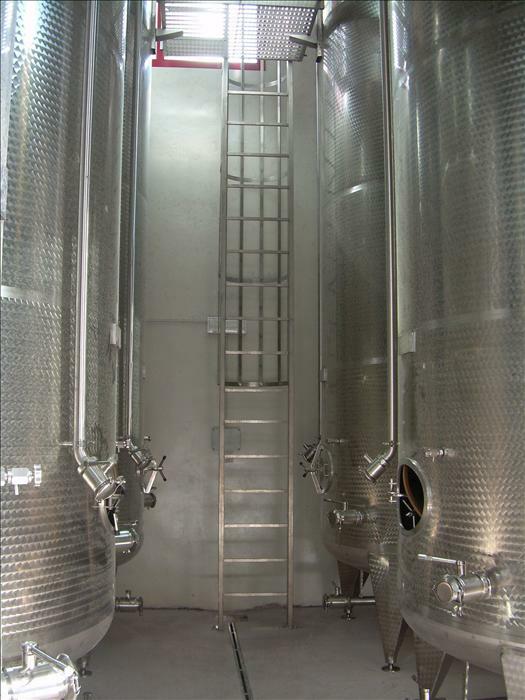 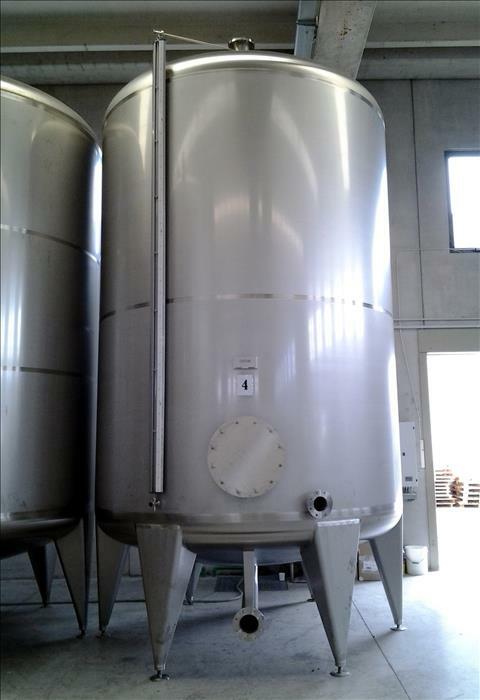 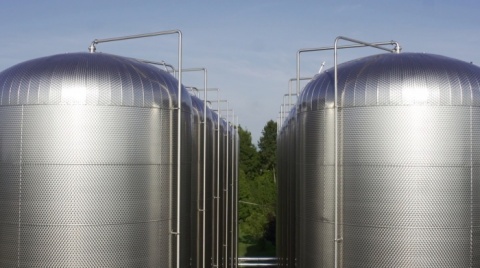 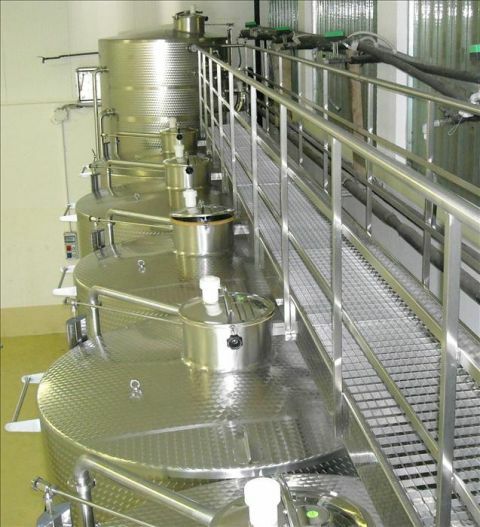 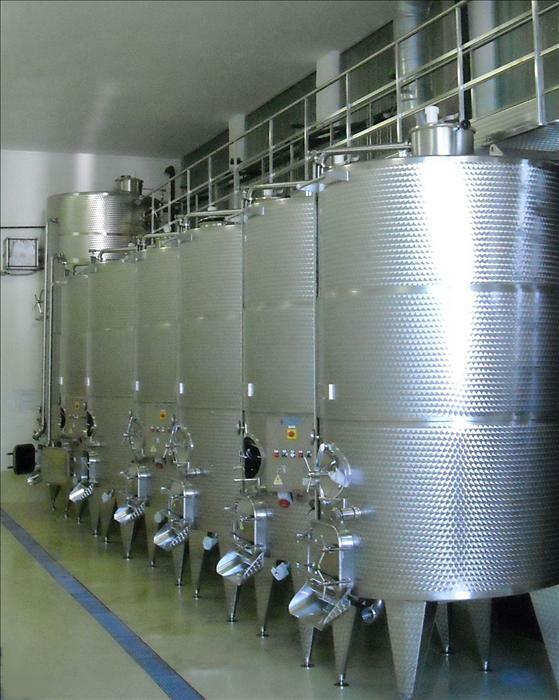 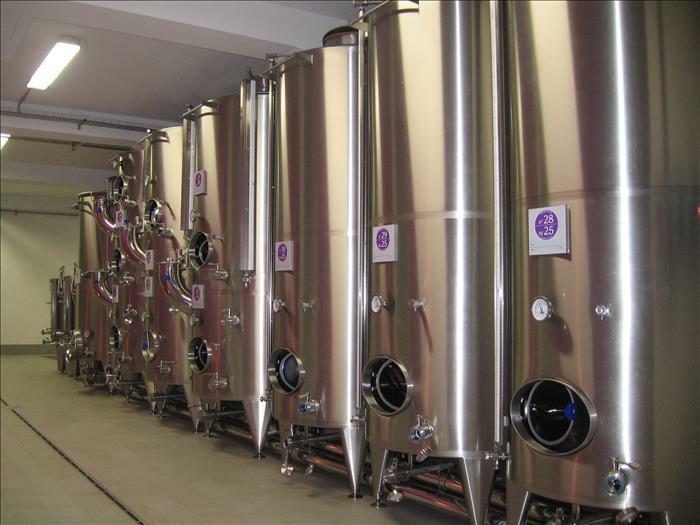 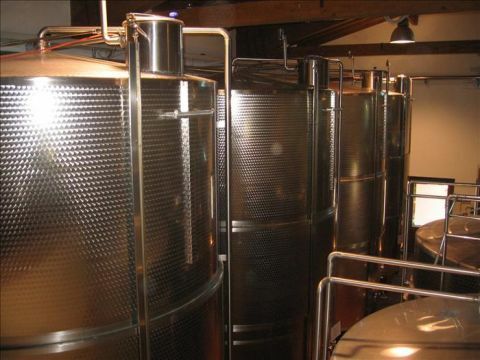 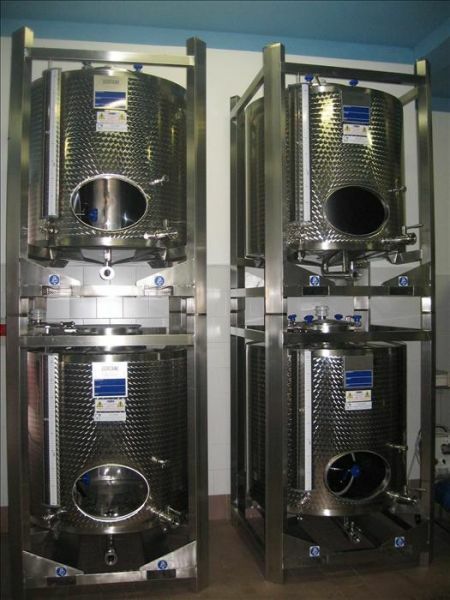 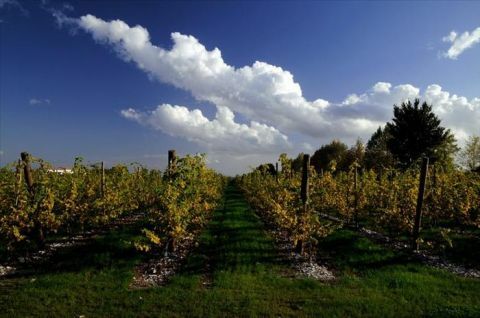 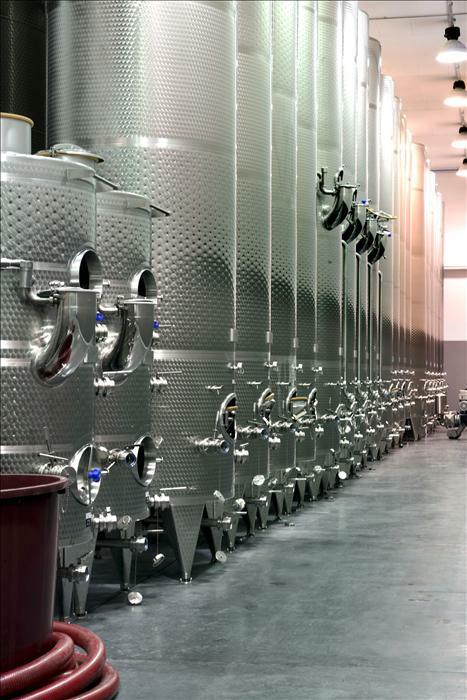 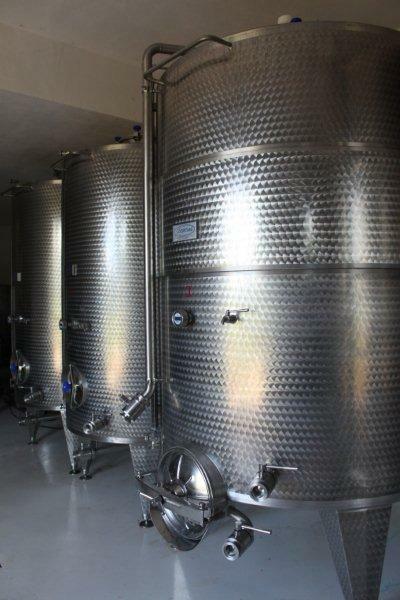 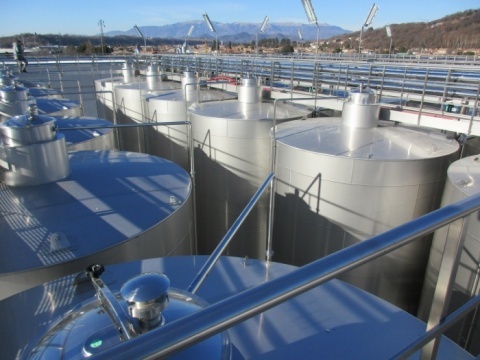 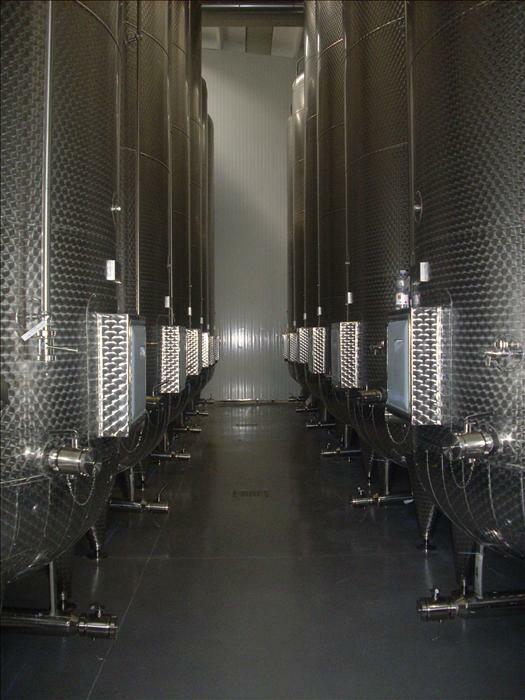 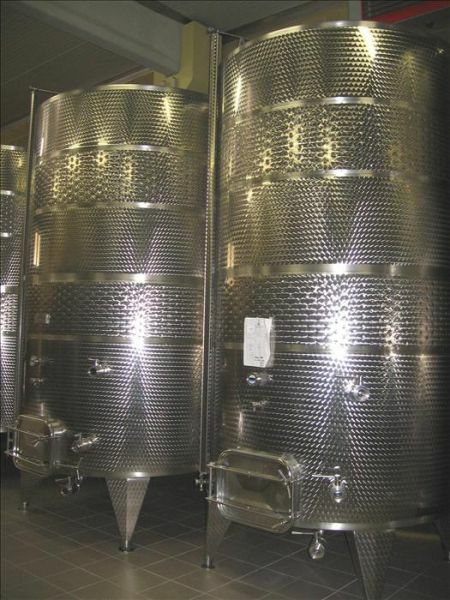 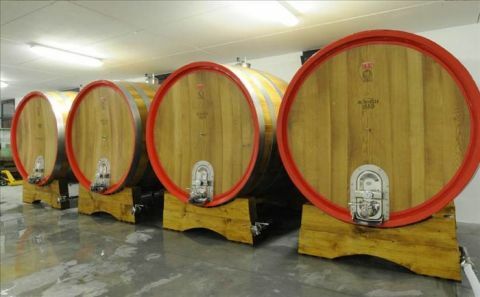 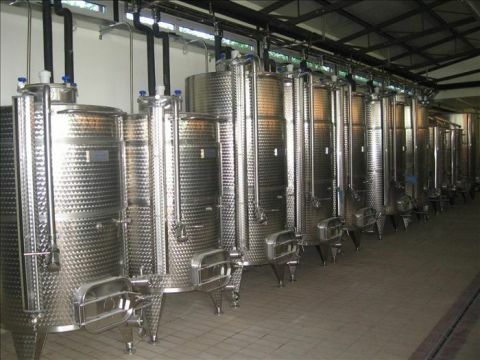 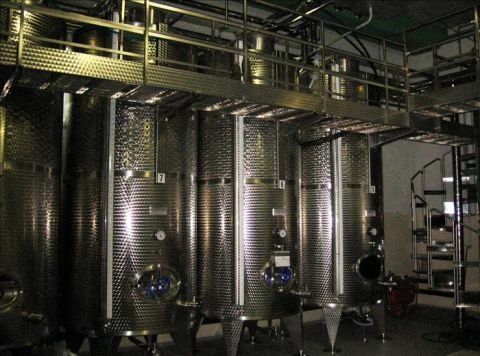 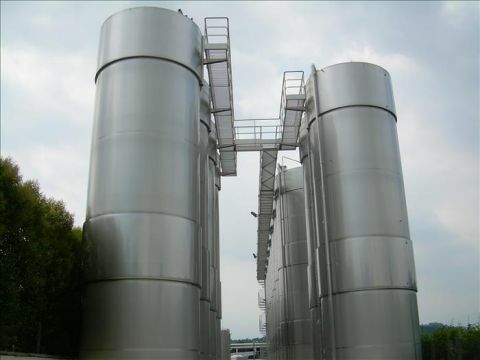 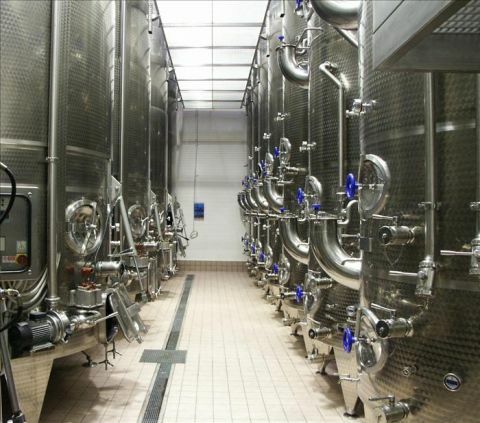 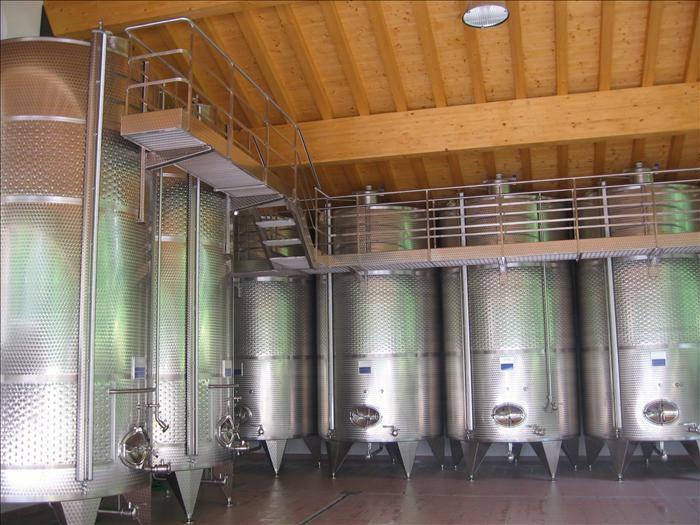 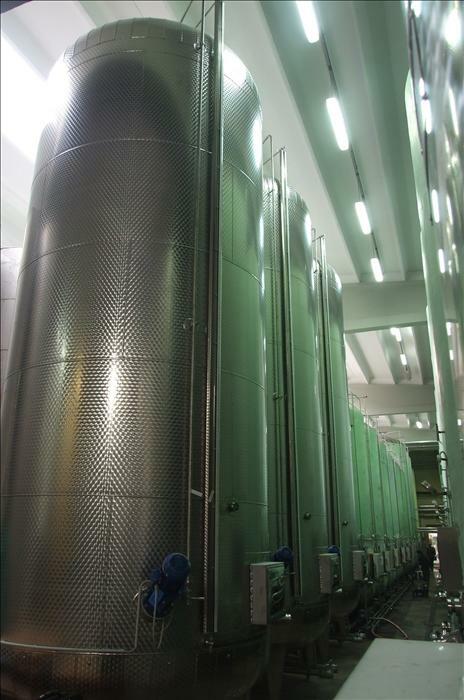 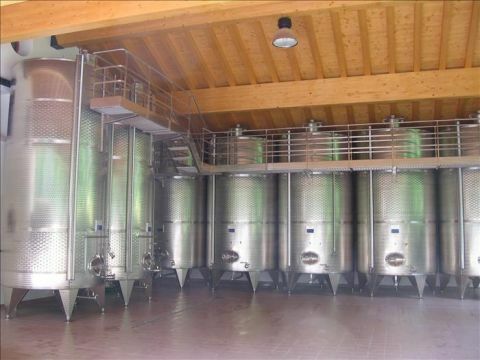 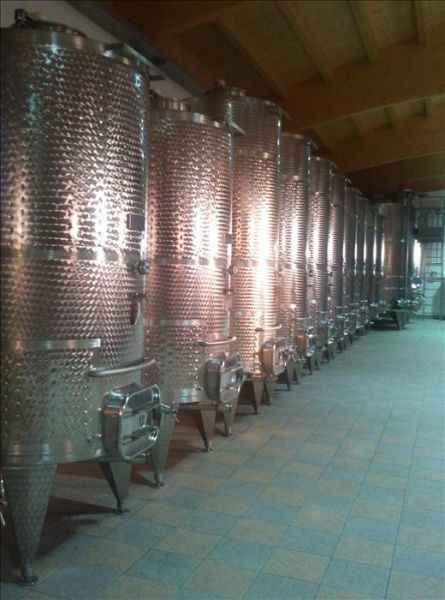 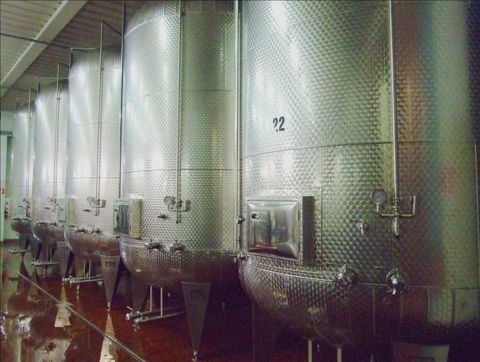 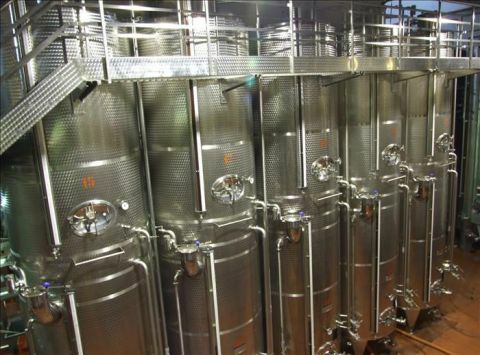 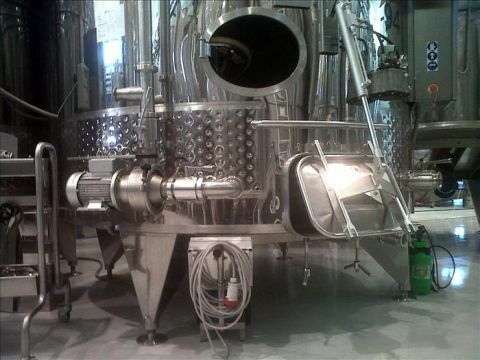 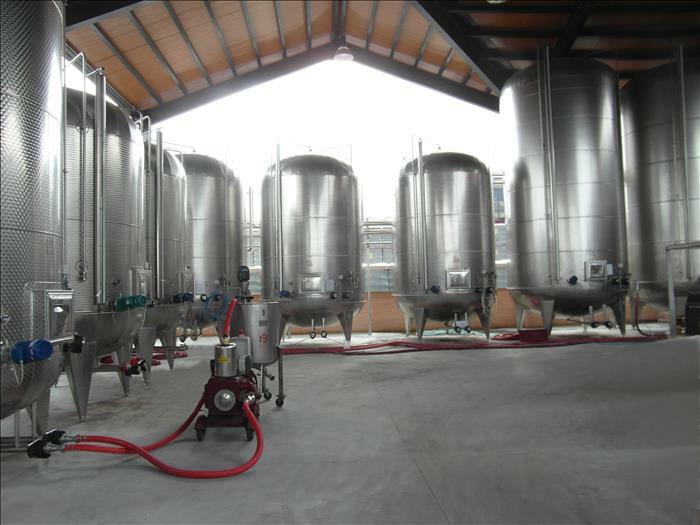 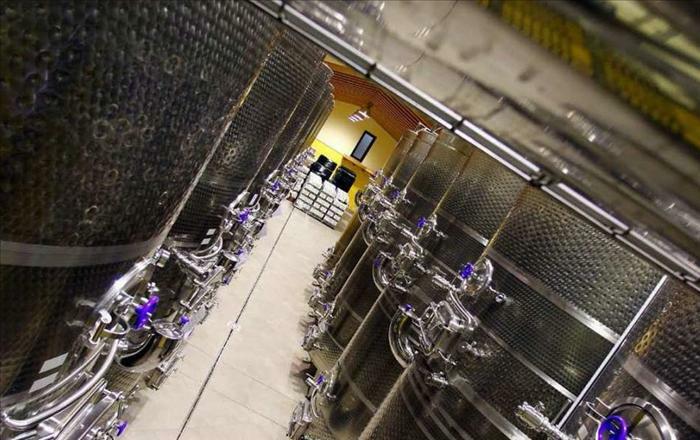 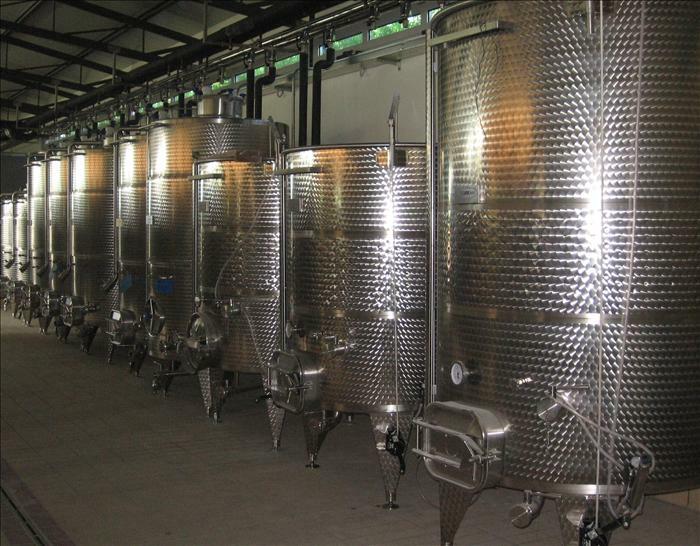 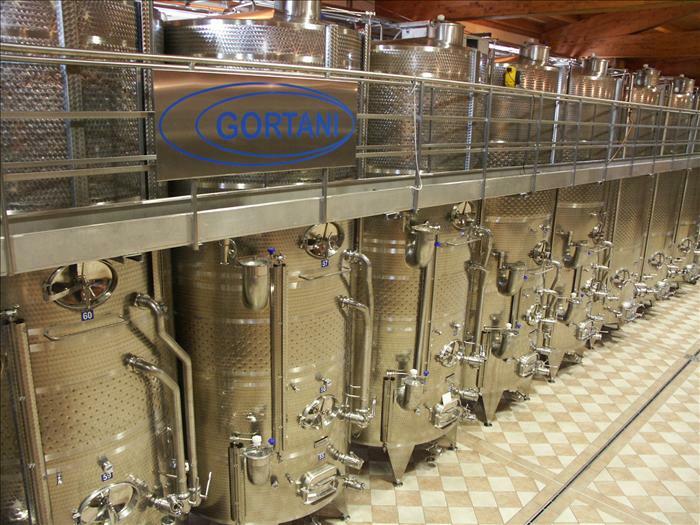 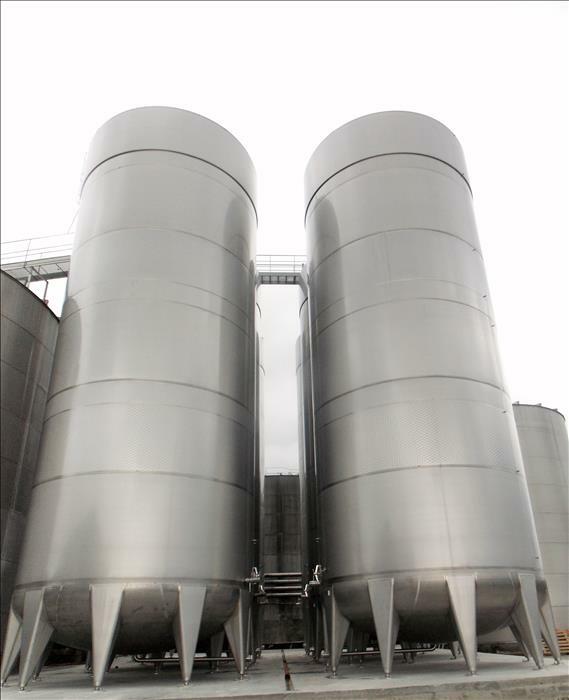 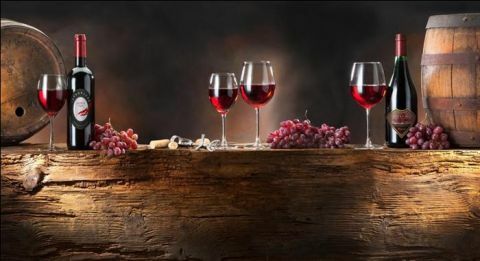 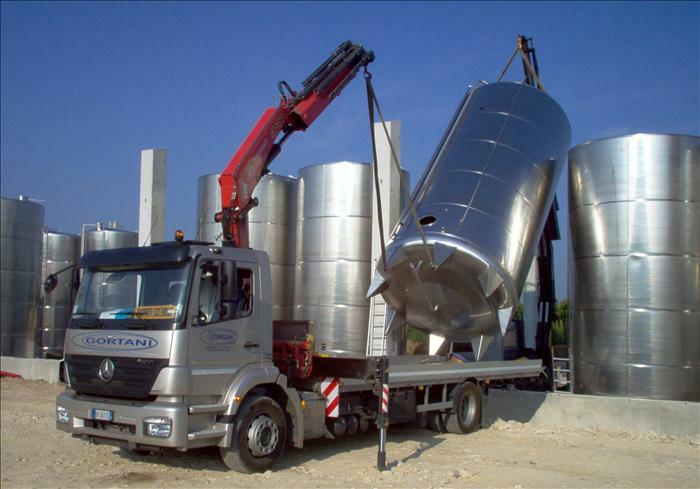 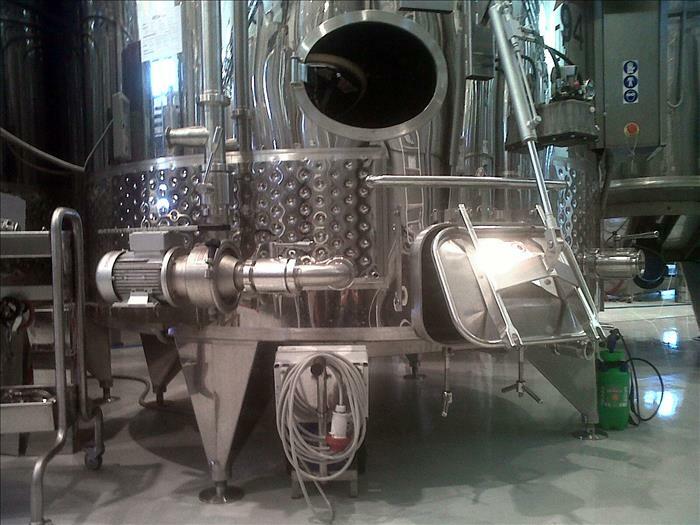 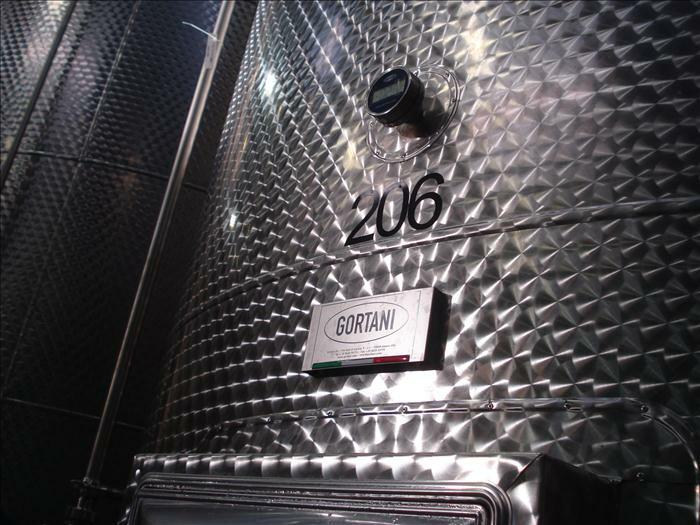 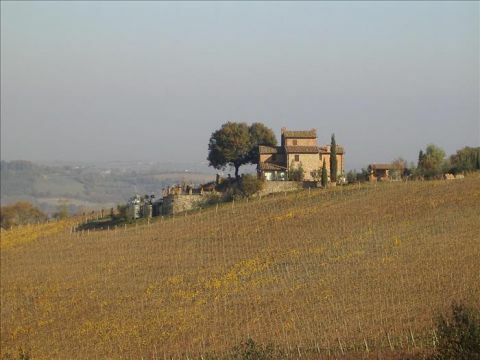 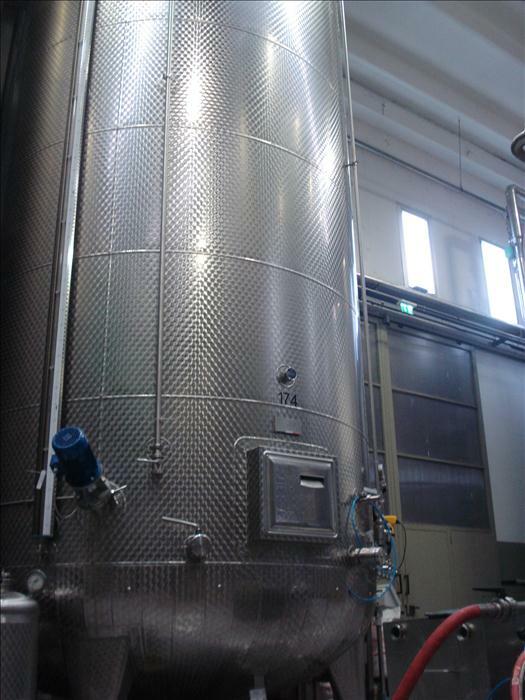 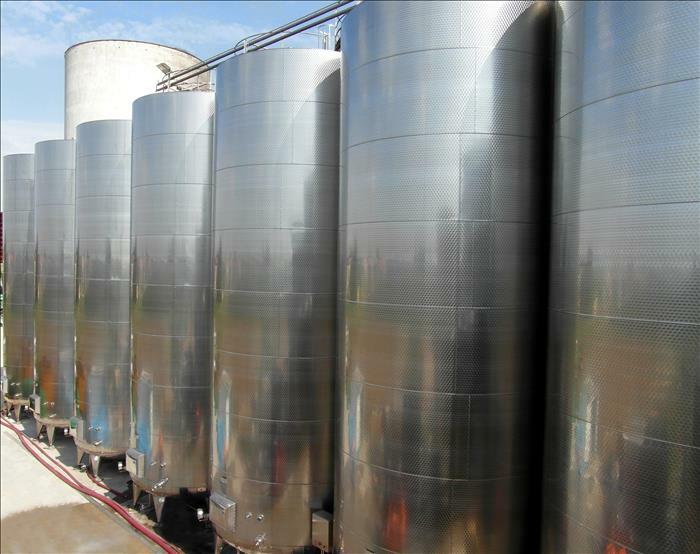 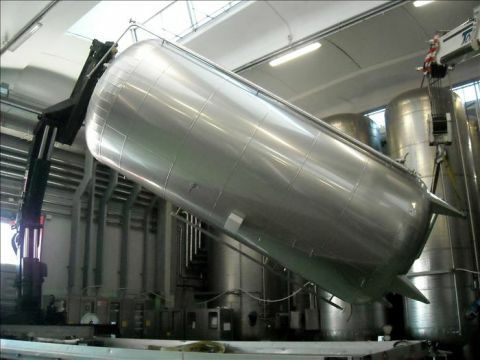 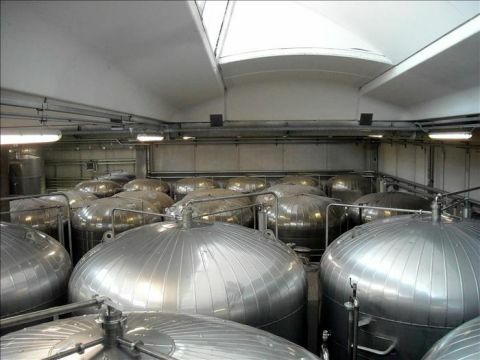 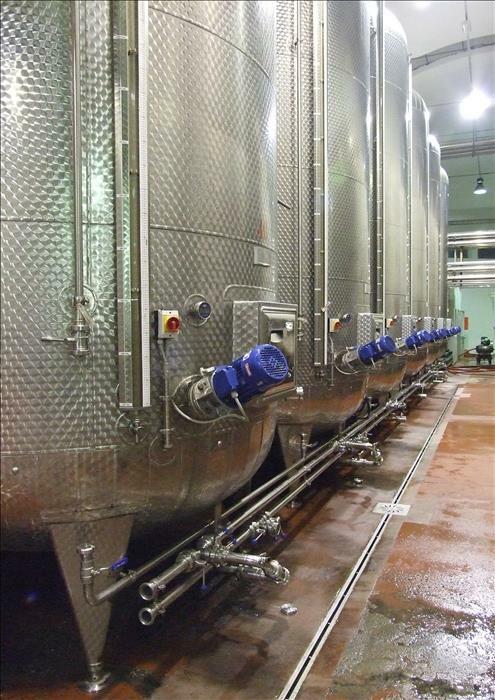 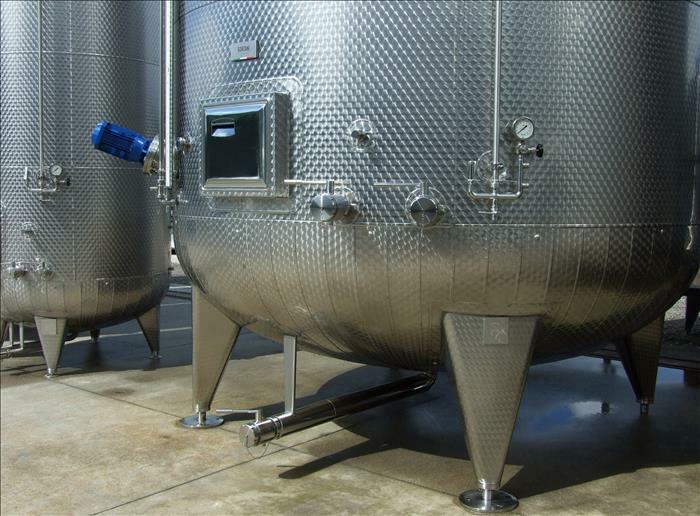 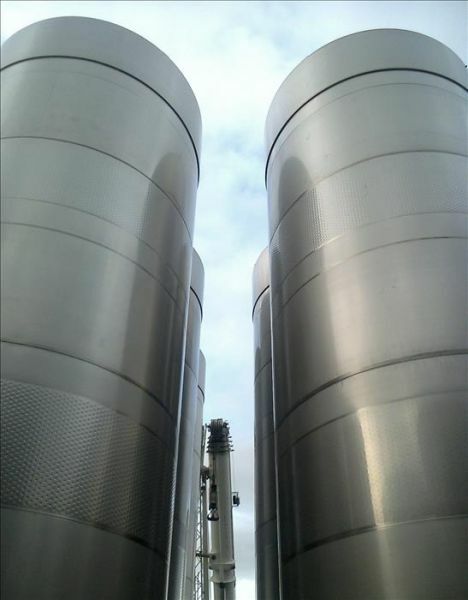 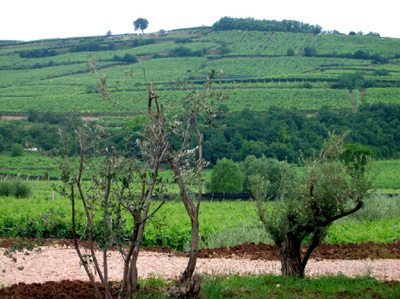 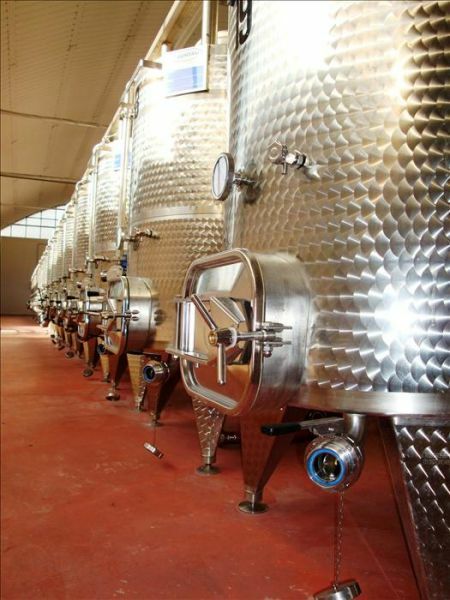 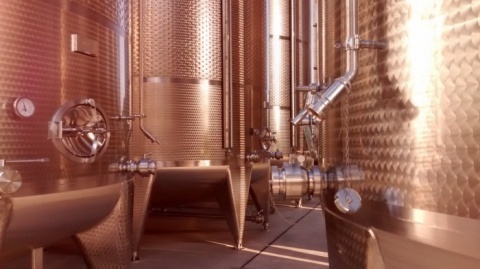 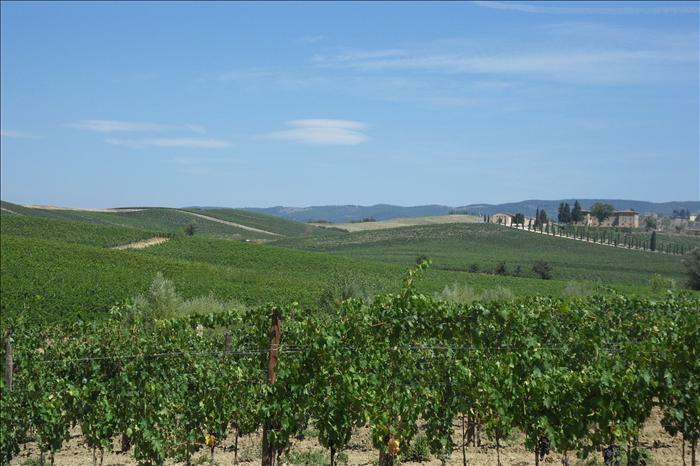 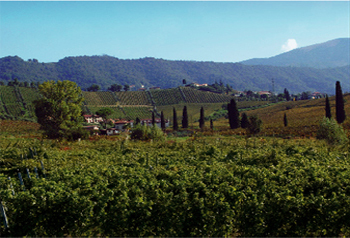 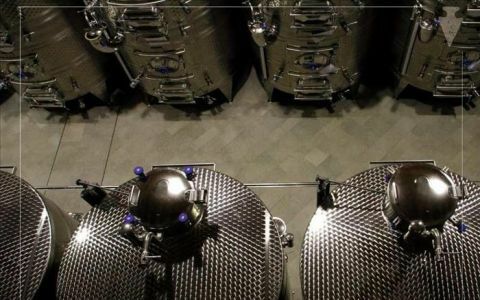 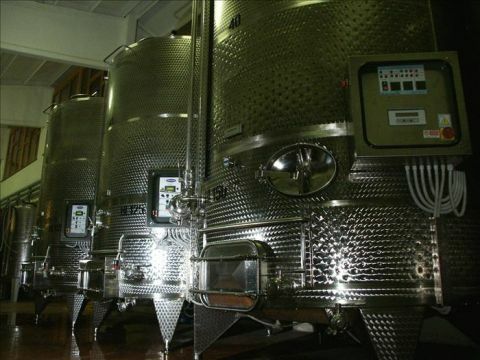 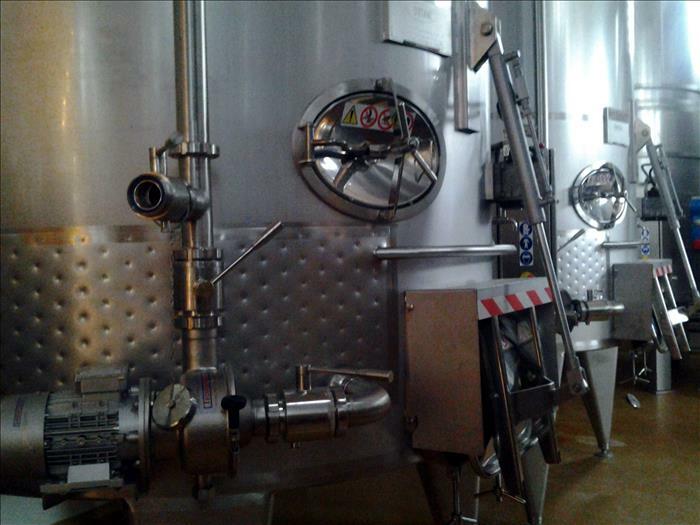 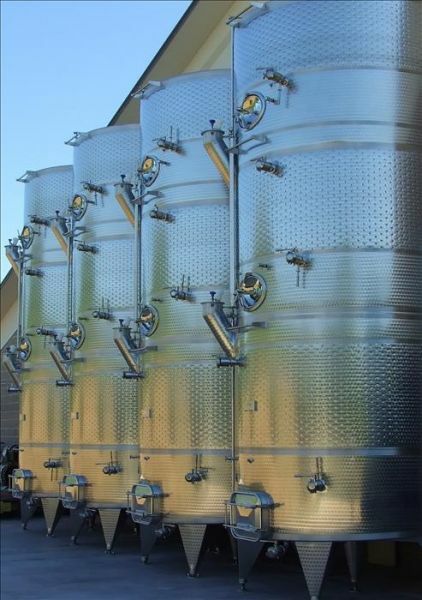 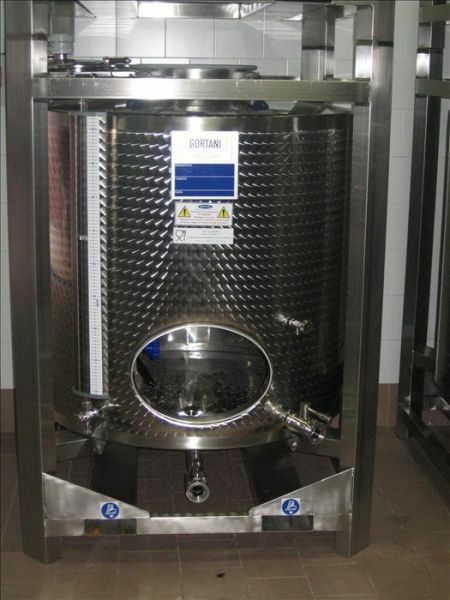 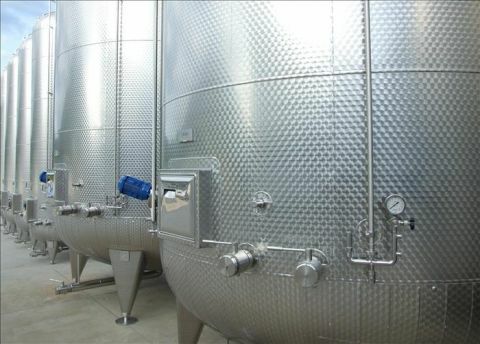 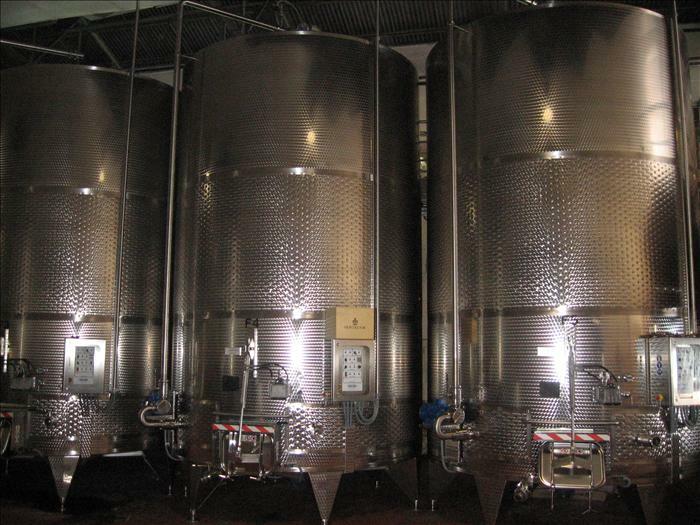 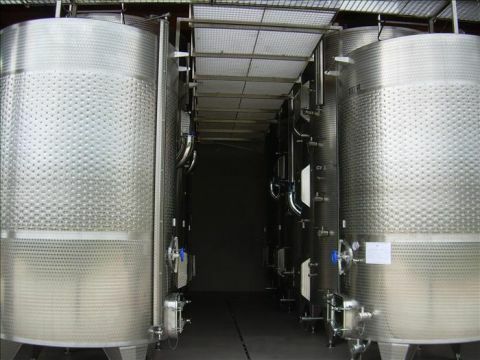 Design and construction of wine making systems, fermentation systems and storage systems. 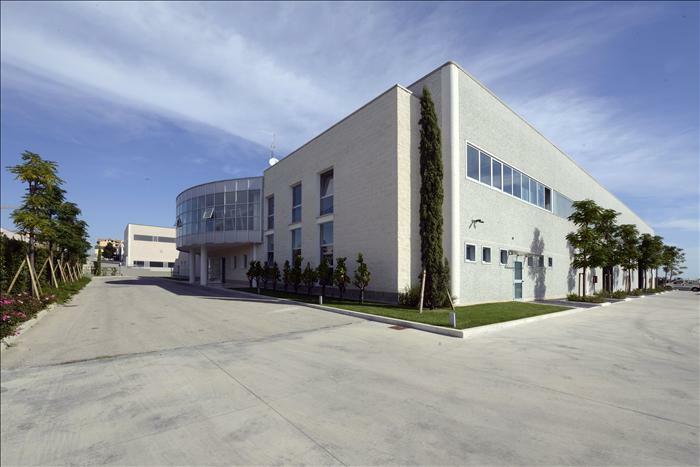 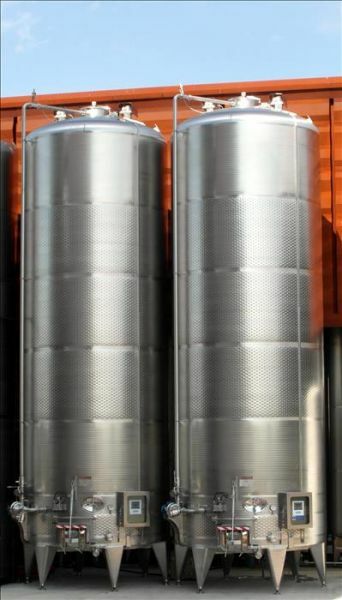 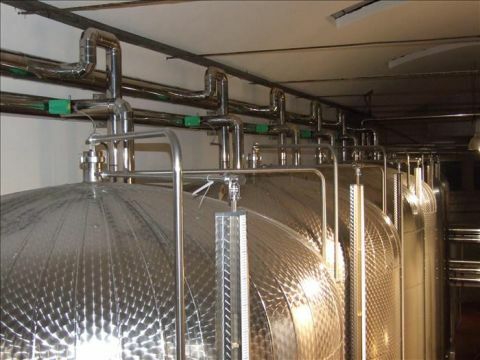 Design and construction of storage systems for chemical industry. 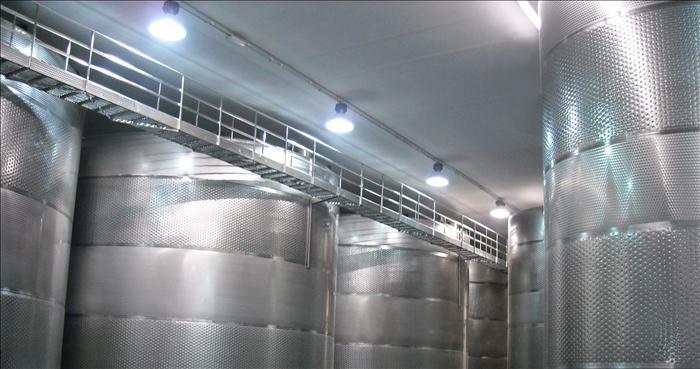 Design and construction of storage systems, sparkling wine systems. Design and construction of storage systems, wine making systems, sparkling wine systems and ladders and walkways systems. 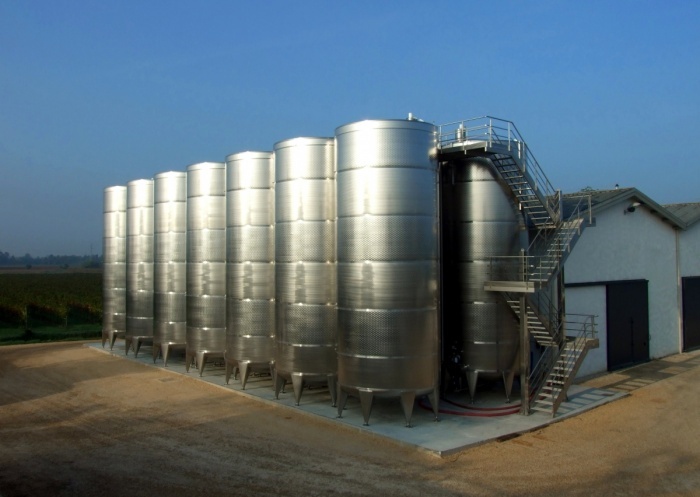 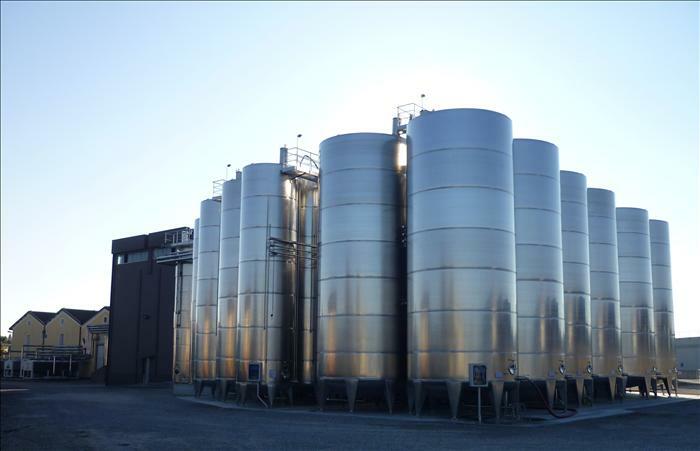 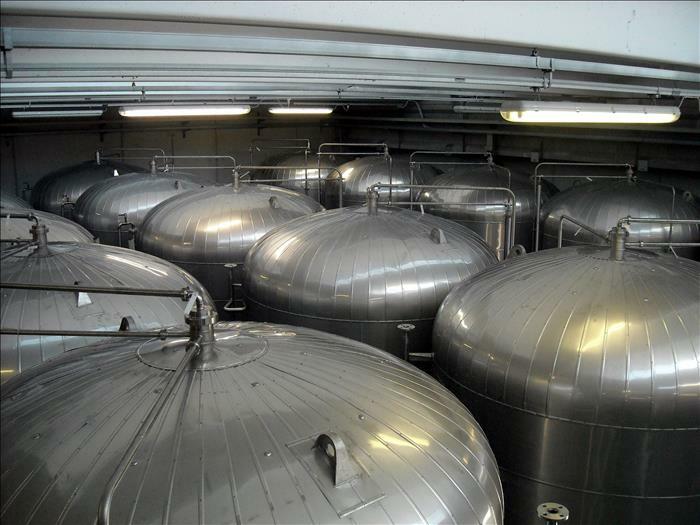 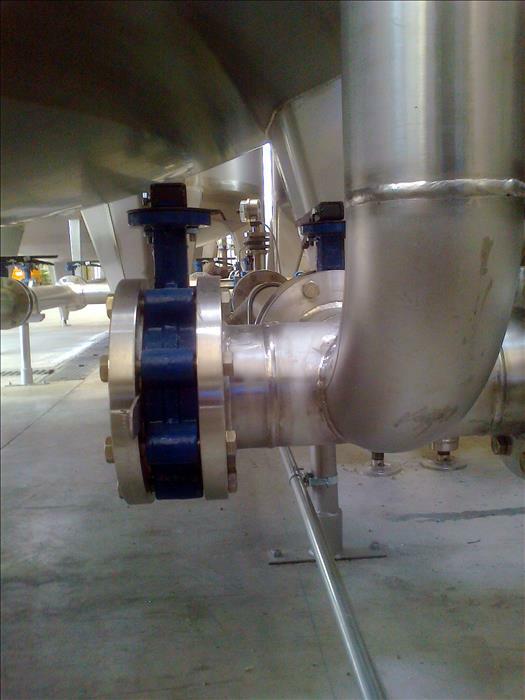 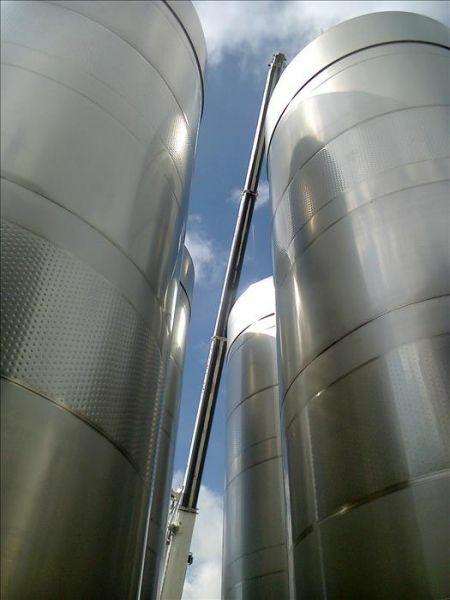 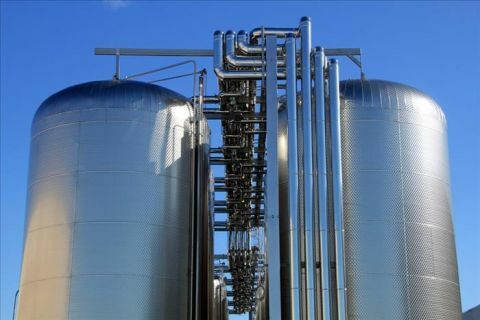 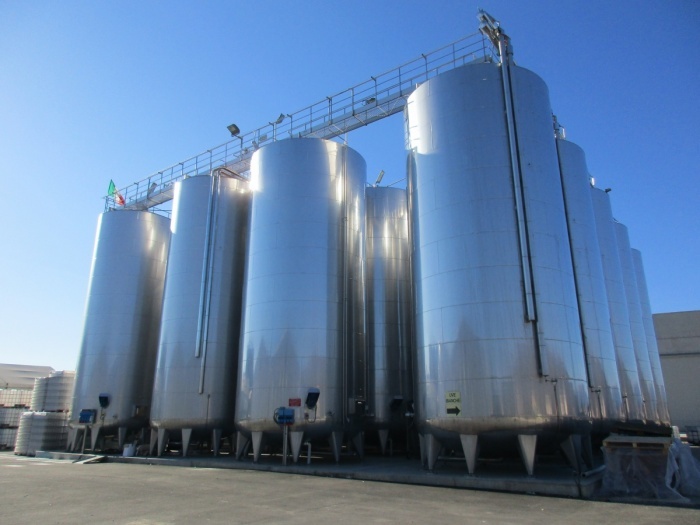 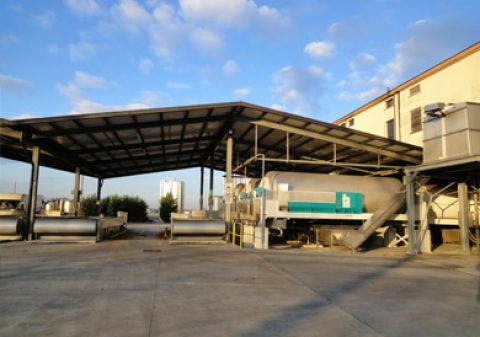 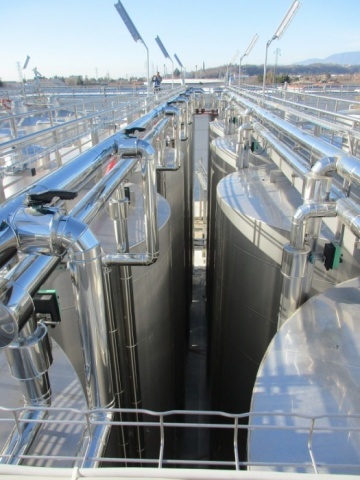 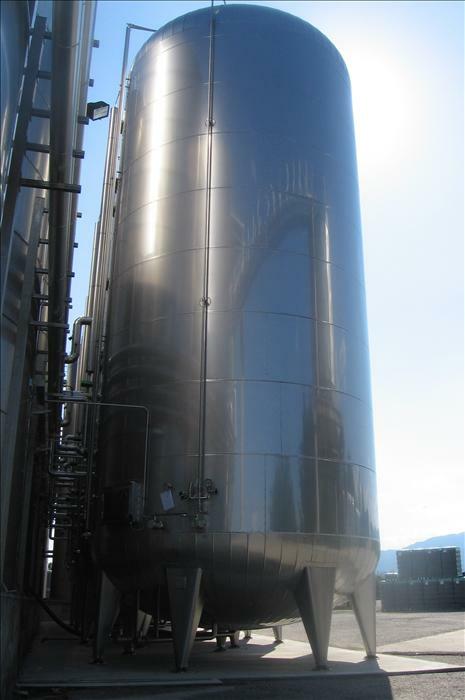 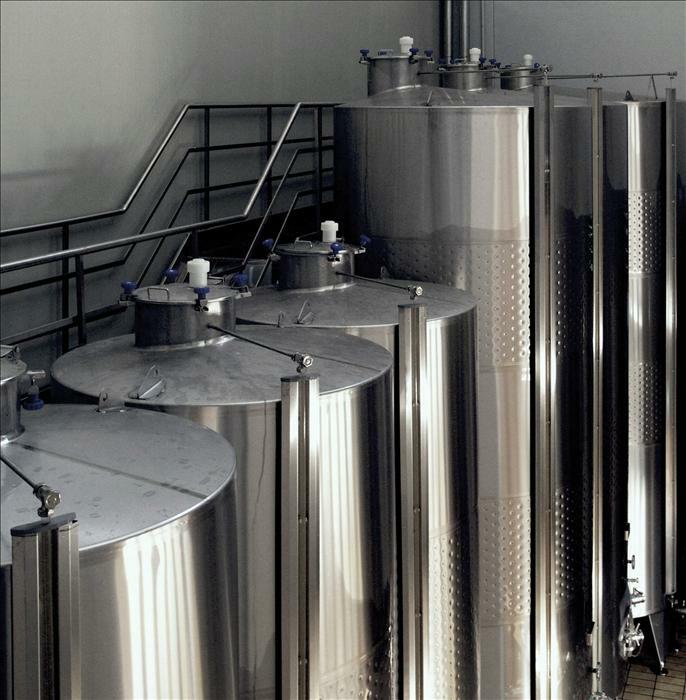 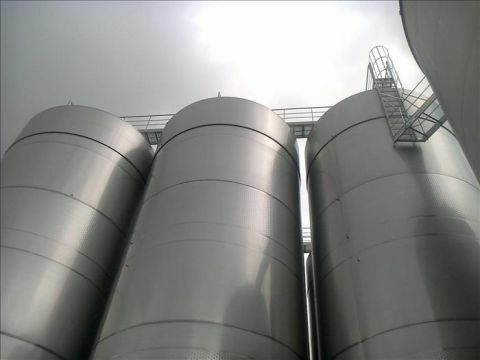 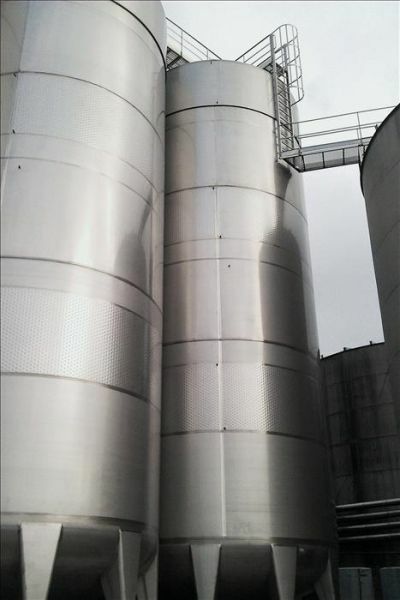 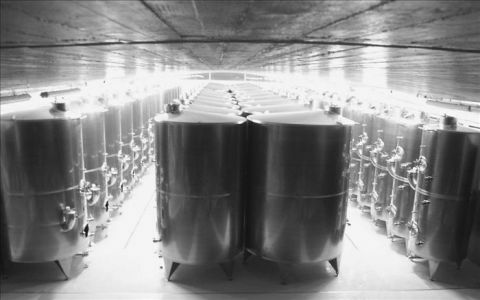 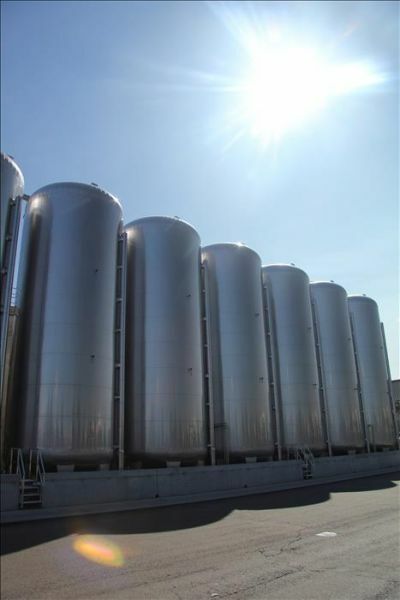 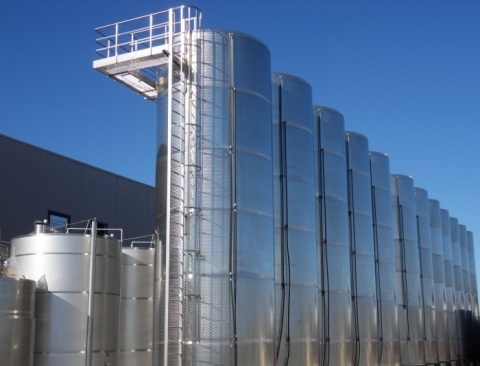 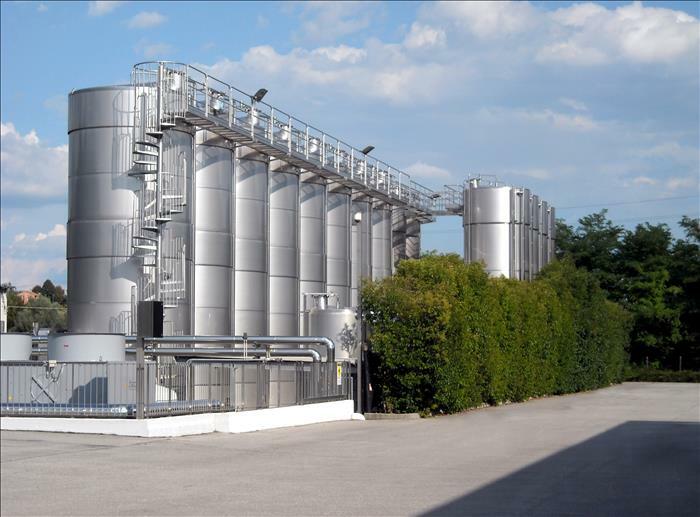 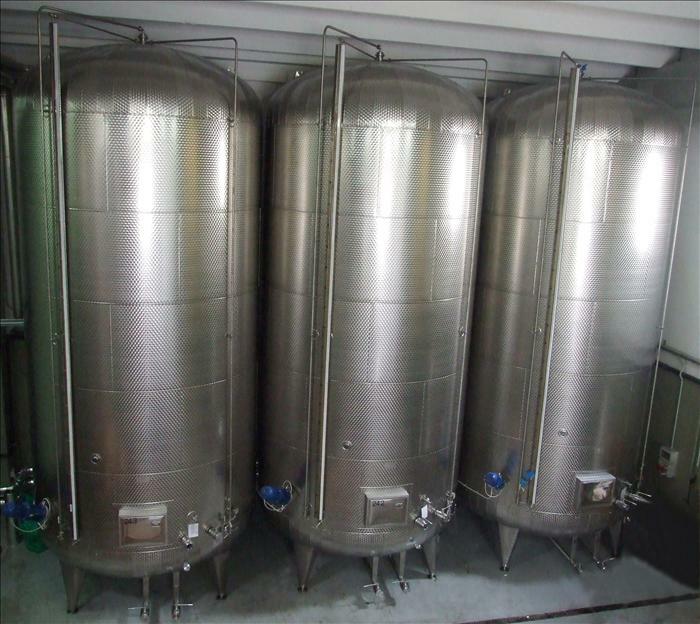 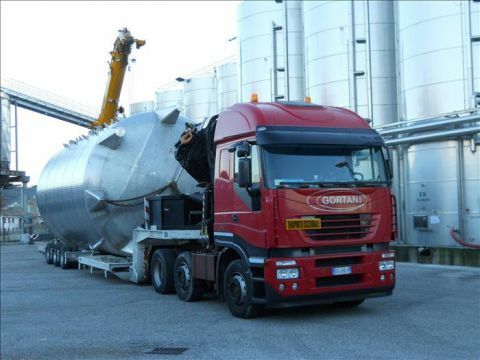 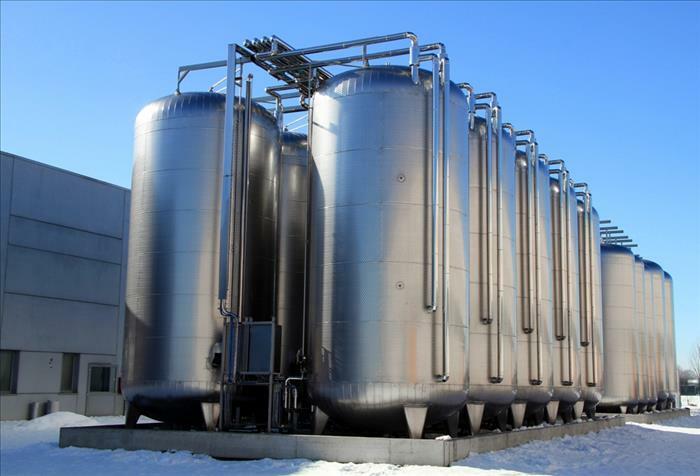 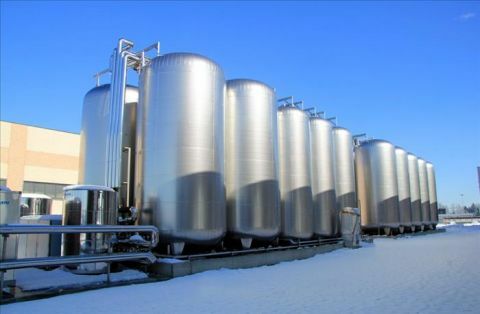 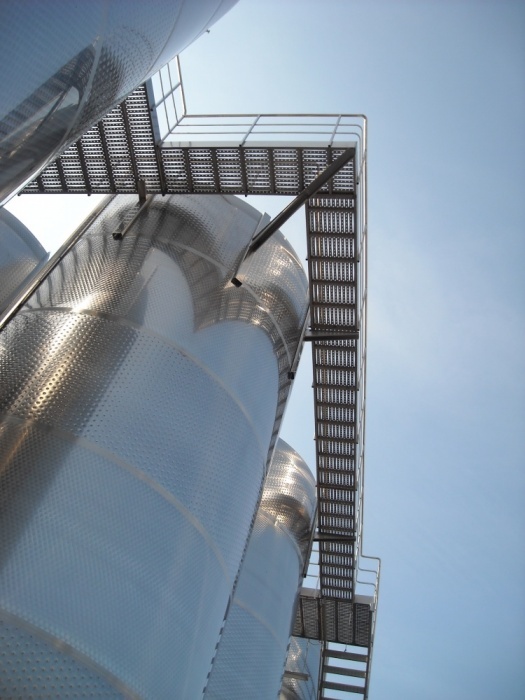 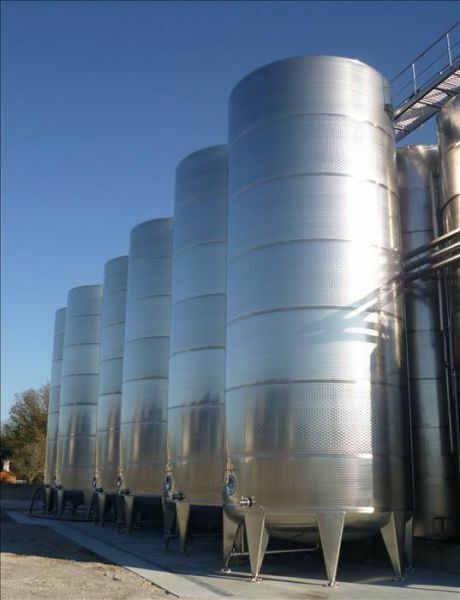 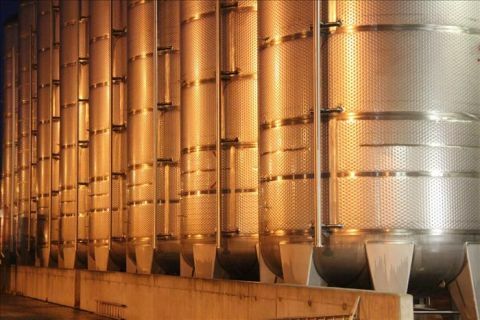 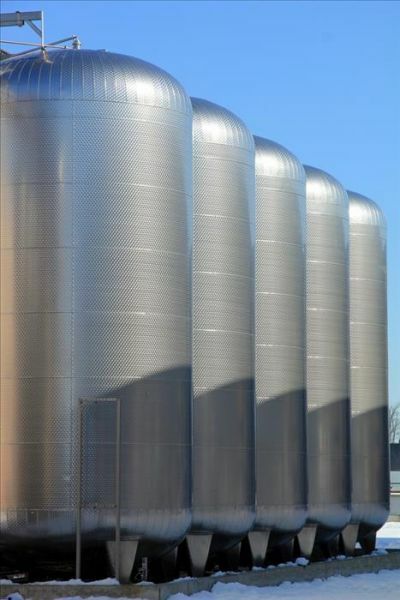 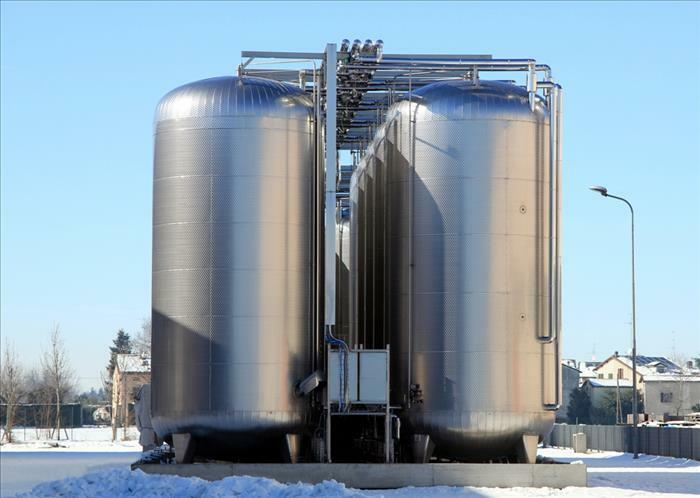 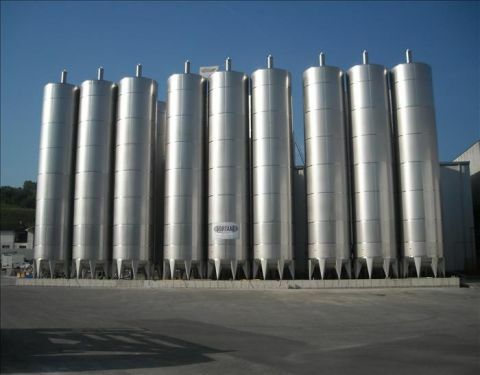 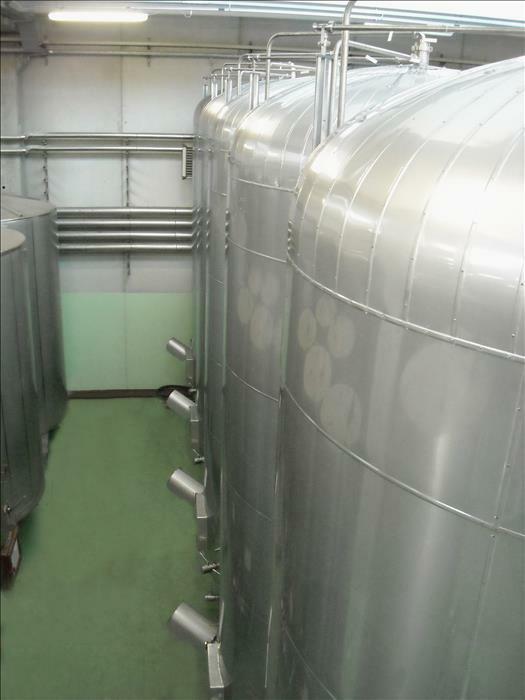 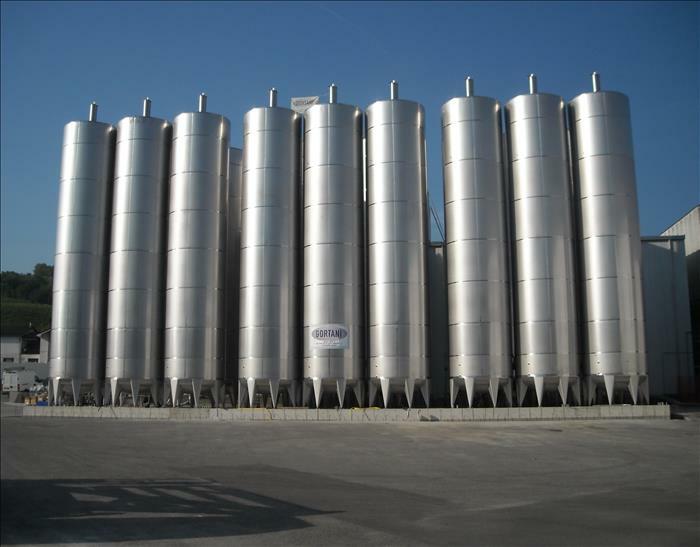 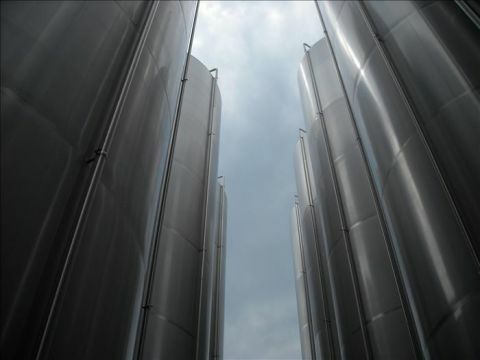 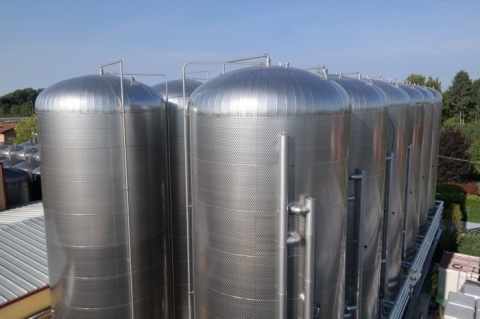 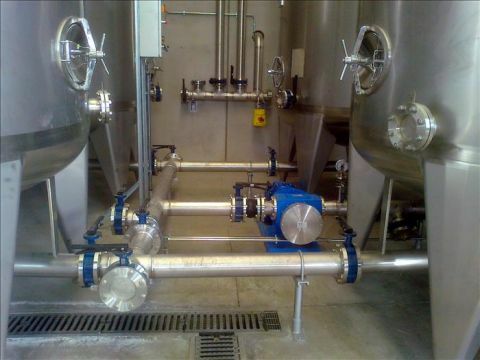 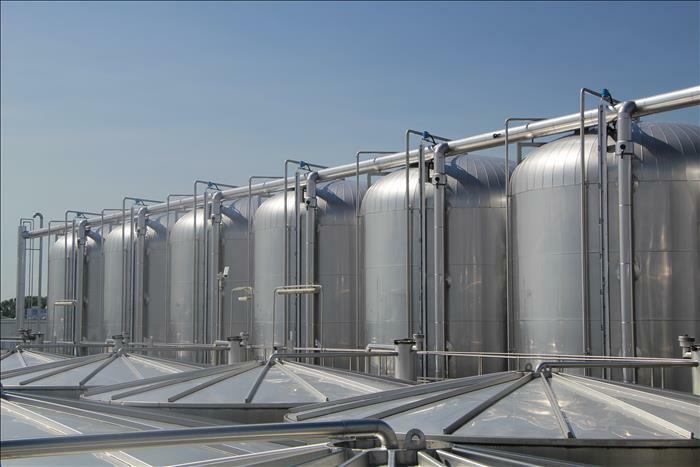 Design and construction of fermentation systems and storage systems. 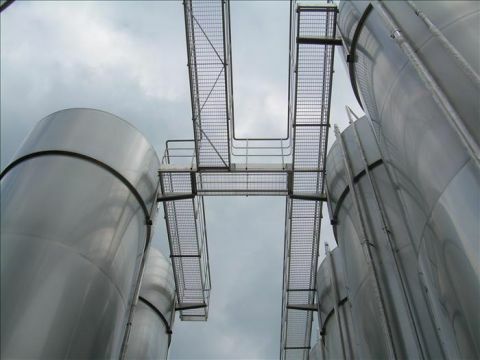 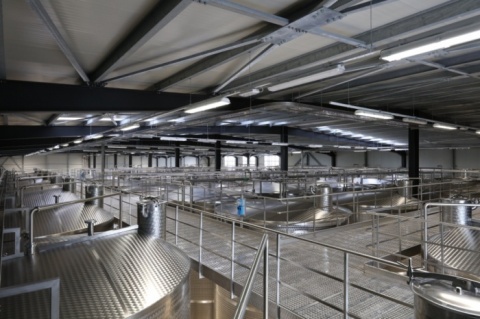 Design andconstruction of fermentation systems, storage systems and ladders and walkwayssystems. 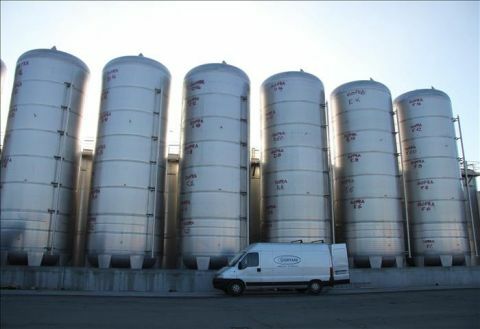 Design and construction of storage system. 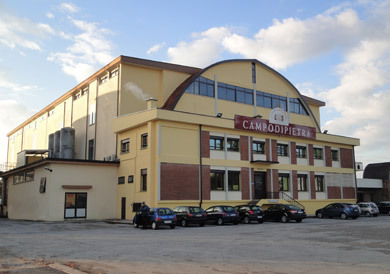 Via del Lavoro, 65-67 Z.I. 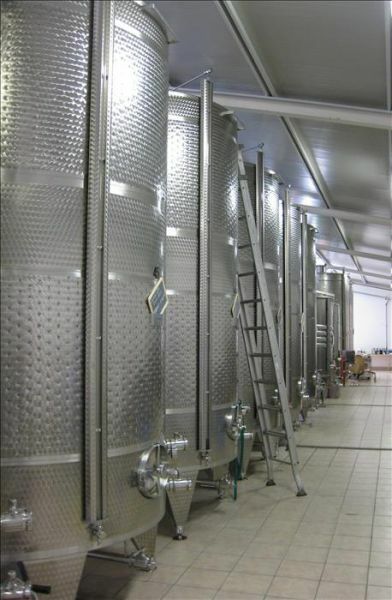 Design and construction of storage systems and sparkling wine systems. 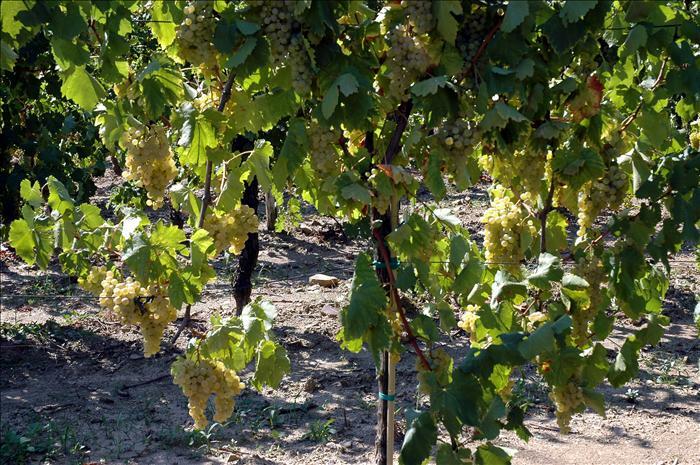 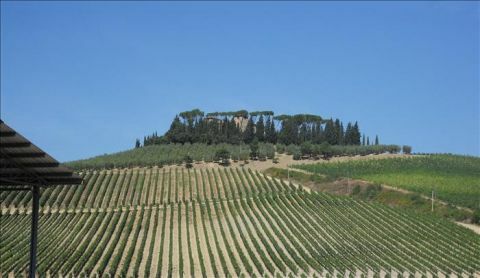 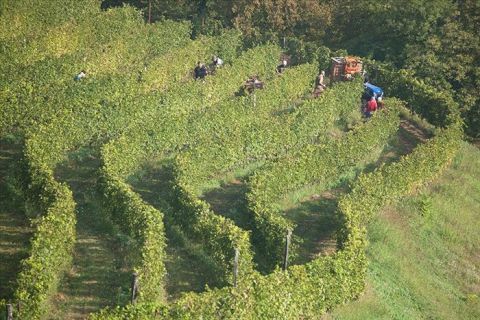 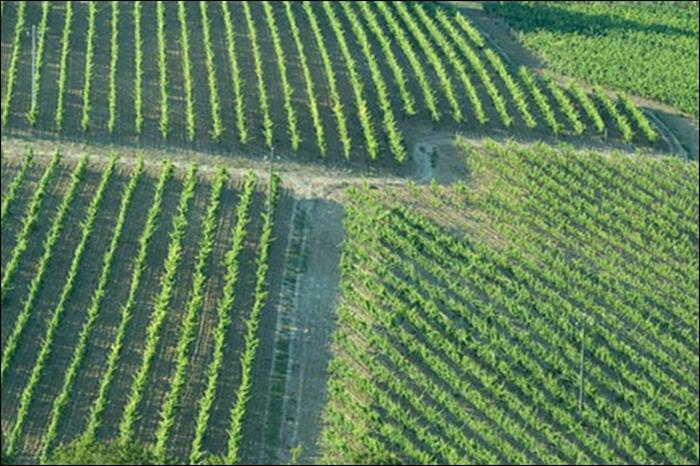 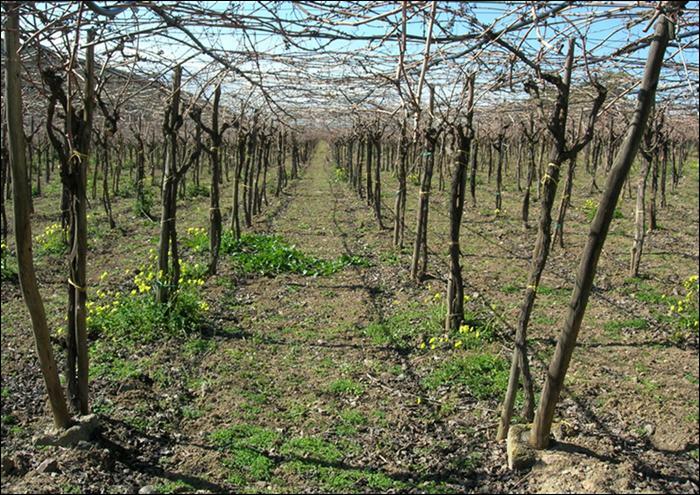 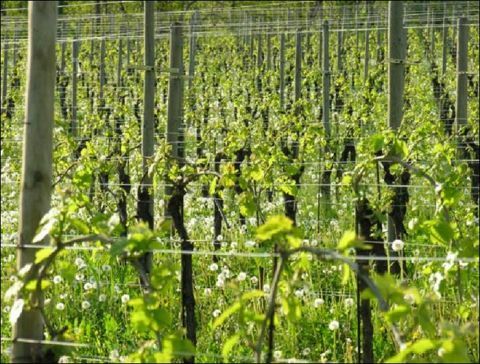 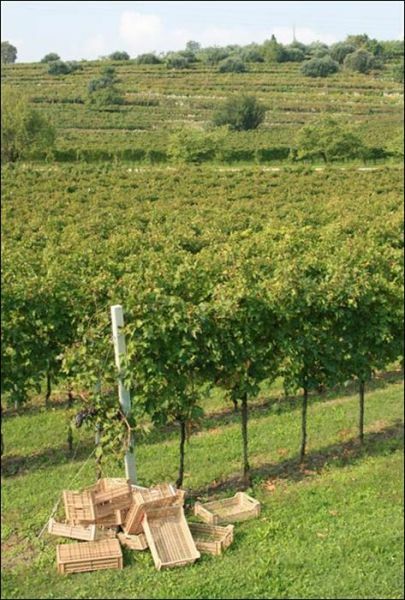 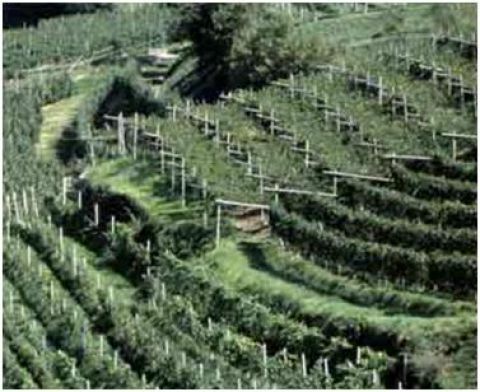 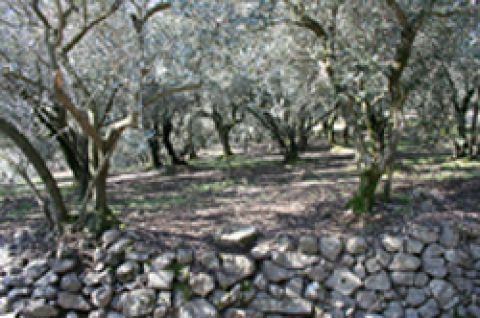 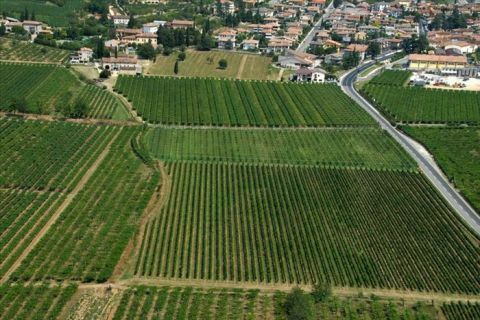 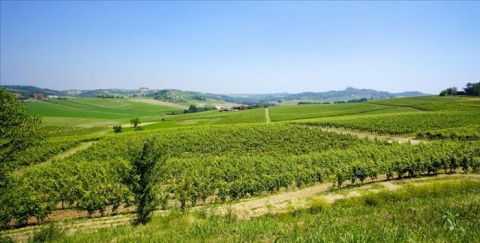 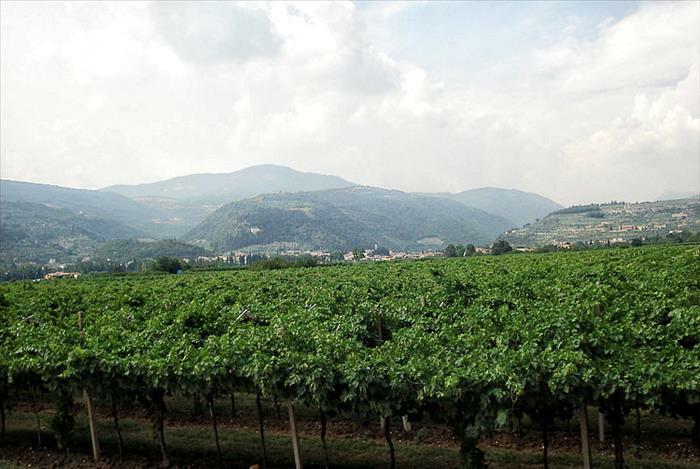 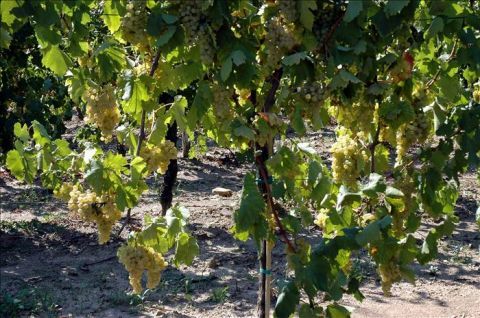 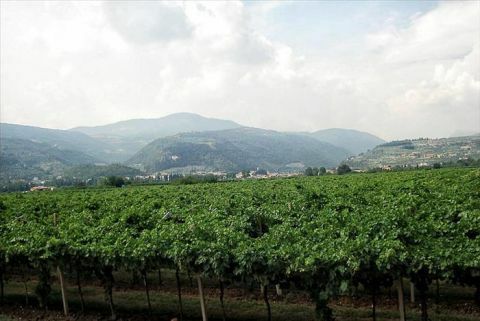 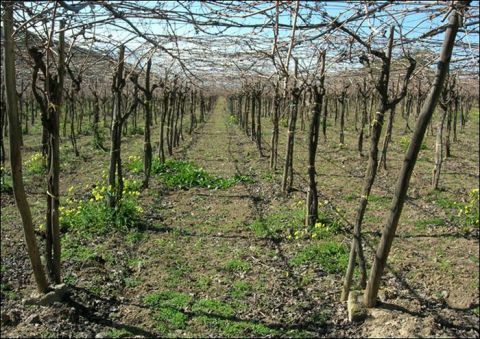 VITICOLTORI FRIULANI LA DELIZIA S.C.A. 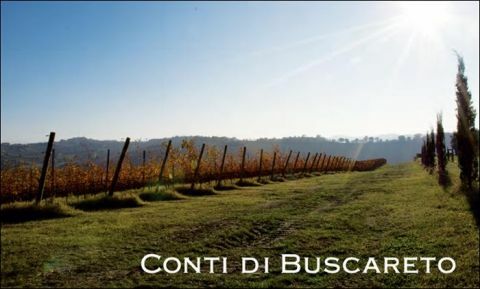 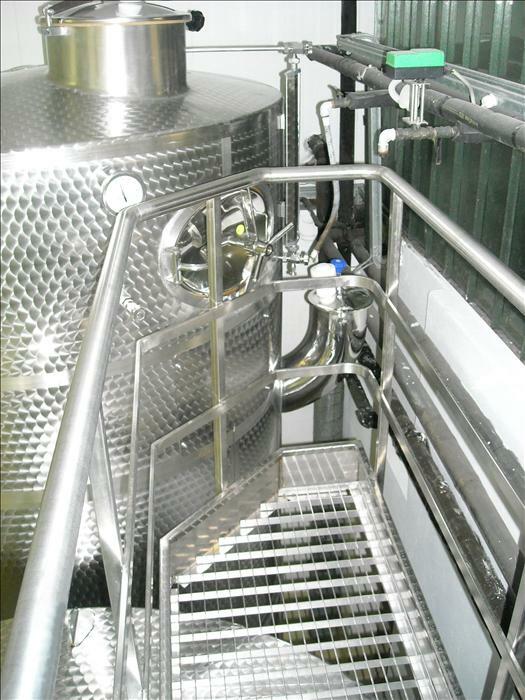 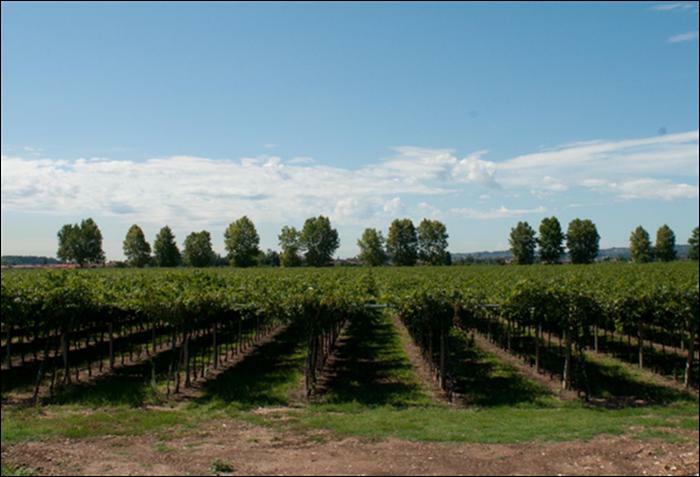 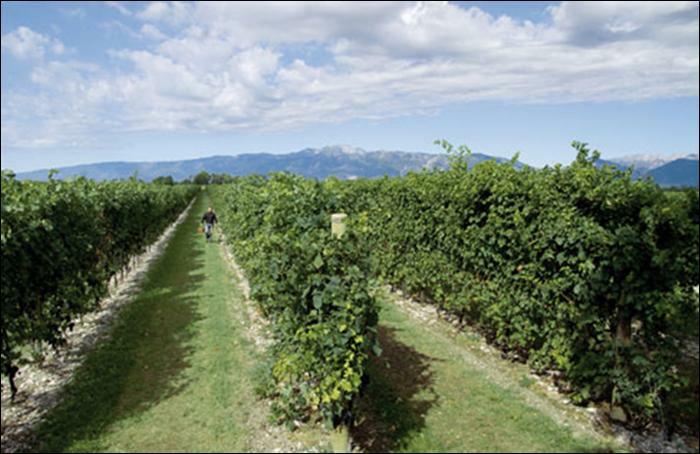 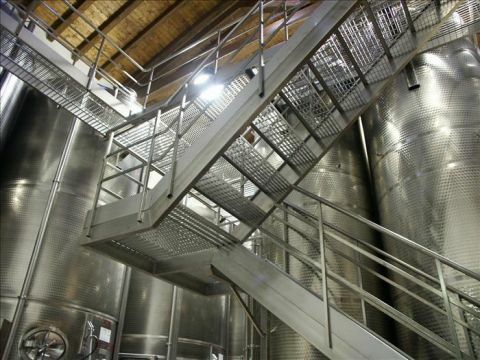 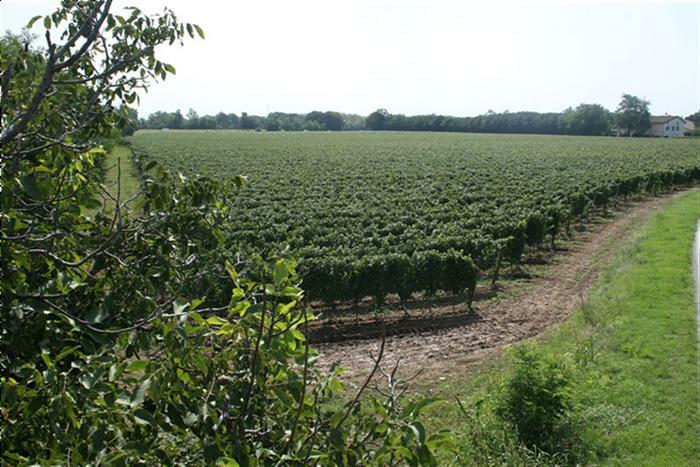 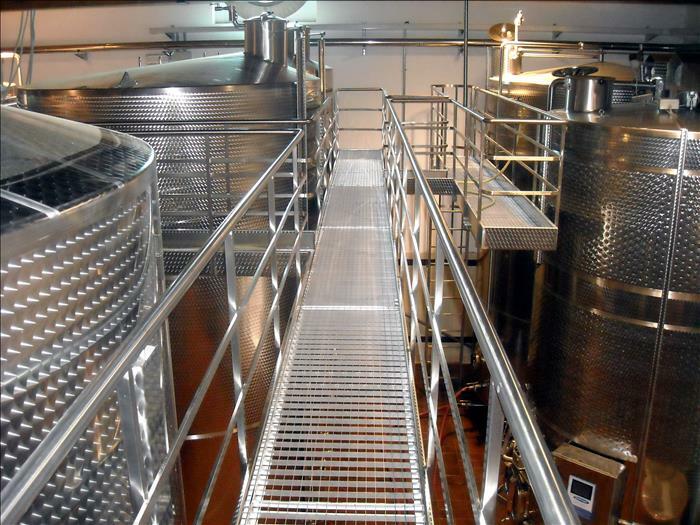 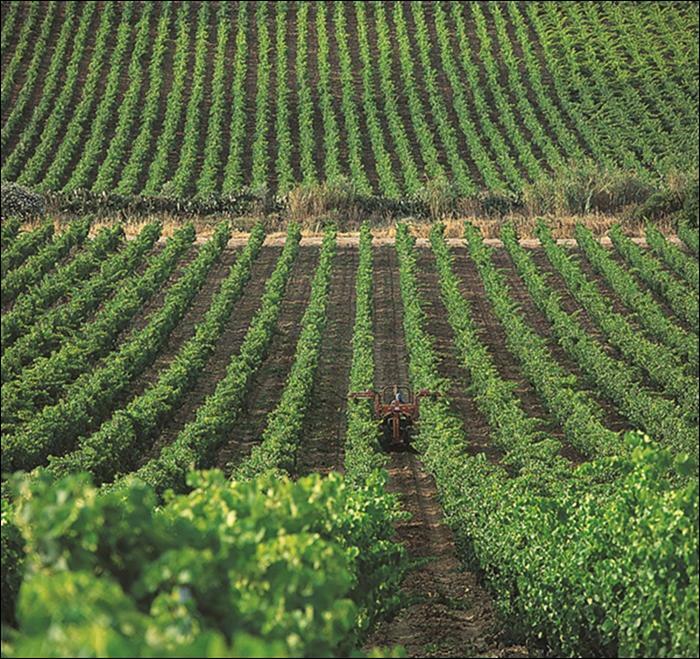 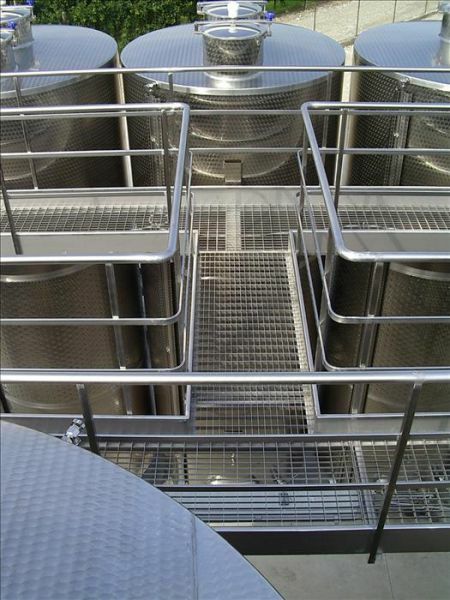 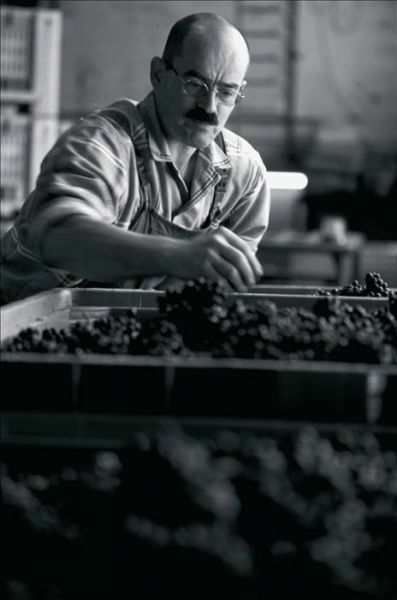 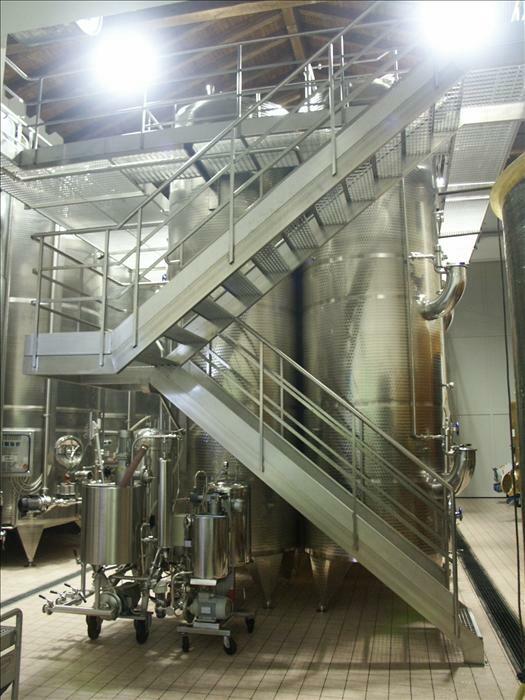 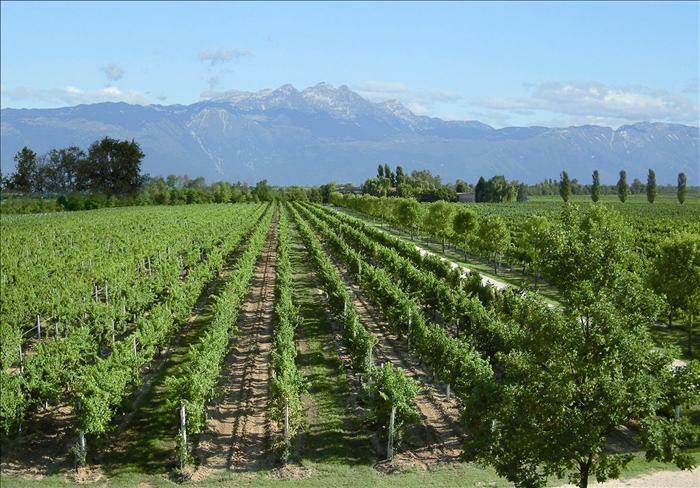 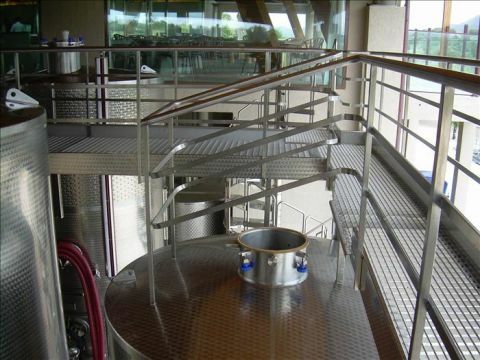 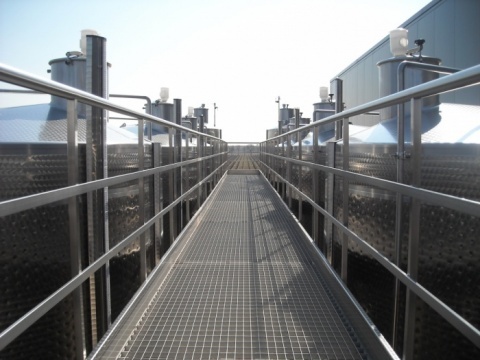 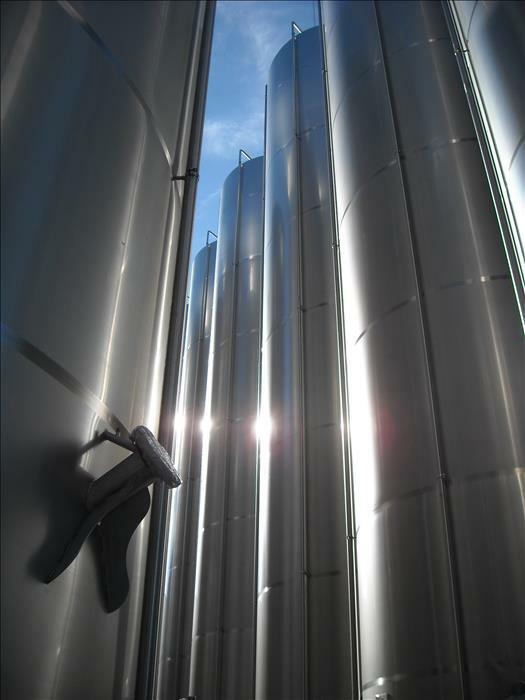 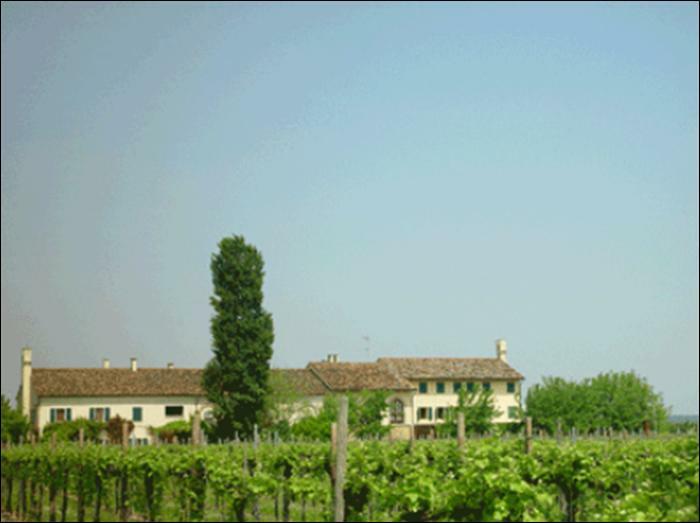 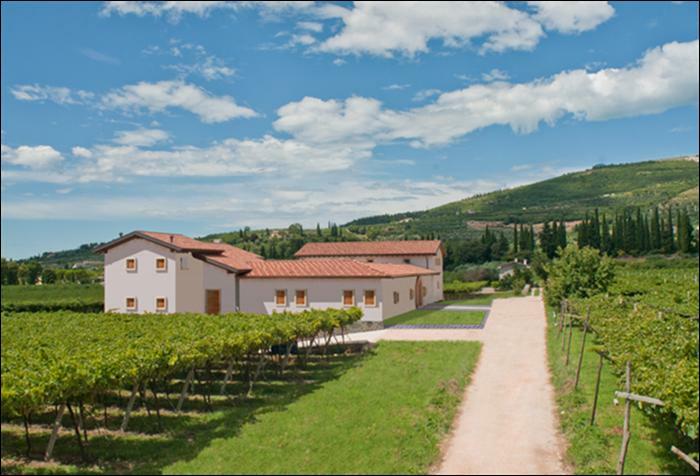 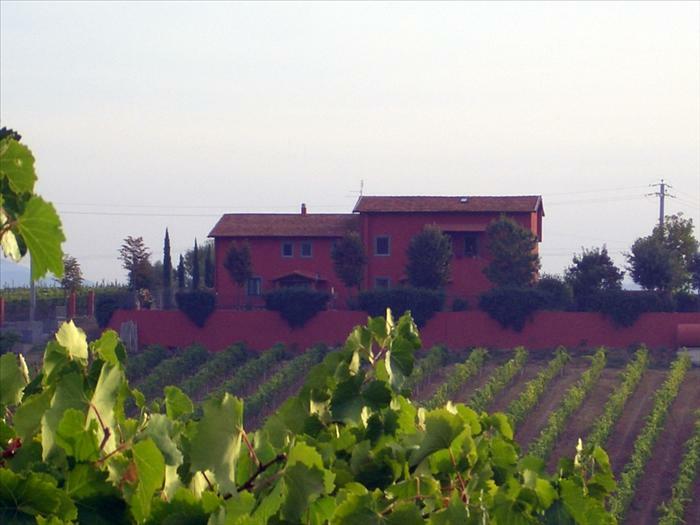 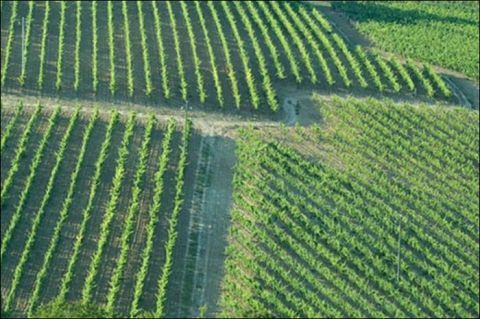 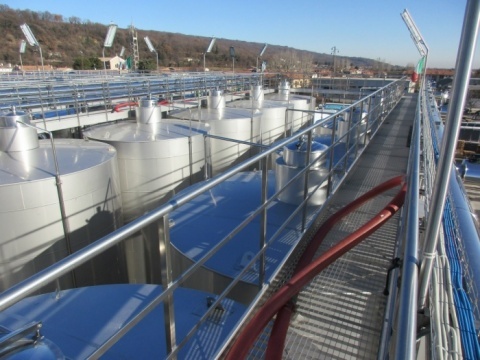 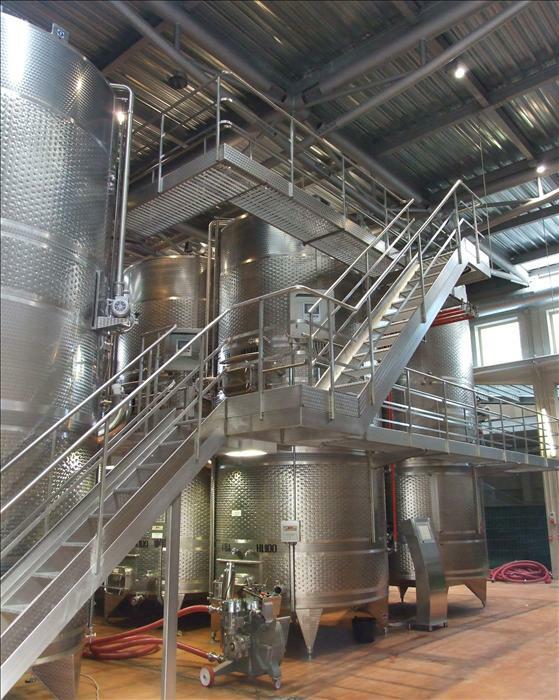 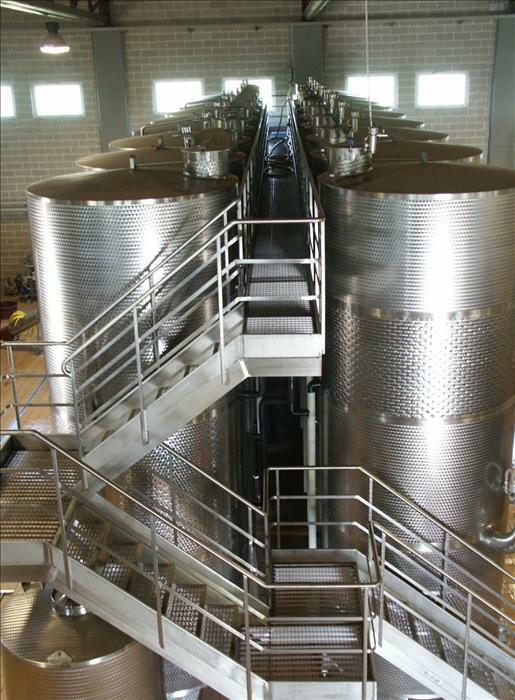 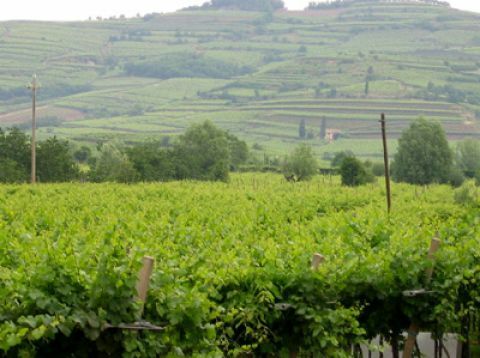 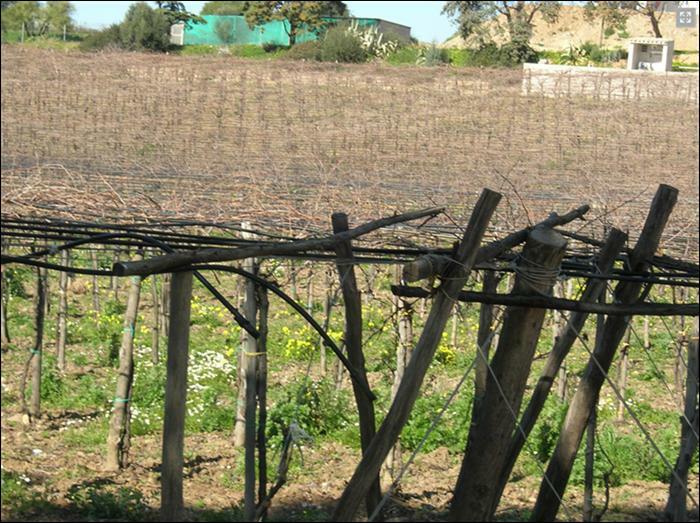 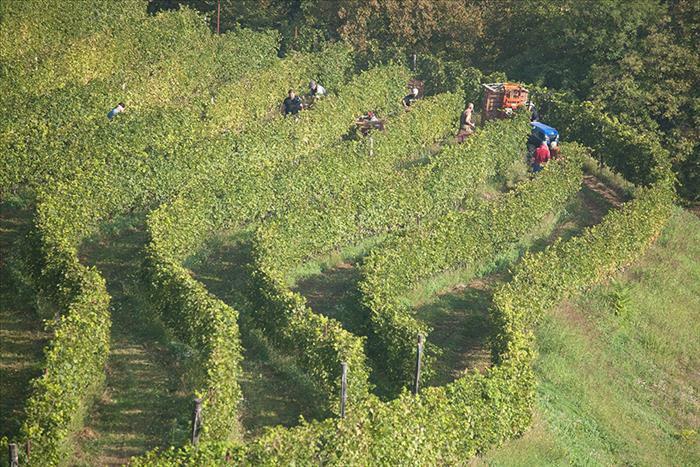 Design and construction of wine making systems, fermentation systems and ladders and walkways systems. 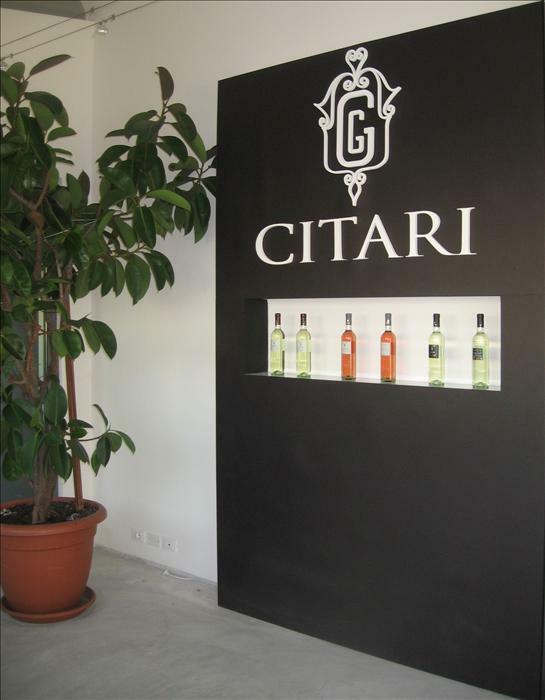 Design and construction of sparkling wine systems, storage systems and ladders and walkways systems. 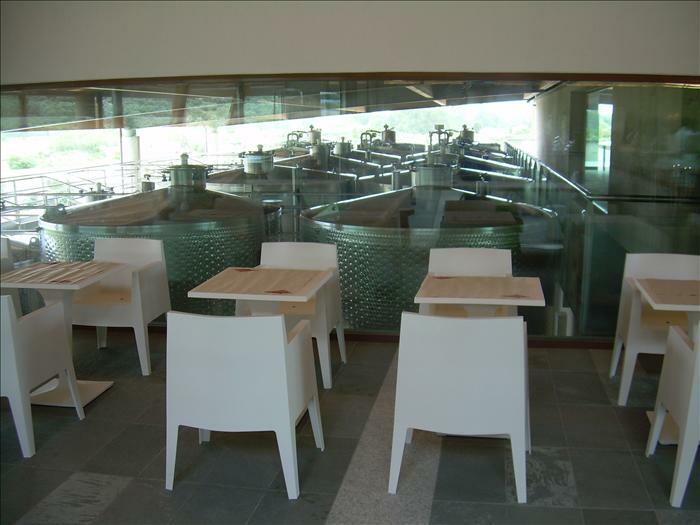 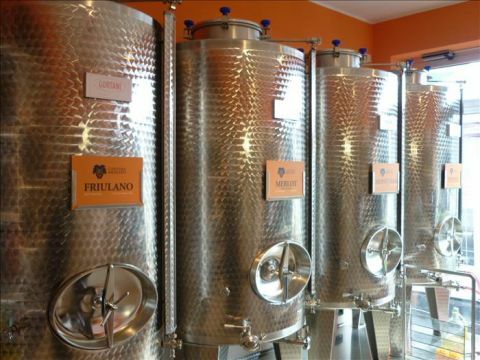 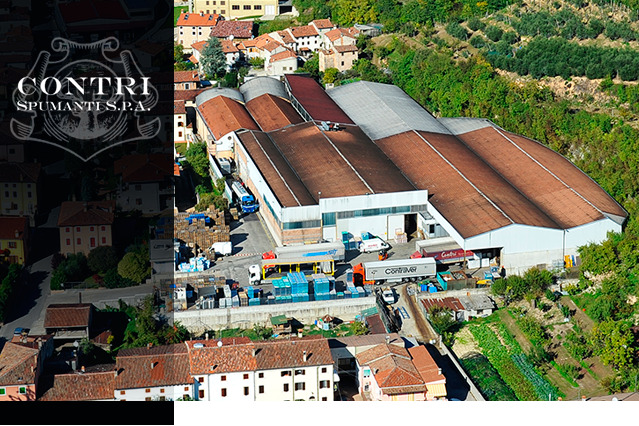 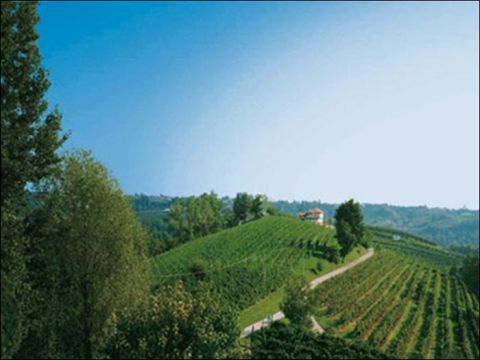 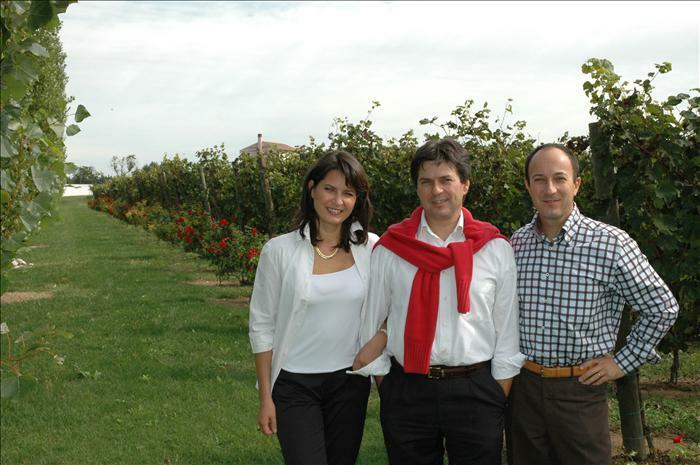 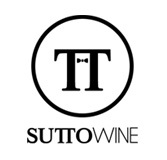 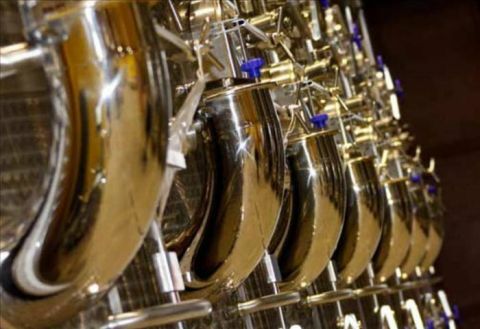 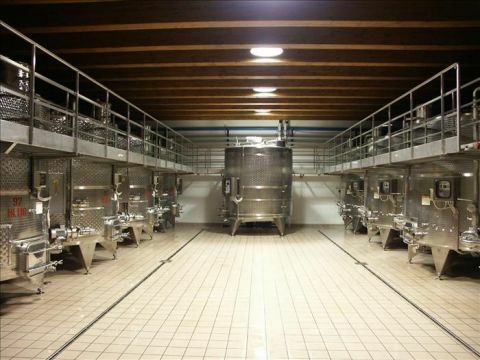 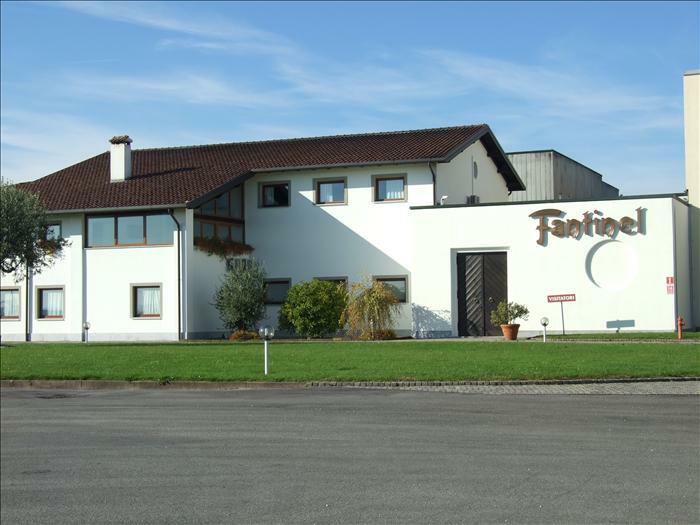 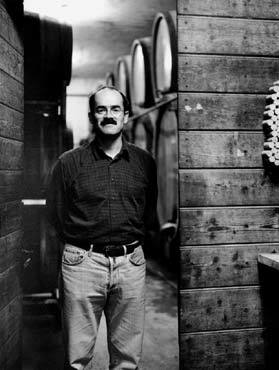 Design and construction of wine making systems, fermentation systems, storage systems and sparkling wine systems. 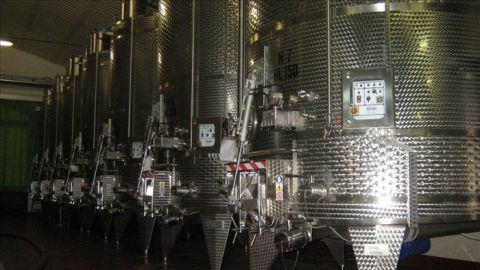 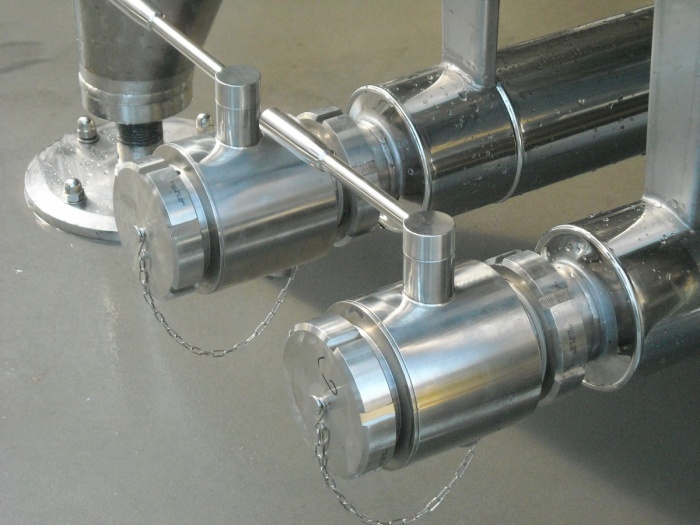 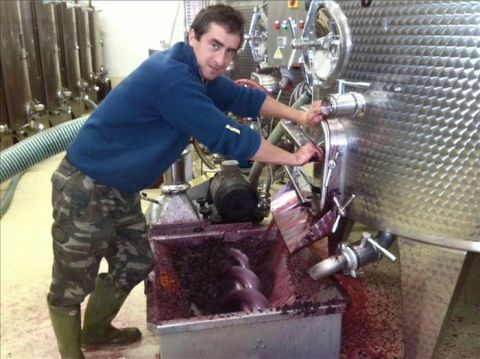 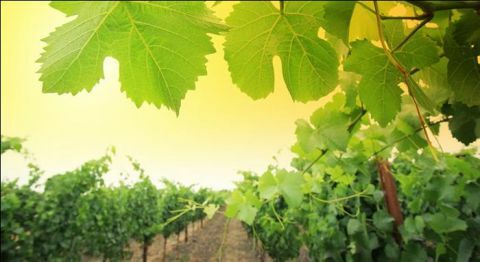 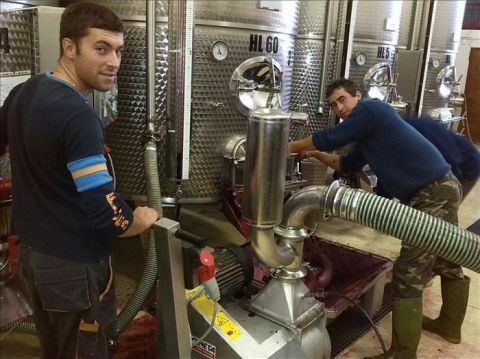 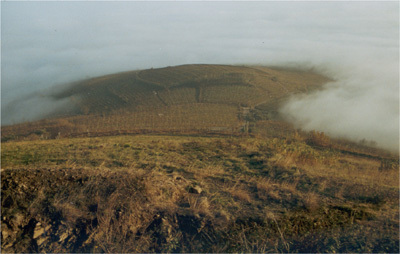 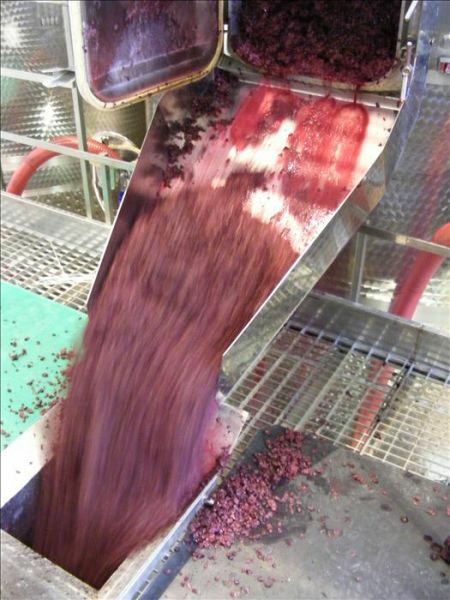 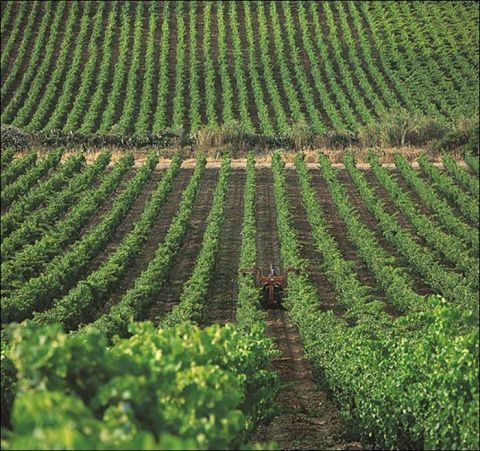 Design and construction of wine making systems. 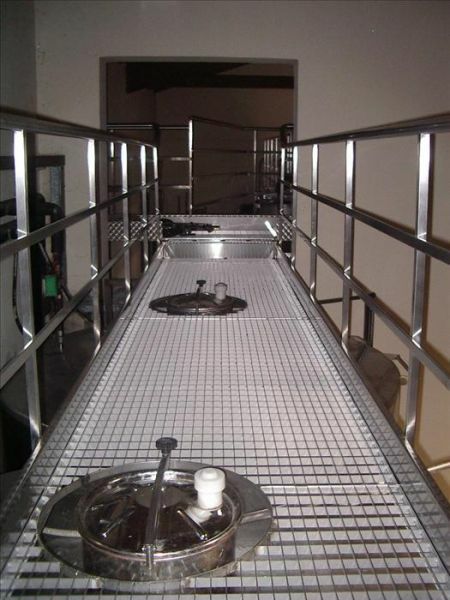 Design and construction of storage systems, ladders and walkways systems. 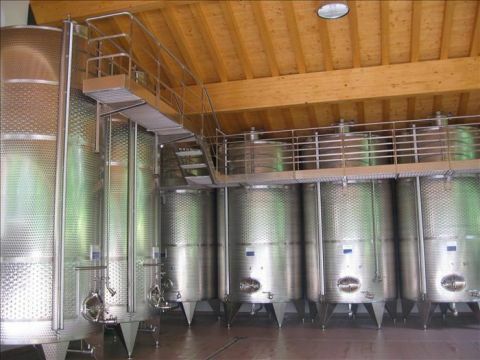 Design and construction of wine making system and storage systems. Design and construction of wine making systems, fermentation systems,storage systems and ladders and walkways systems. 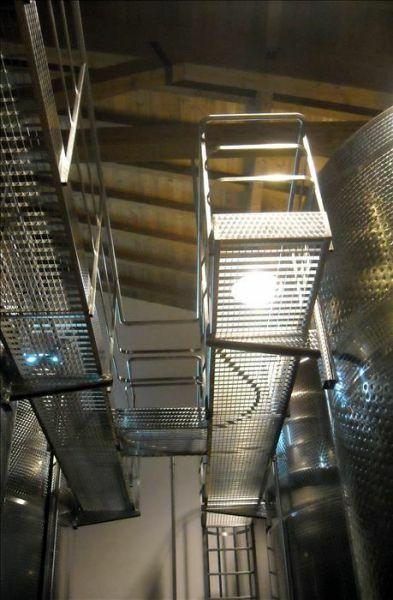 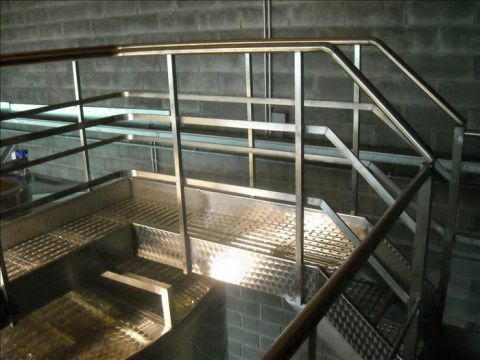 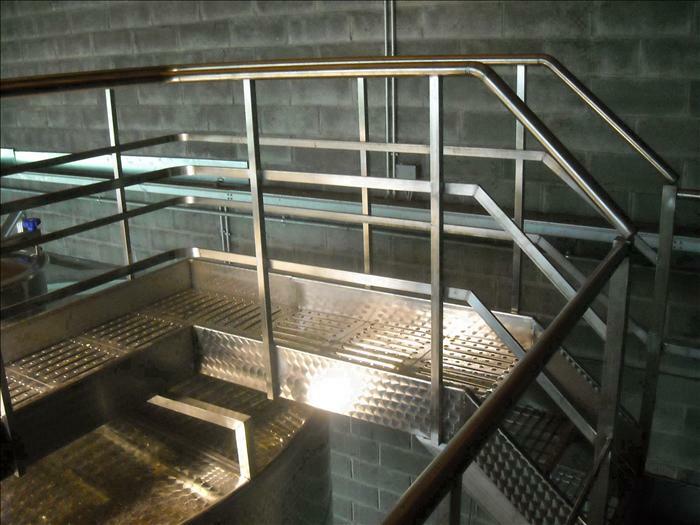 Design and construction of sparklingwine systems, storage systems and ladders and walkways systems. 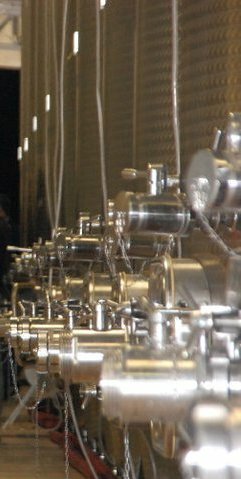 Vi.V.O. 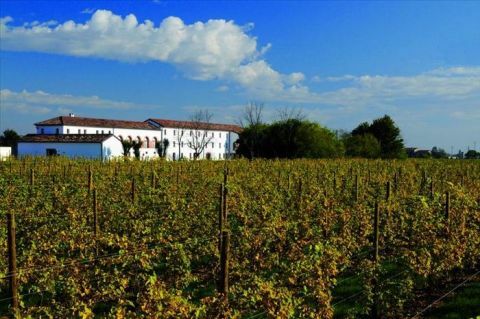 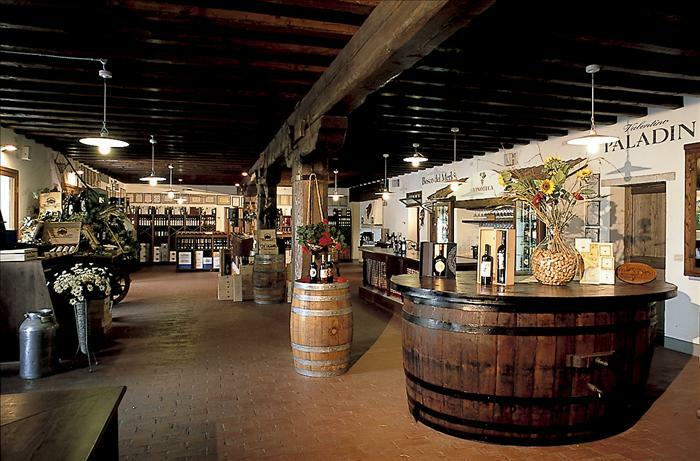 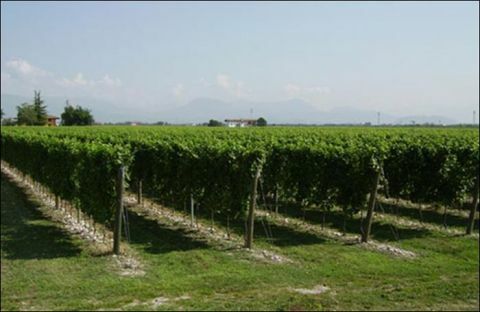 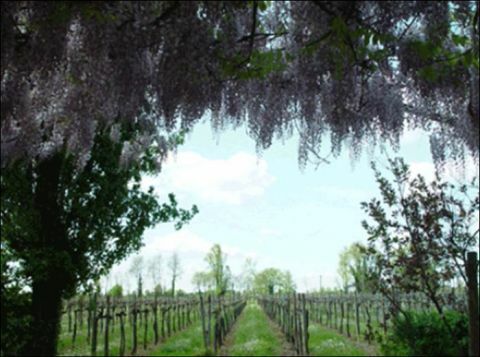 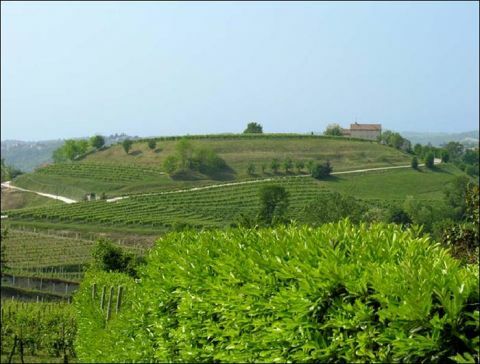 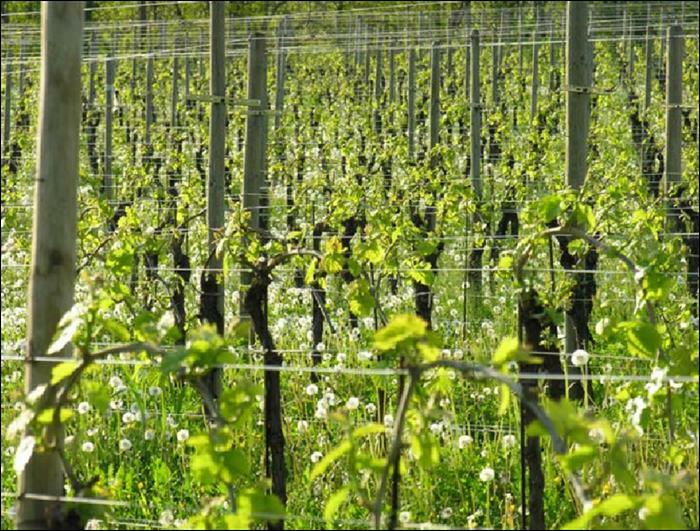 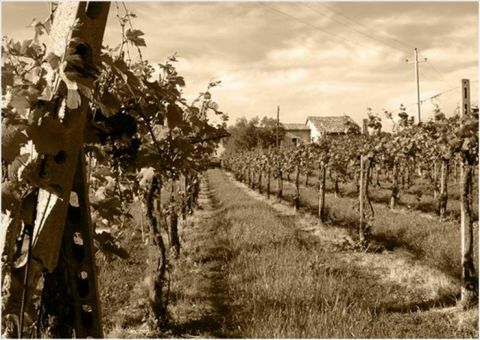 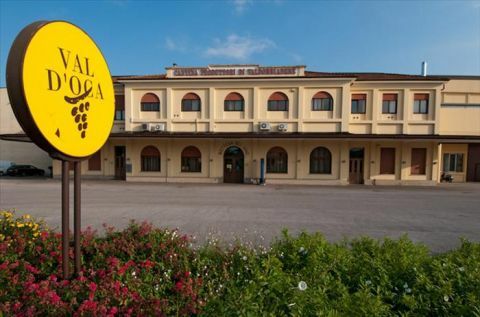 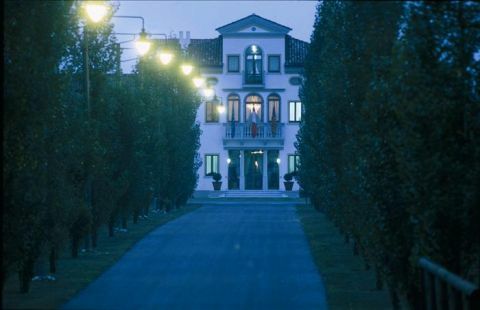 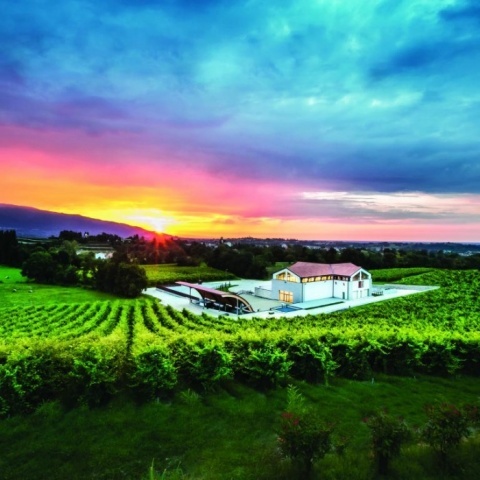 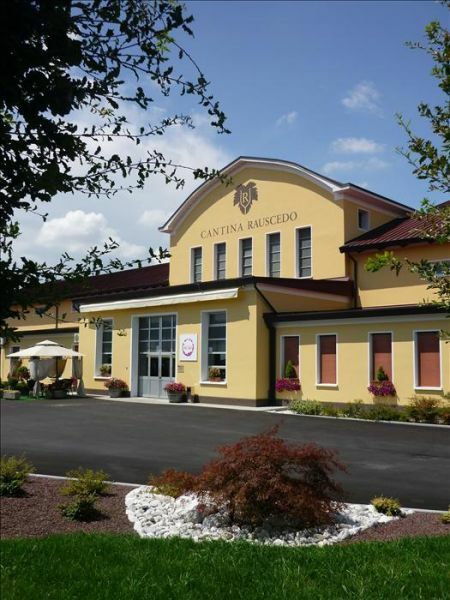 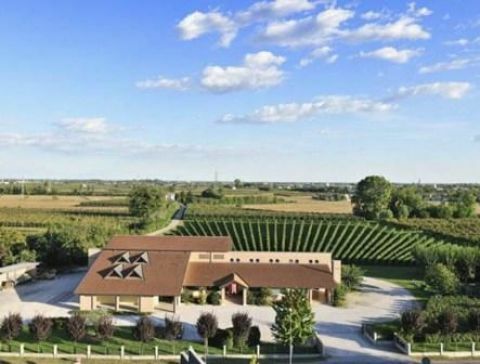 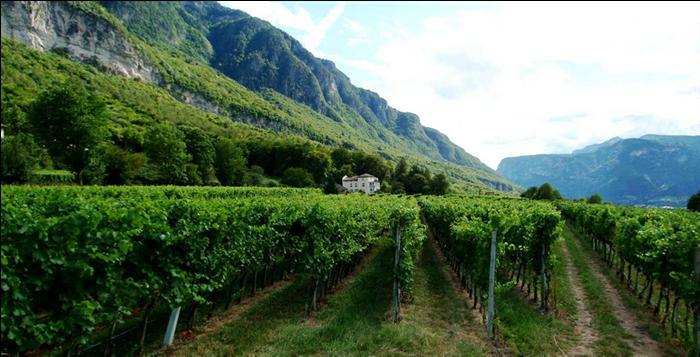 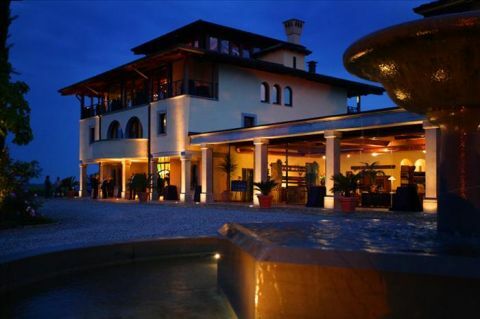 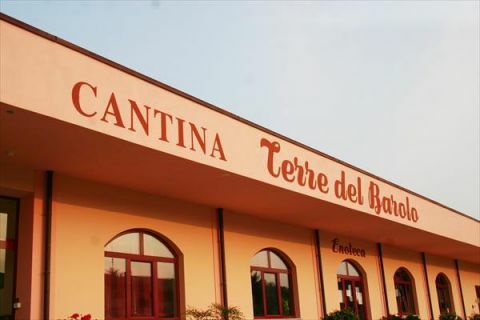 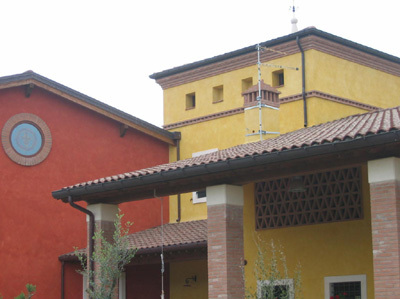 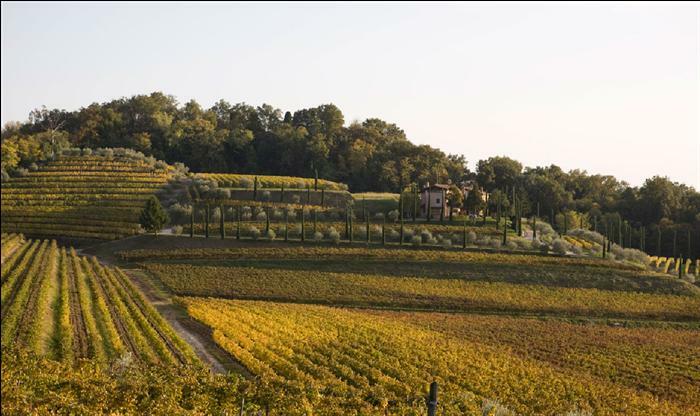 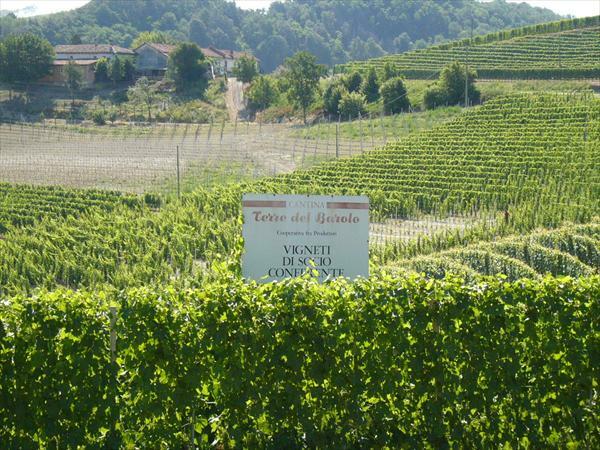 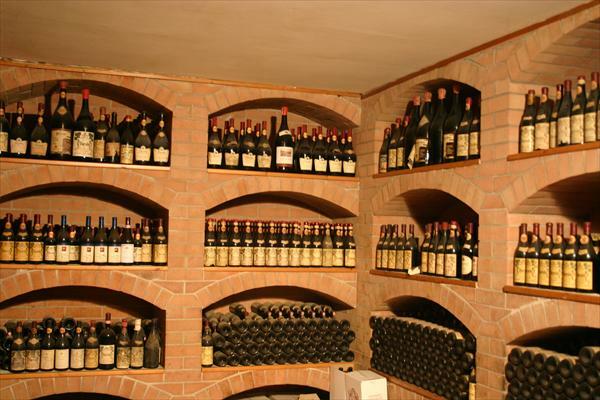 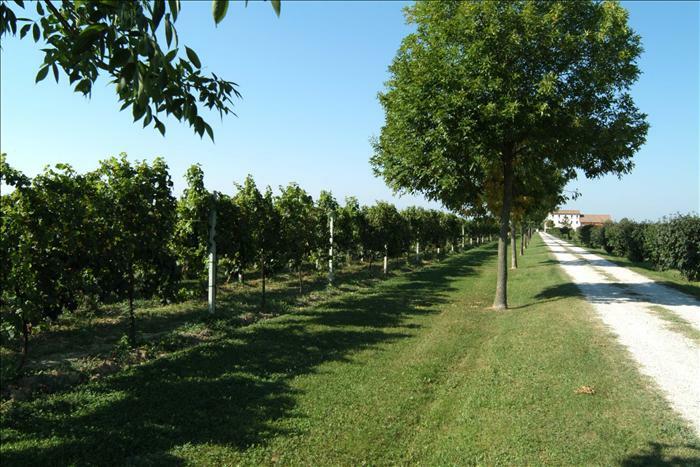 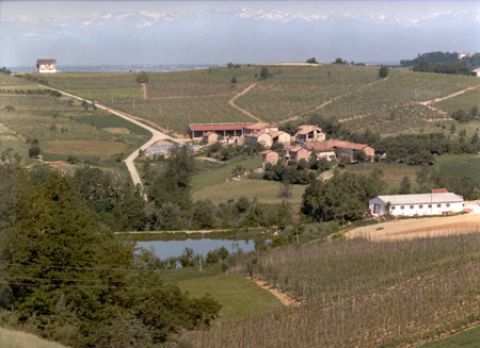 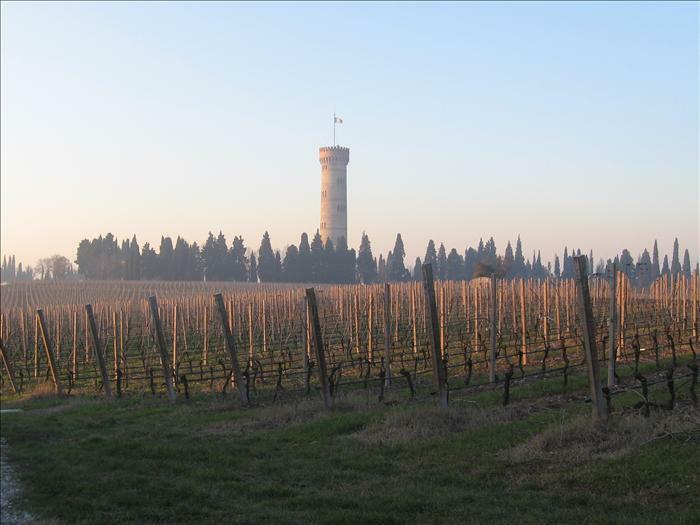 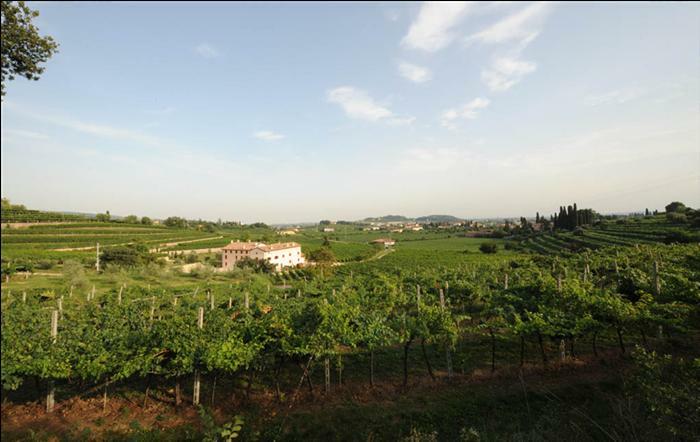 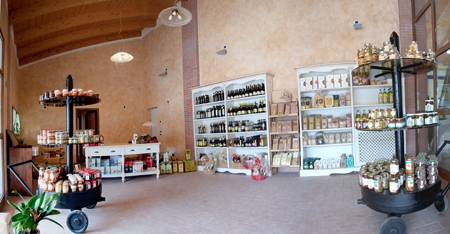 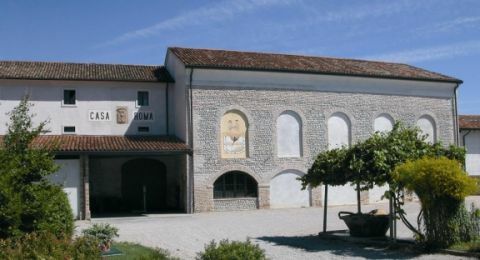 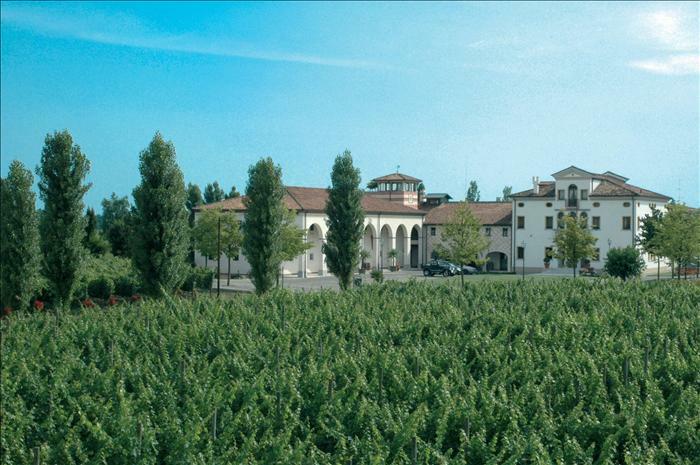 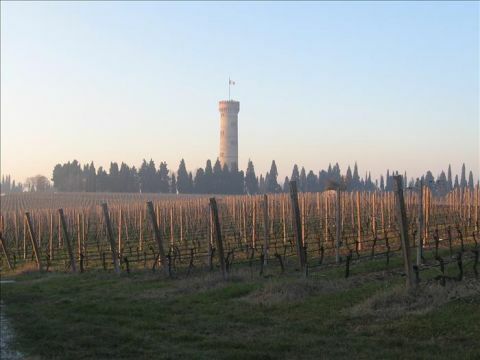 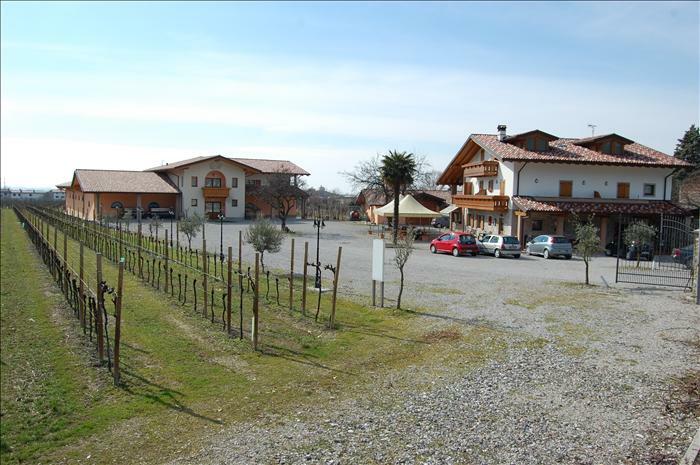 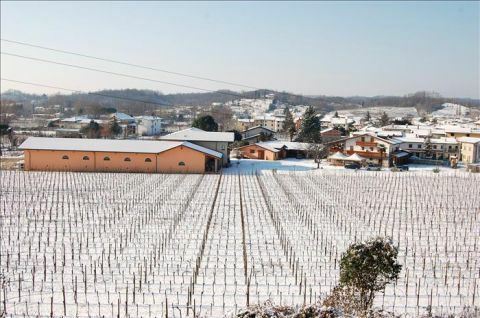 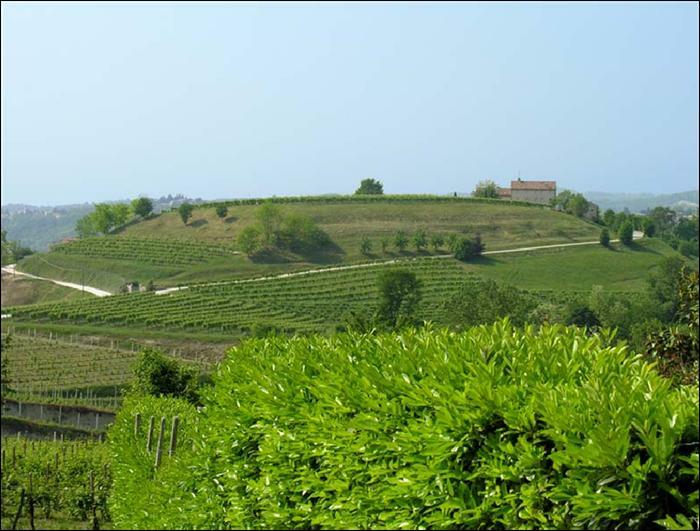 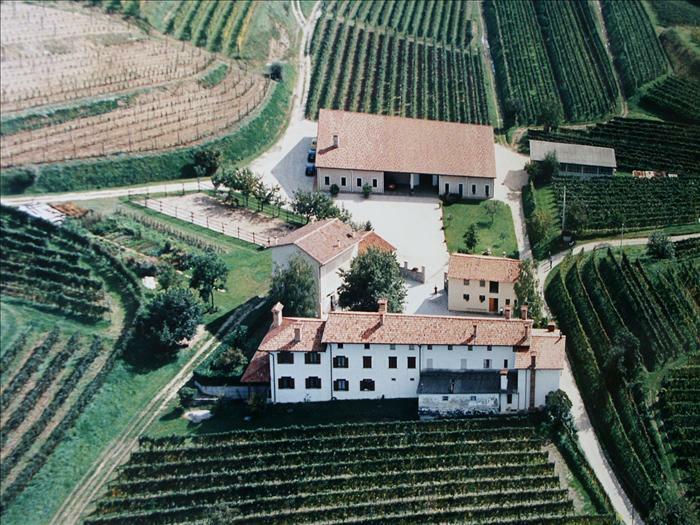 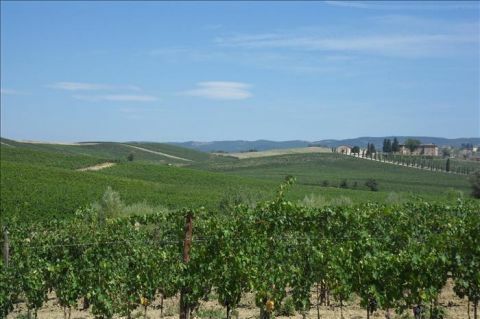 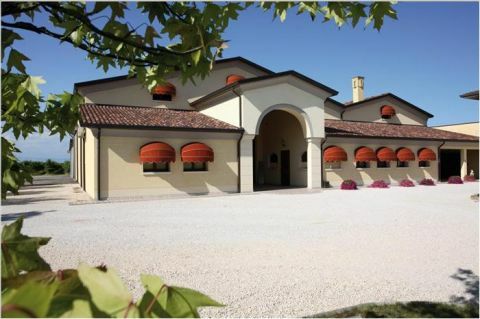 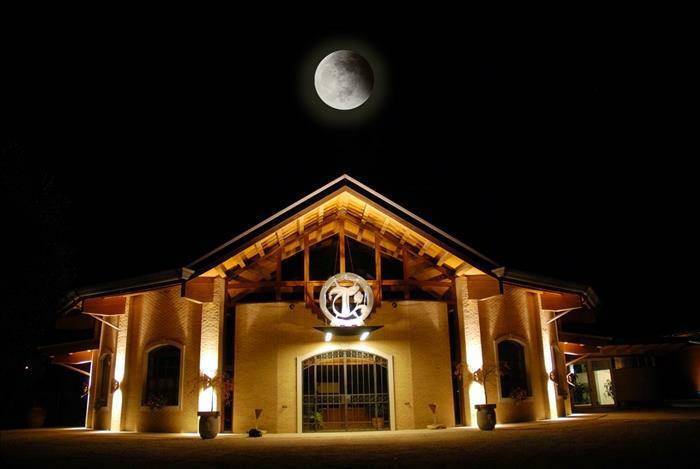 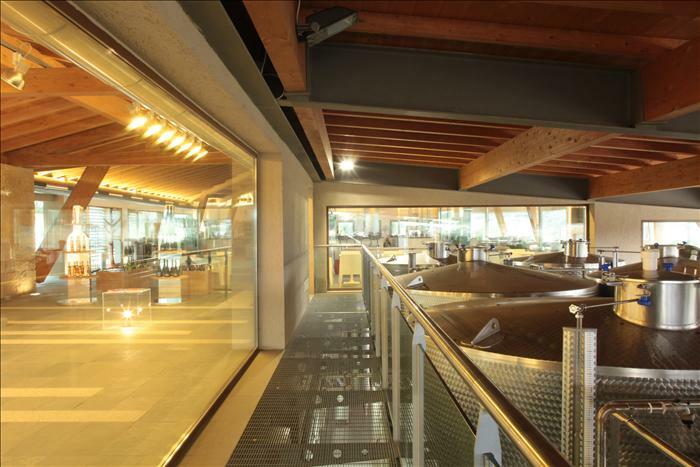 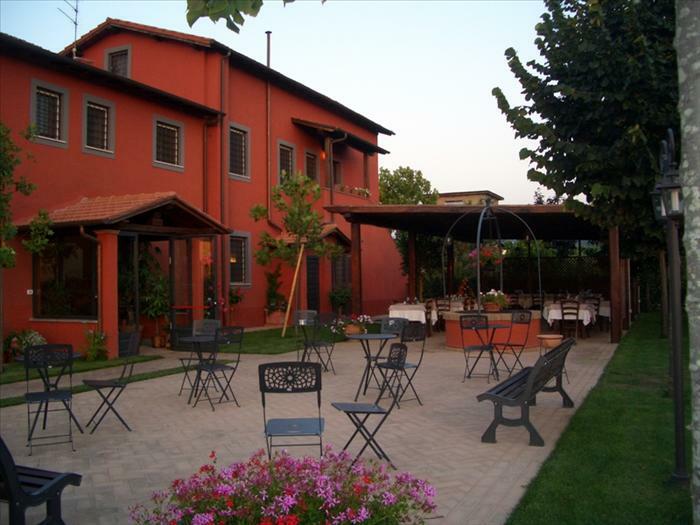 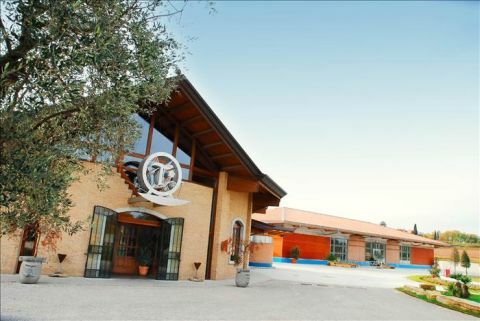 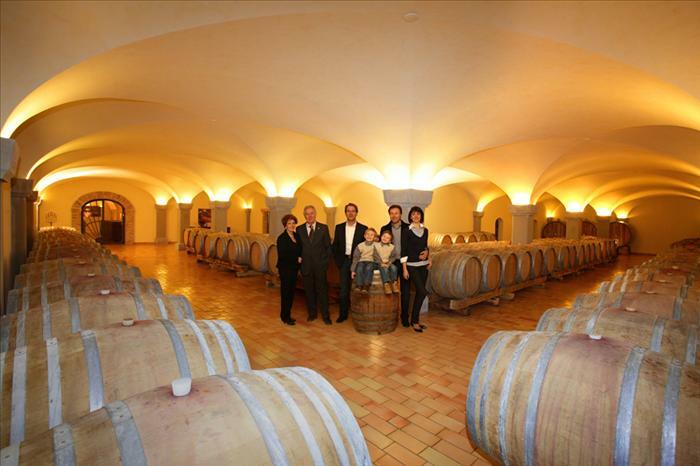 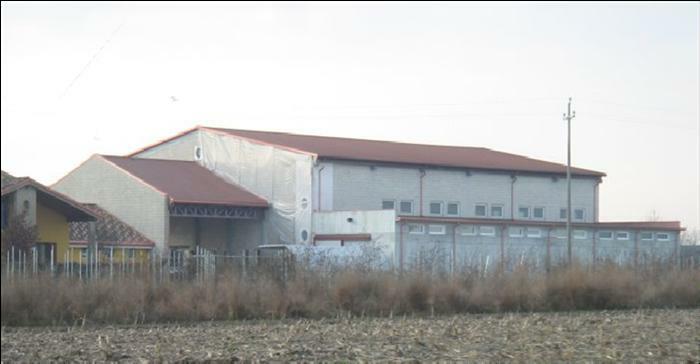 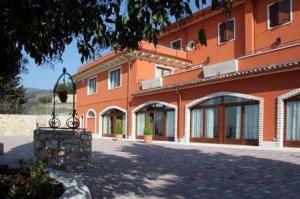 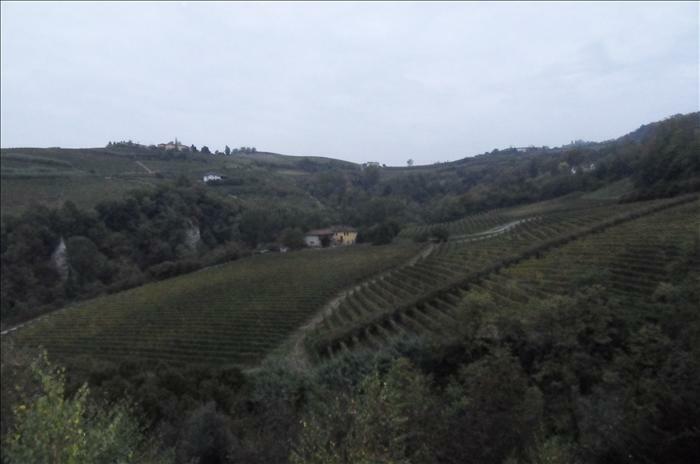 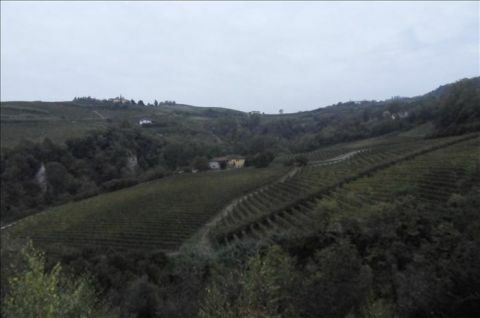 CANTINE VITICOLTORI VENETO ORIENTALE s.a.c. 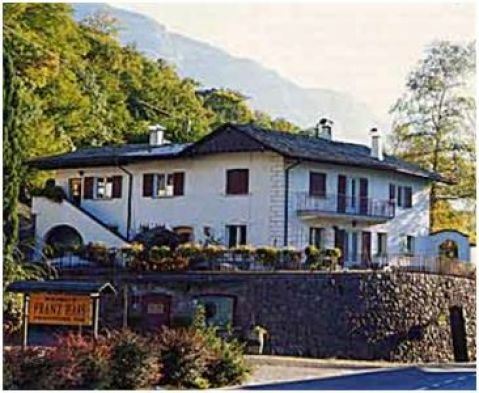 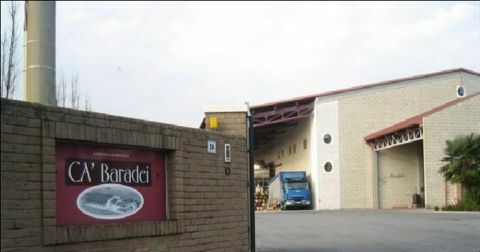 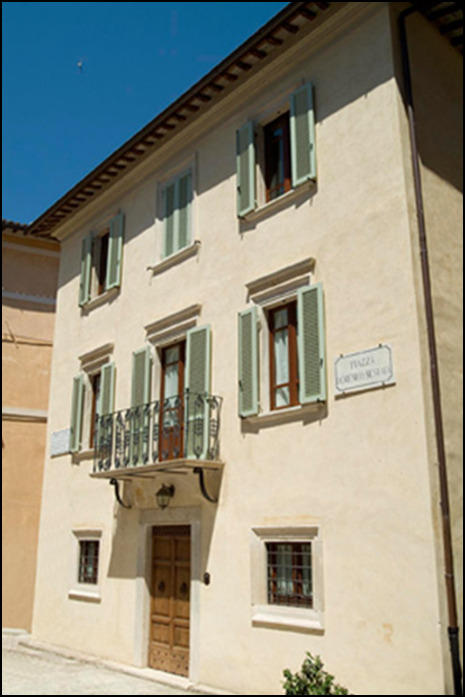 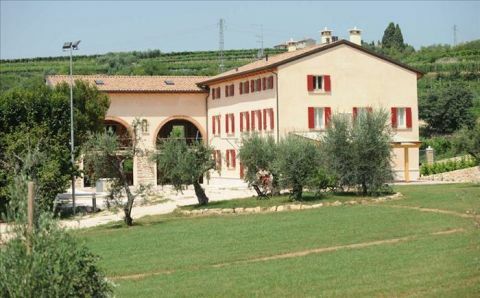 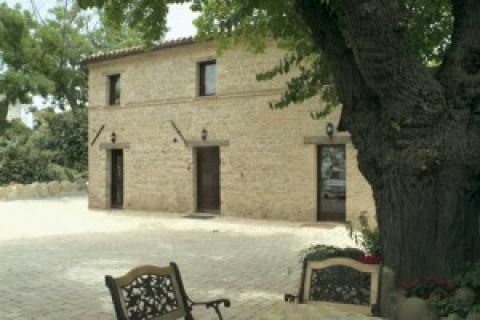 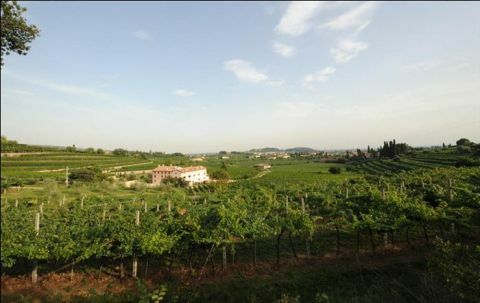 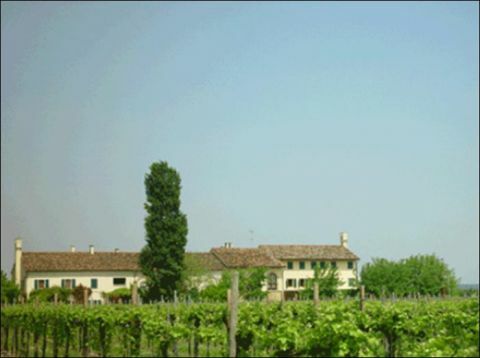 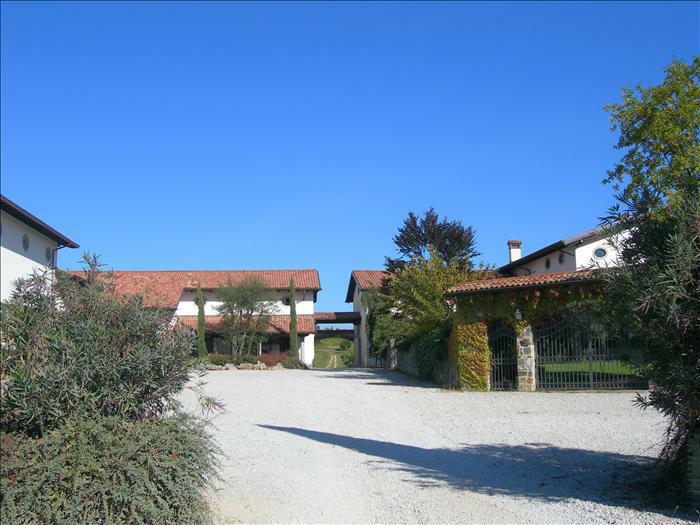 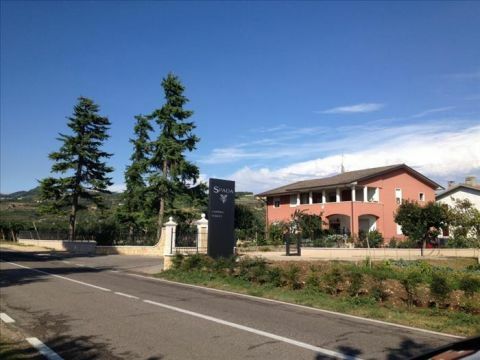 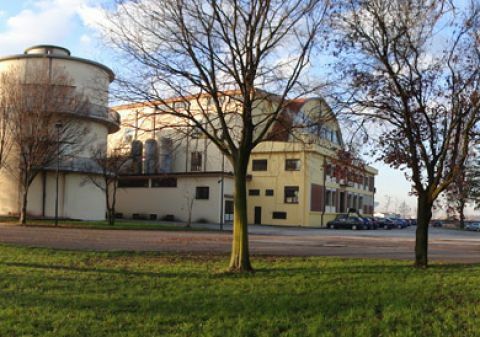 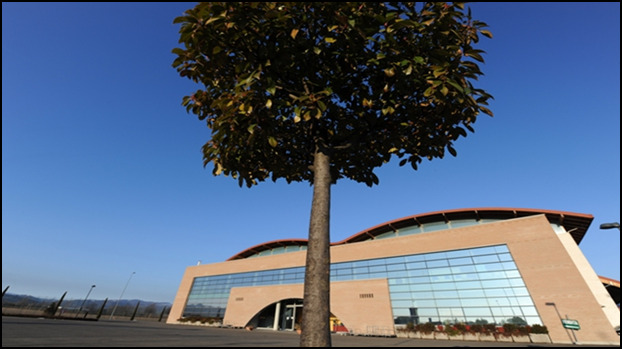 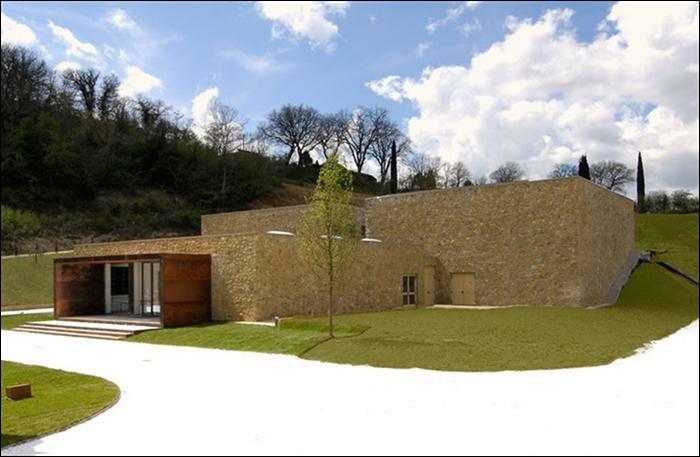 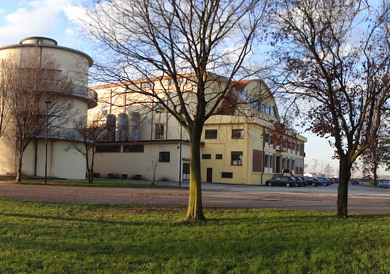 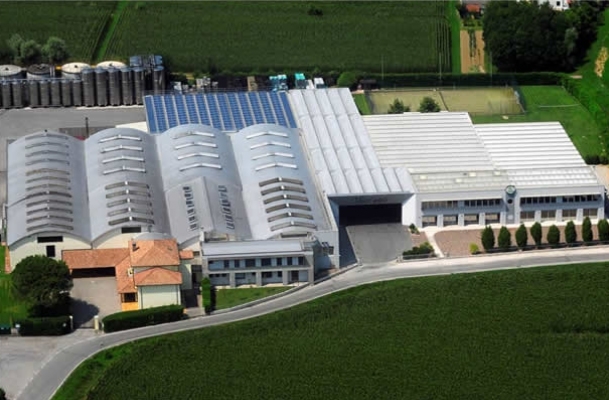 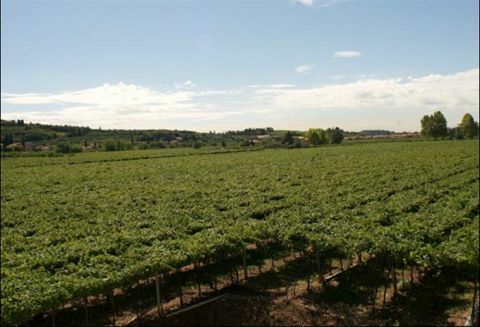 AZIENDA AGRICOLA DI RUGGERI V.S.S.